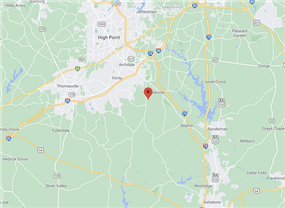 From 74 Take Exit 79, (Turn Right if exiting Eastbound. 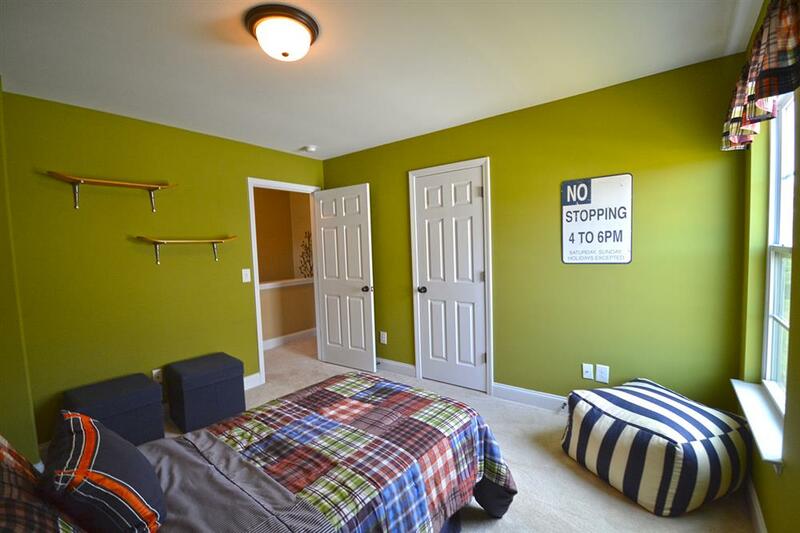 Turn left if exiting Westbound.) 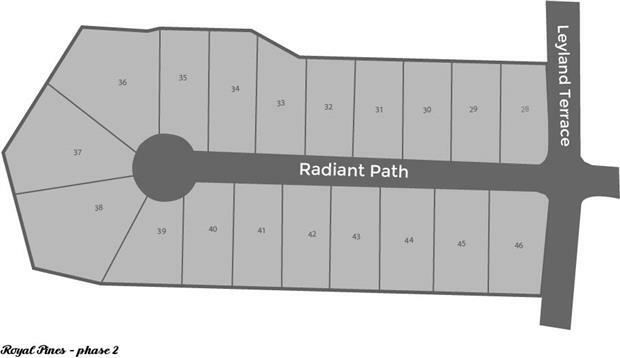 Turn right on S. Main Street and left onto Old Genola Road, turn left on to Archdale Road, The Community will be on the left. 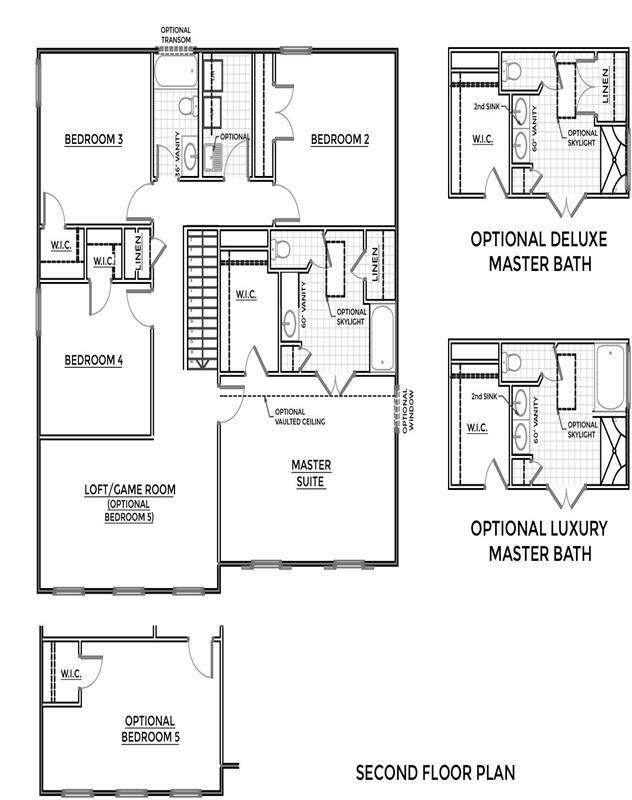 Royal Pines is home to our most luxuriously appointed homes. 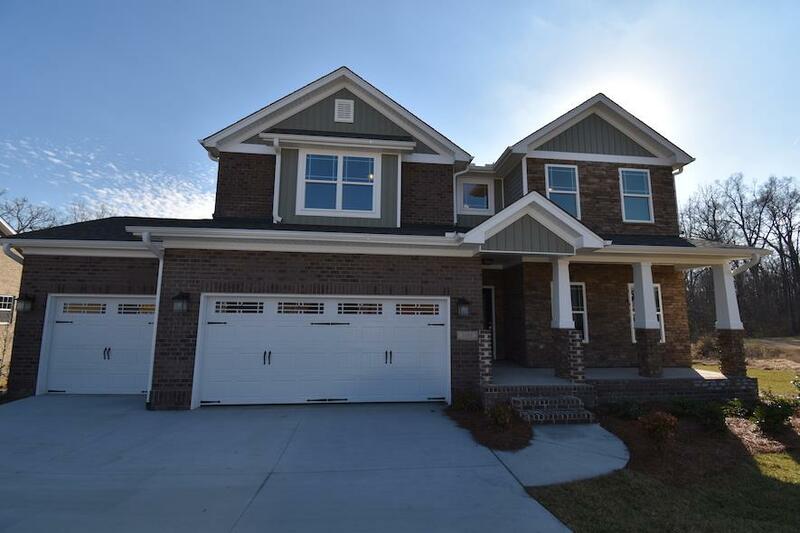 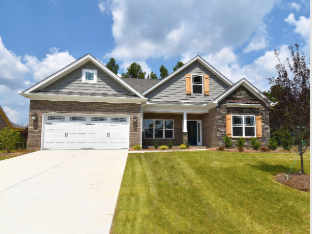 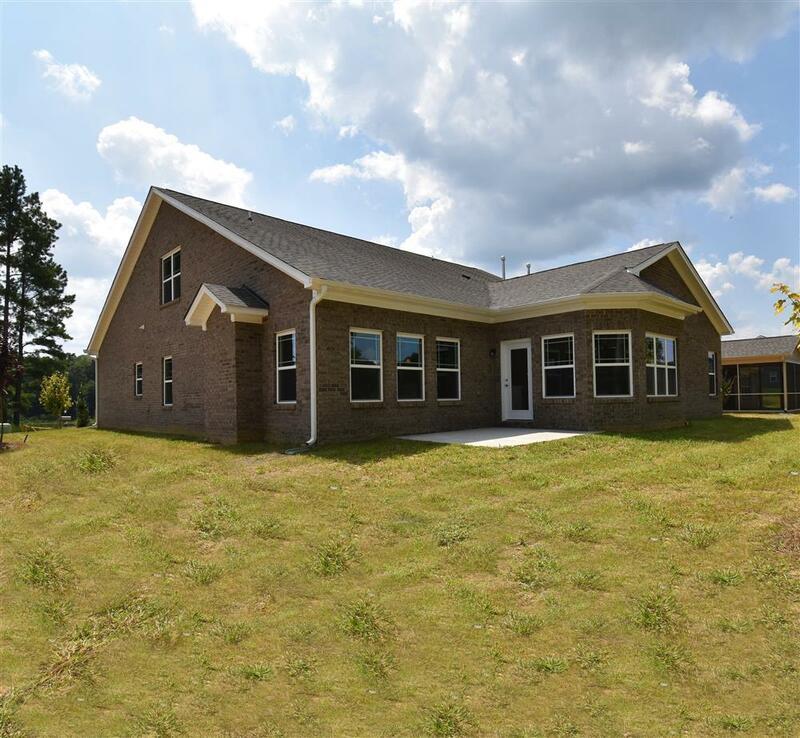 Each home is built on a slab foundation, has a brick veneer on all four sides, and comes with a two-car garage. 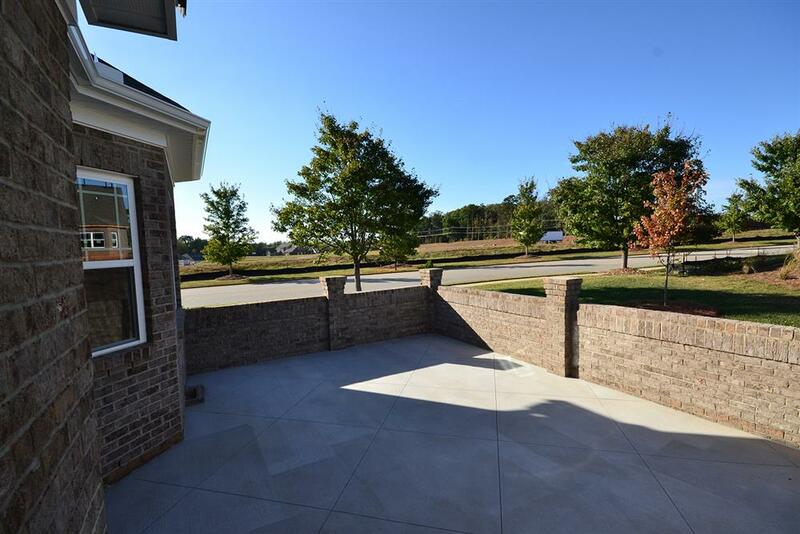 Yards are professionally landscaped with Keystone Homes’ signature look, and come with a concrete driveway and front walkway. 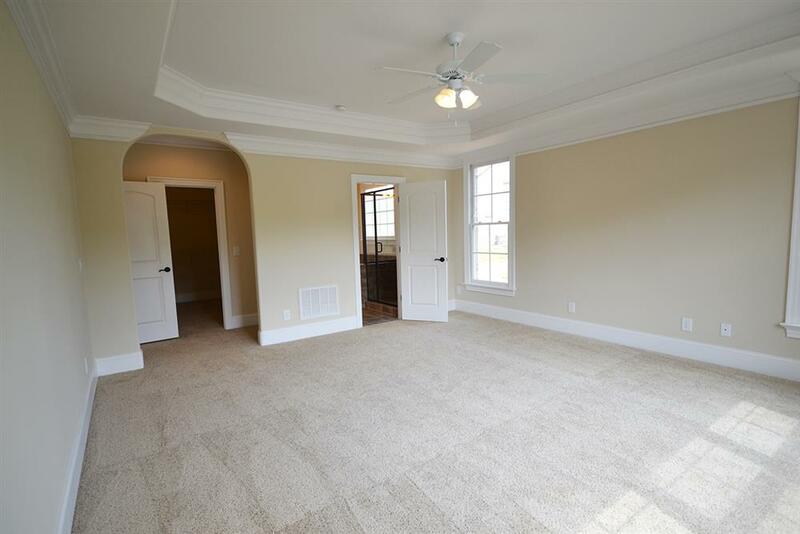 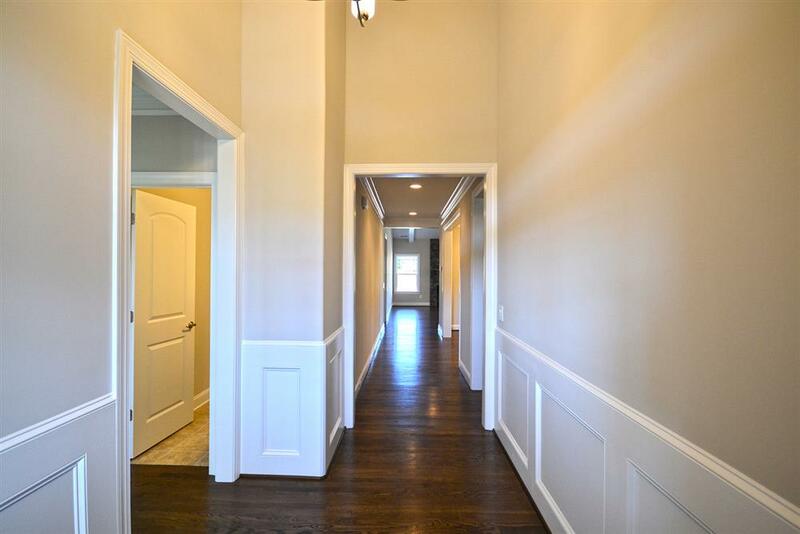 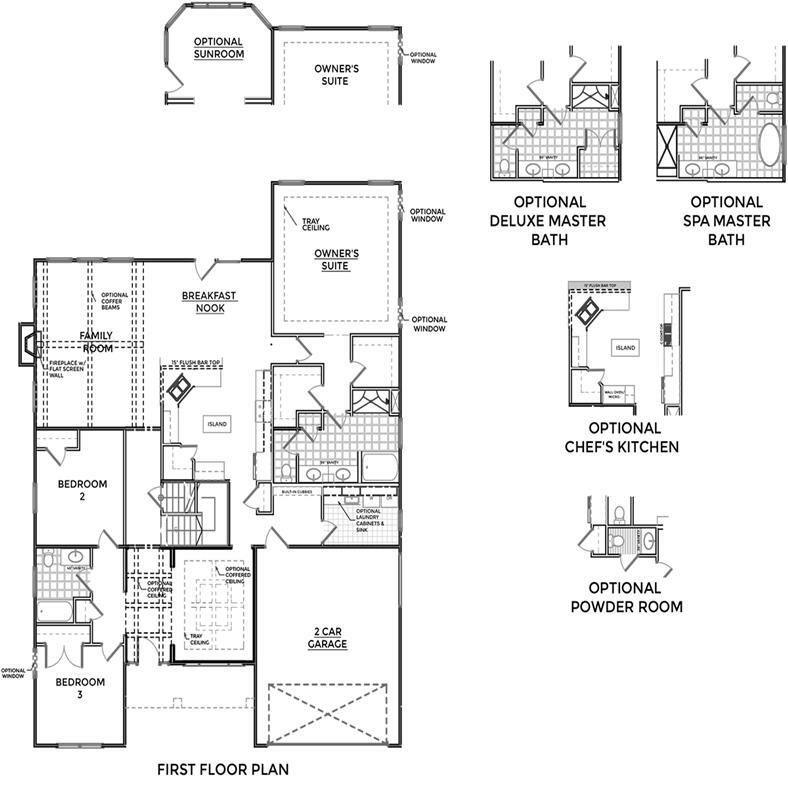 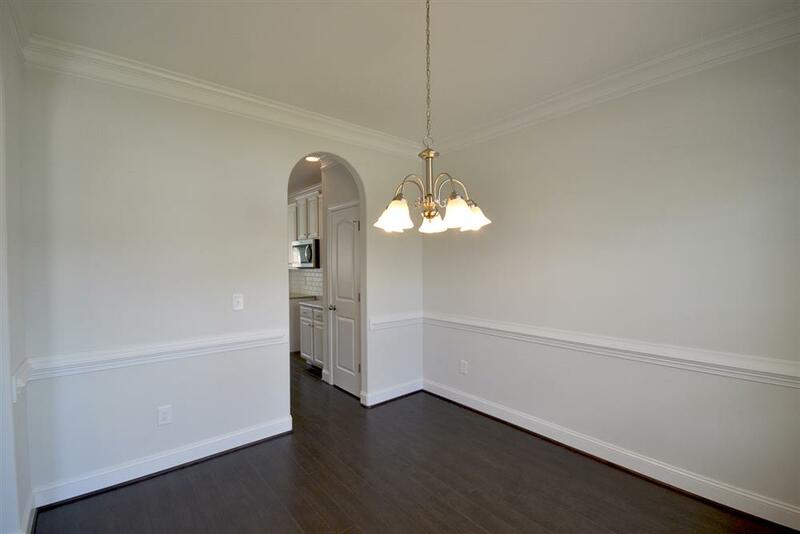 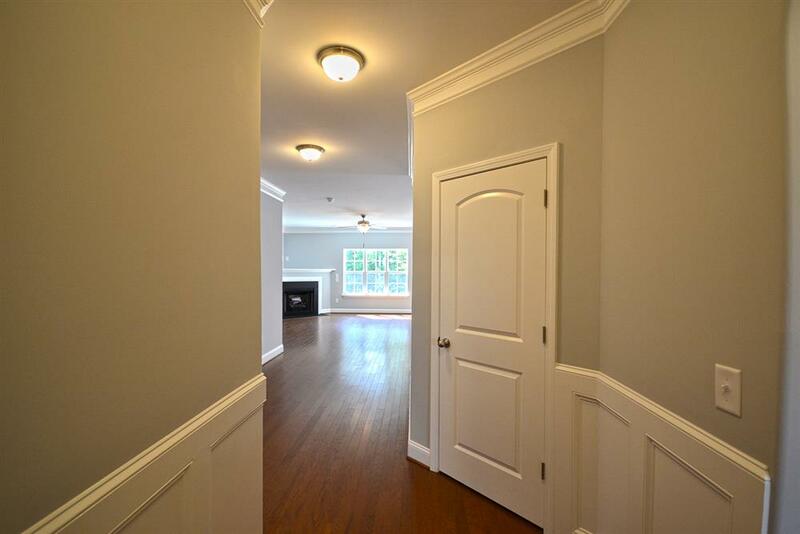 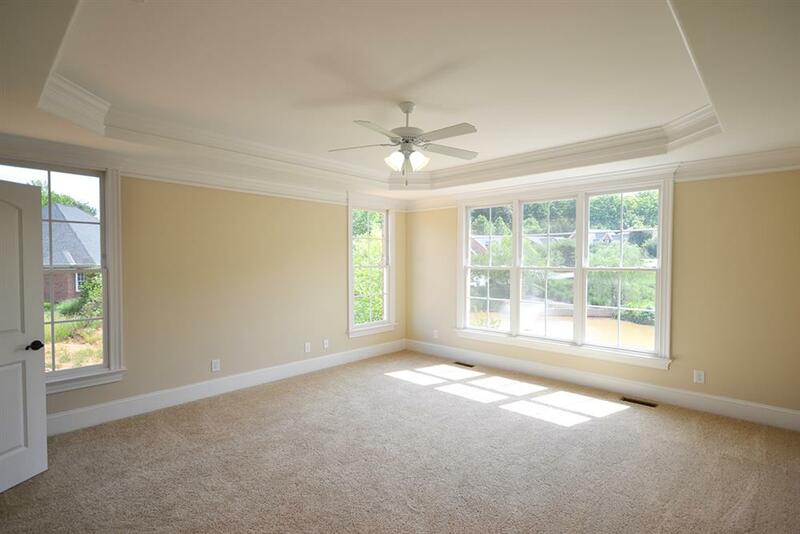 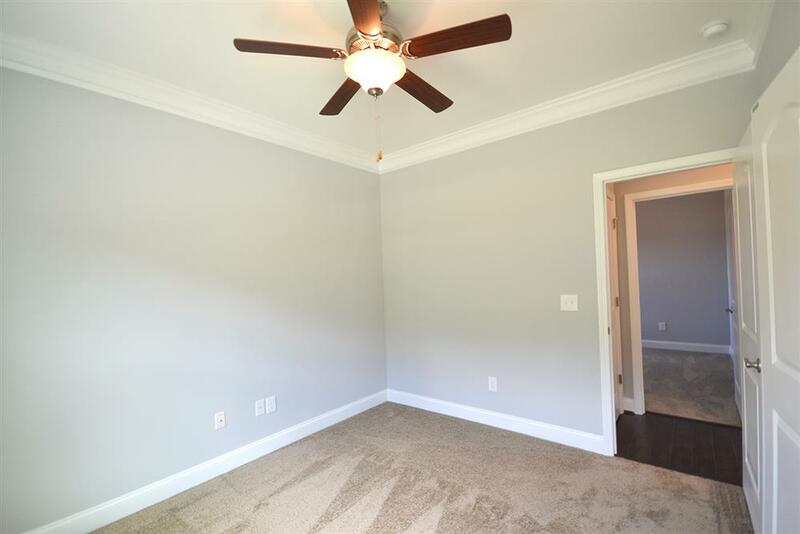 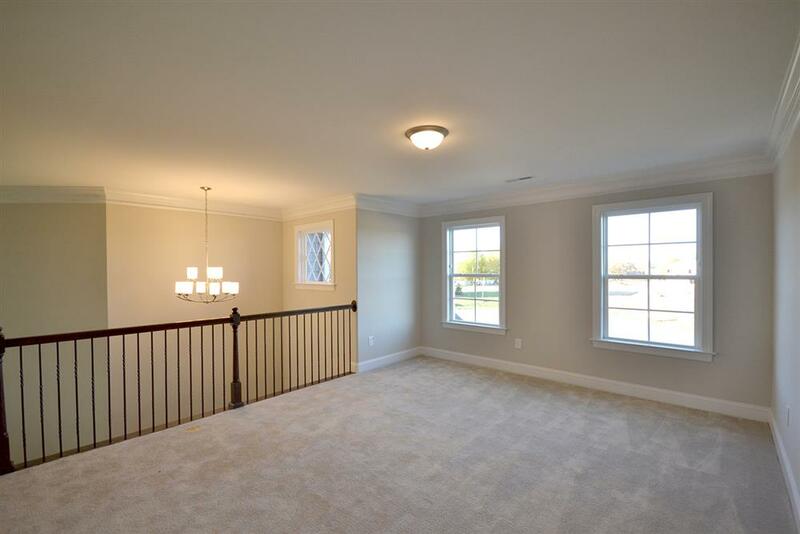 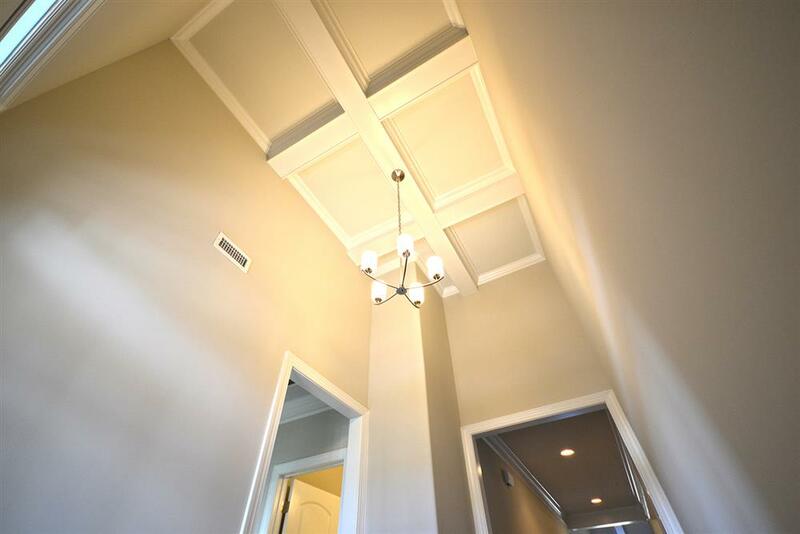 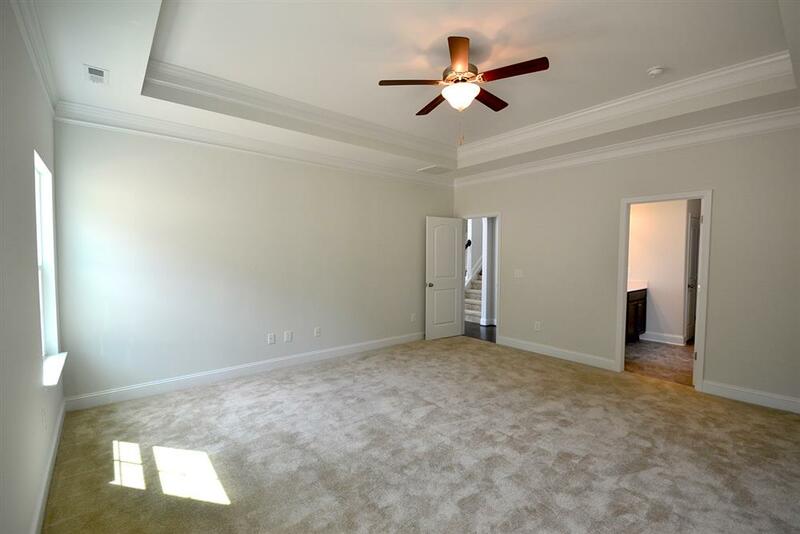 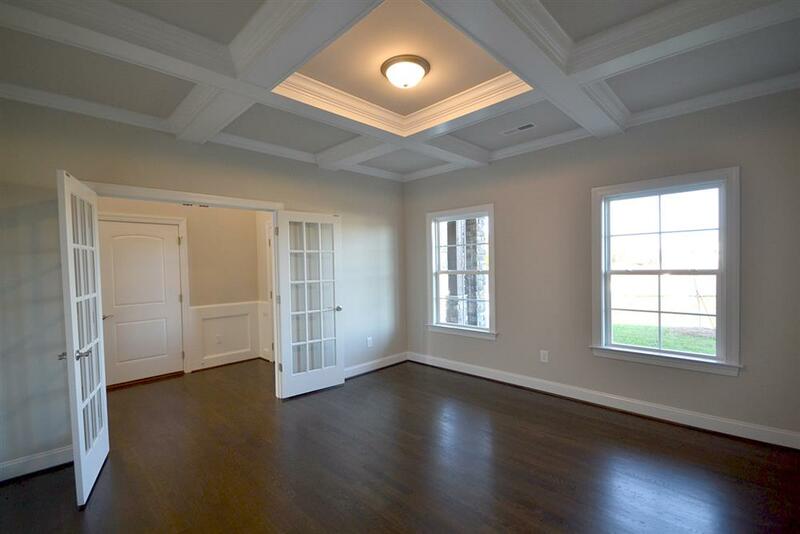 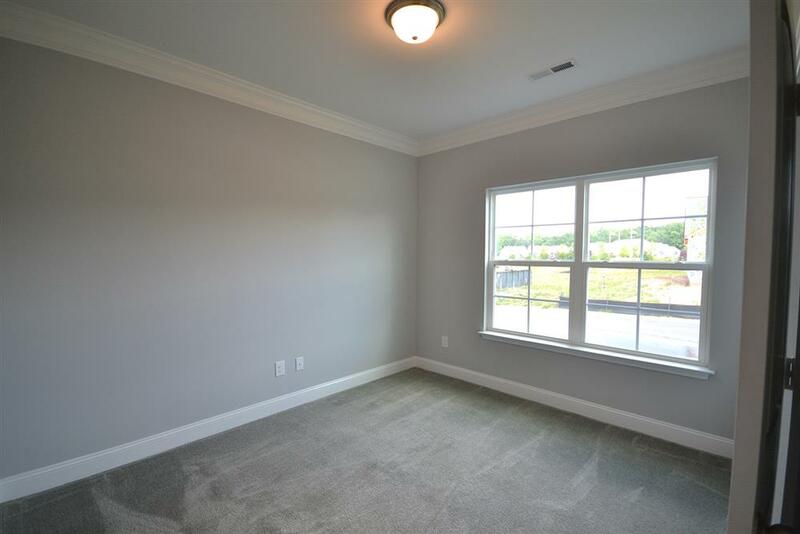 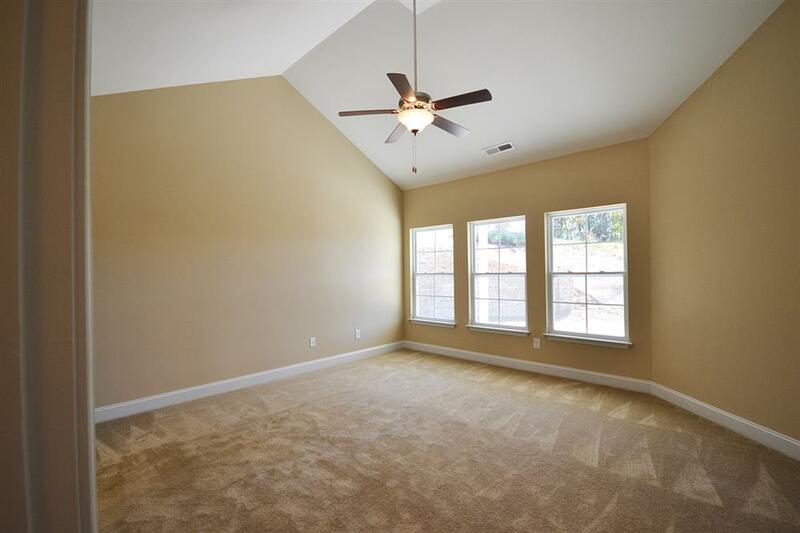 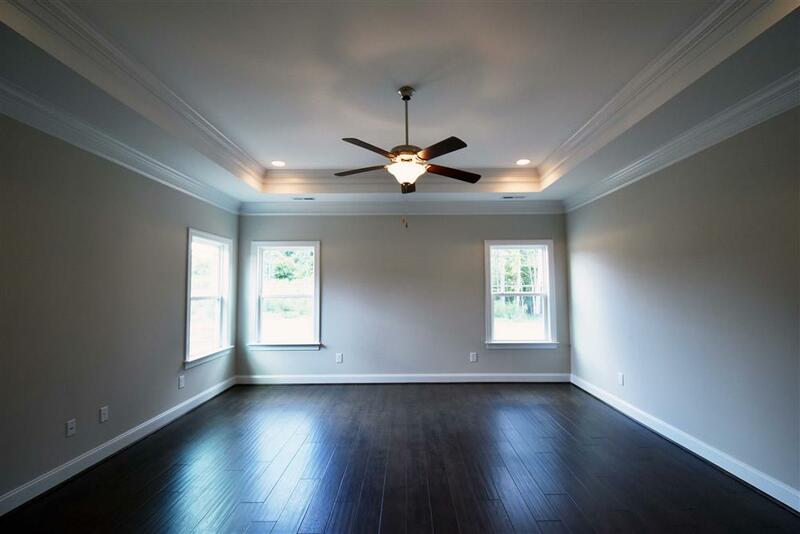 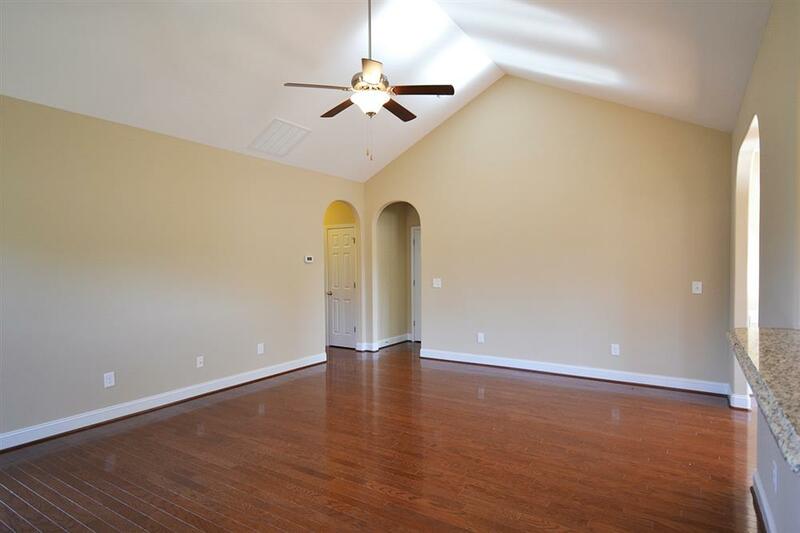 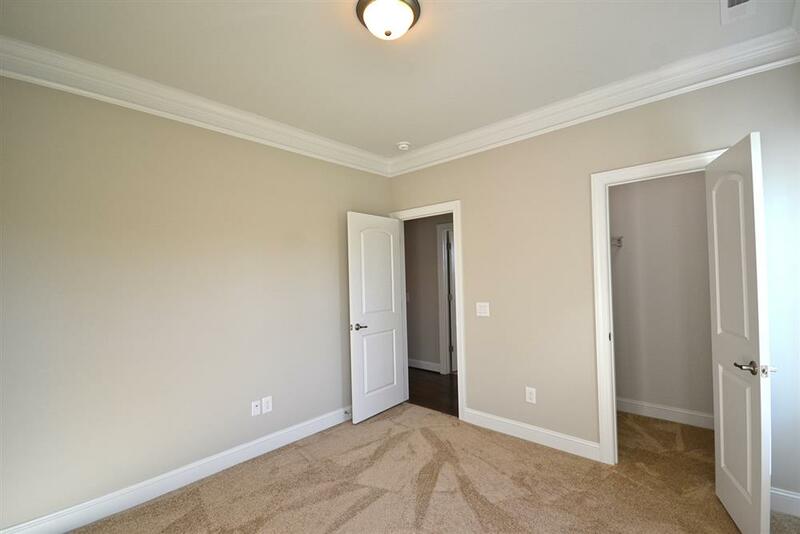 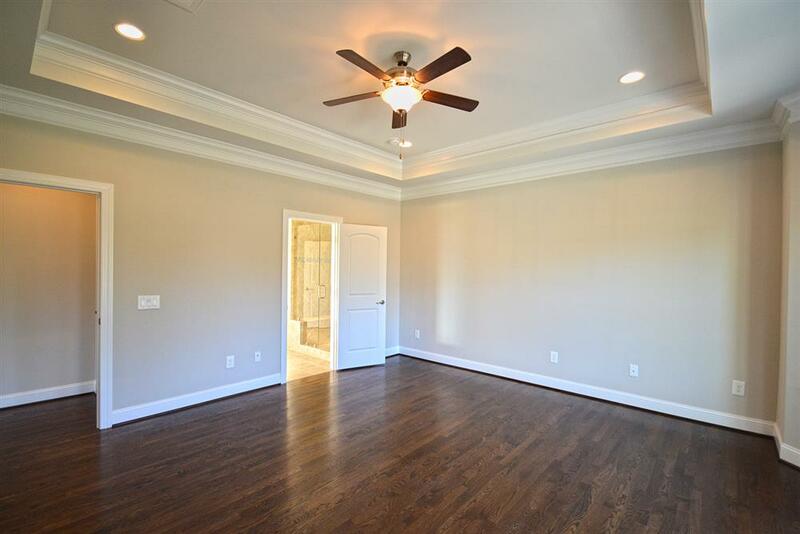 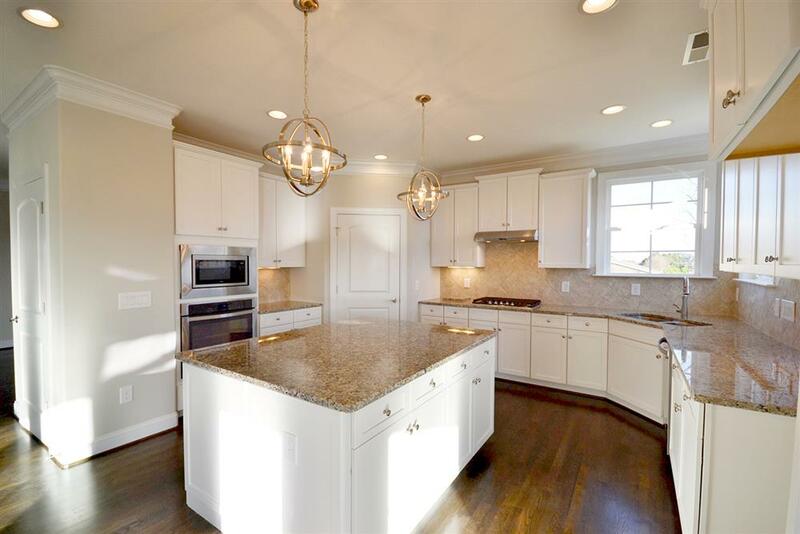 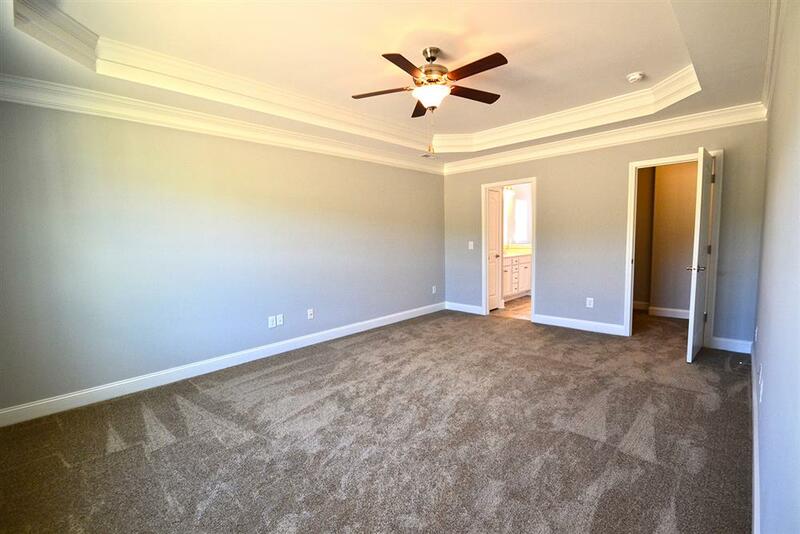 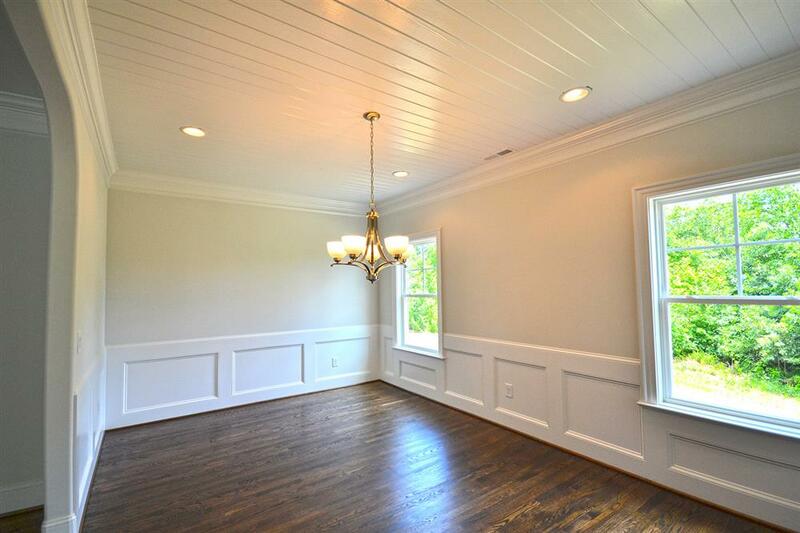 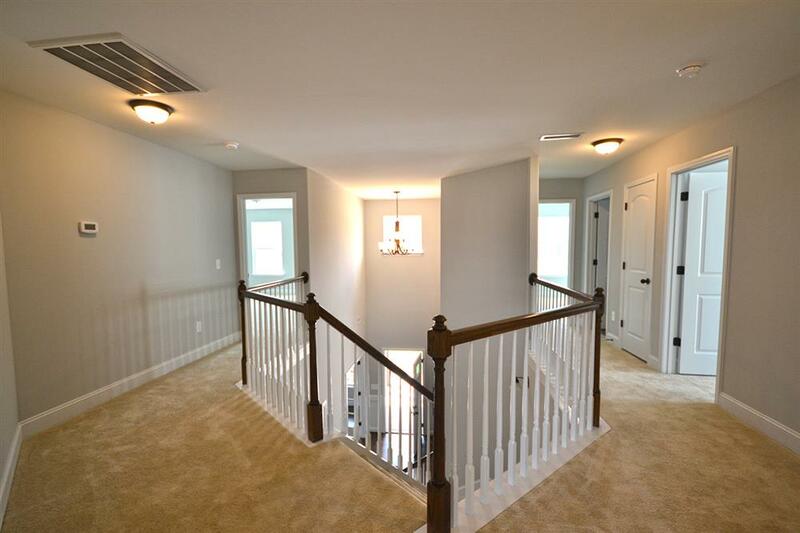 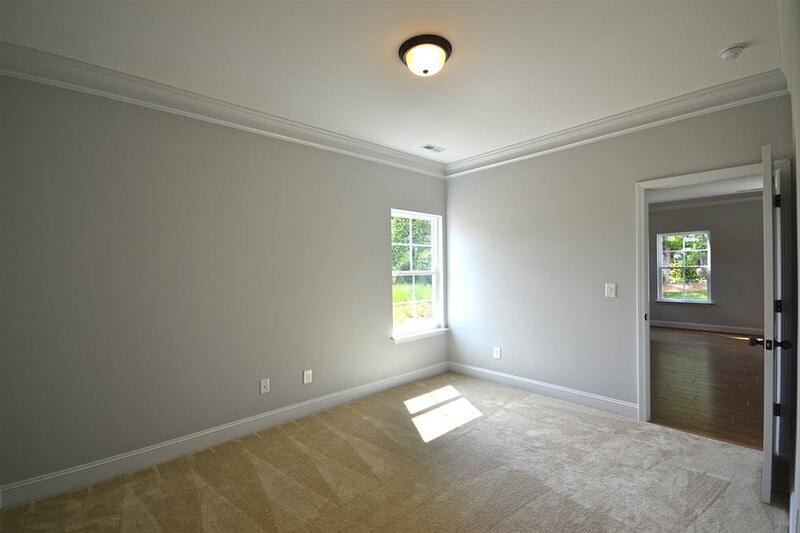 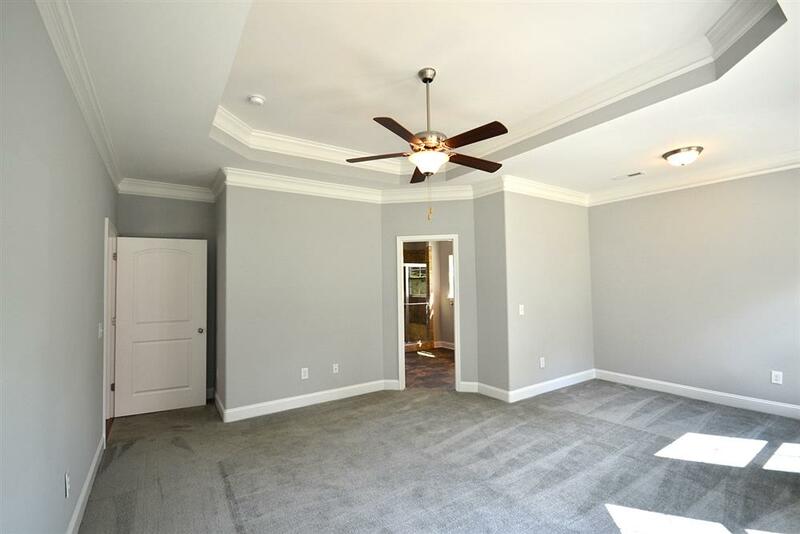 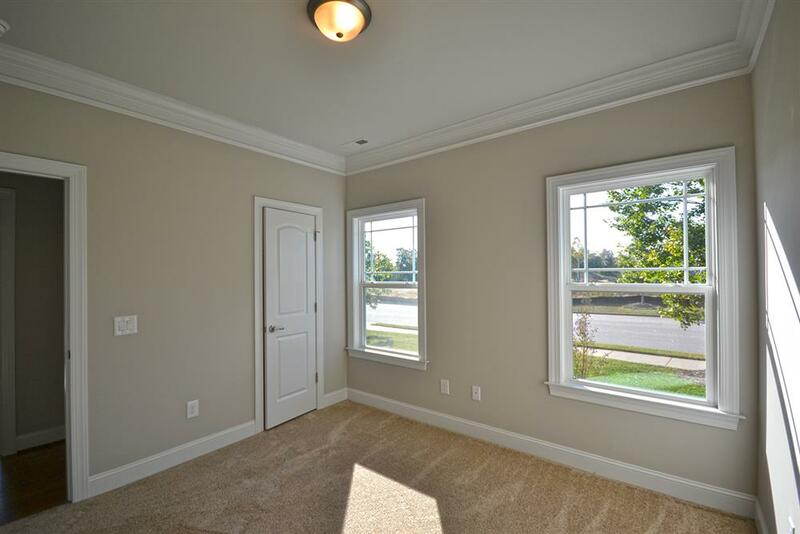 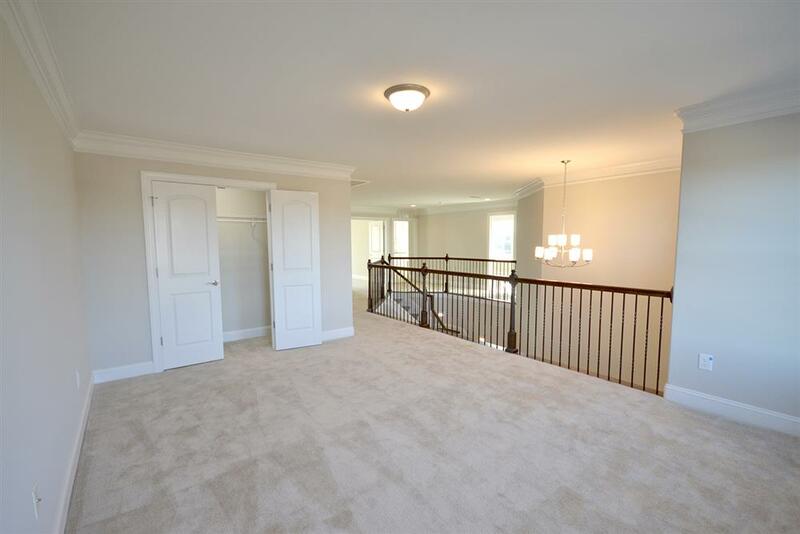 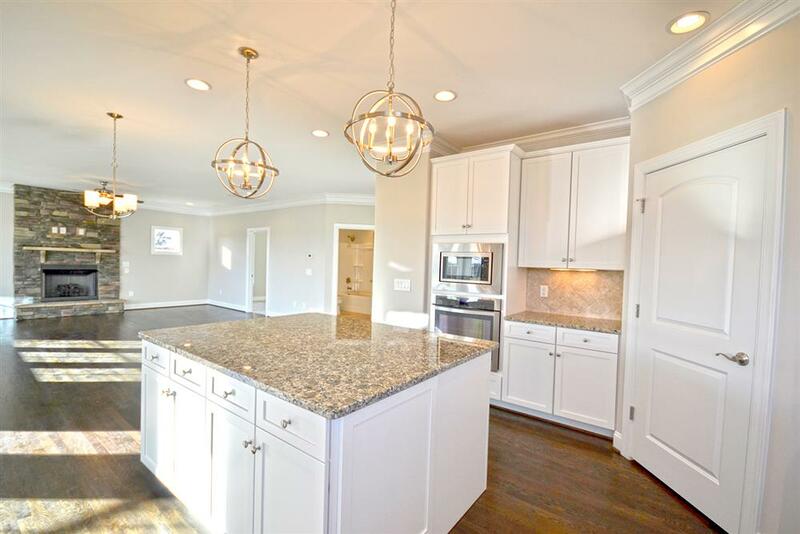 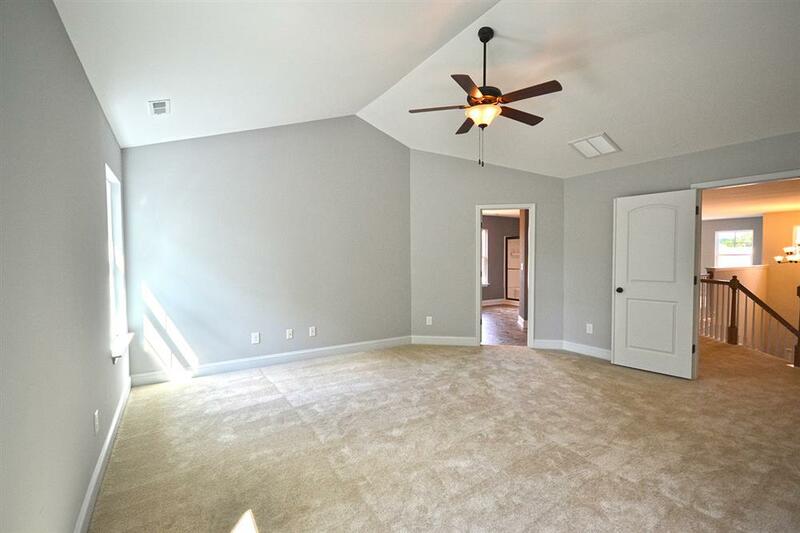 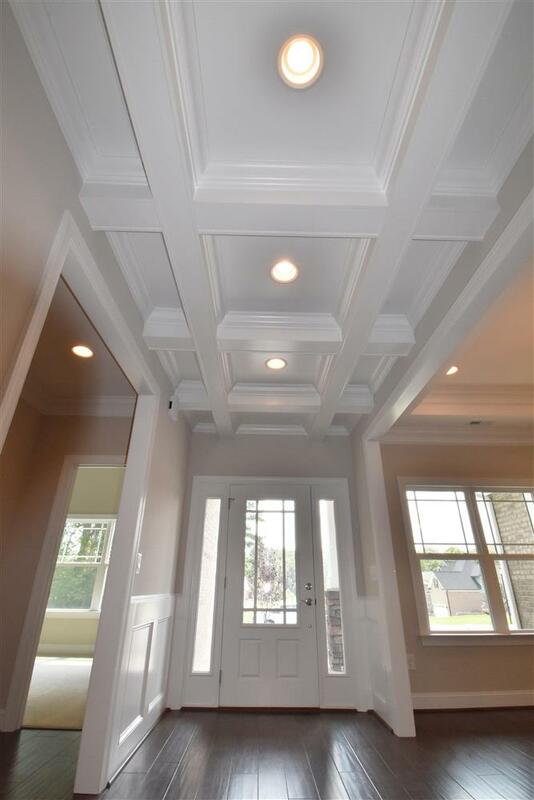 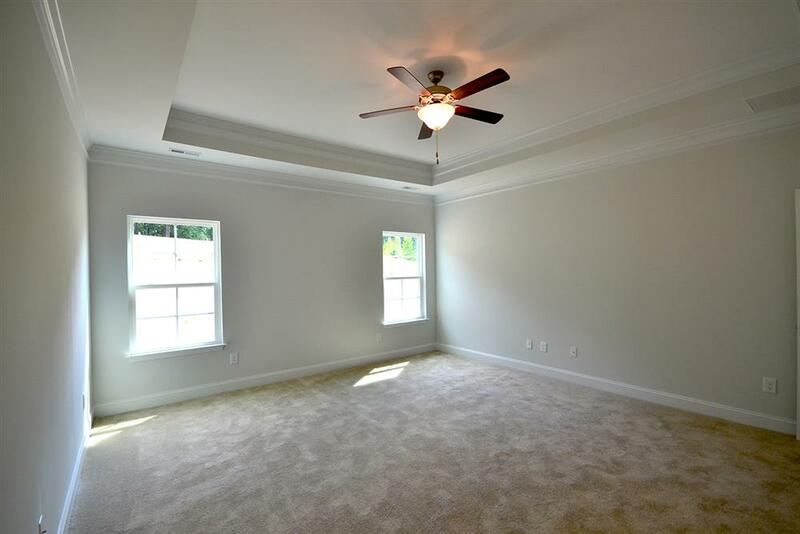 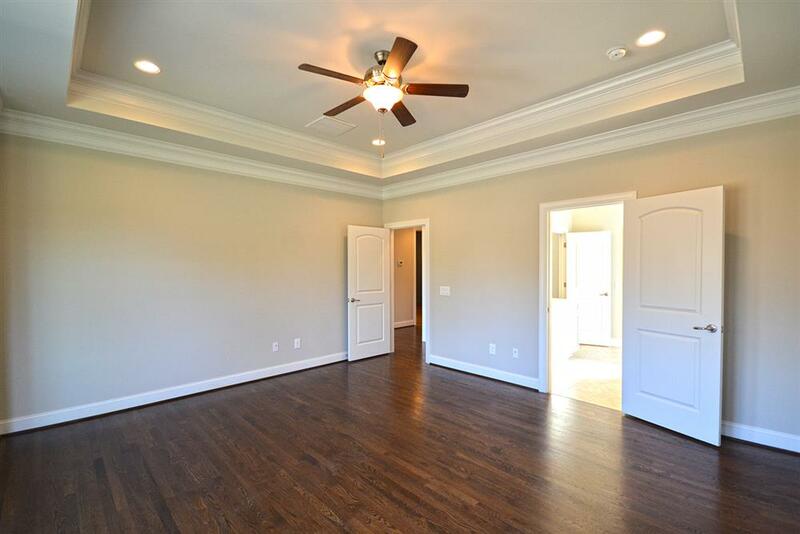 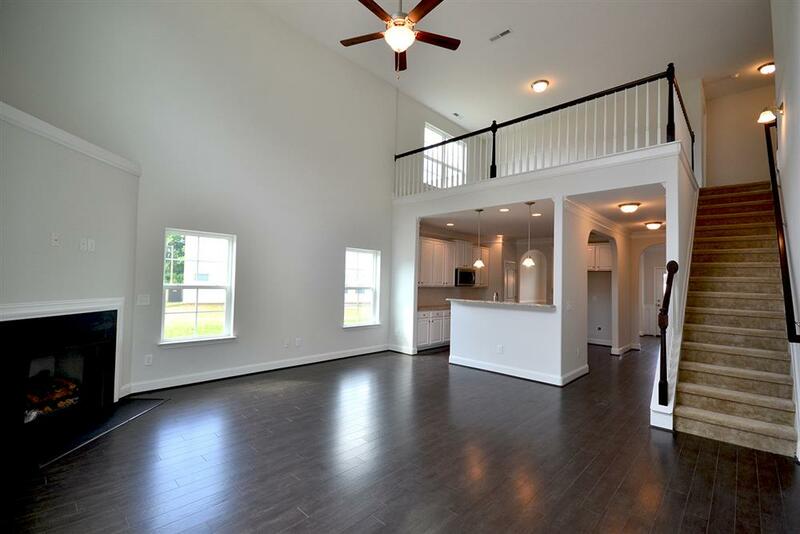 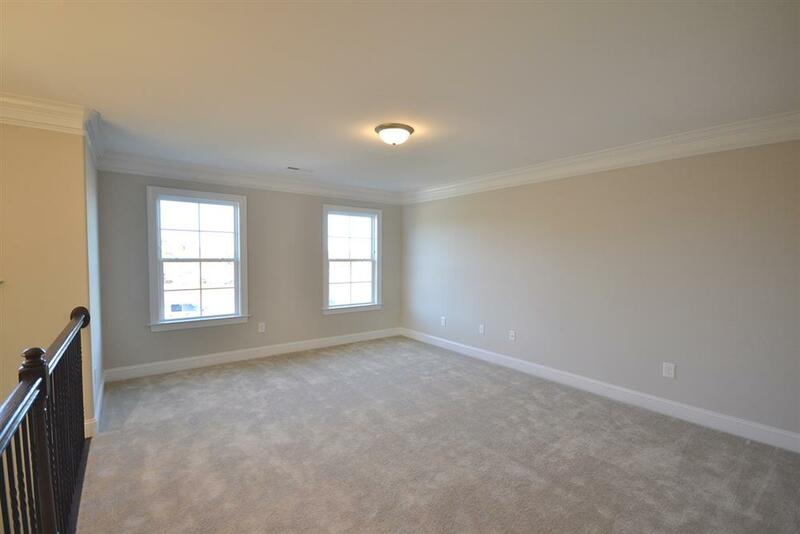 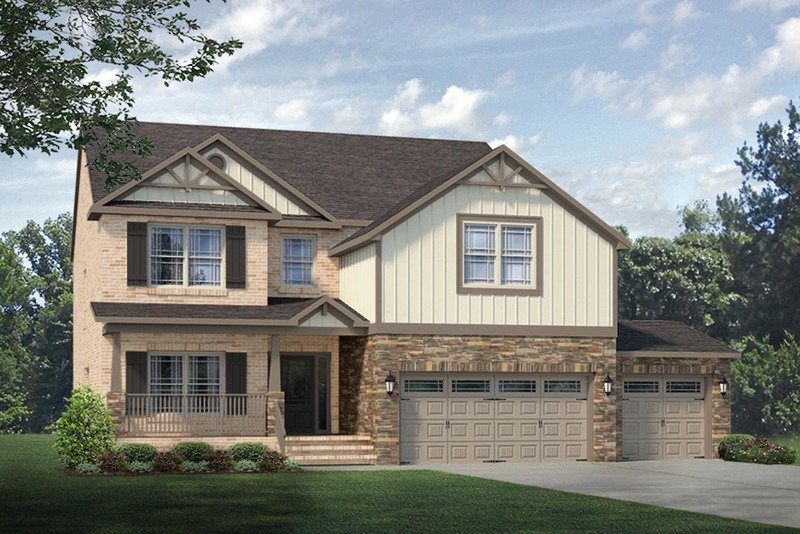 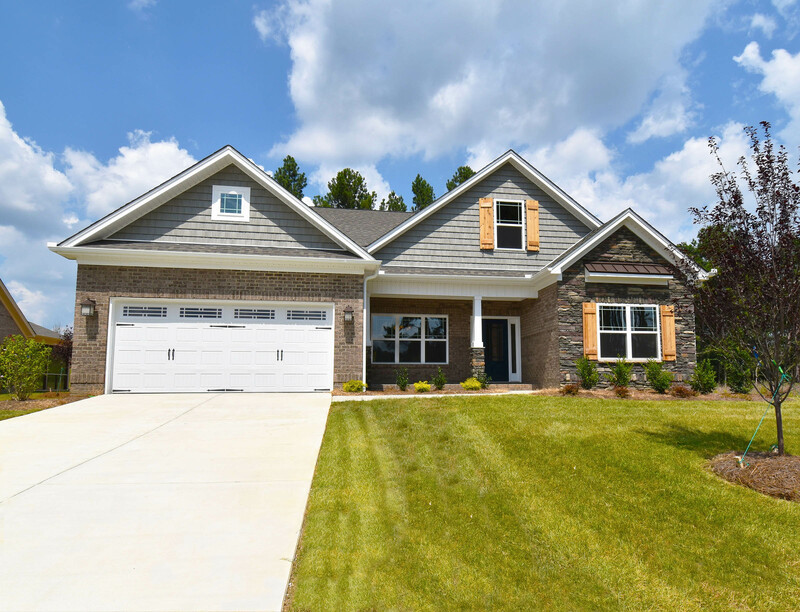 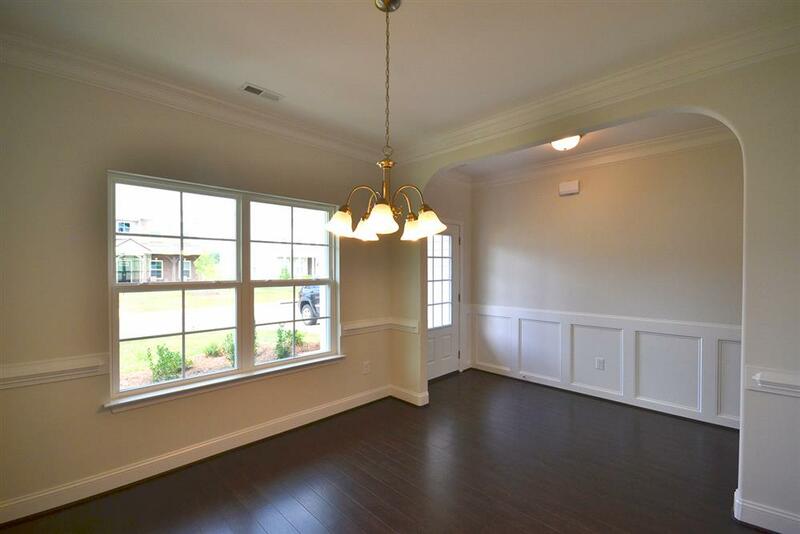 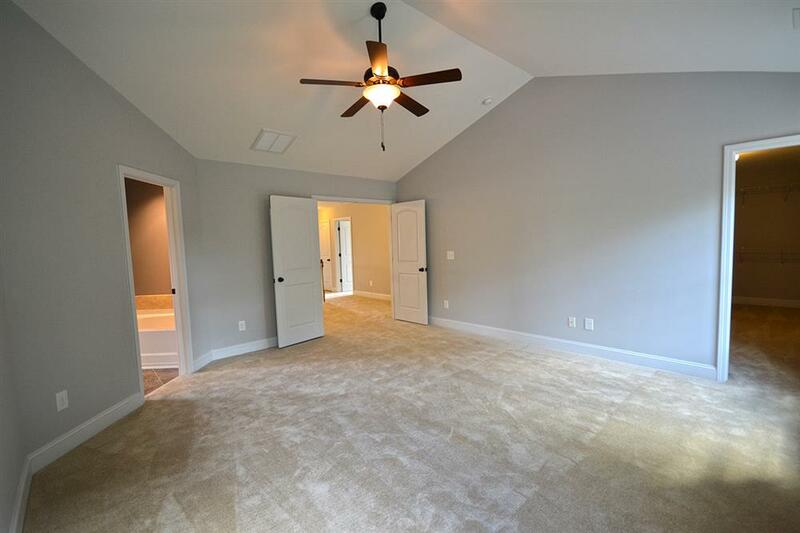 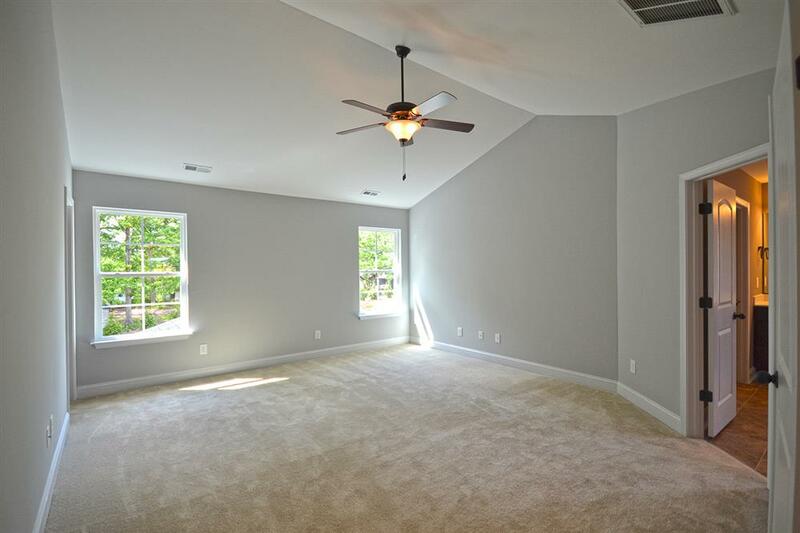 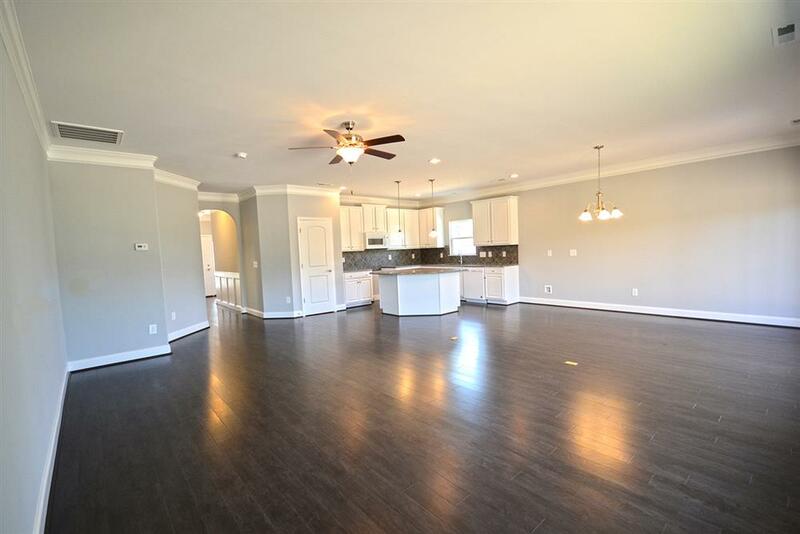 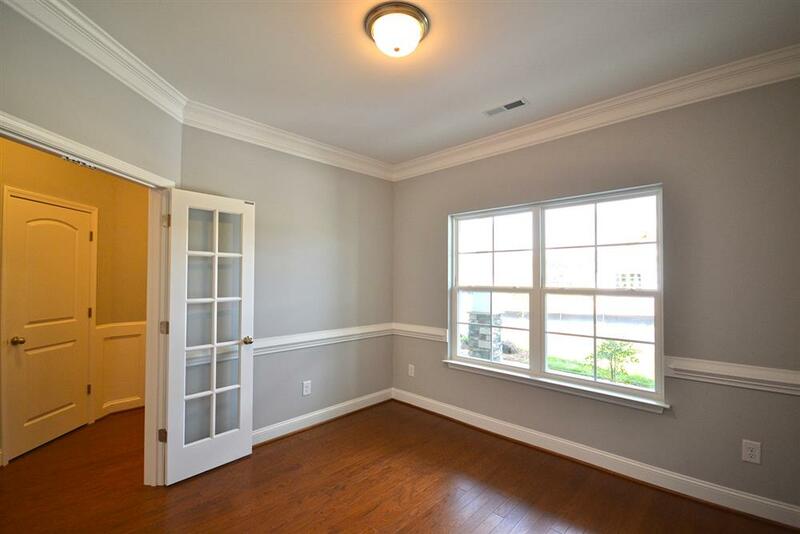 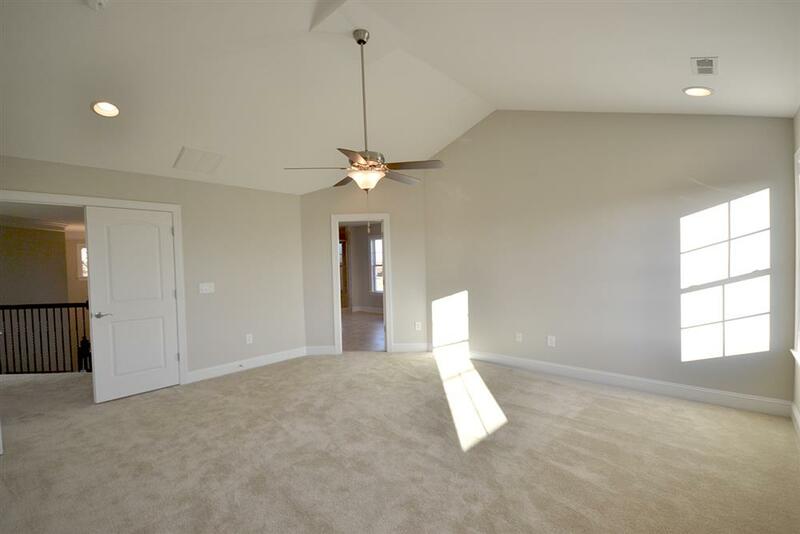 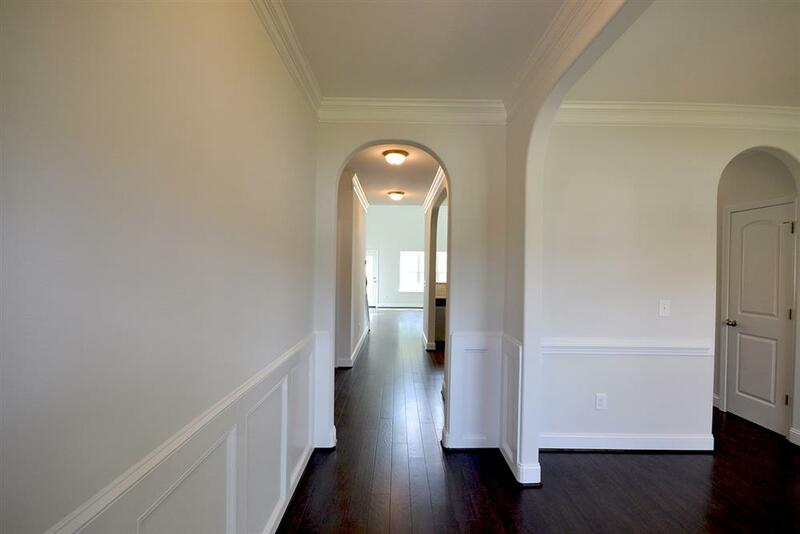 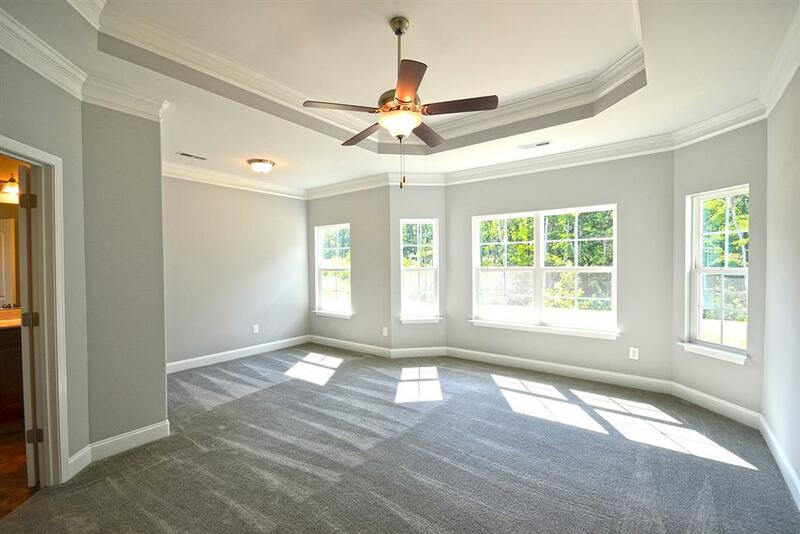 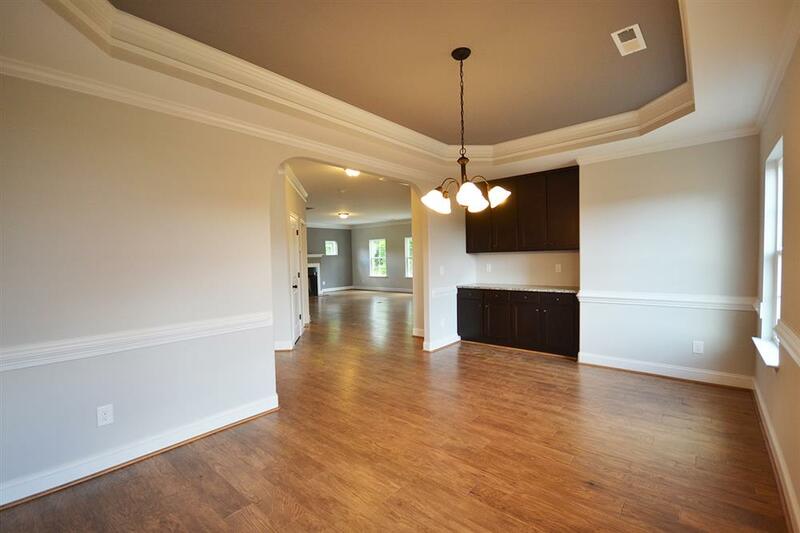 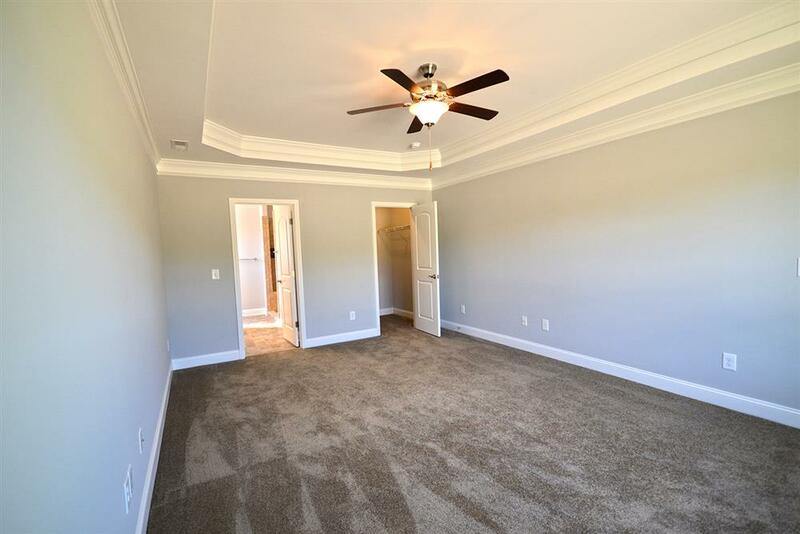 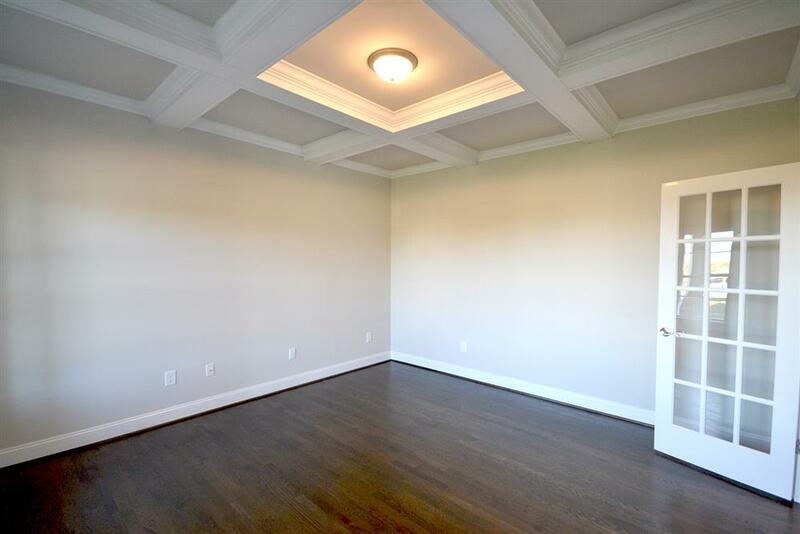 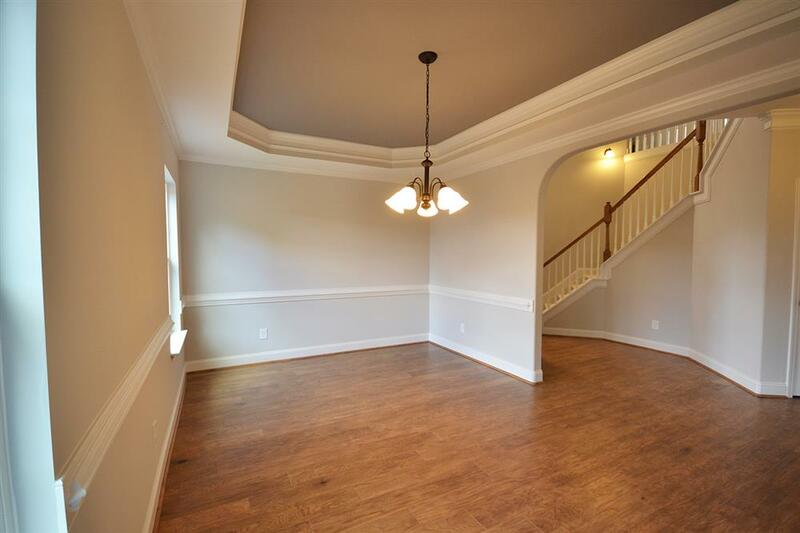 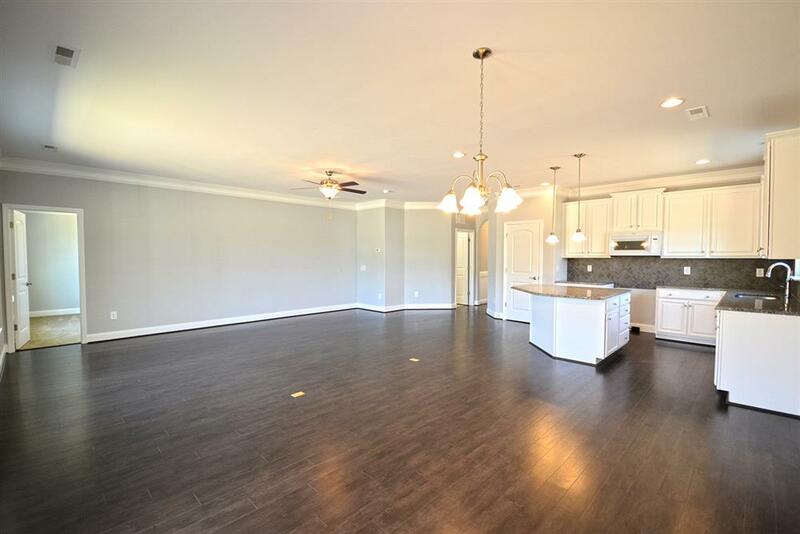 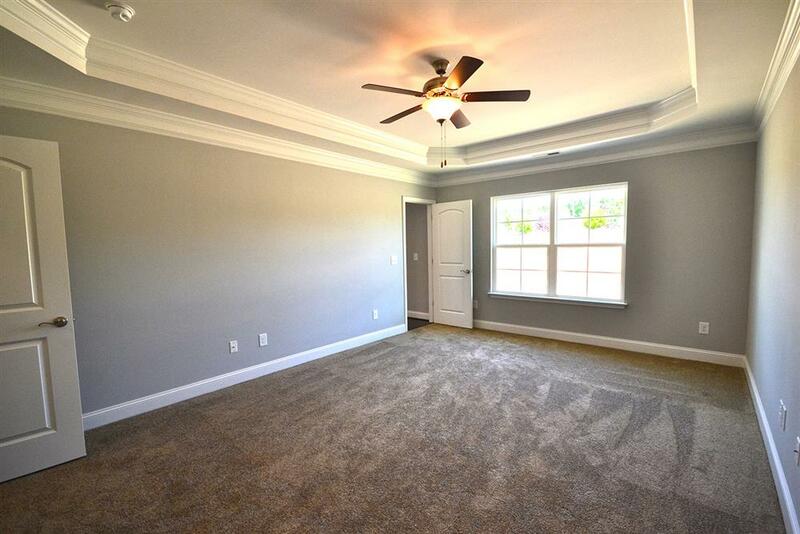 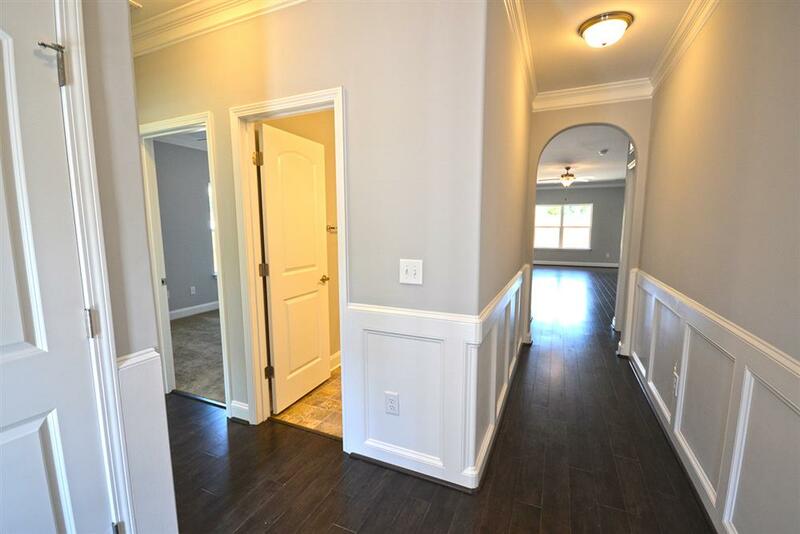 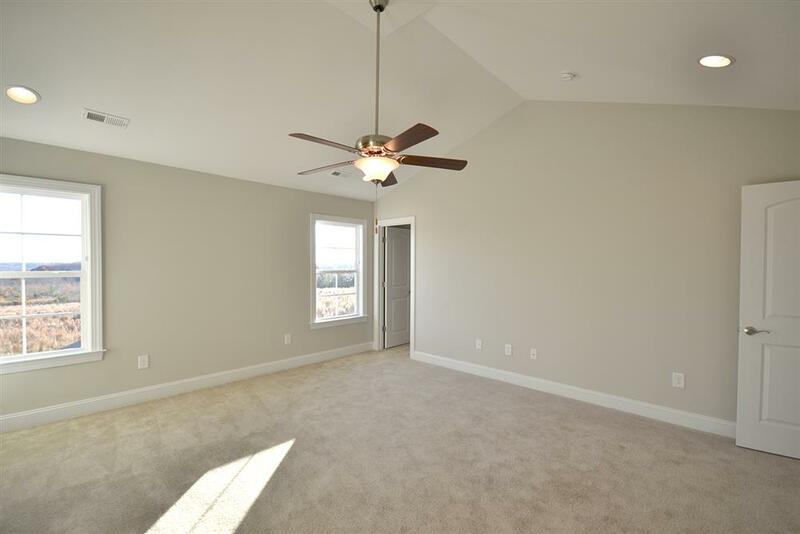 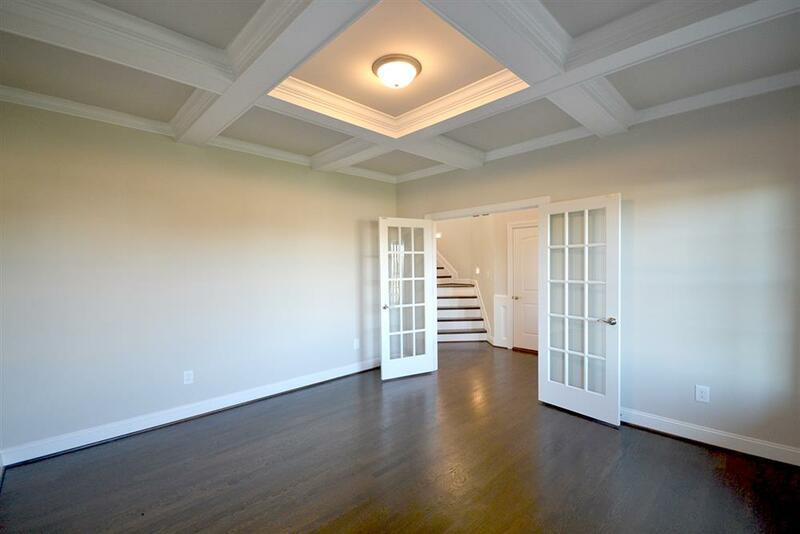 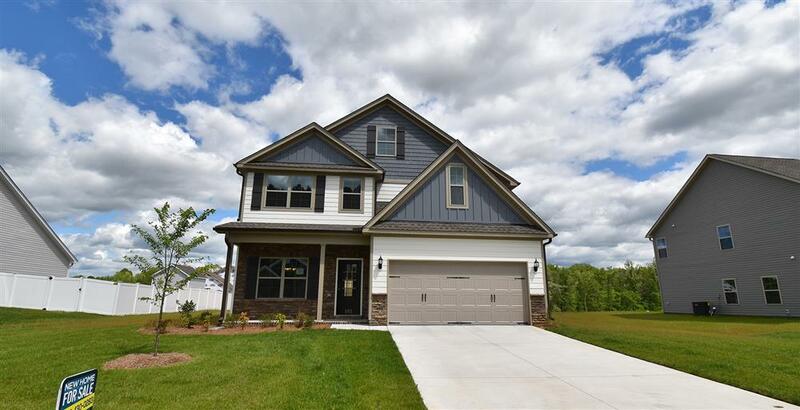 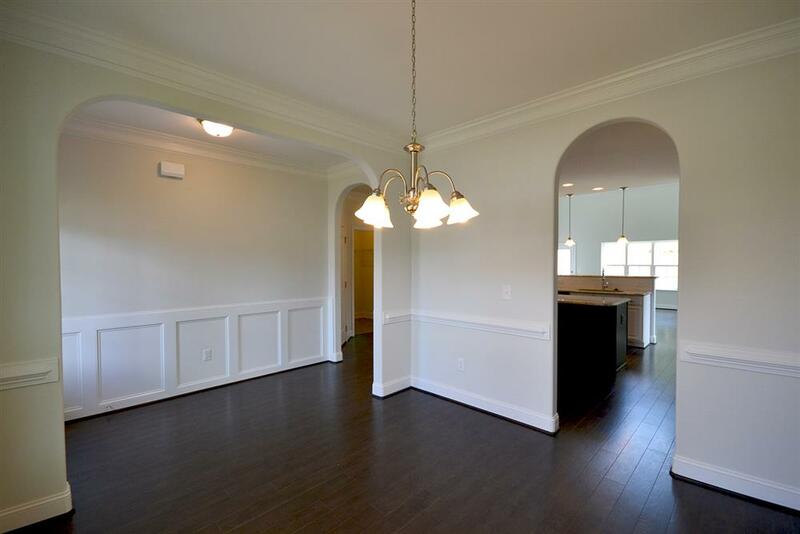 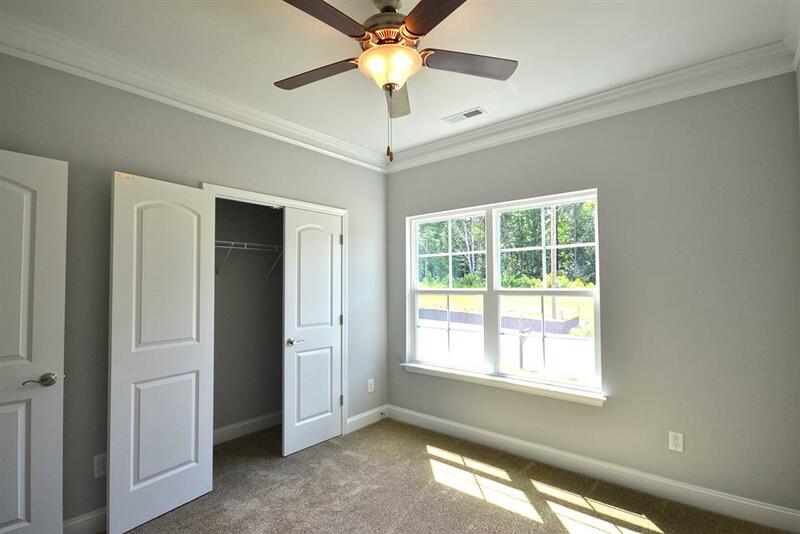 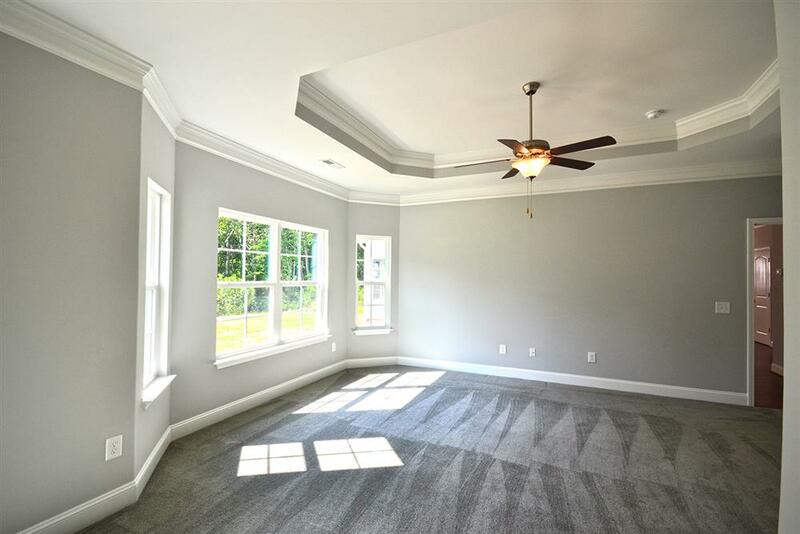 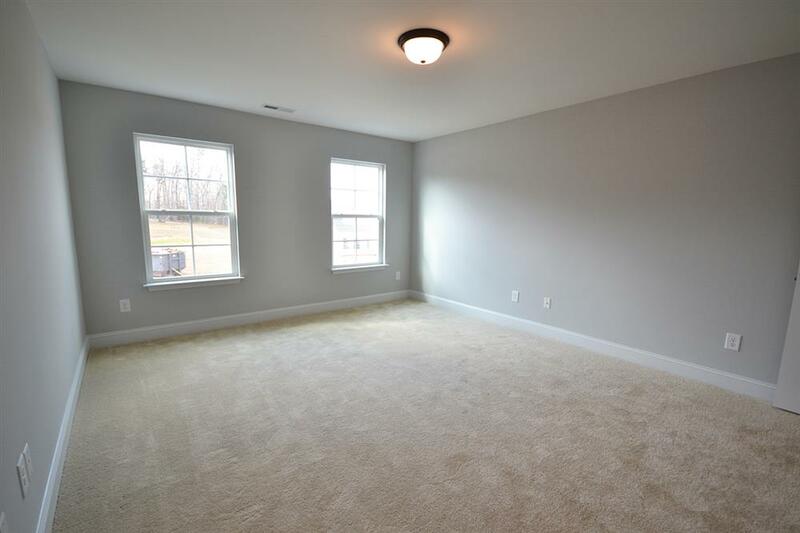 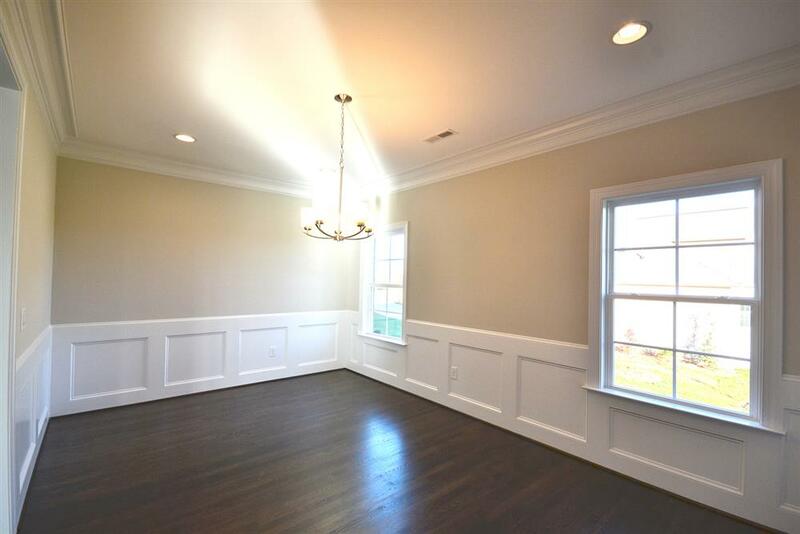 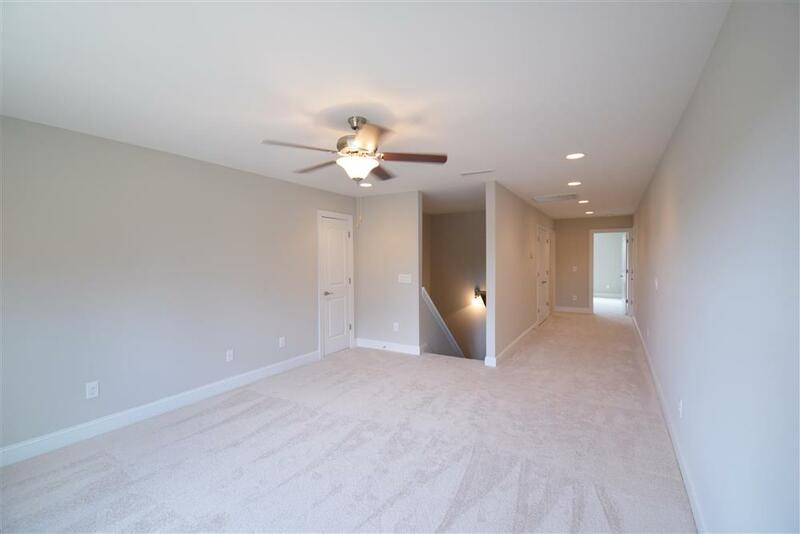 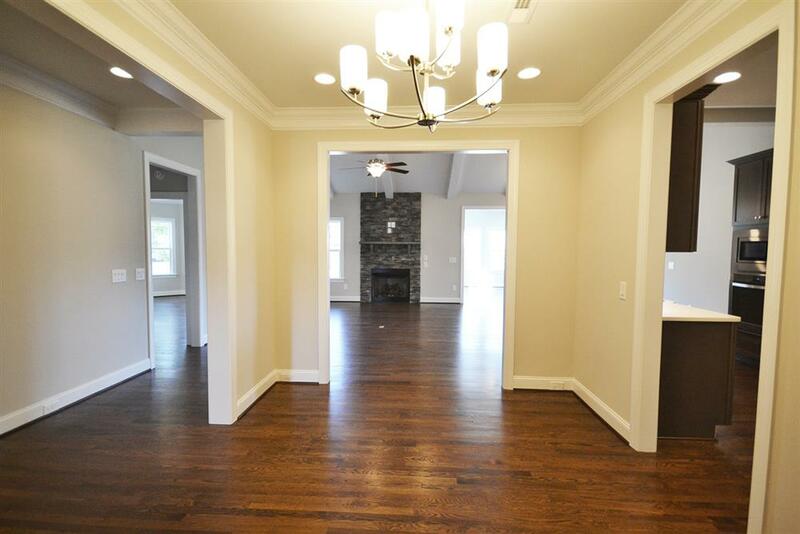 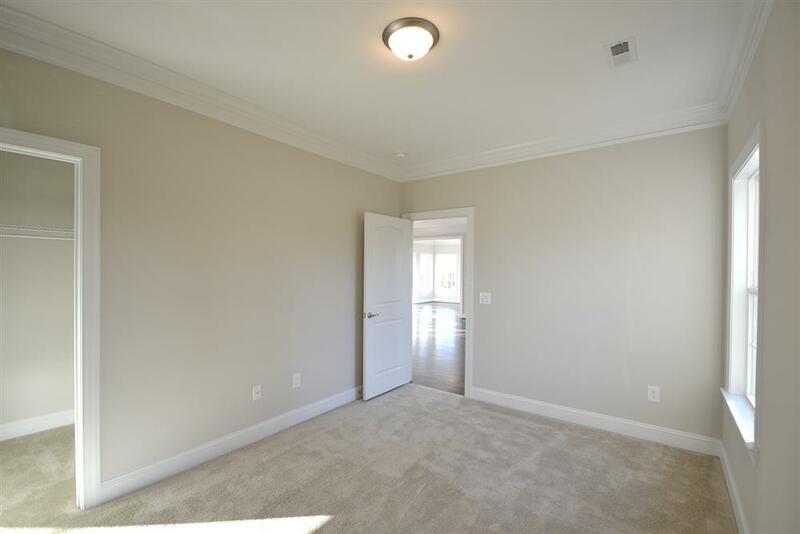 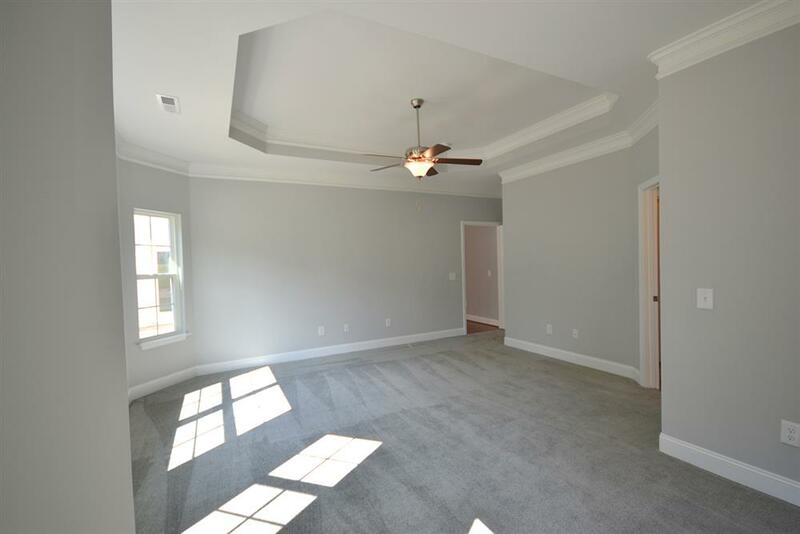 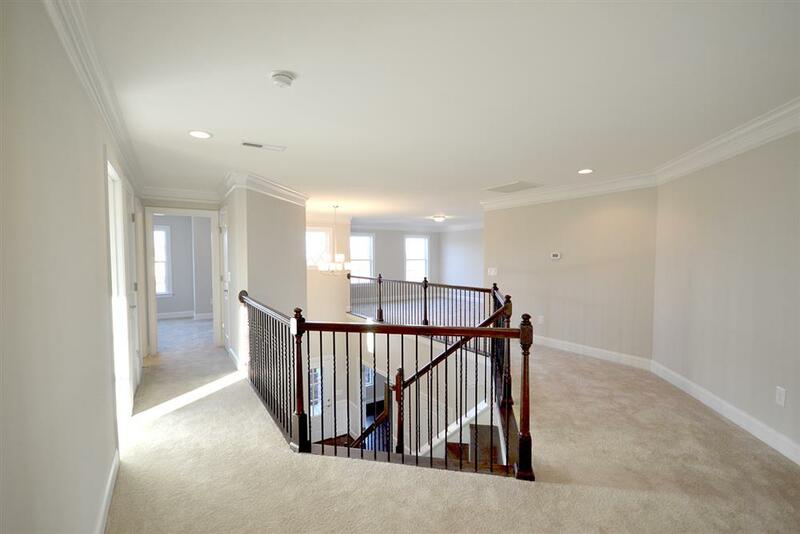 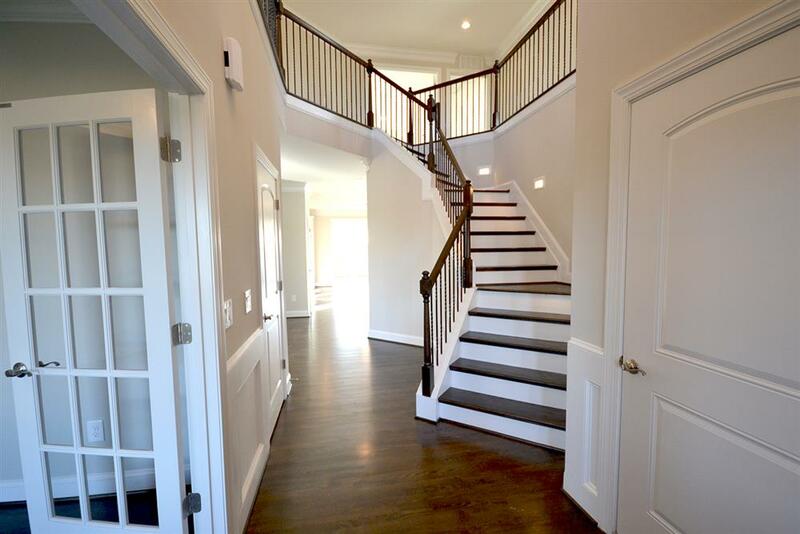 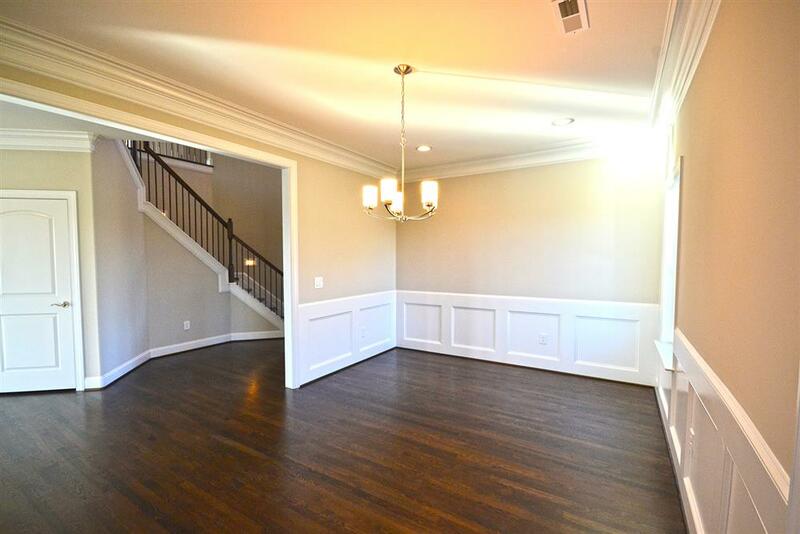 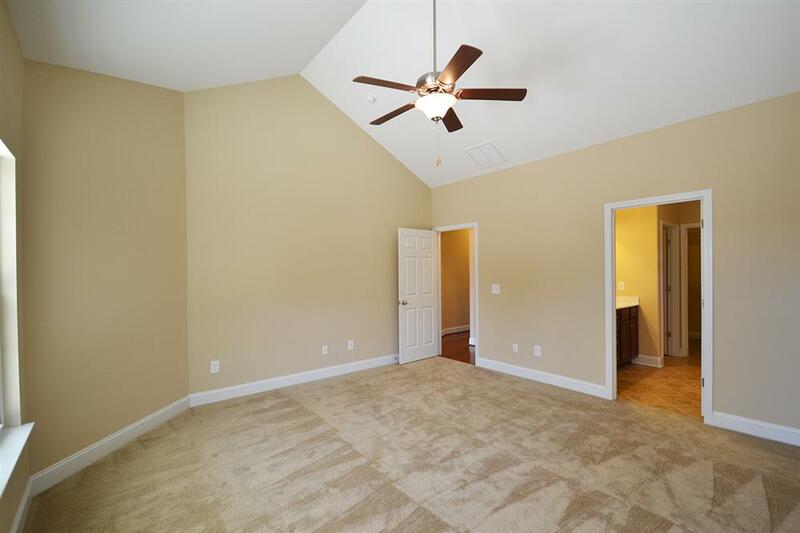 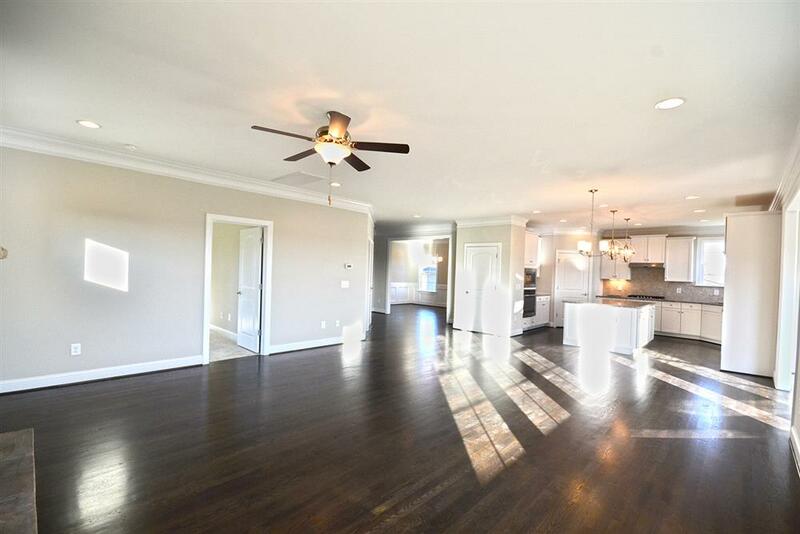 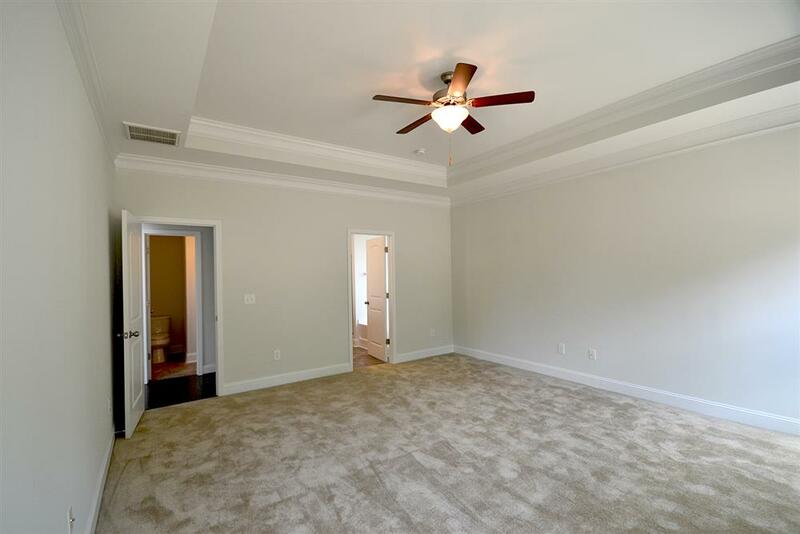 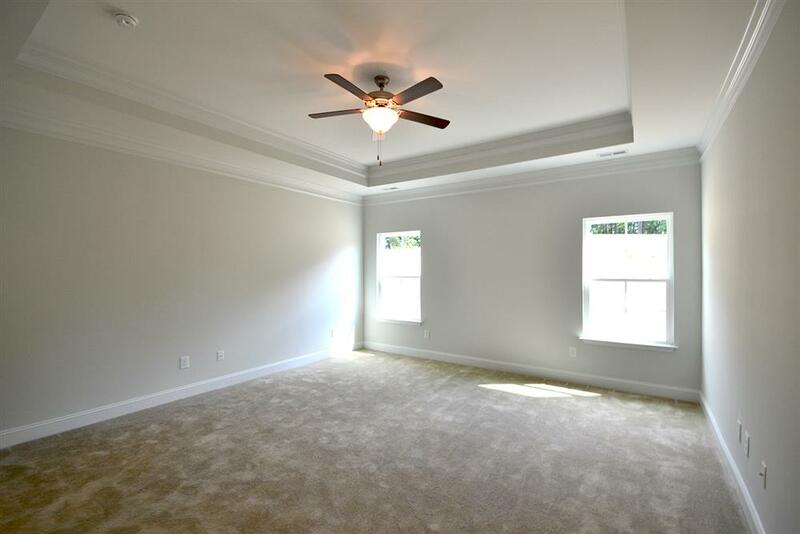 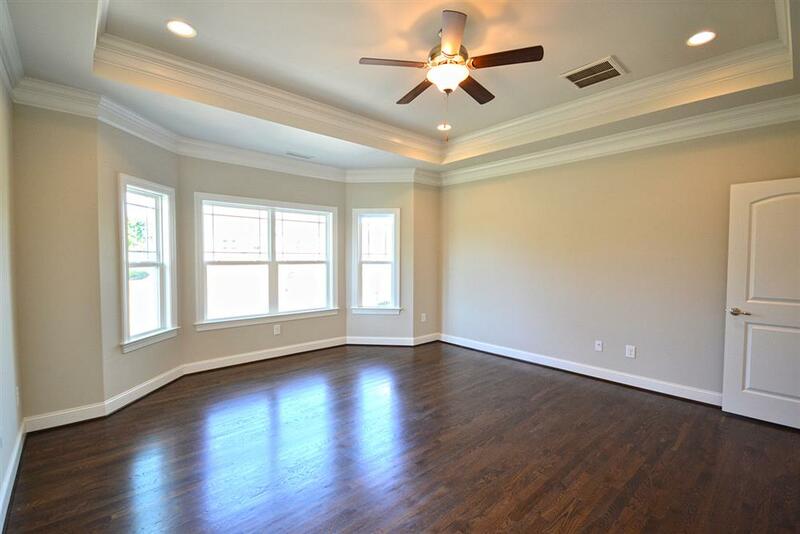 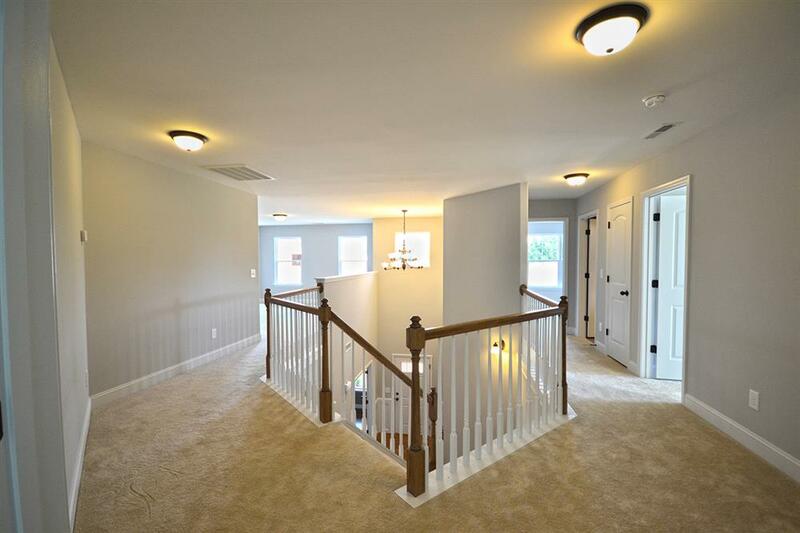 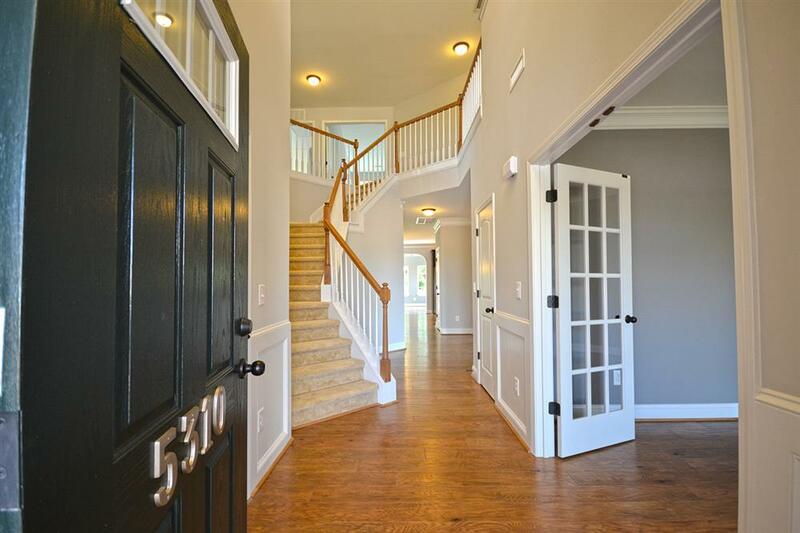 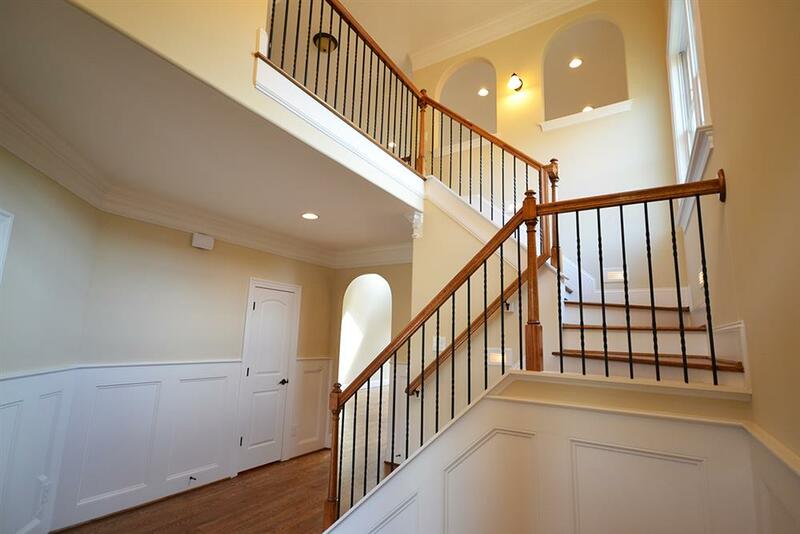 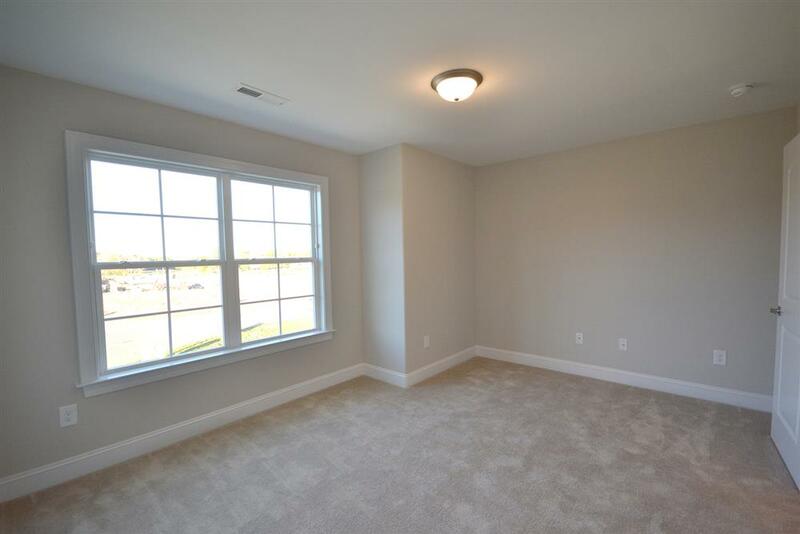 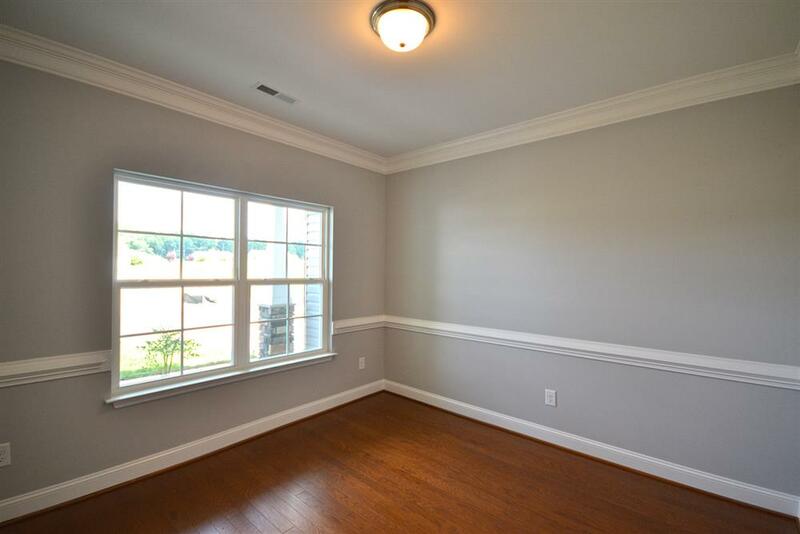 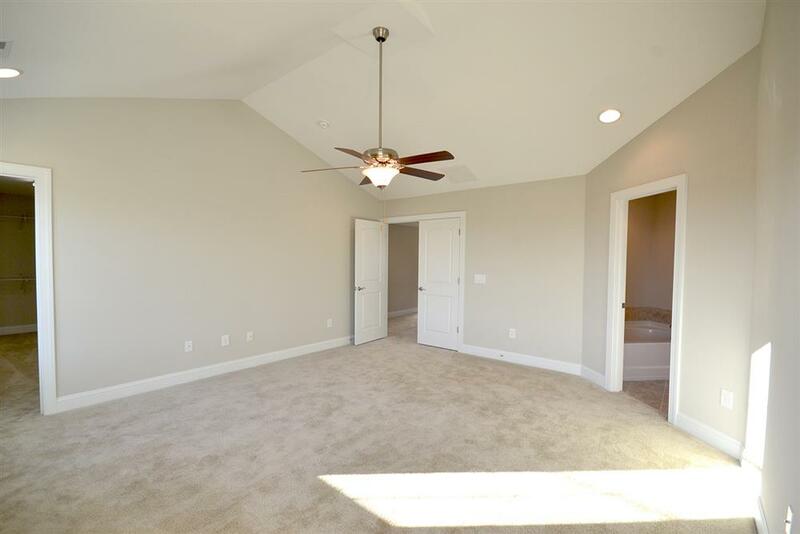 Inside you will notice the subtle features that add to the elegance of the home, wainscoting in the foyer, chair rail in the dining room, and either a vaulted or tray ceiling in the master bedroom per the plan. 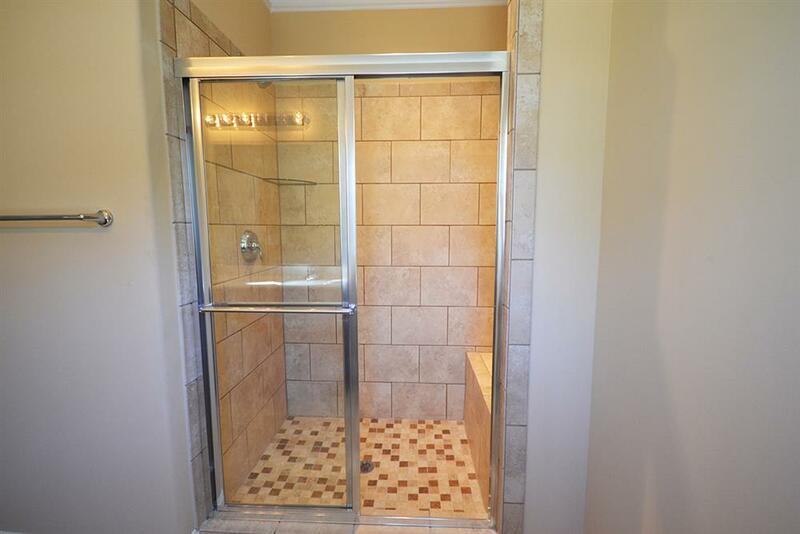 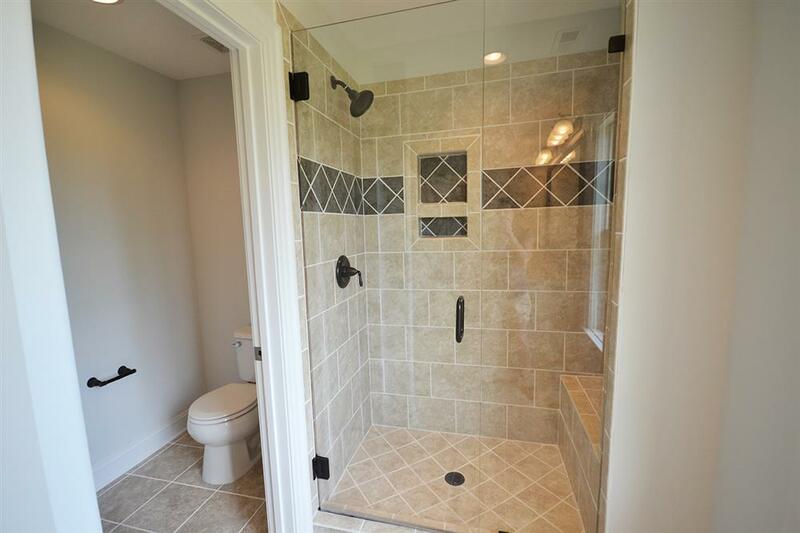 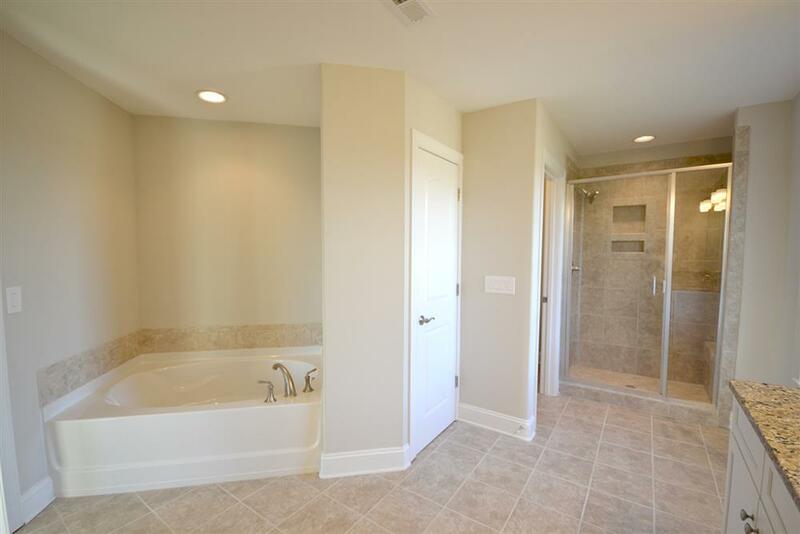 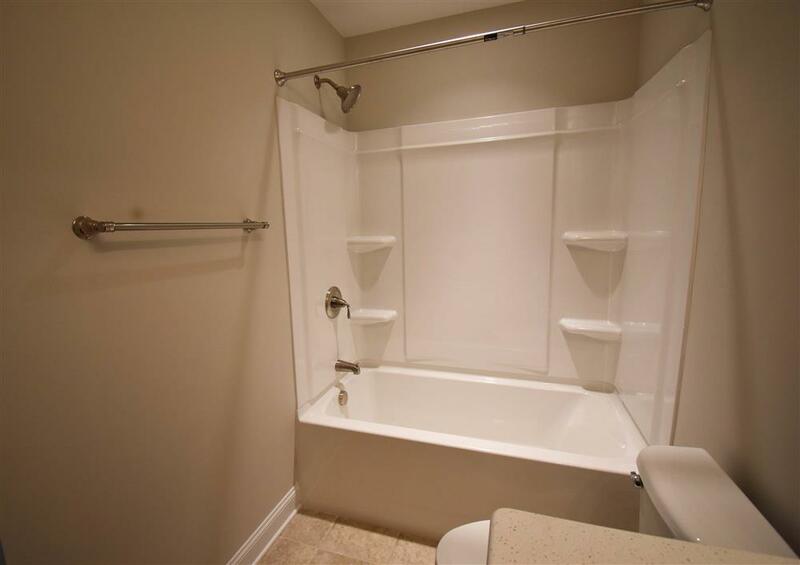 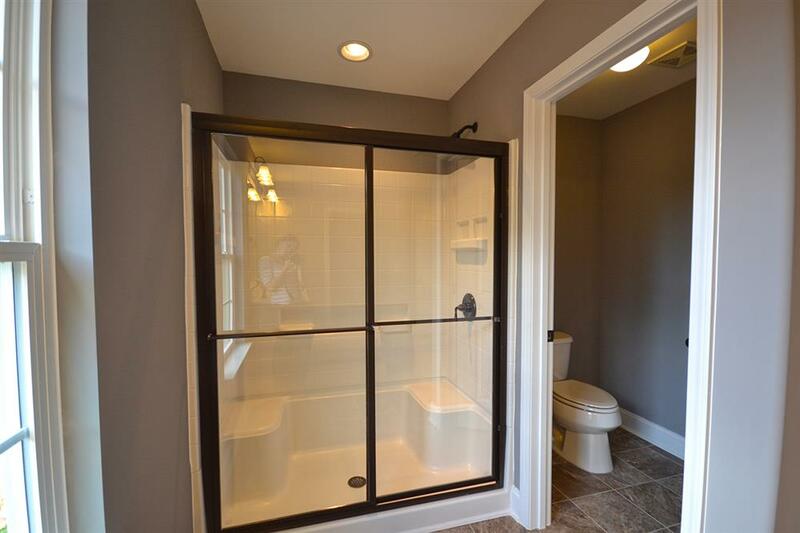 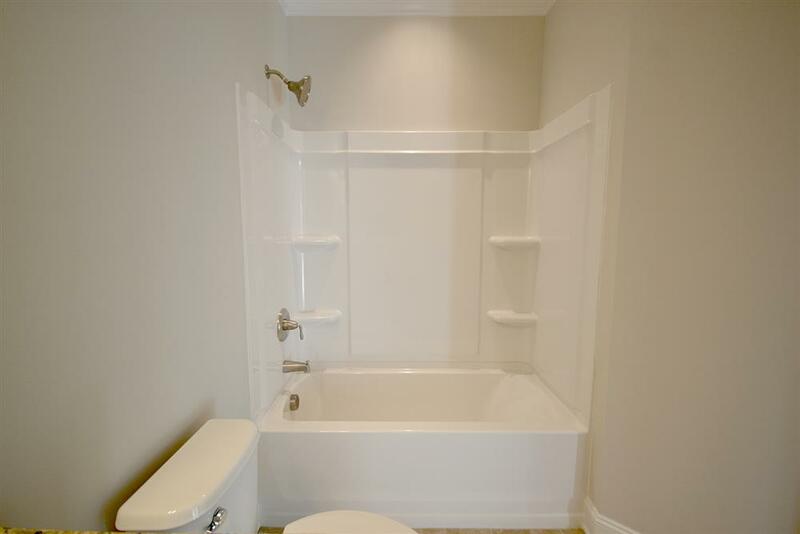 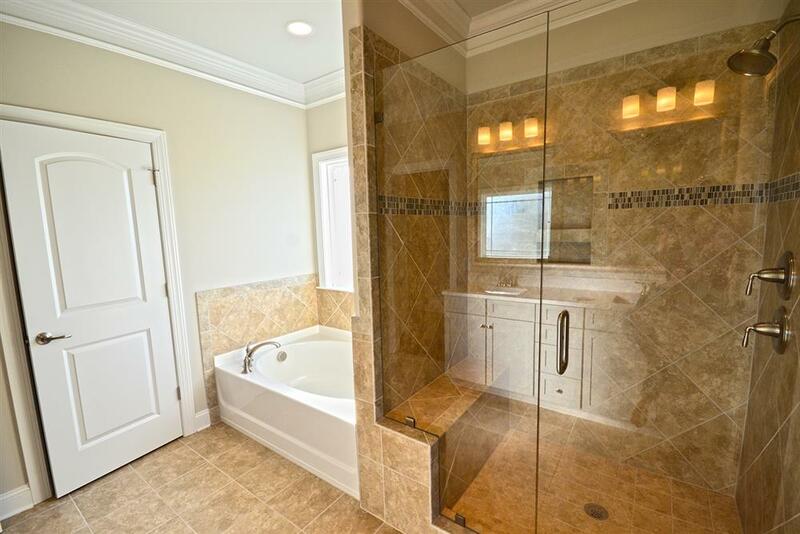 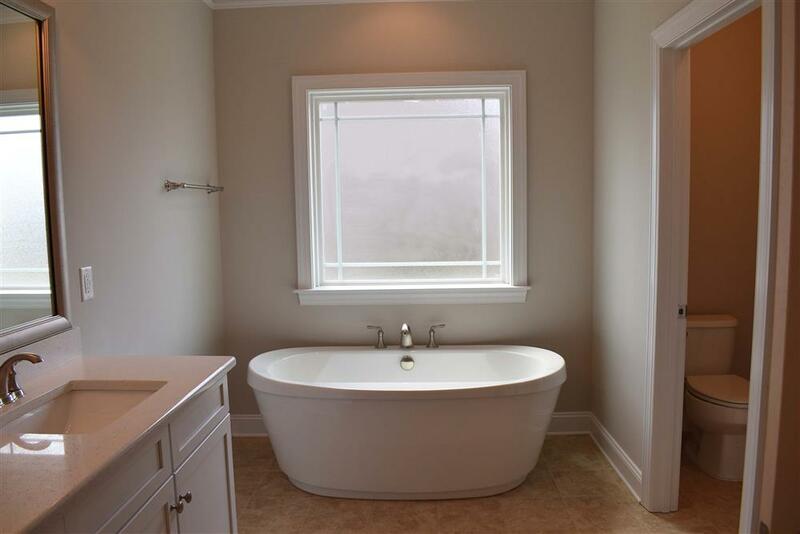 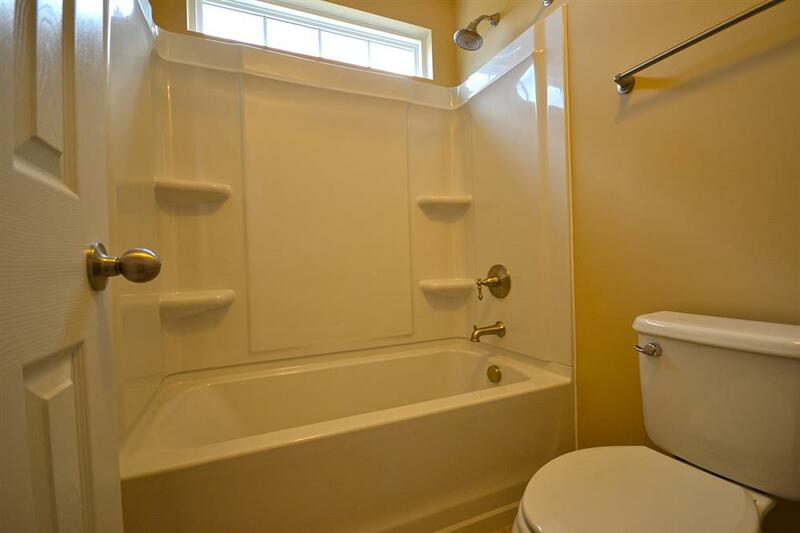 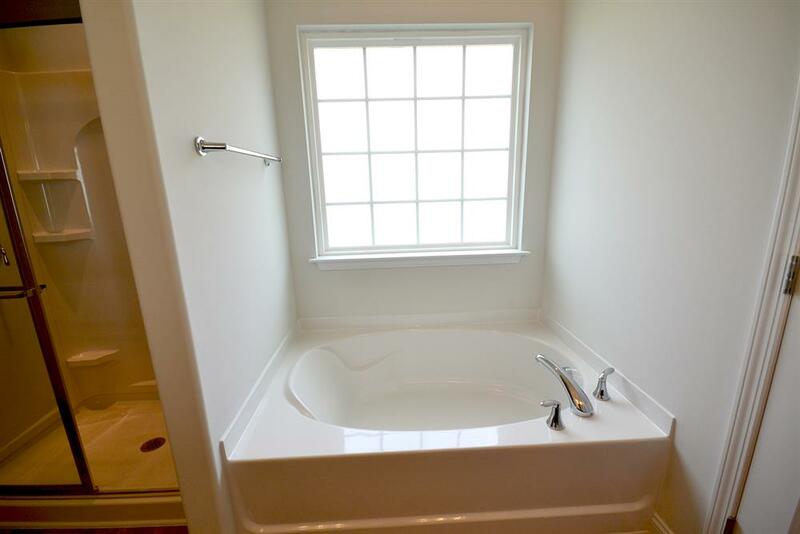 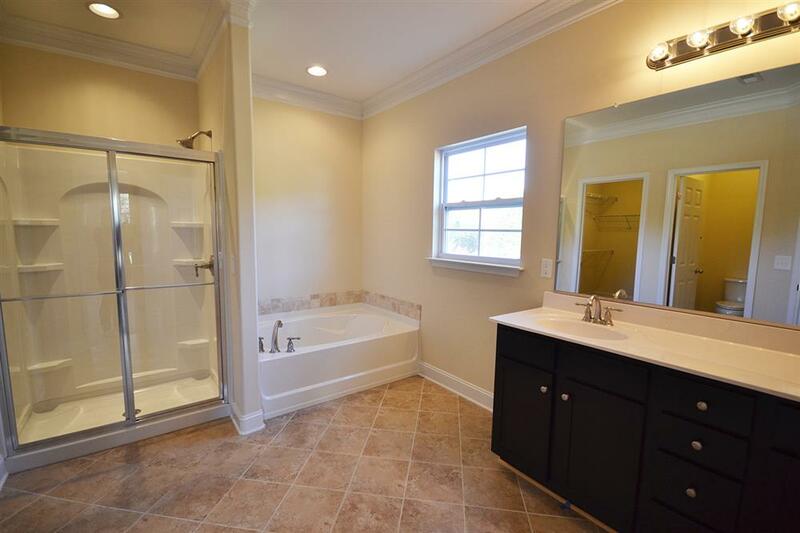 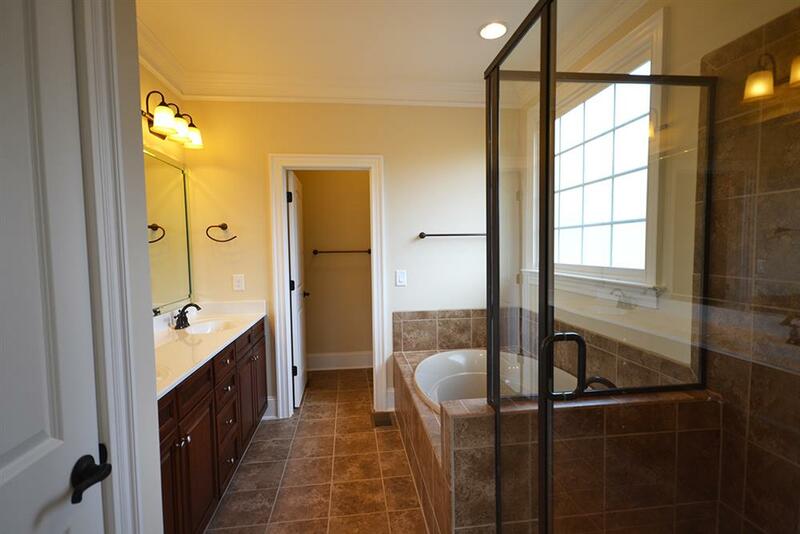 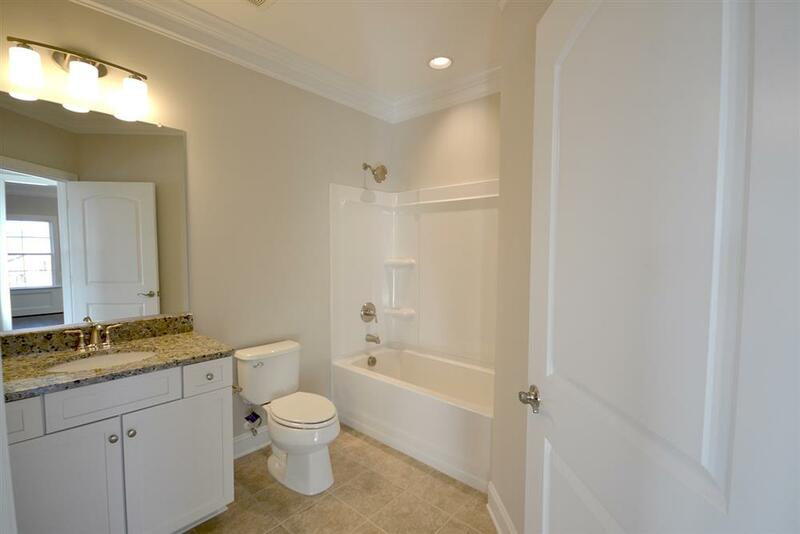 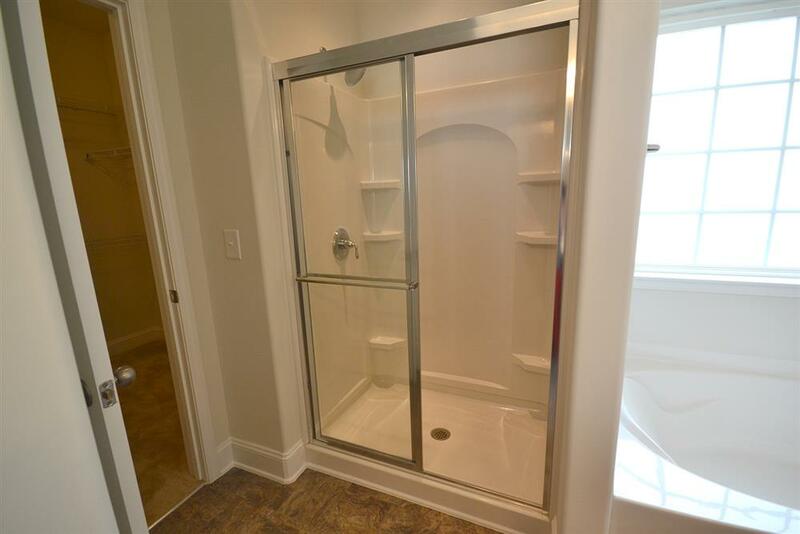 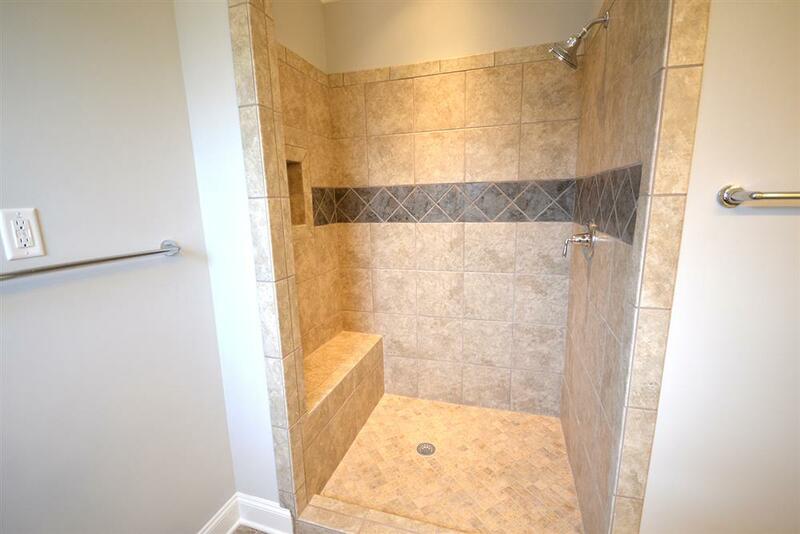 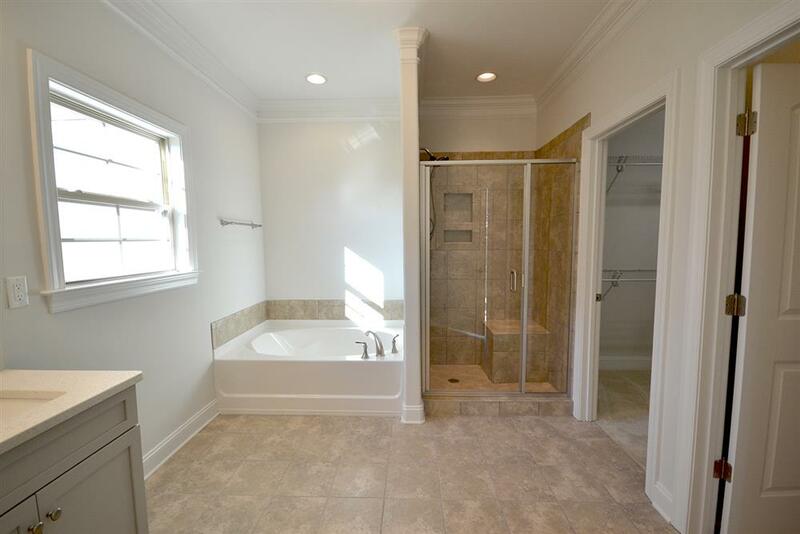 The master bathroom is elegantly equipped with a walk-in shower, including a semi-frameless door, a garden tub, and a private water closet. 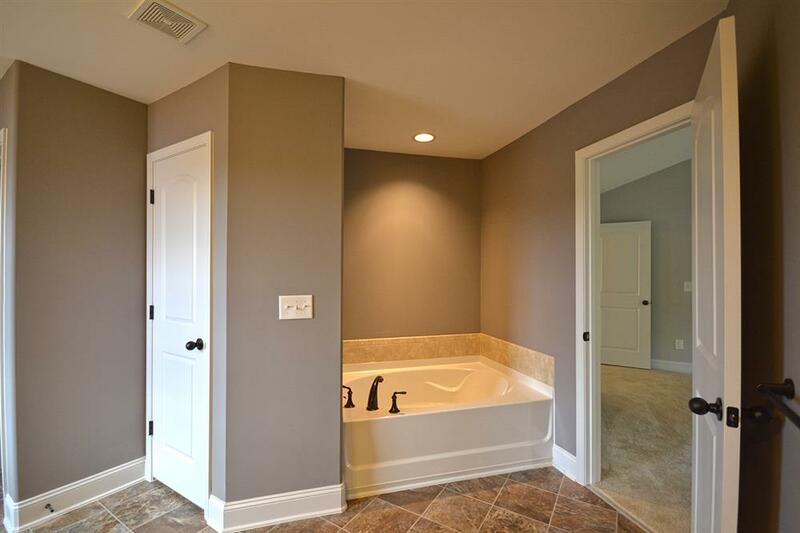 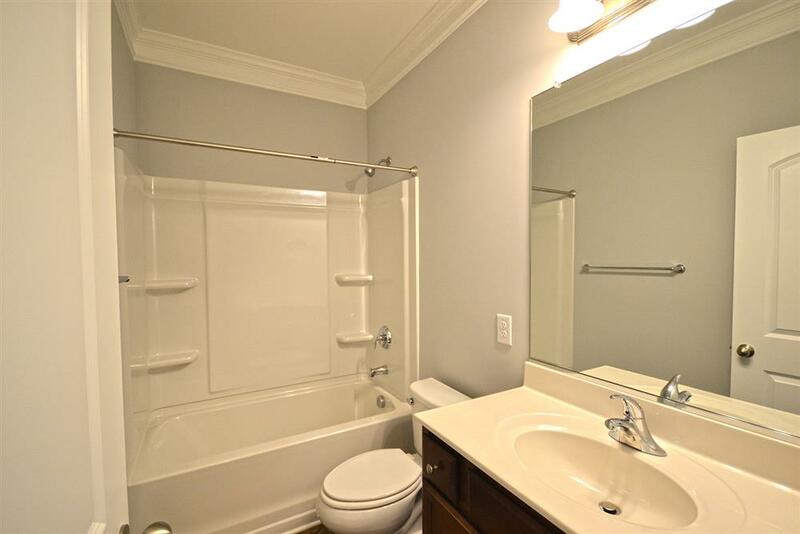 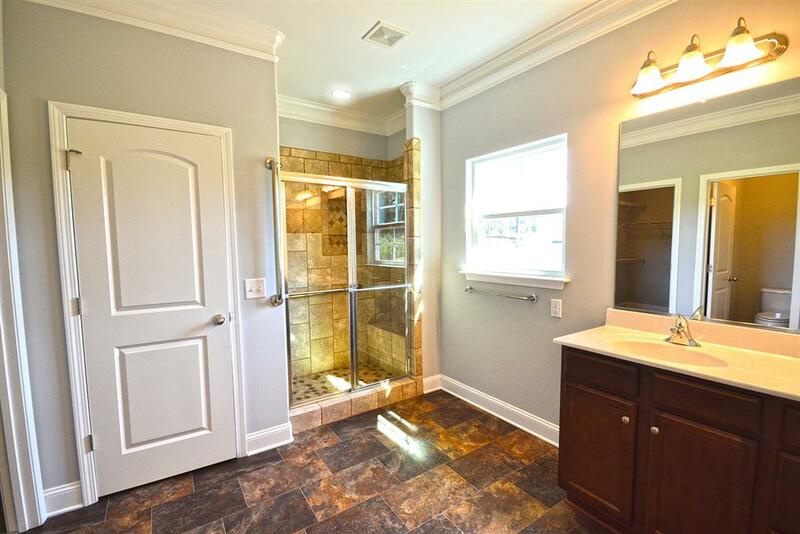 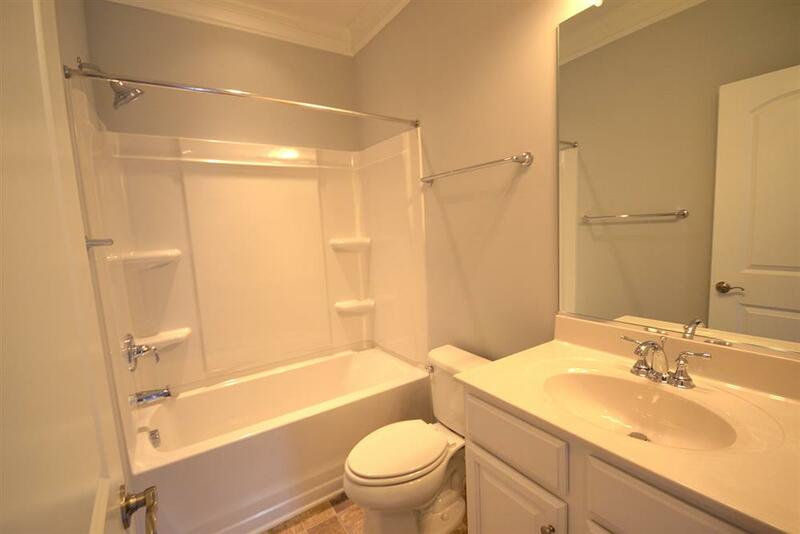 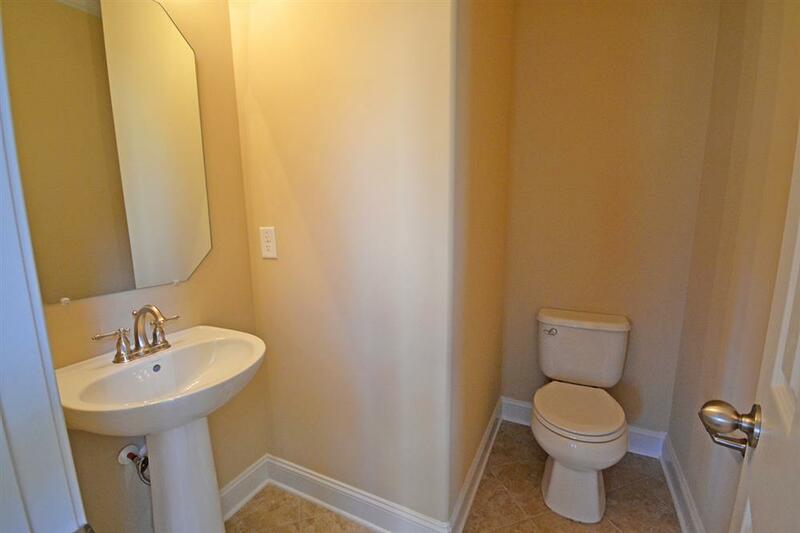 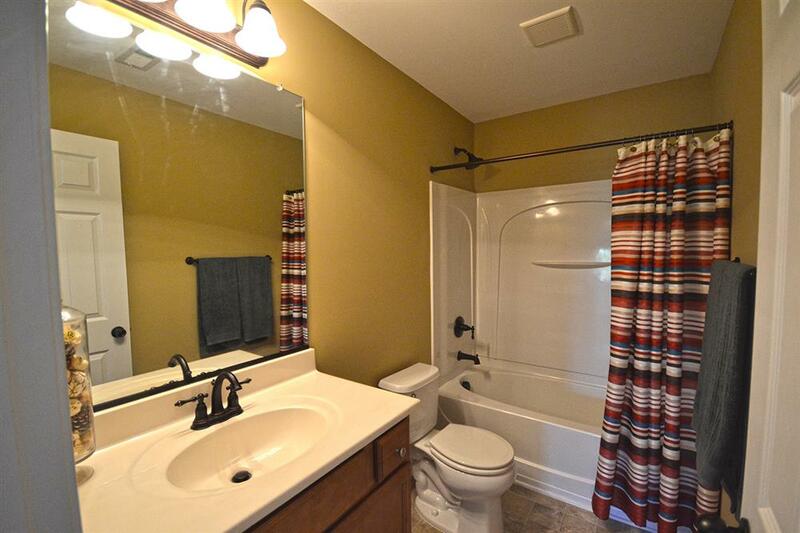 All bathrooms have a ceramic tile floor. 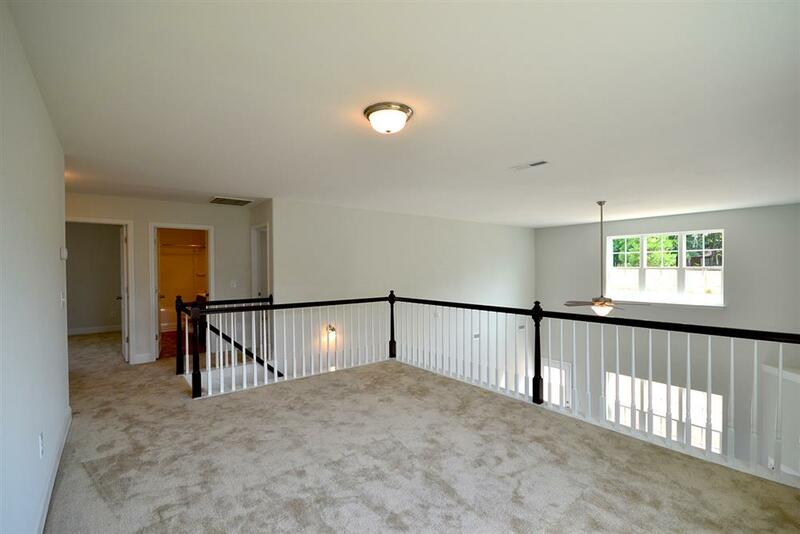 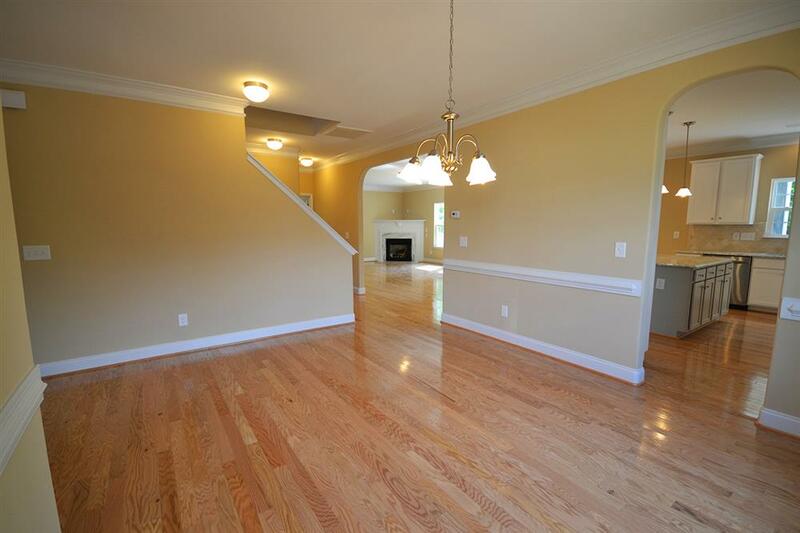 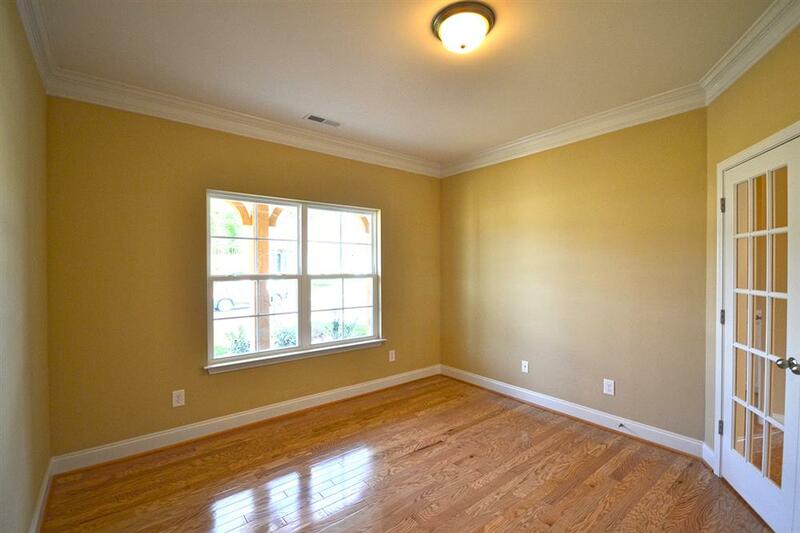 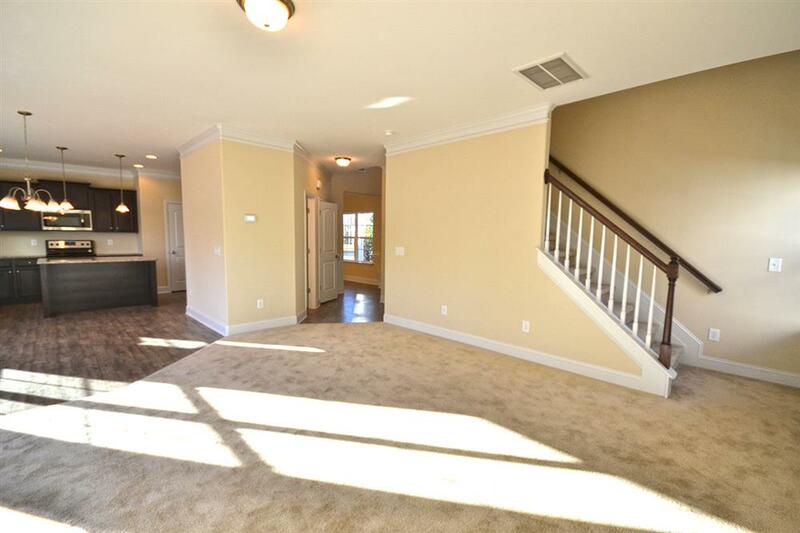 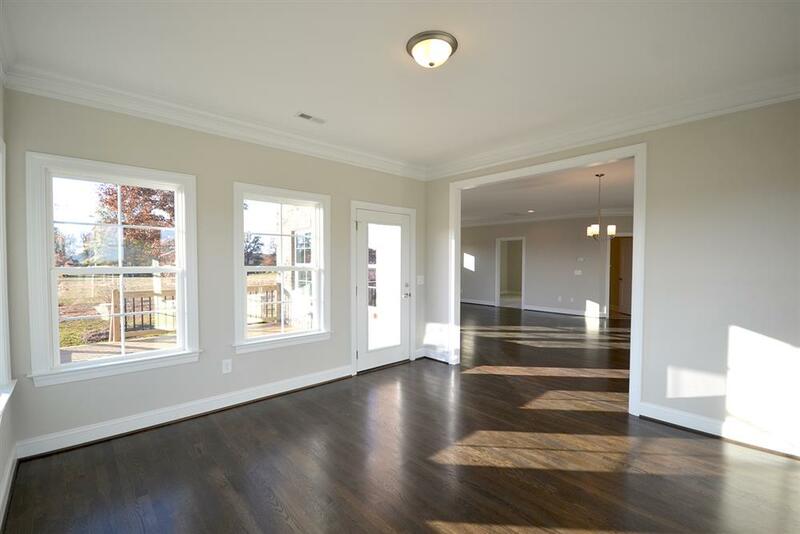 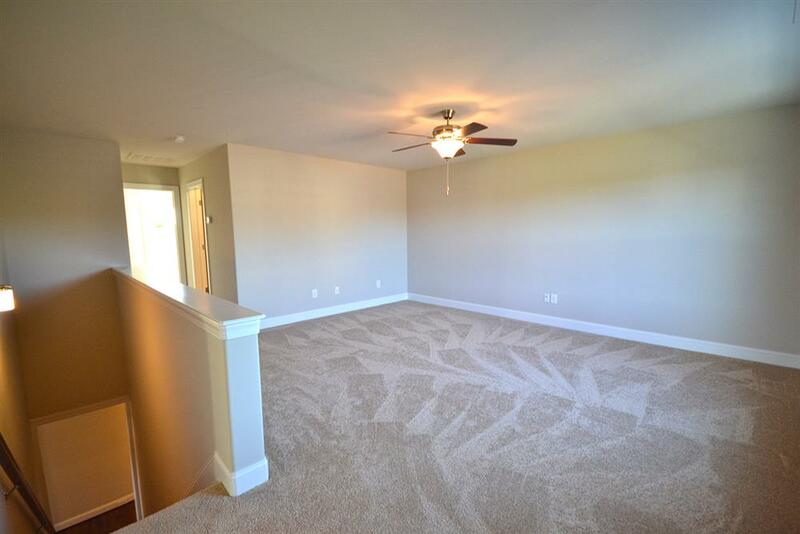 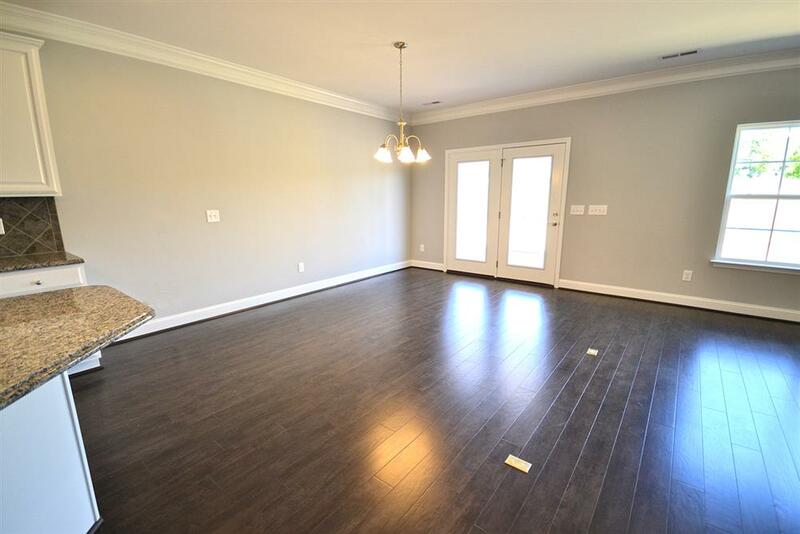 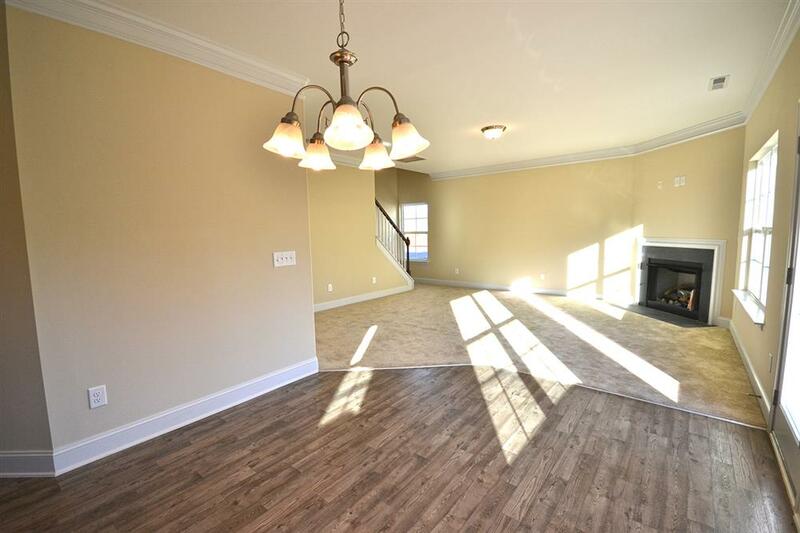 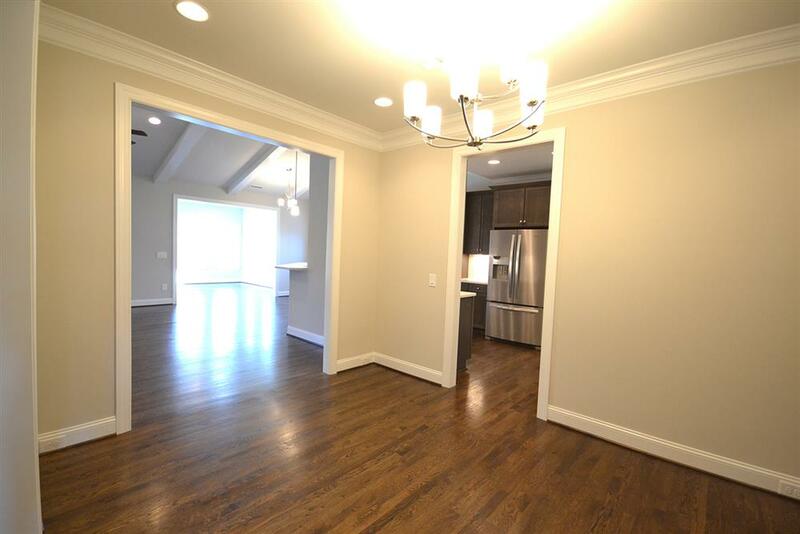 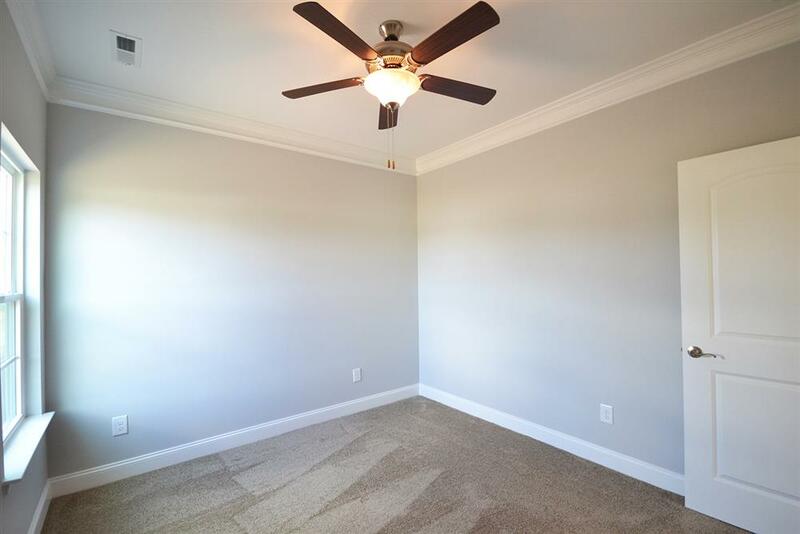 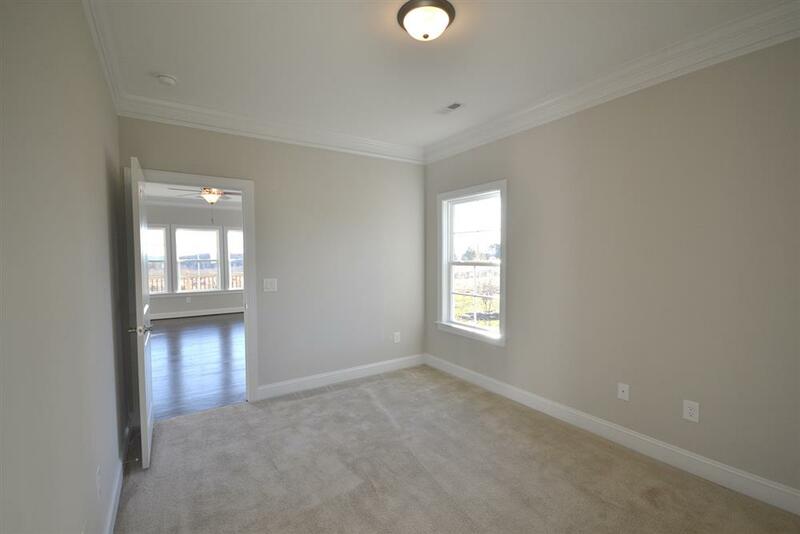 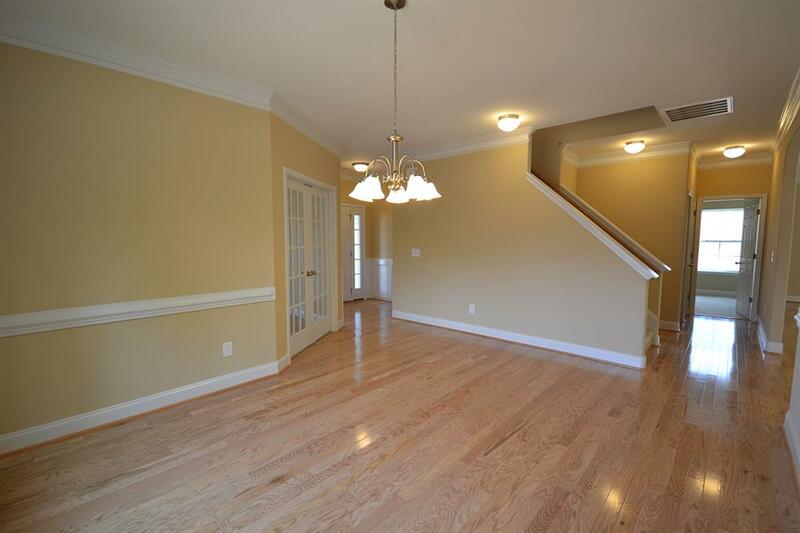 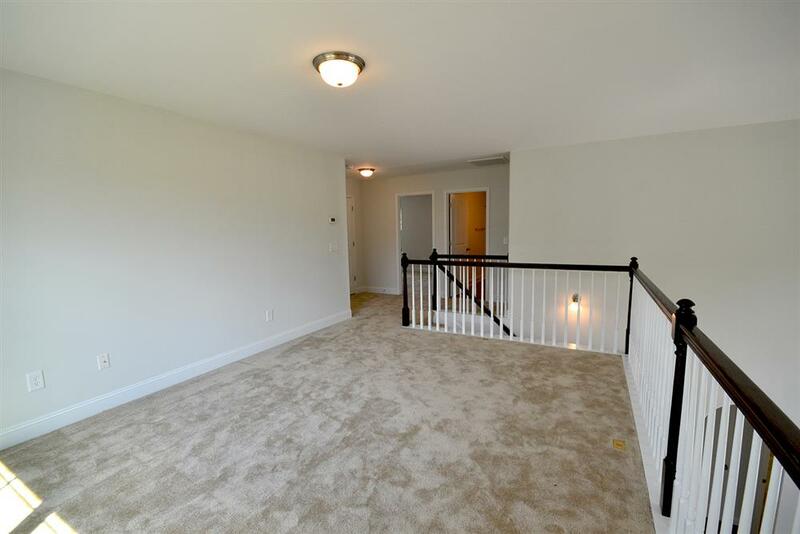 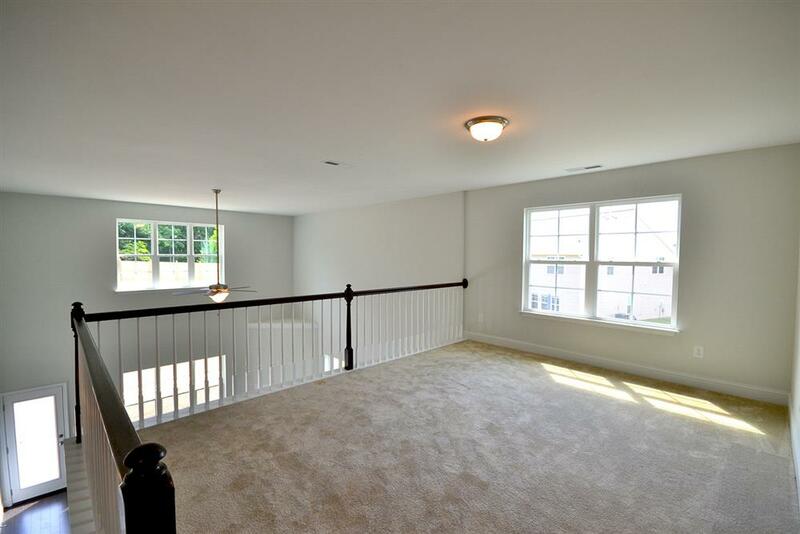 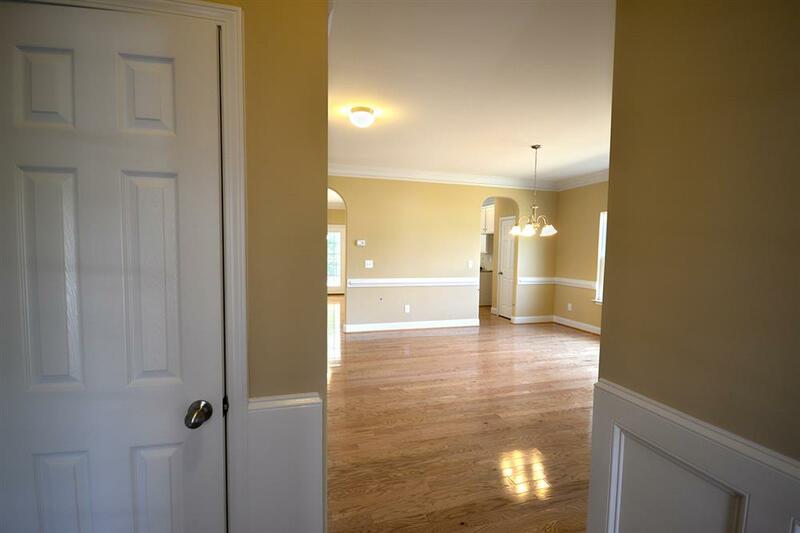 Hardwood flooring adorns the main living areas on the first level. 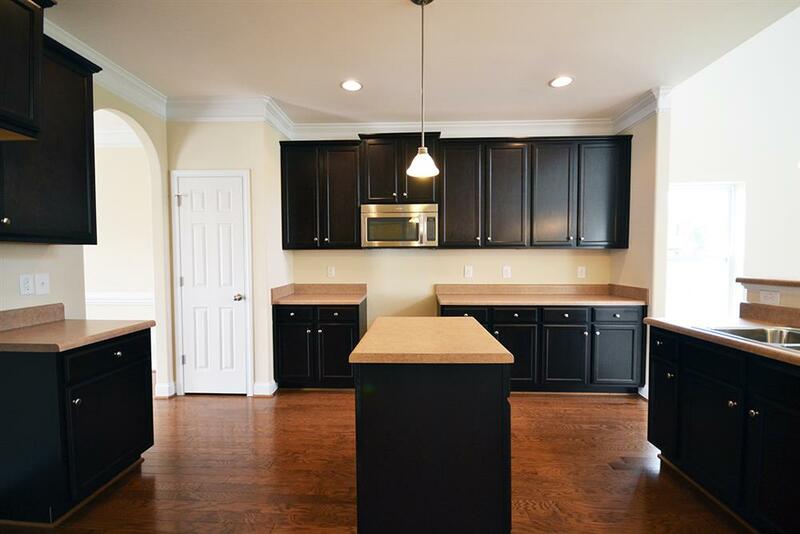 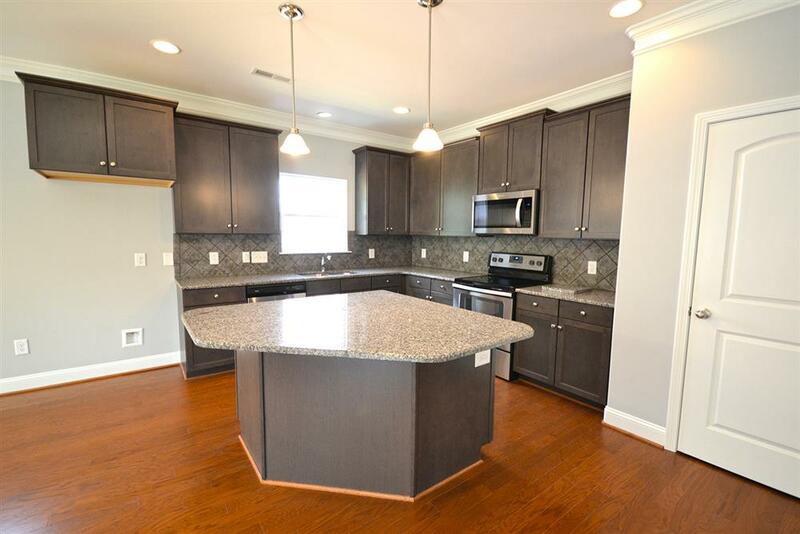 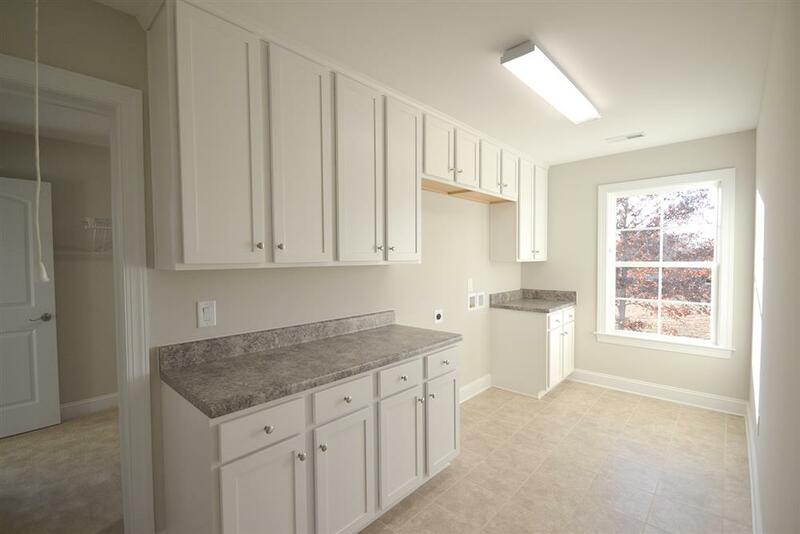 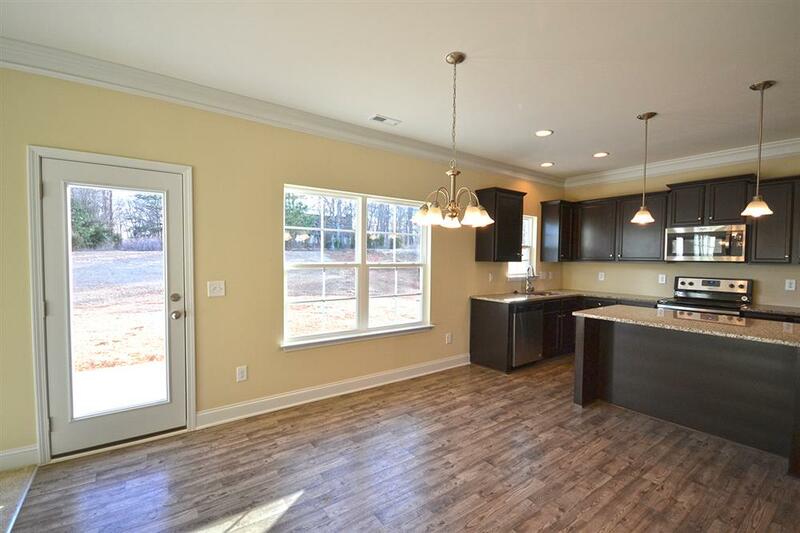 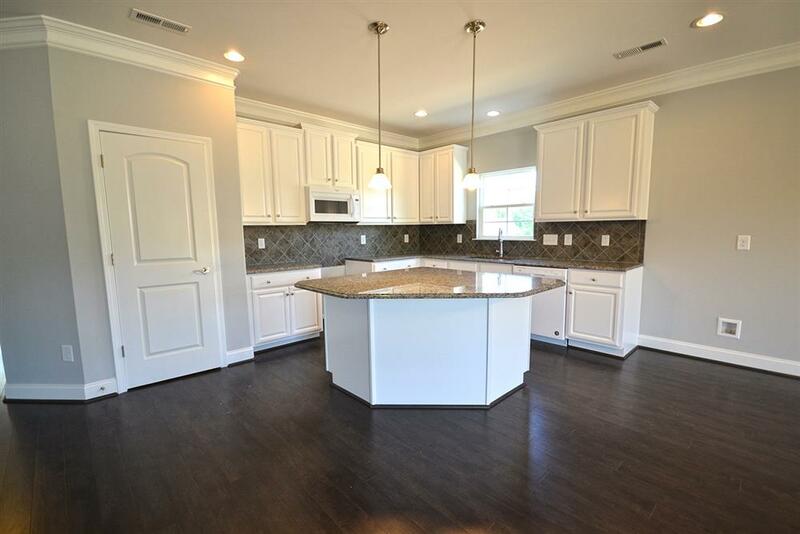 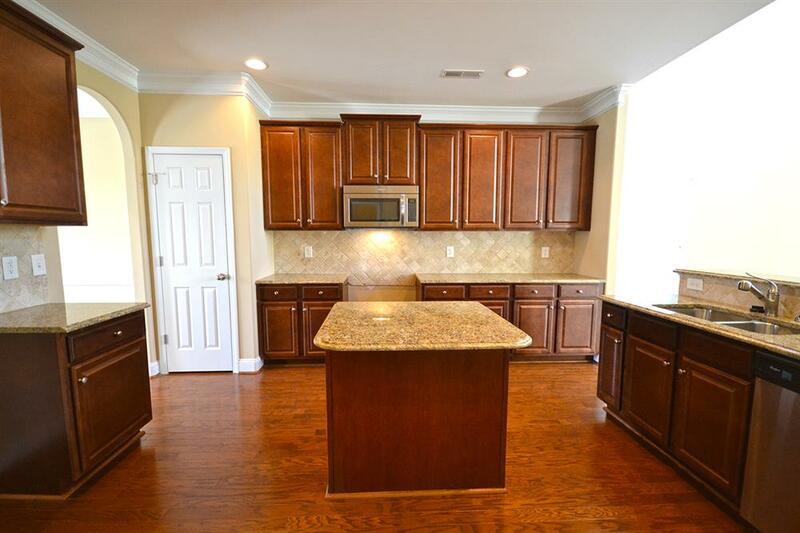 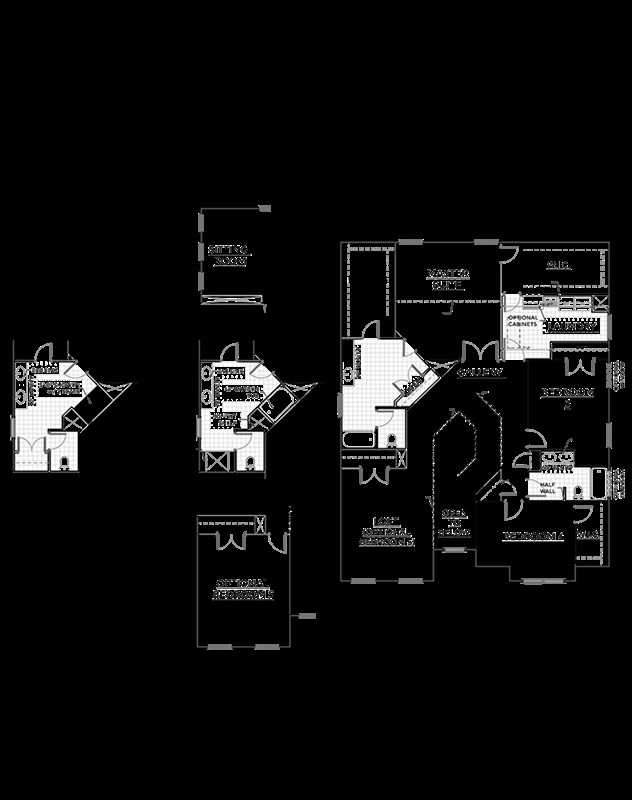 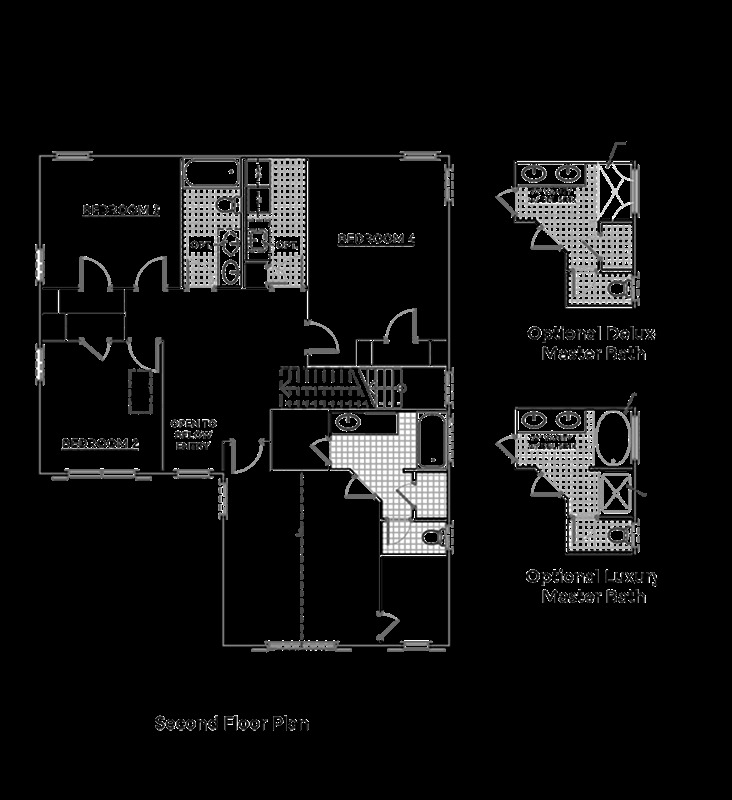 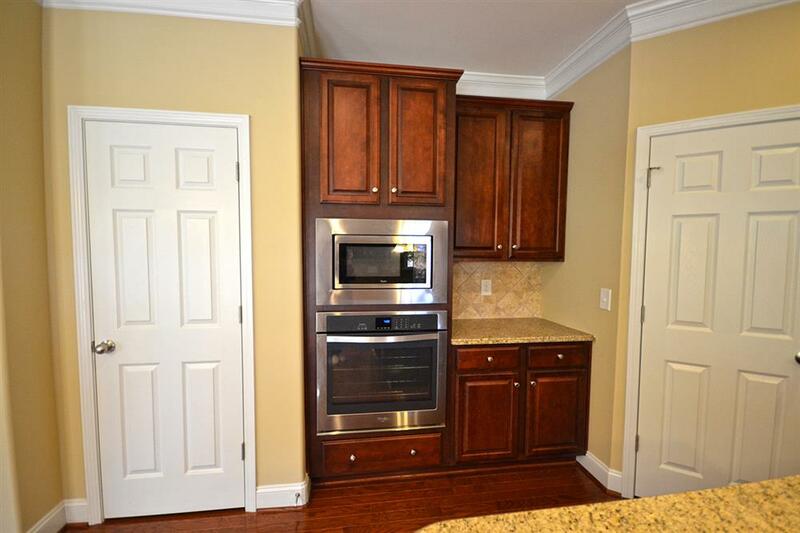 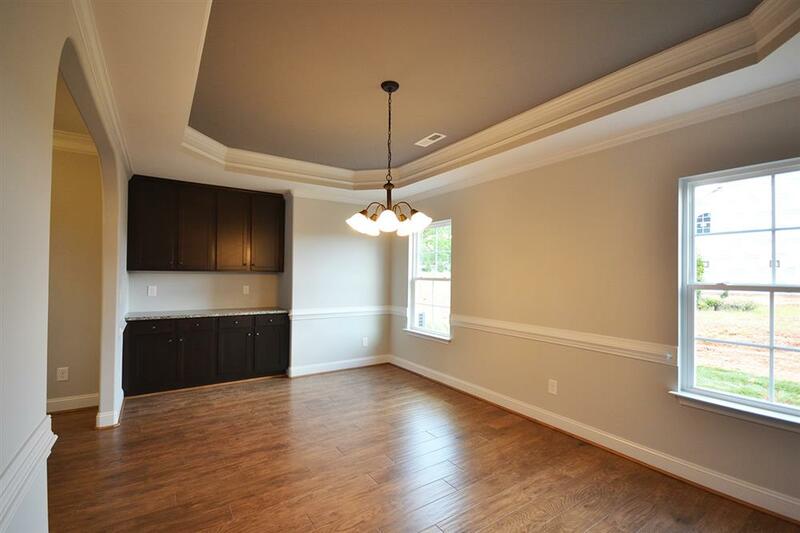 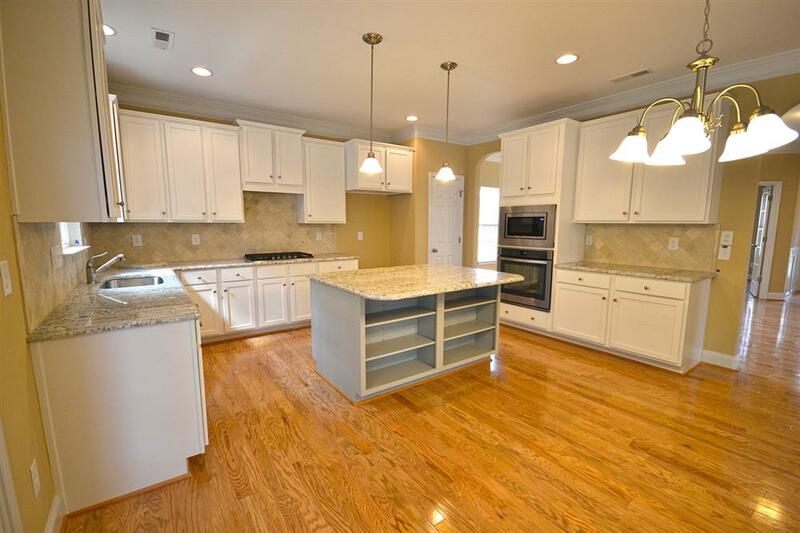 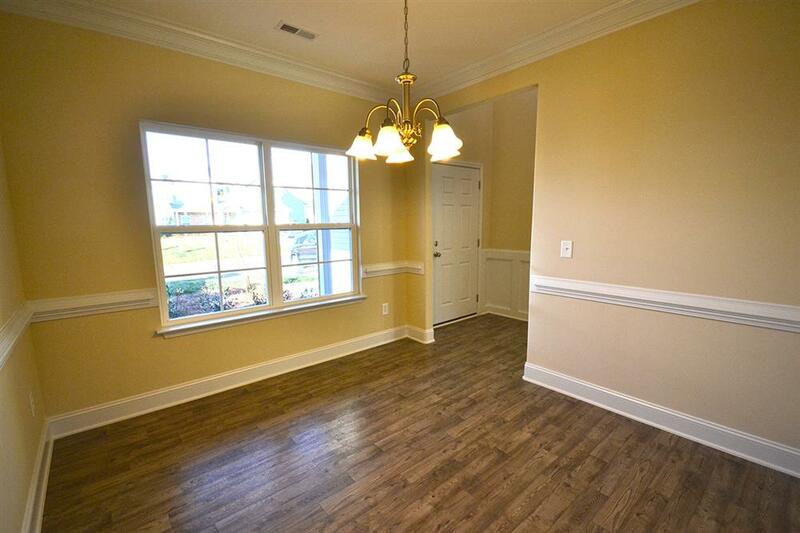 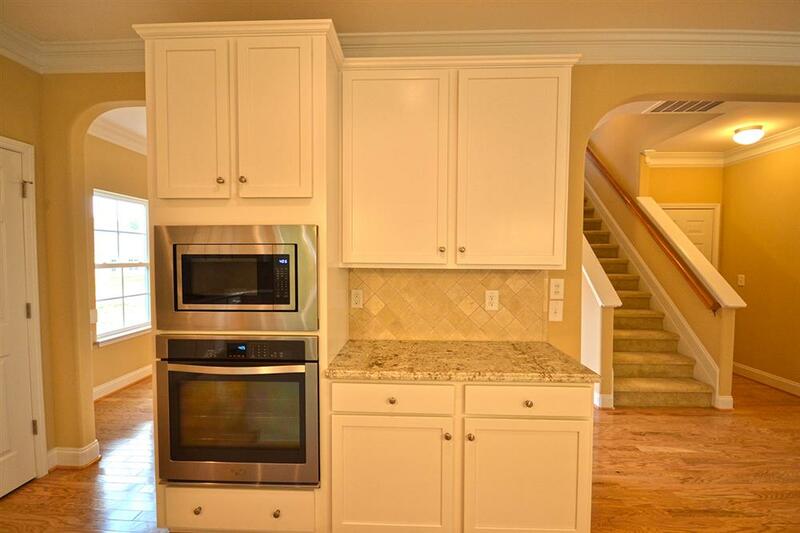 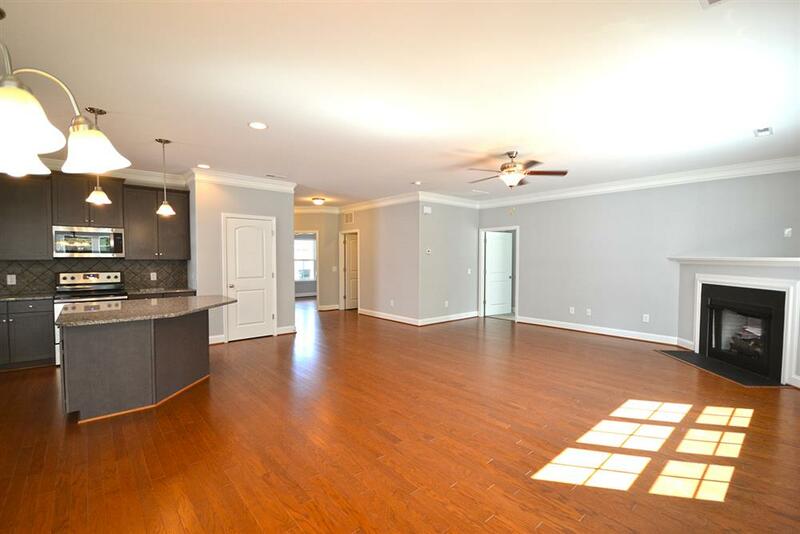 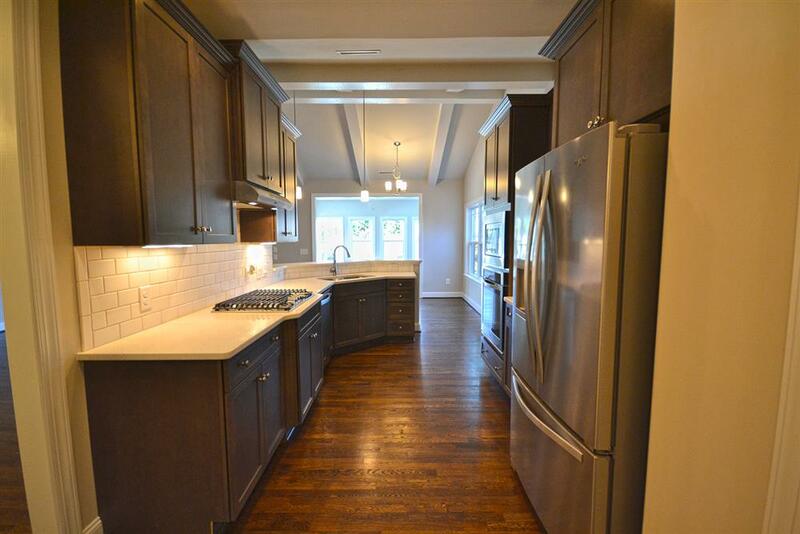 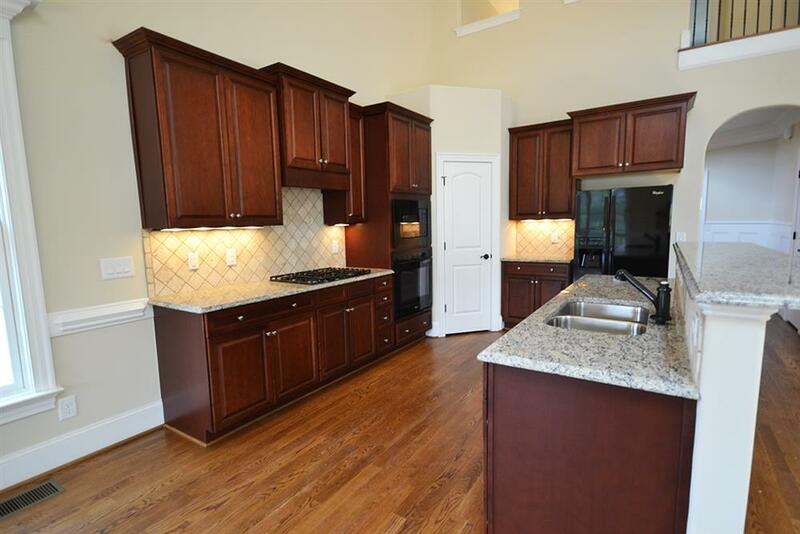 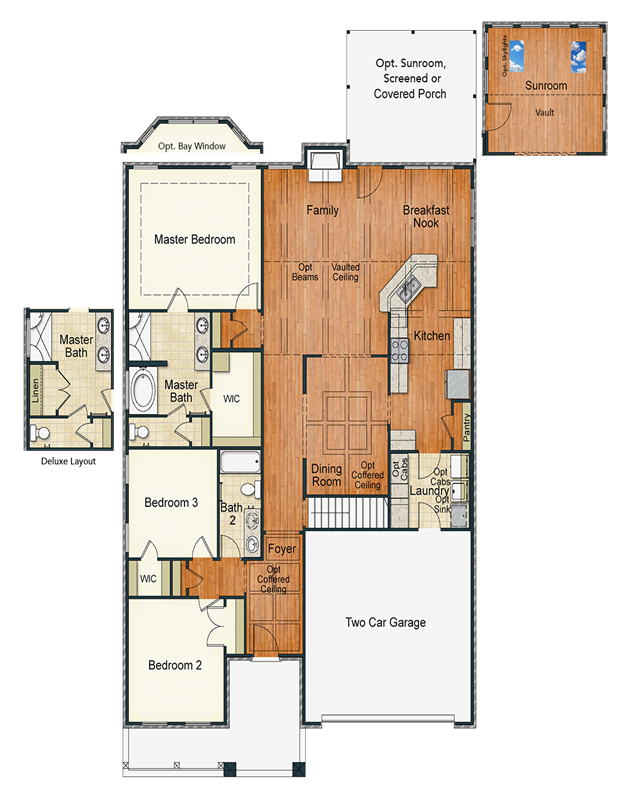 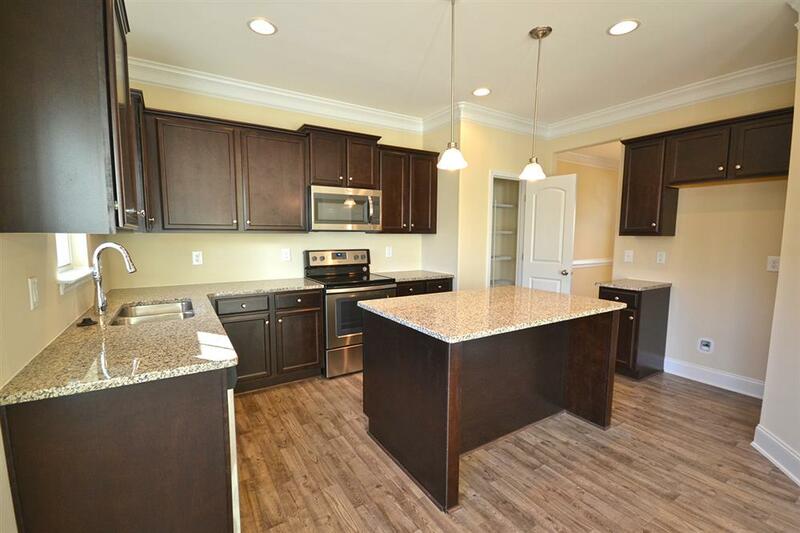 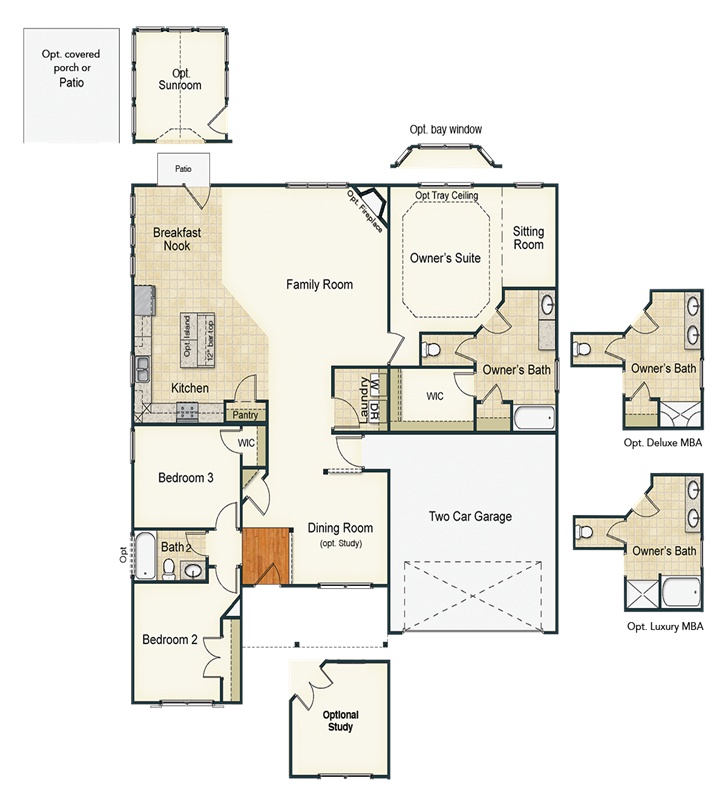 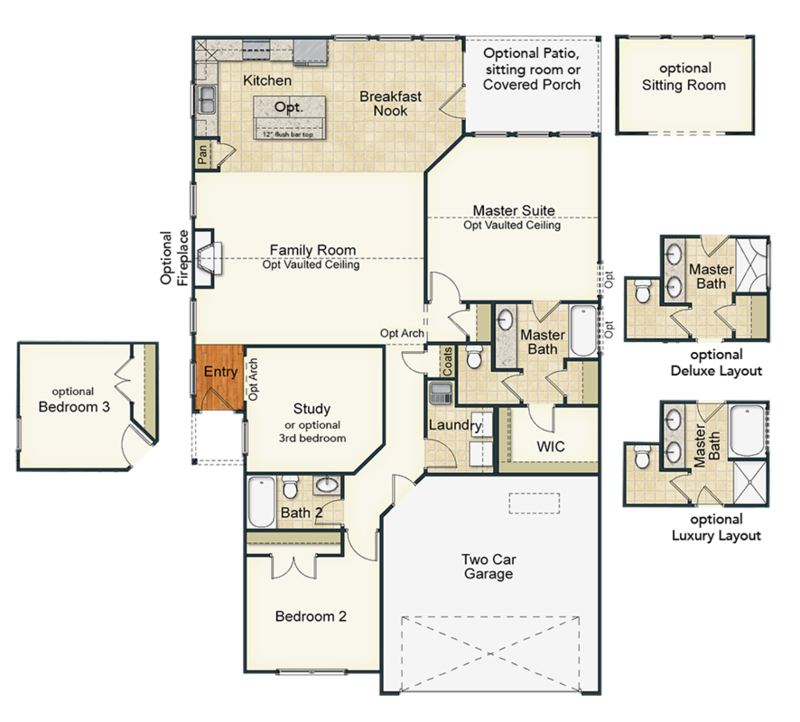 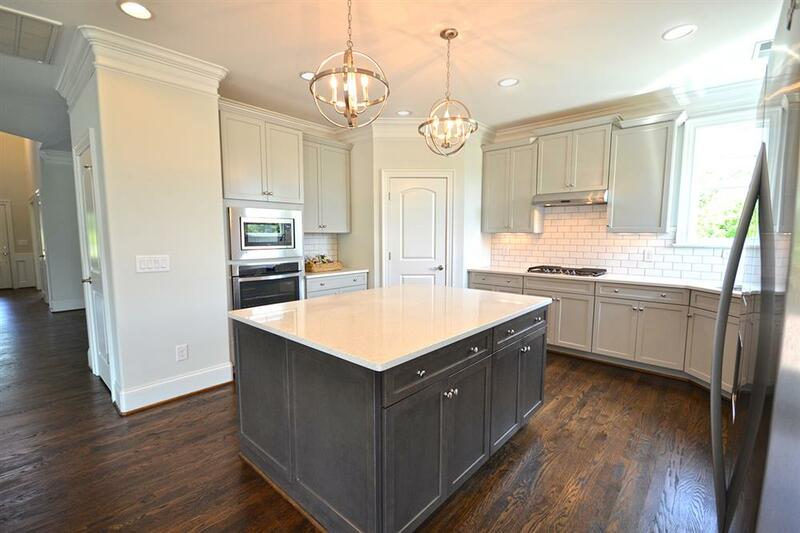 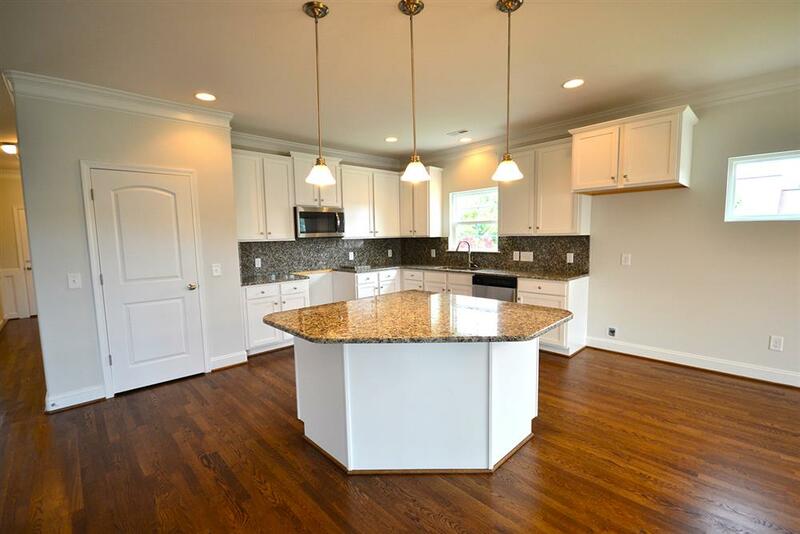 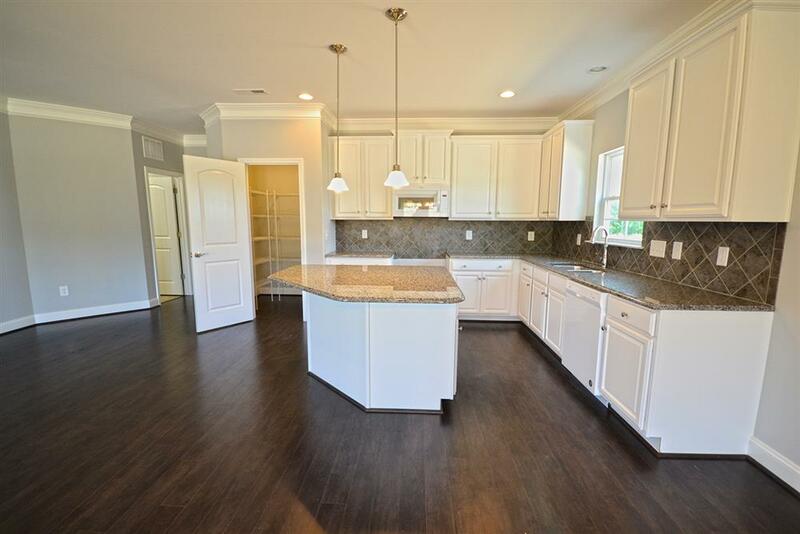 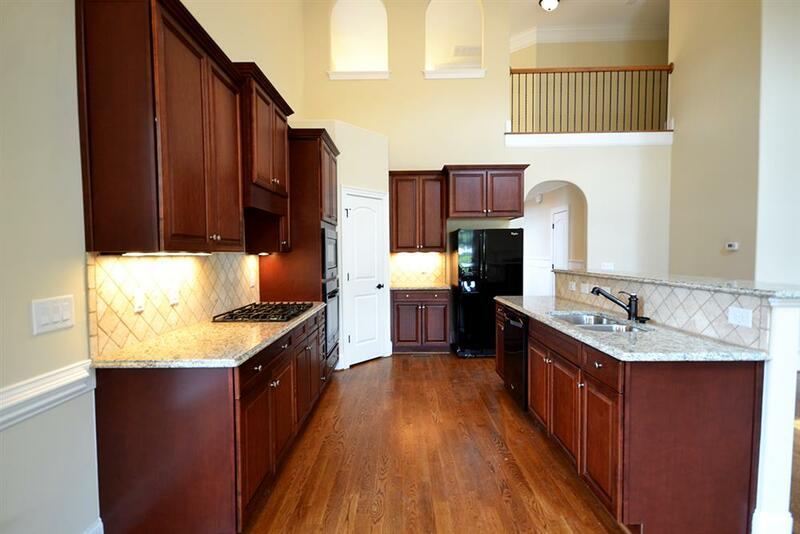 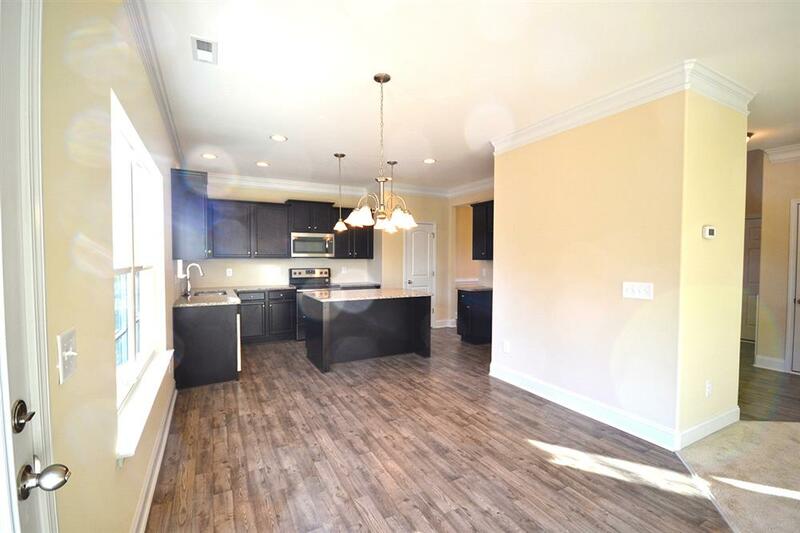 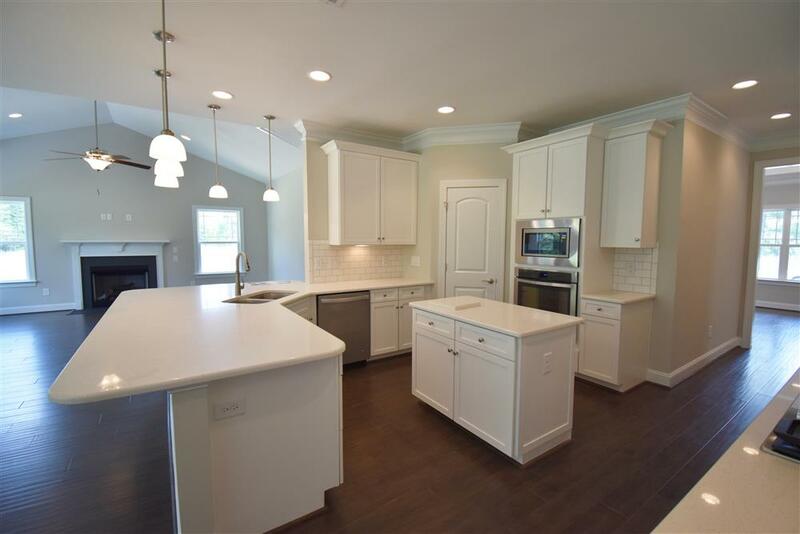 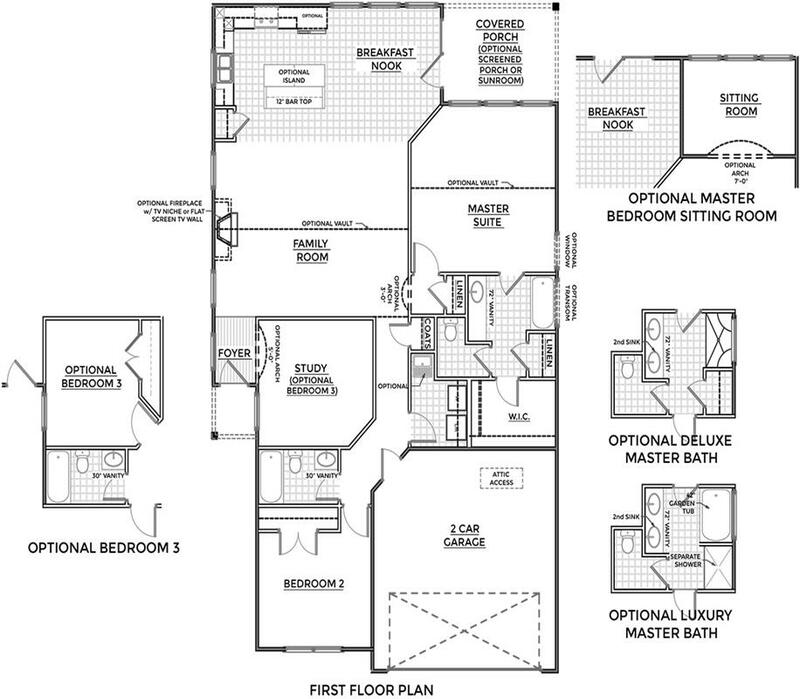 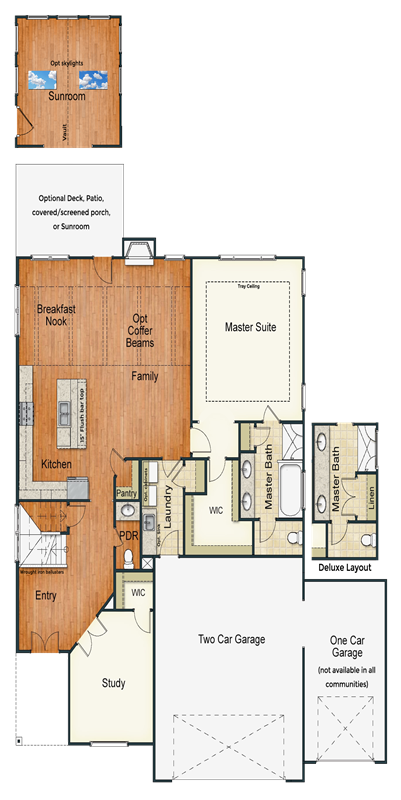 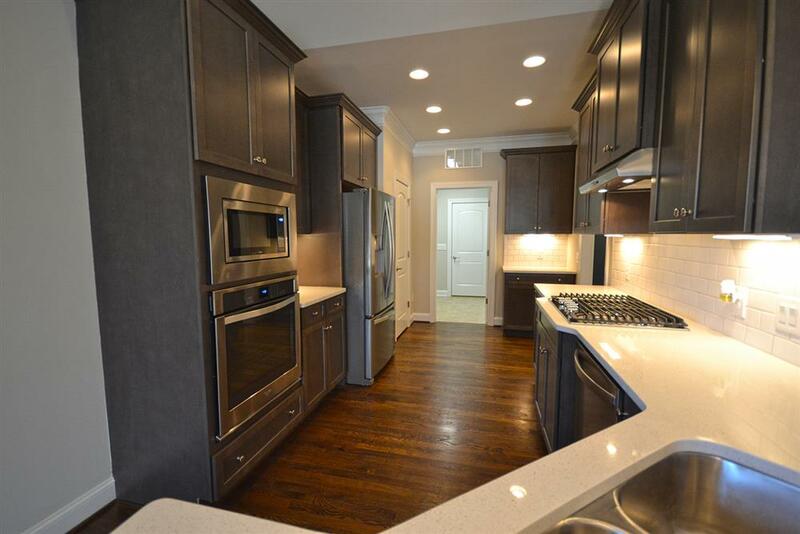 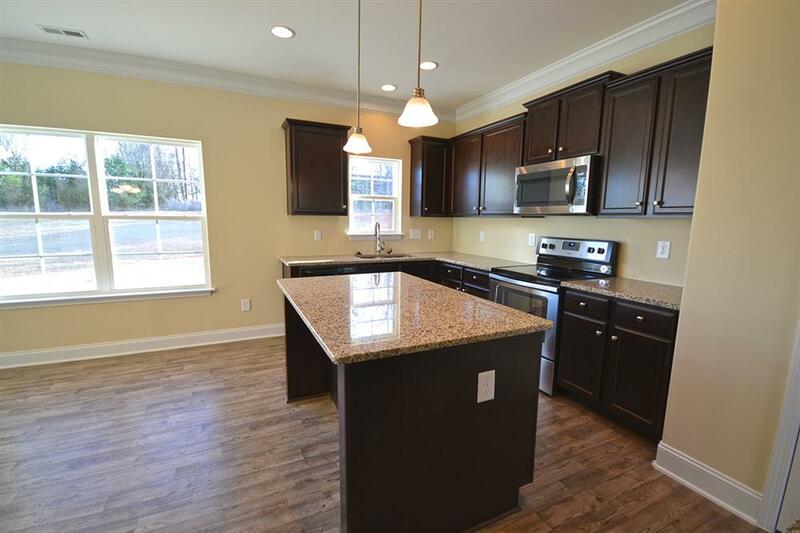 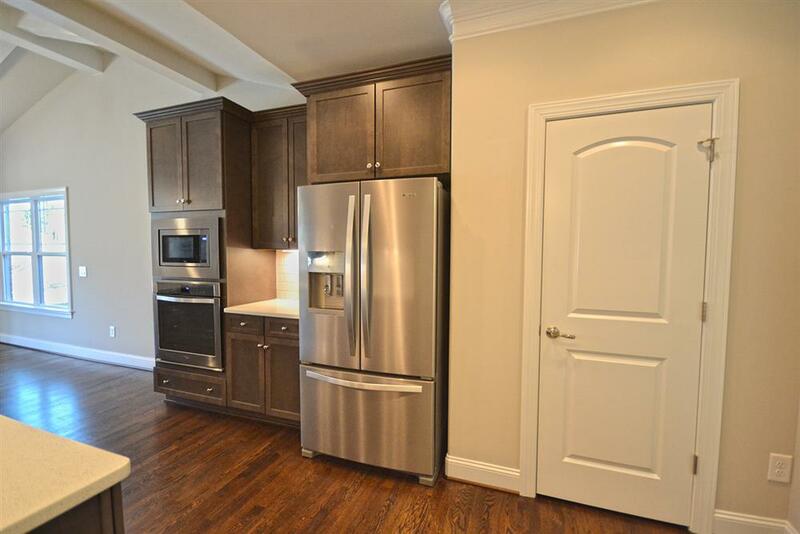 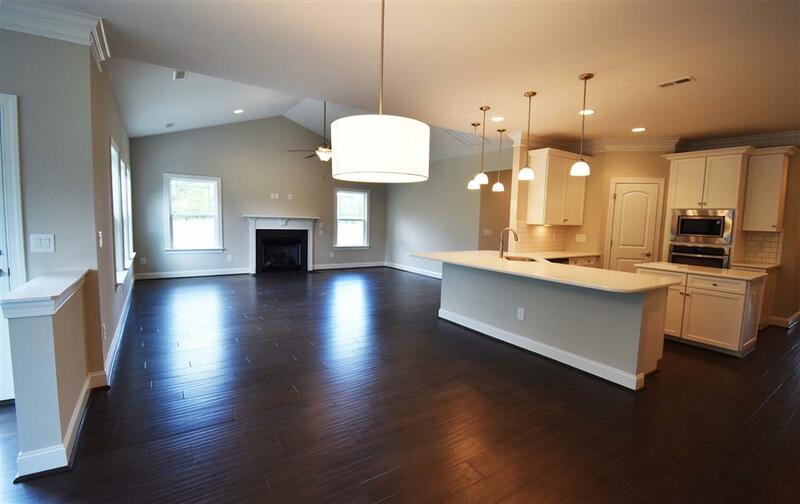 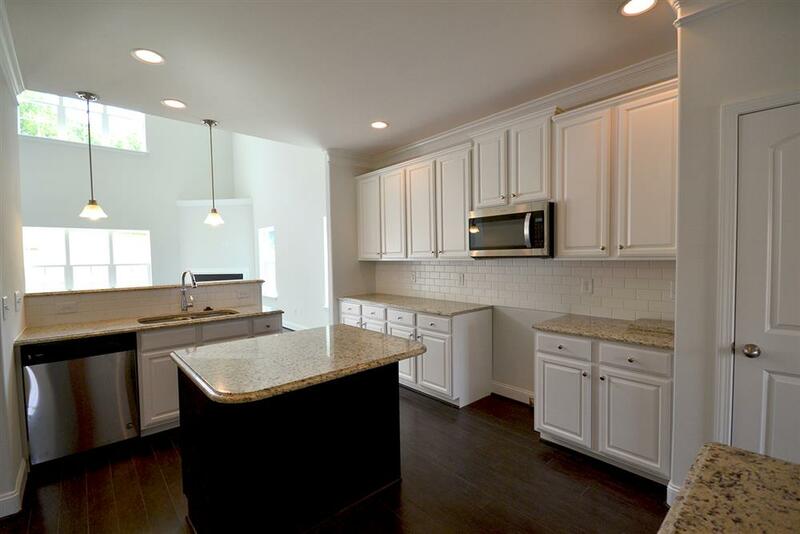 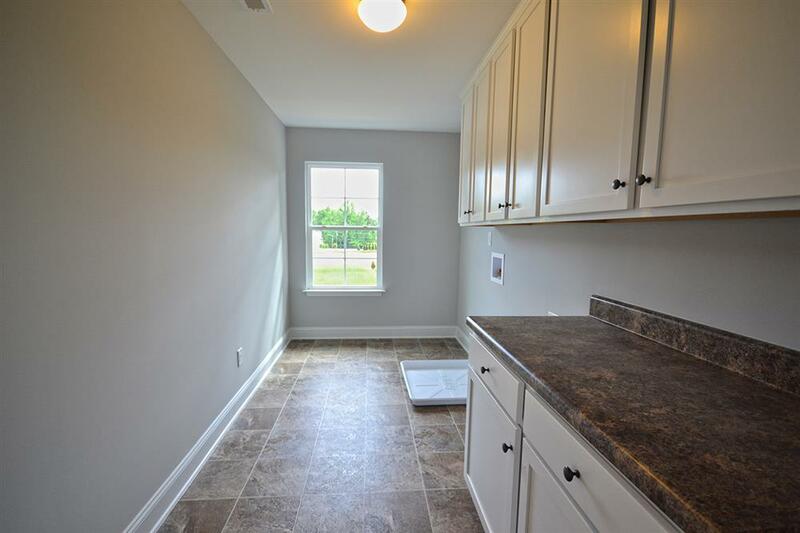 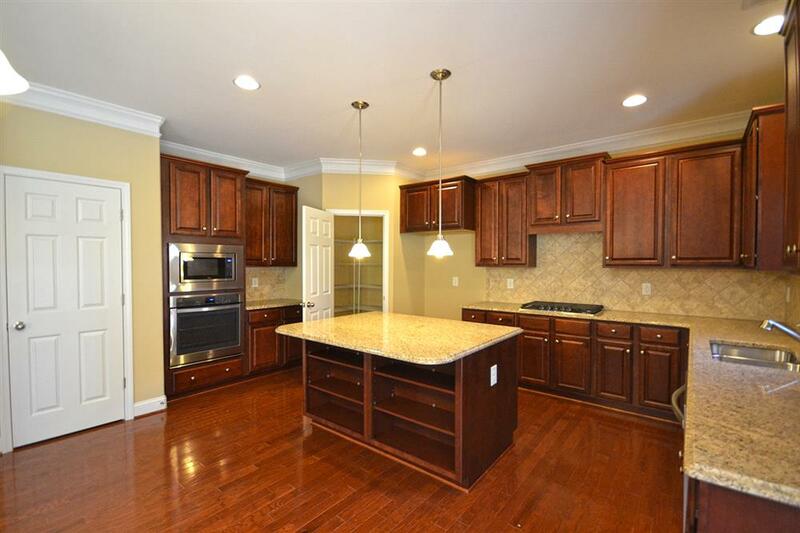 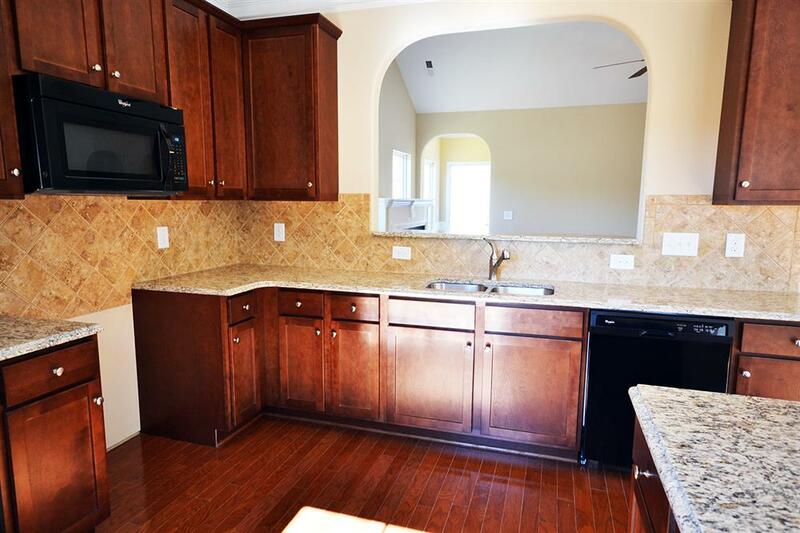 Kitchens come with whirlpool appliances, pantry, plenty of cabinetry, and thoughtfully designed layout. 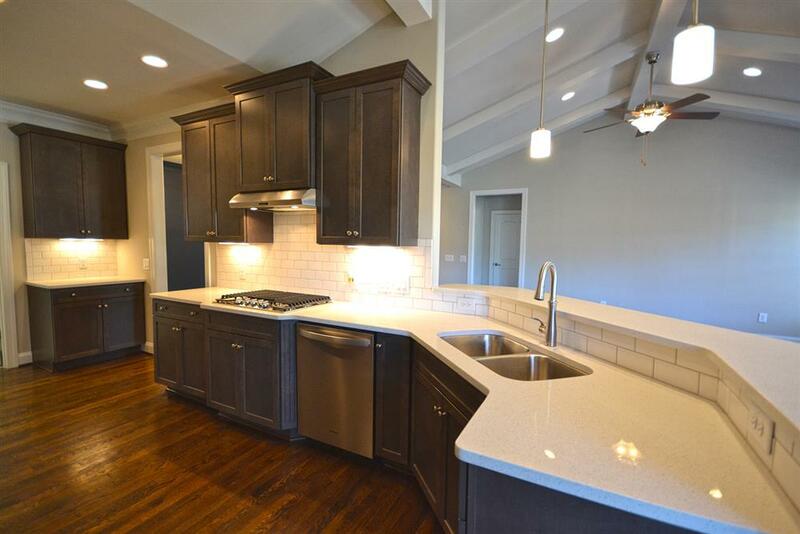 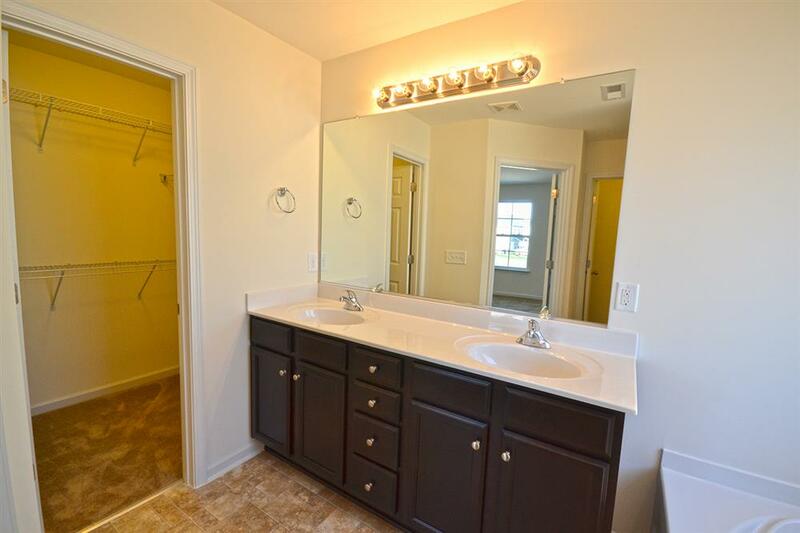 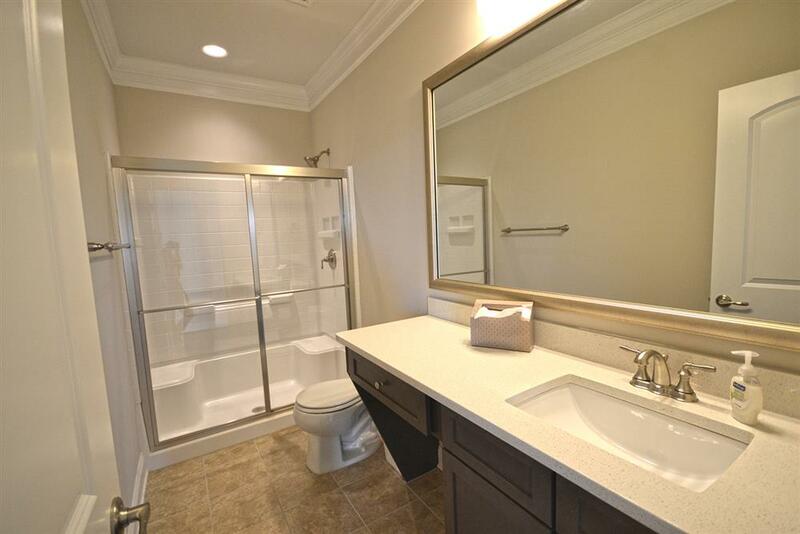 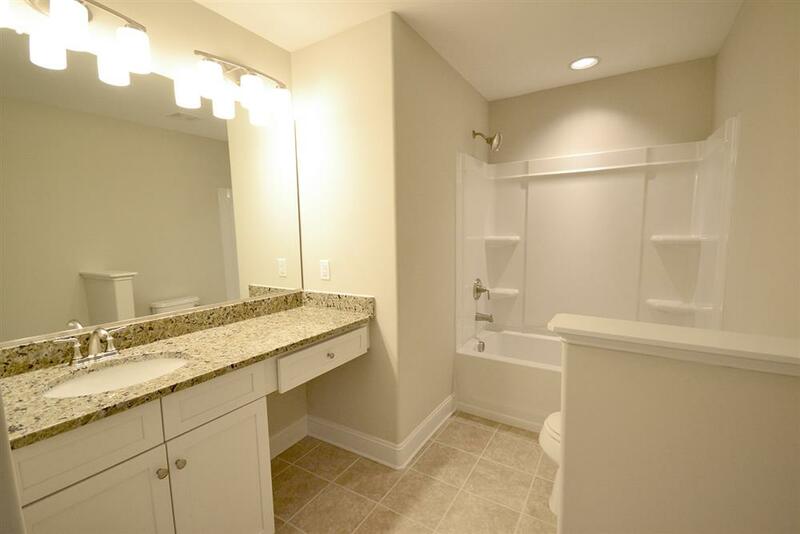 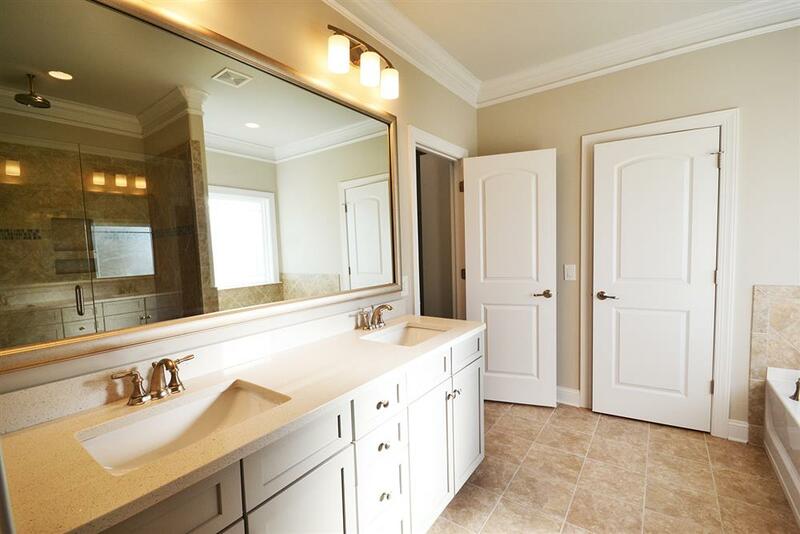 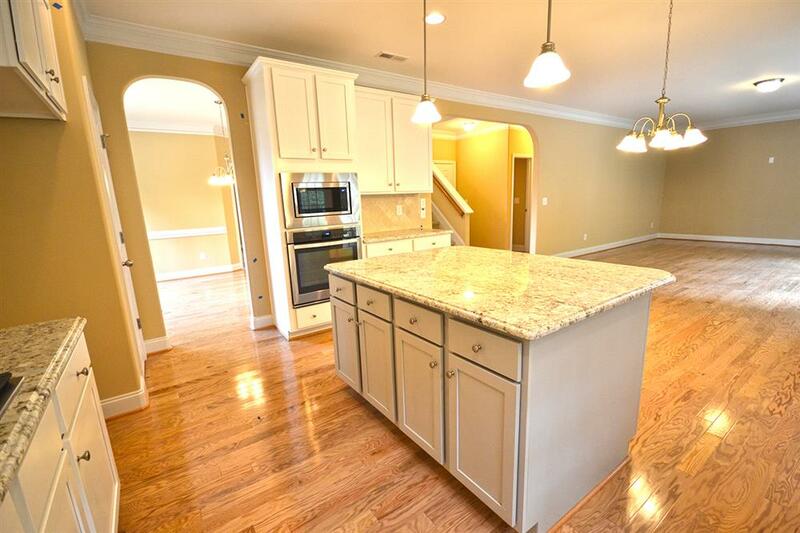 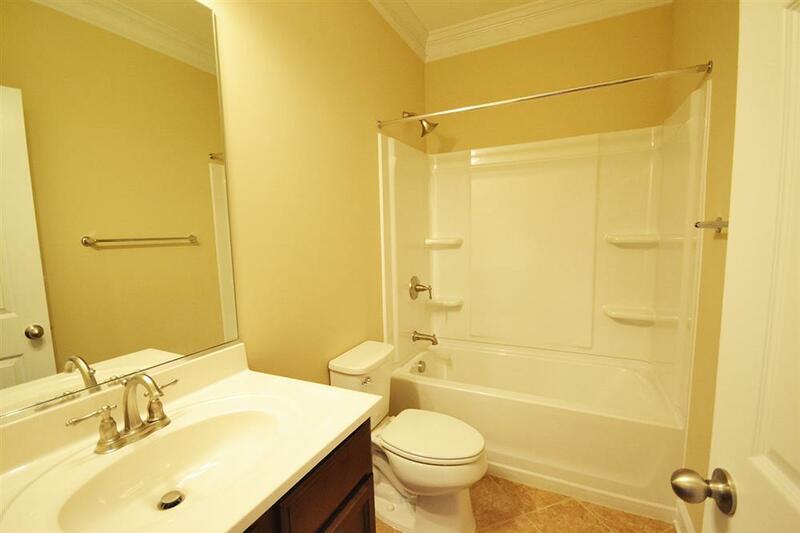 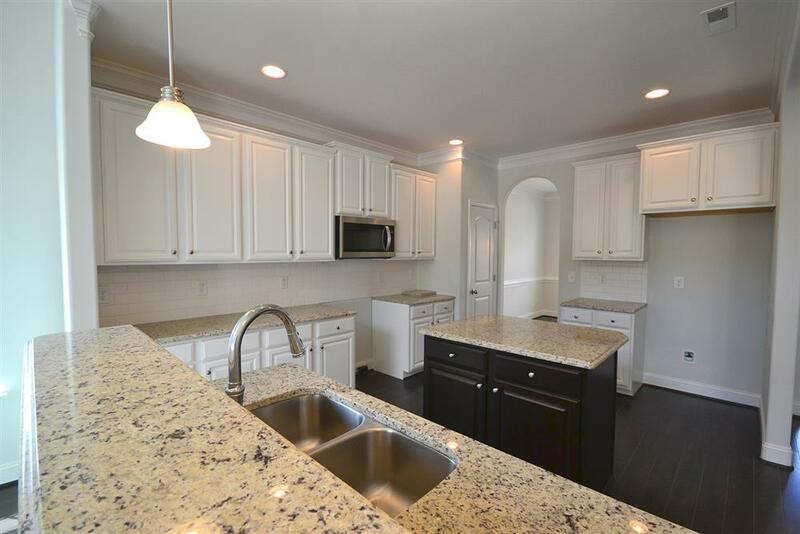 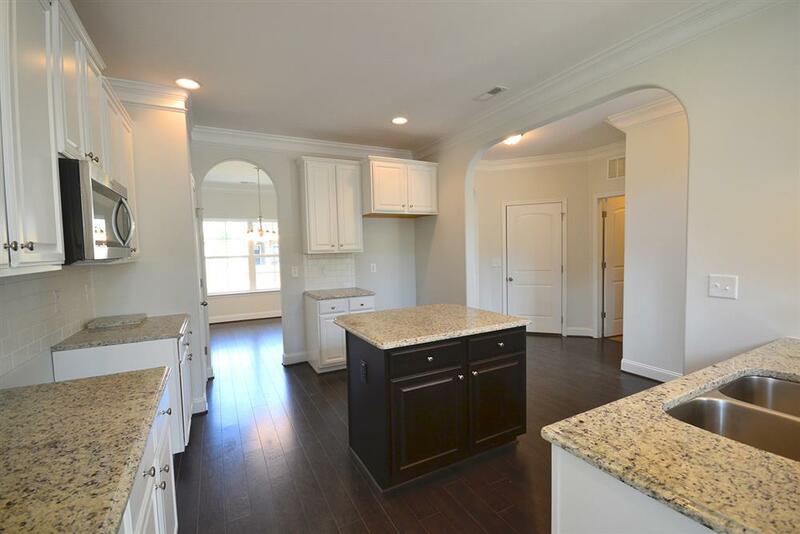 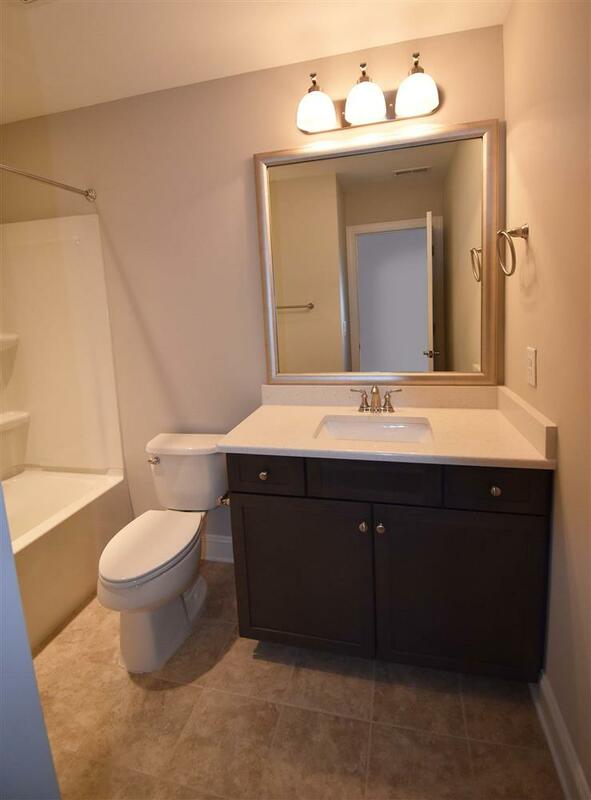 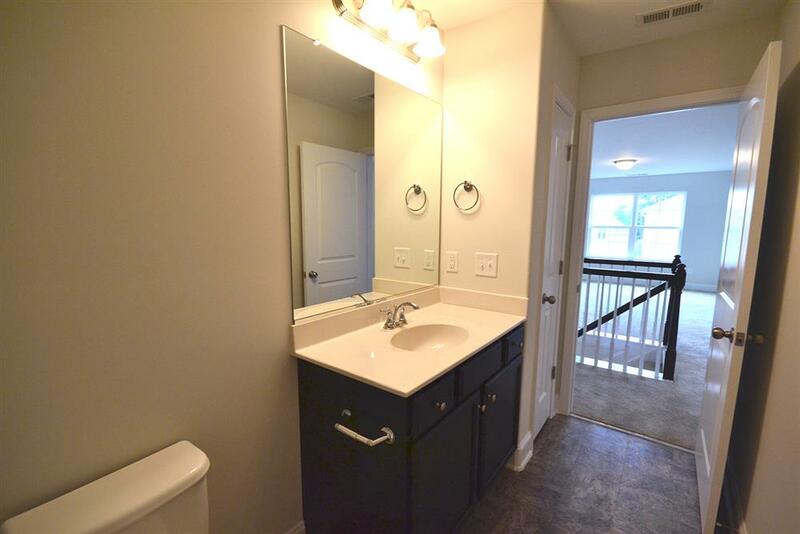 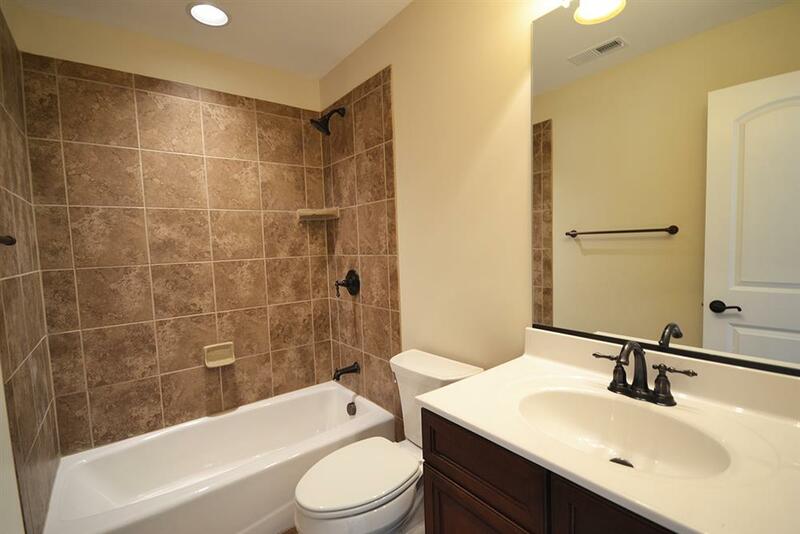 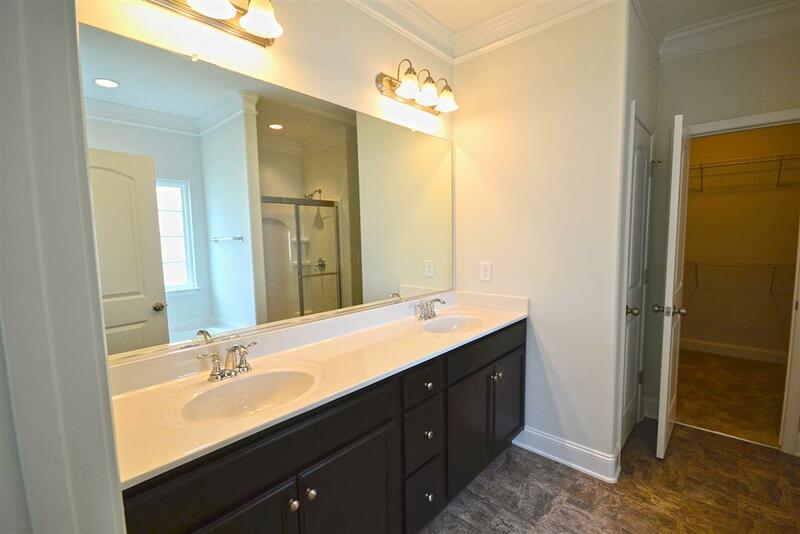 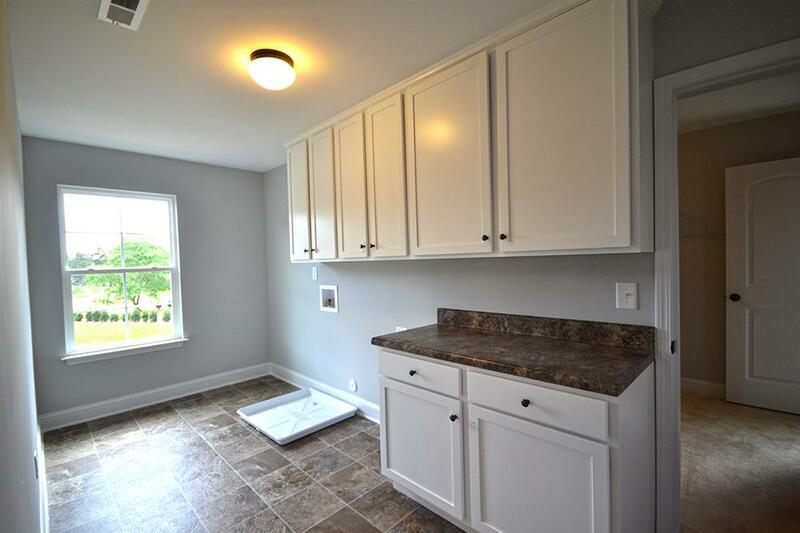 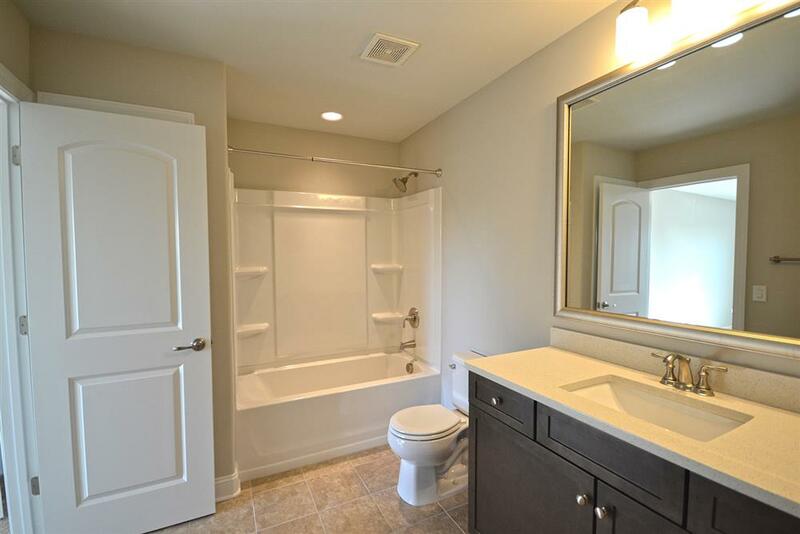 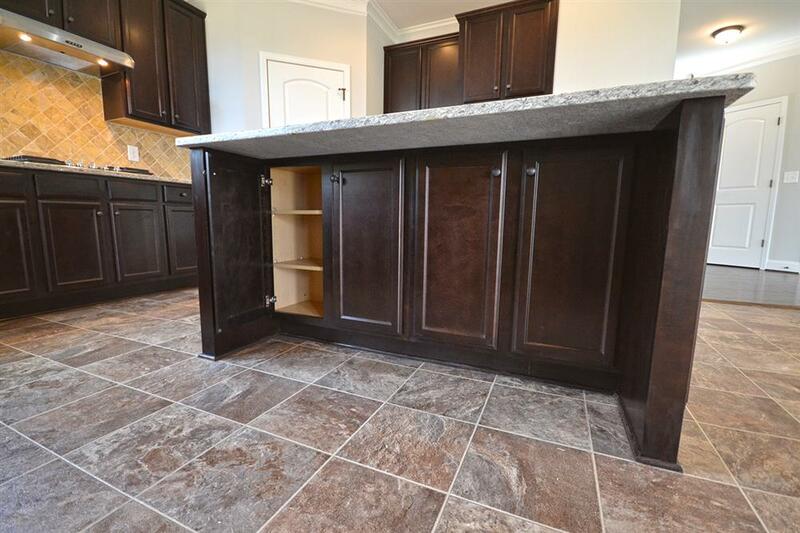 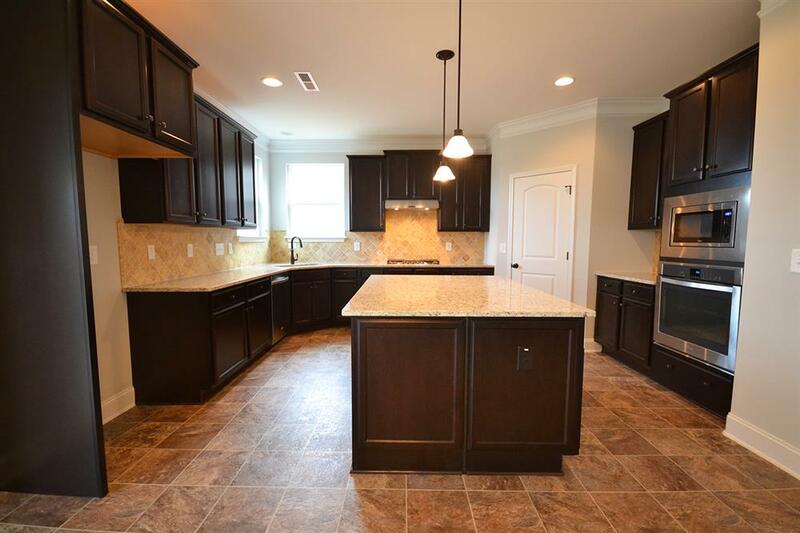 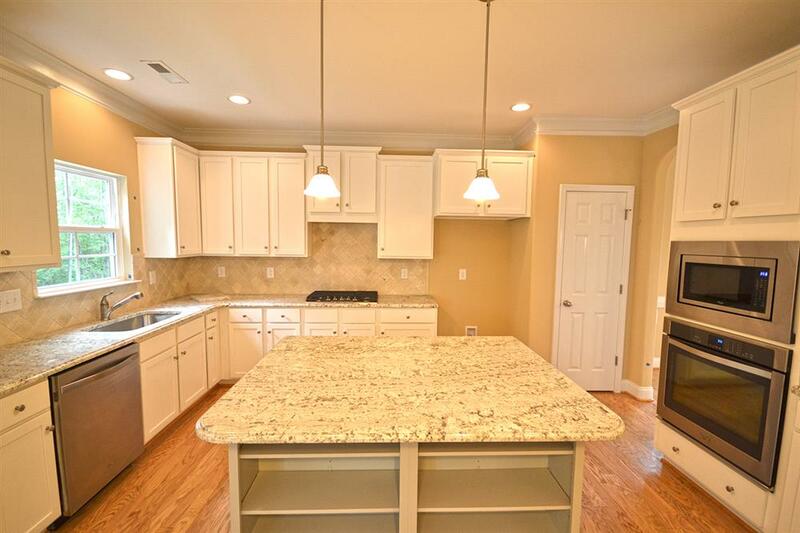 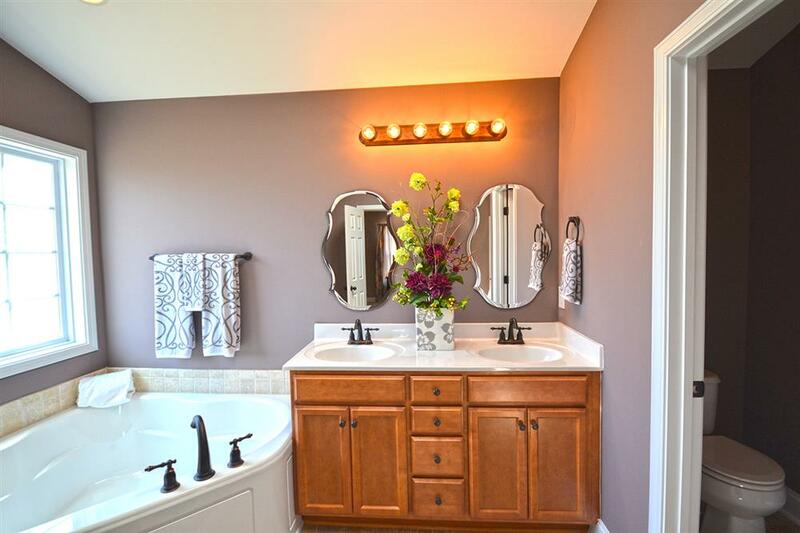 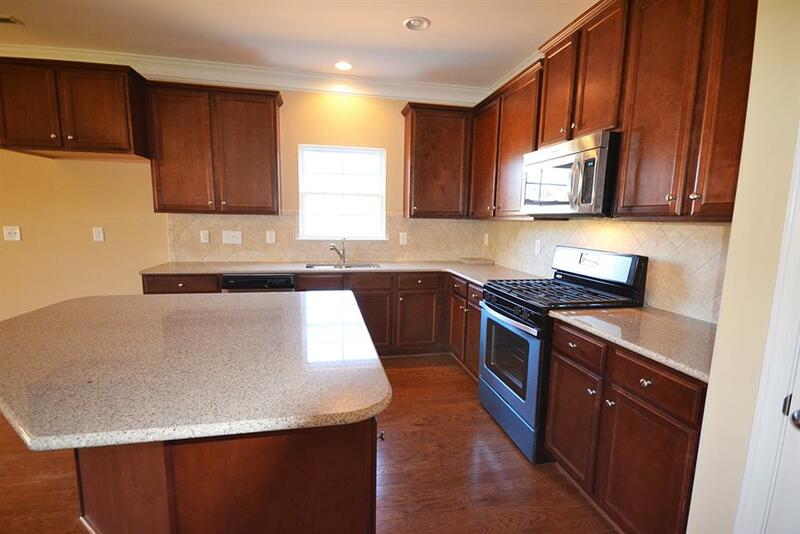 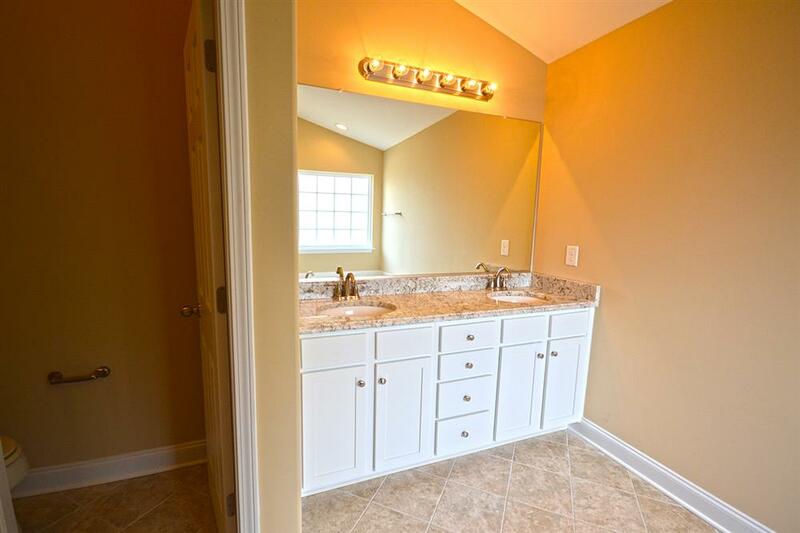 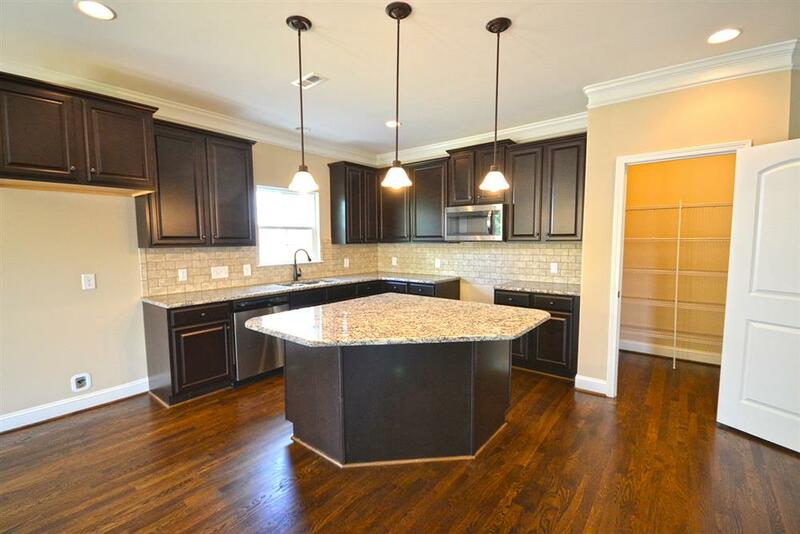 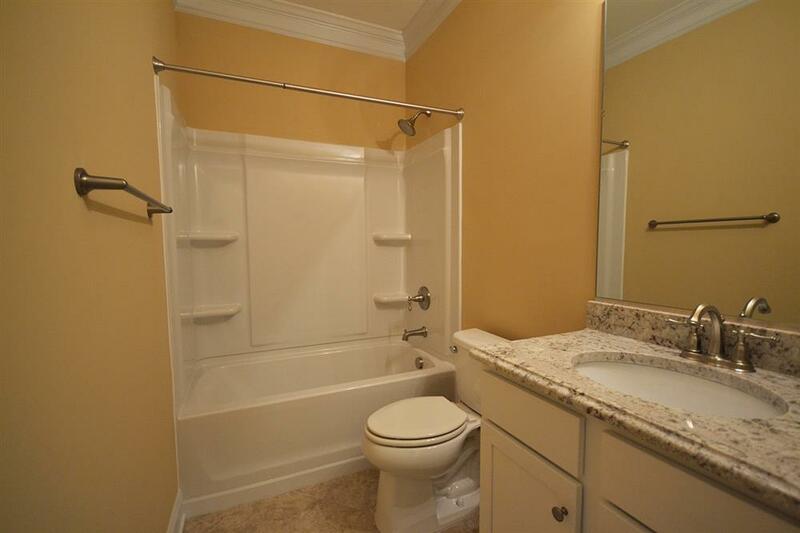 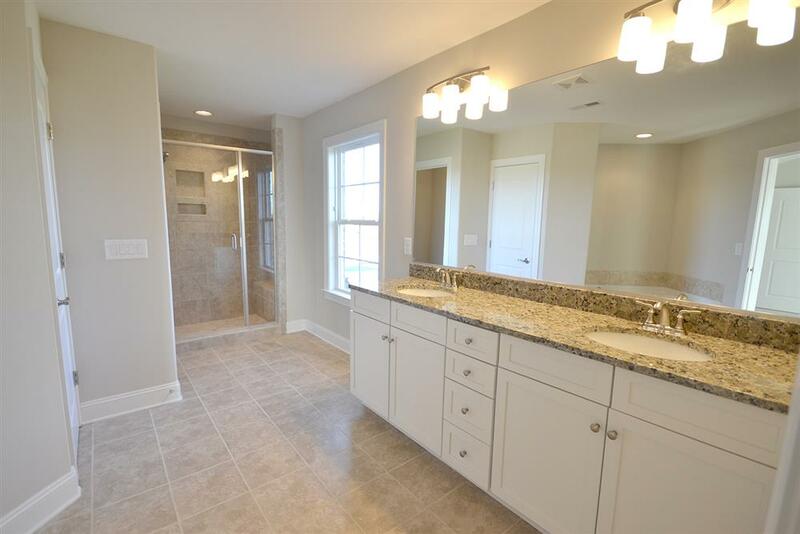 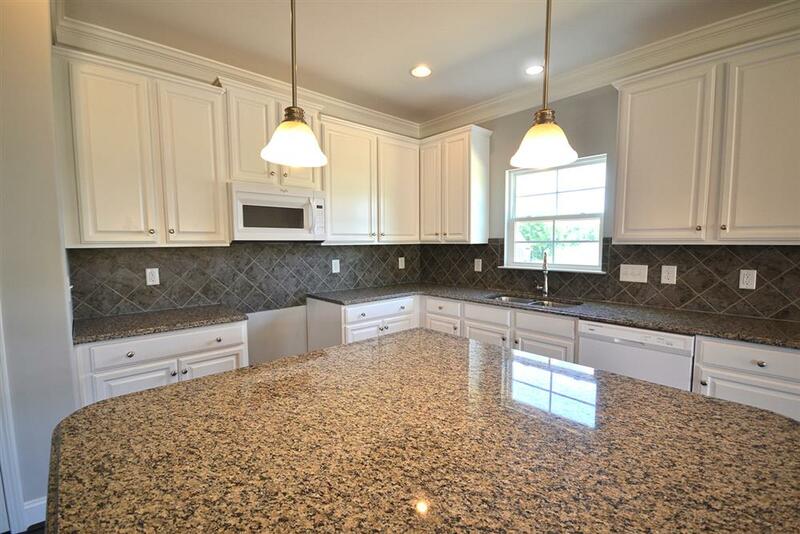 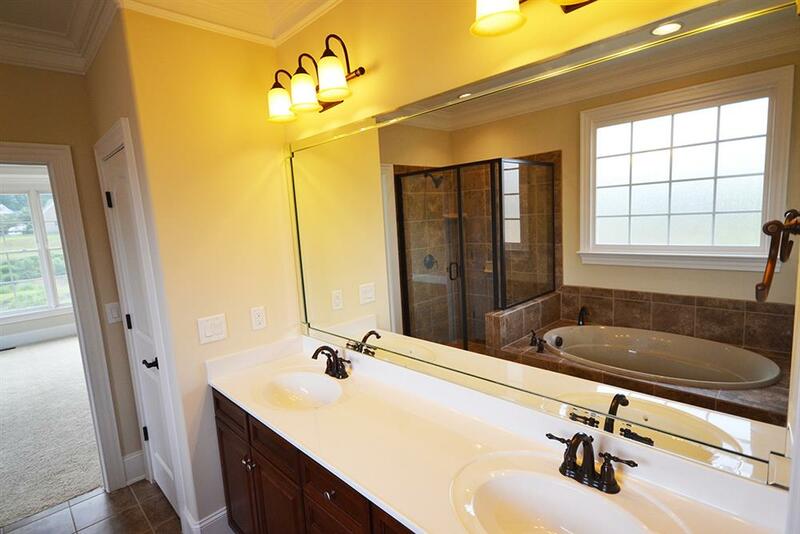 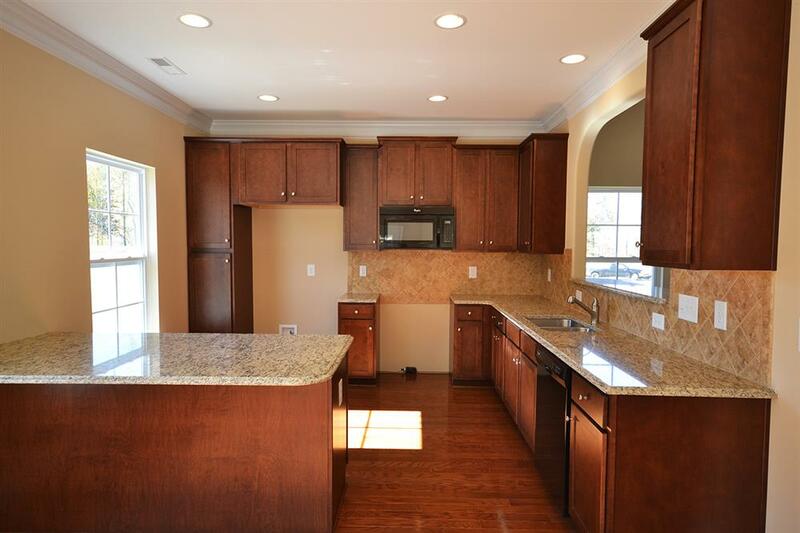 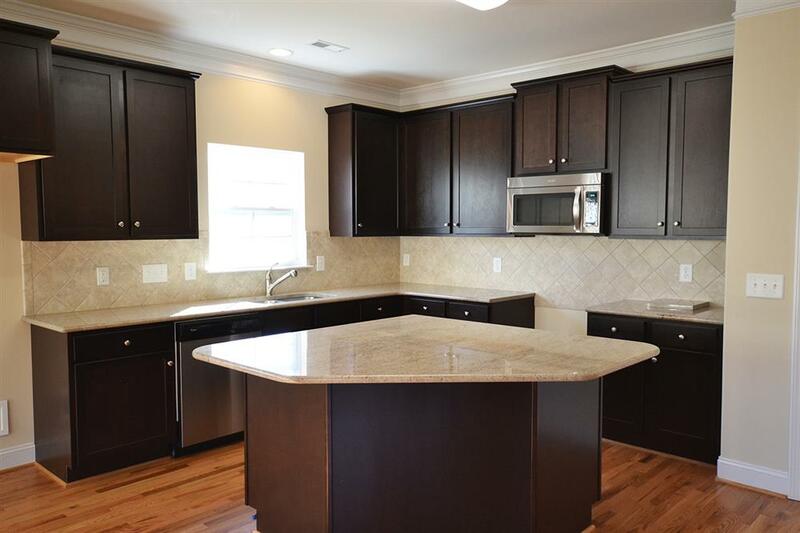 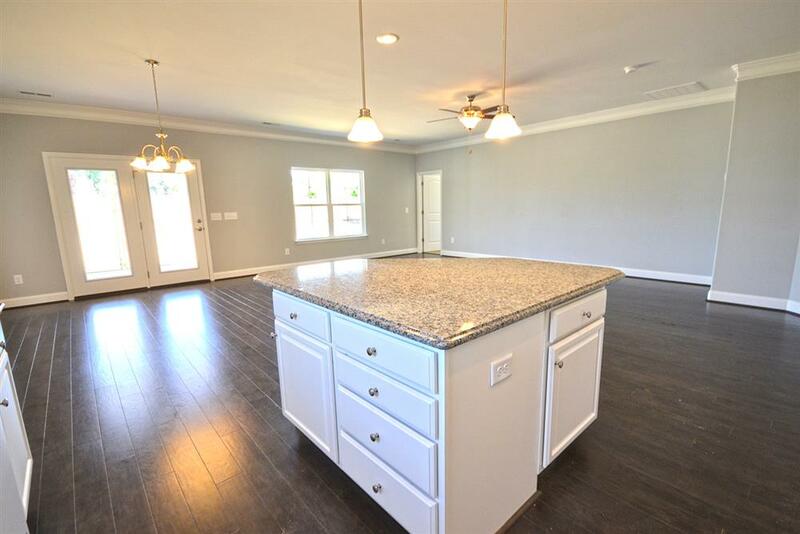 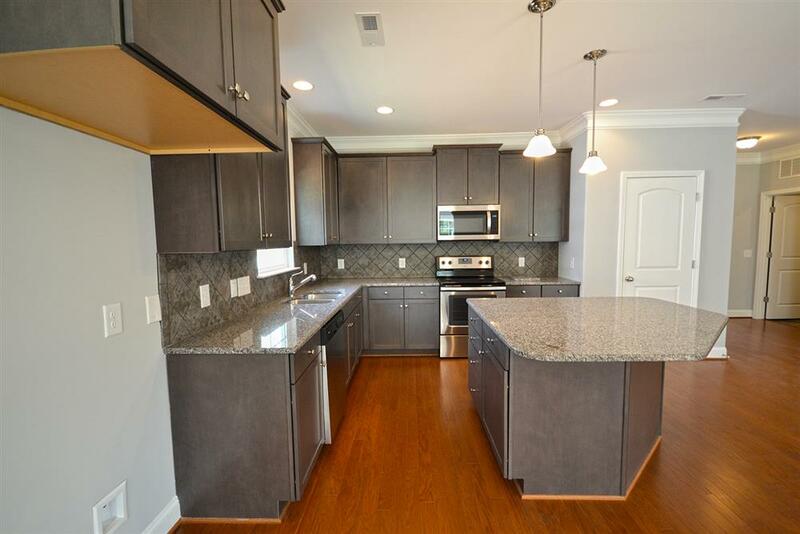 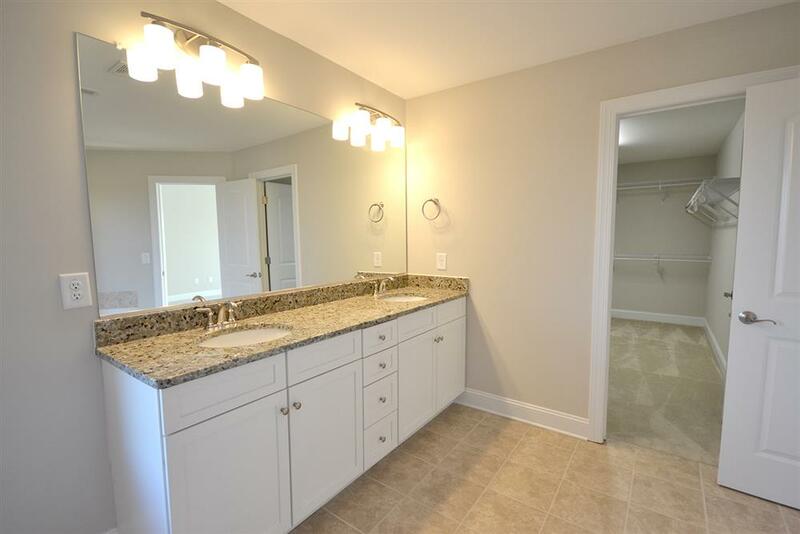 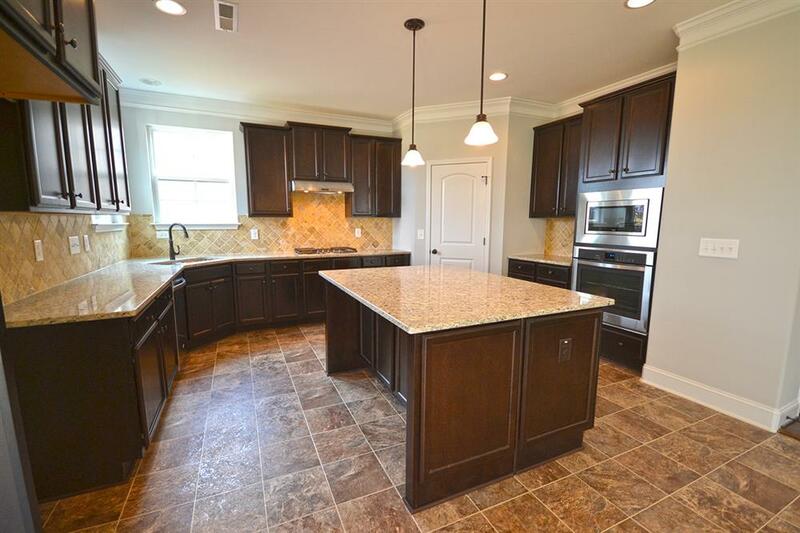 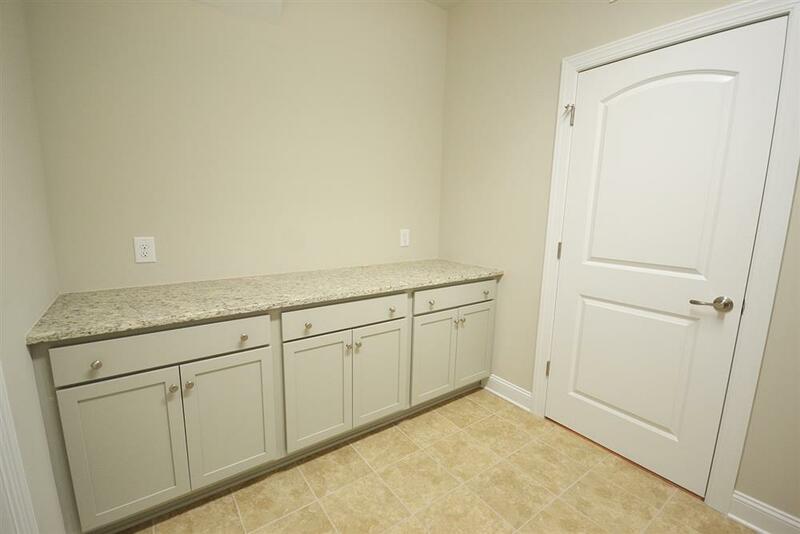 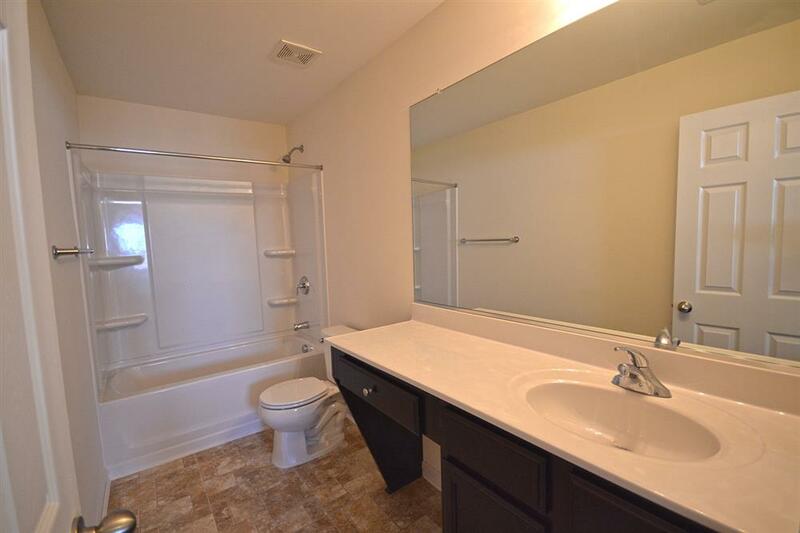 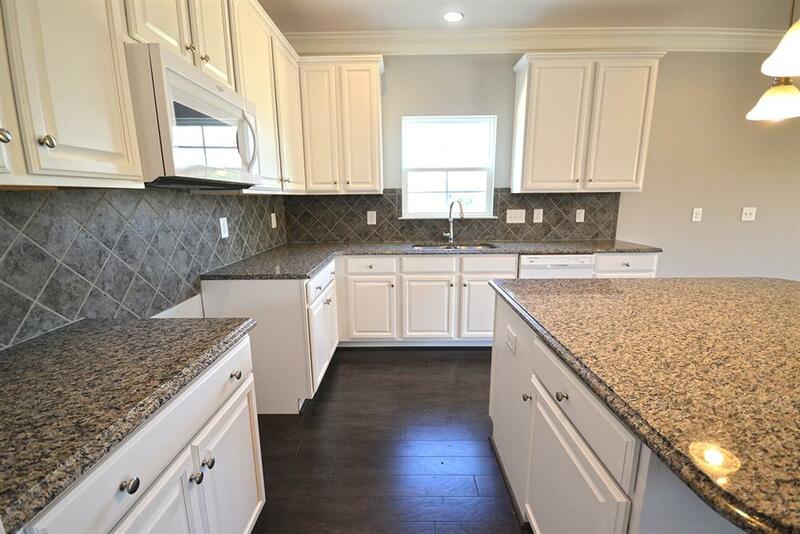 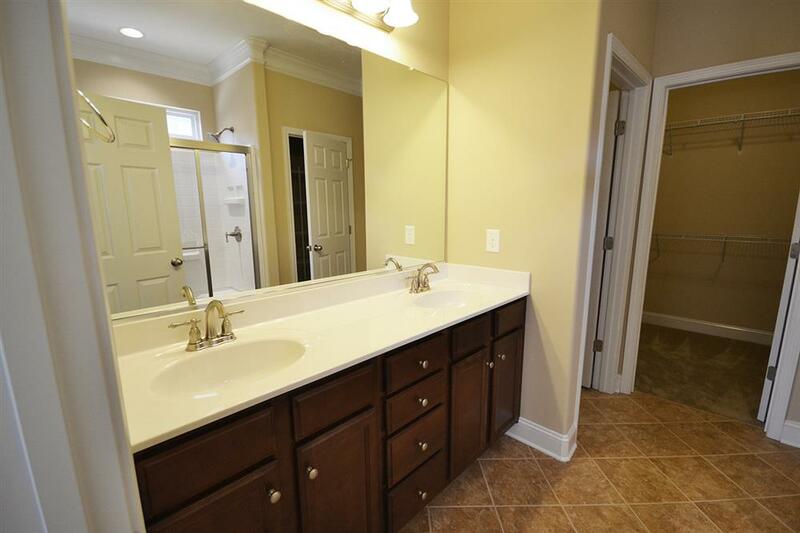 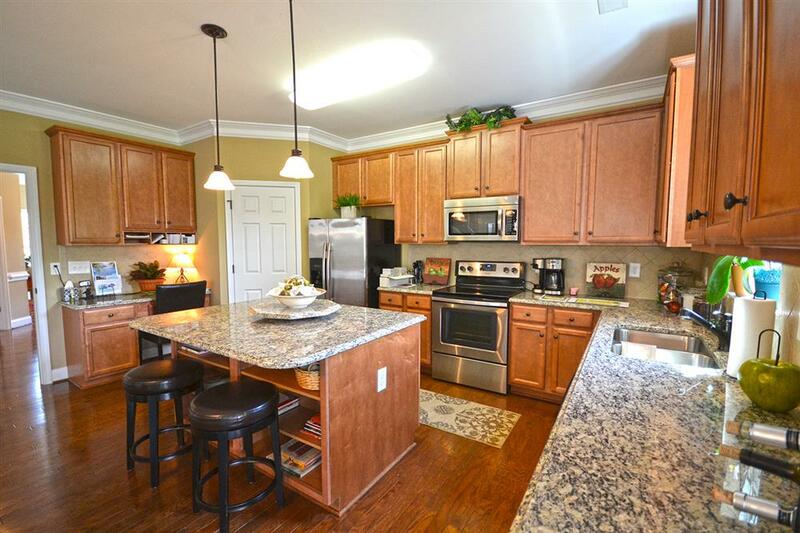 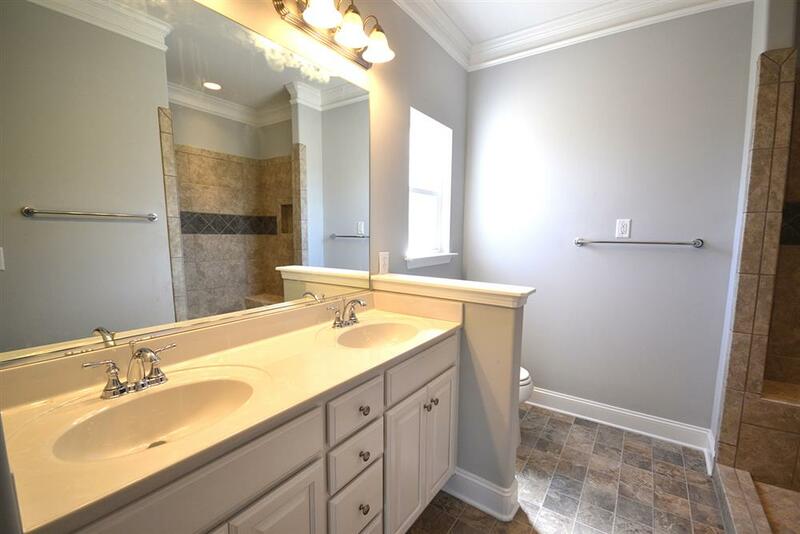 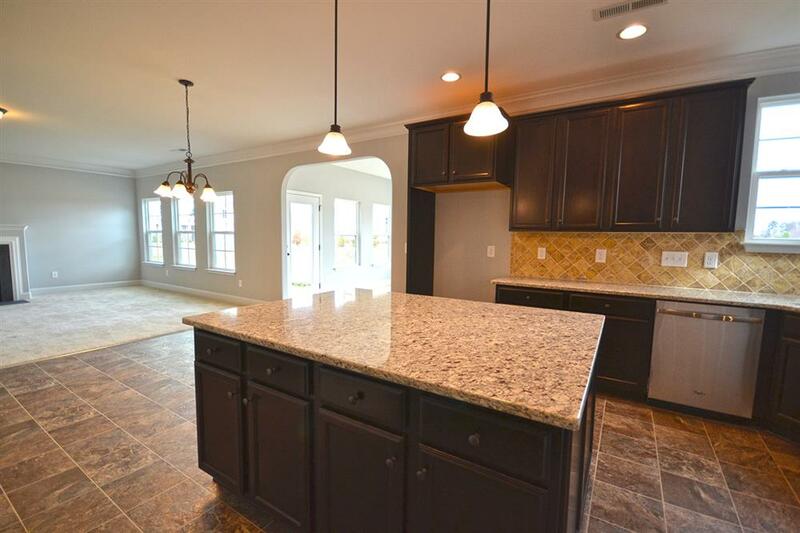 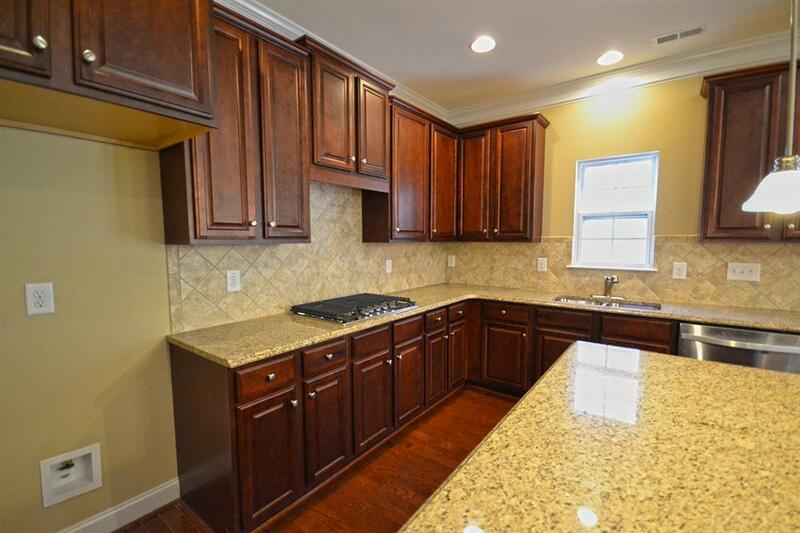 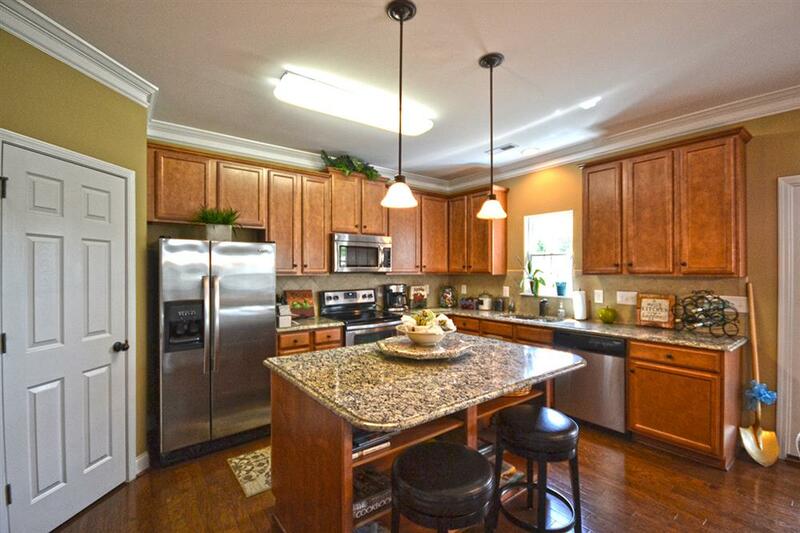 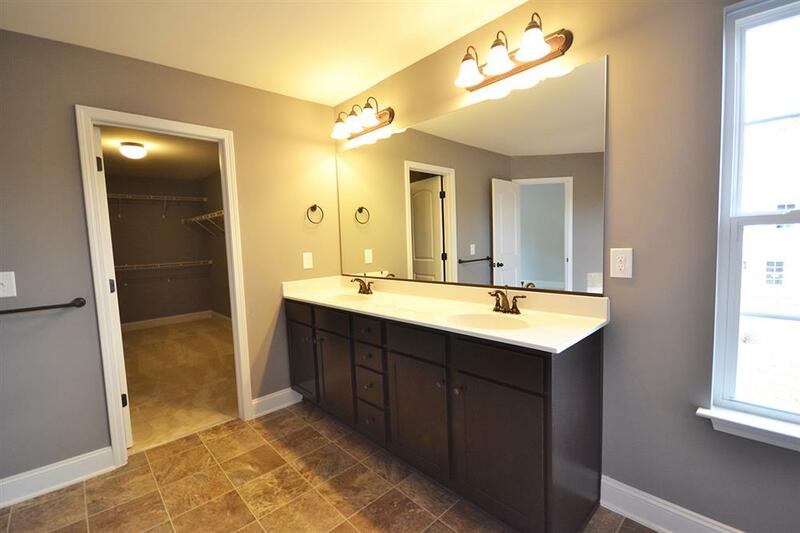 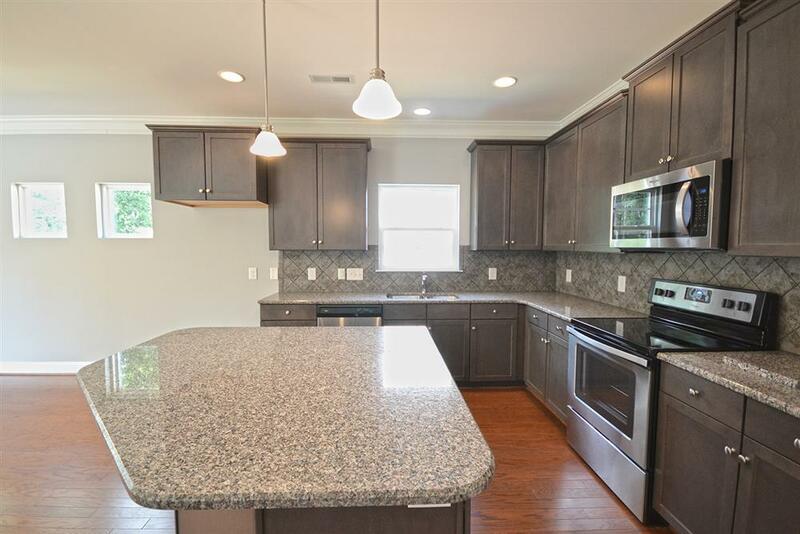 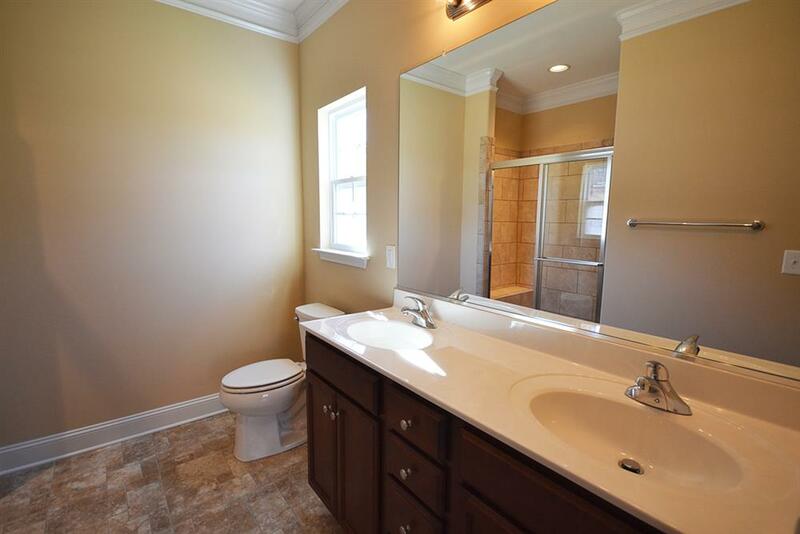 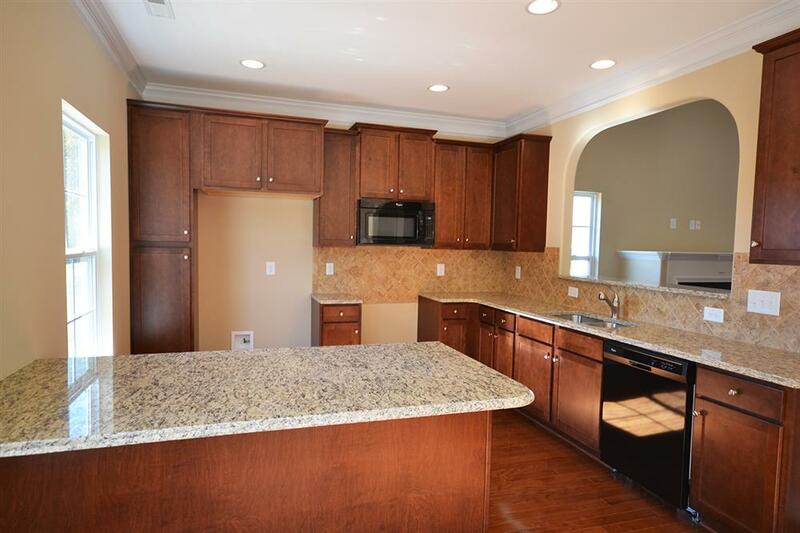 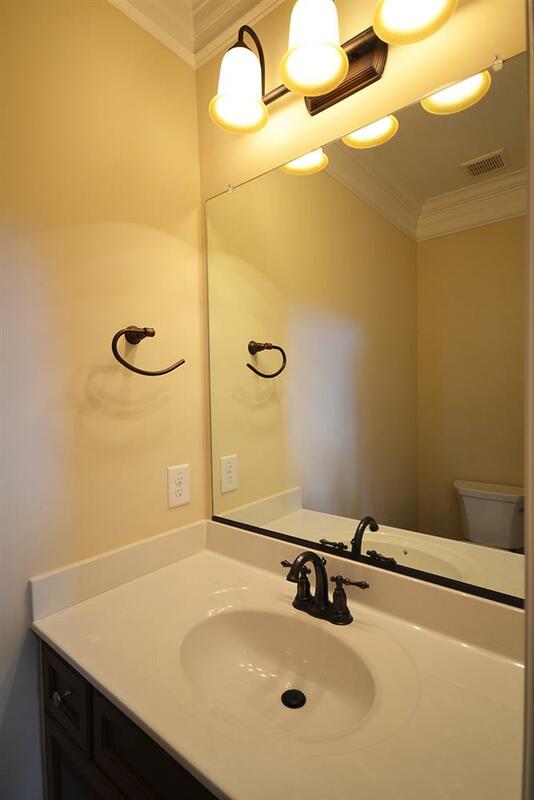 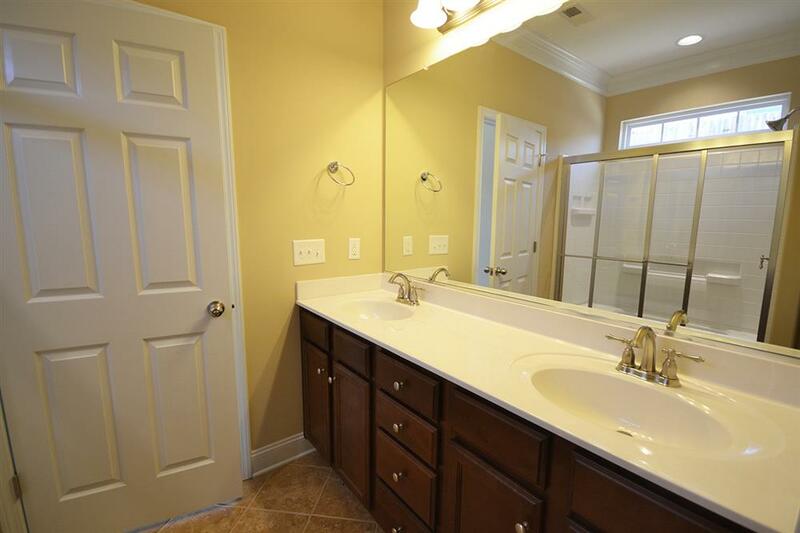 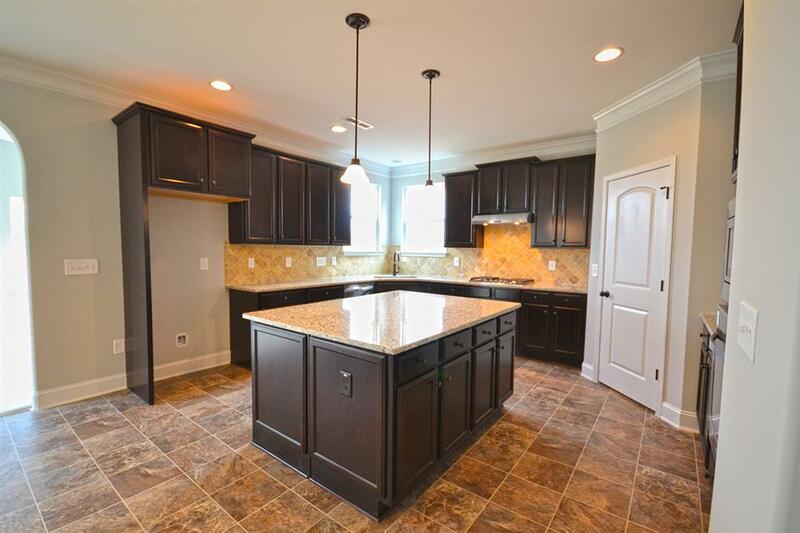 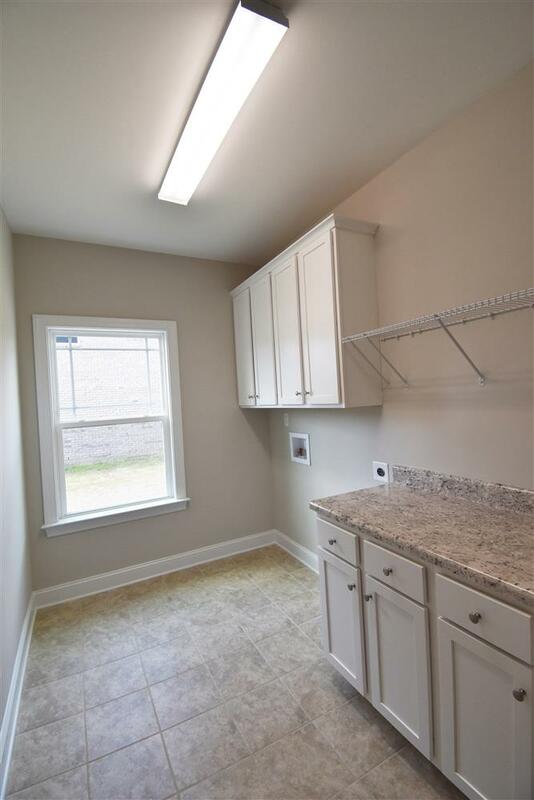 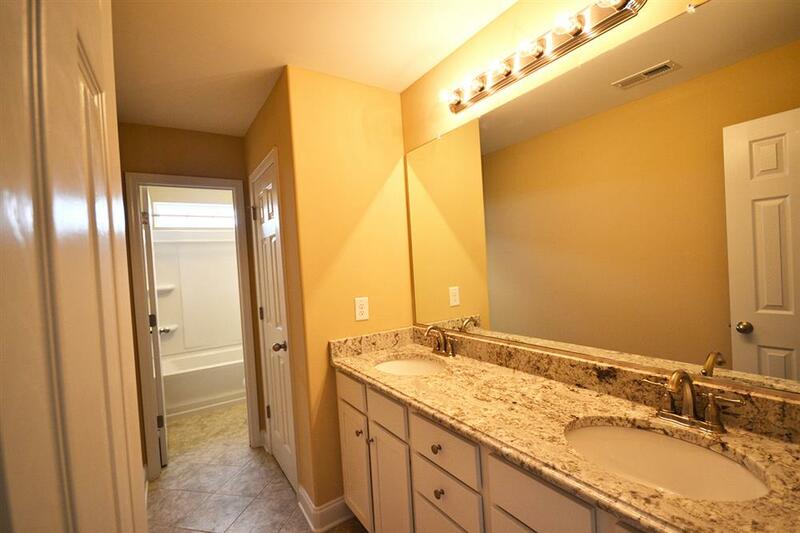 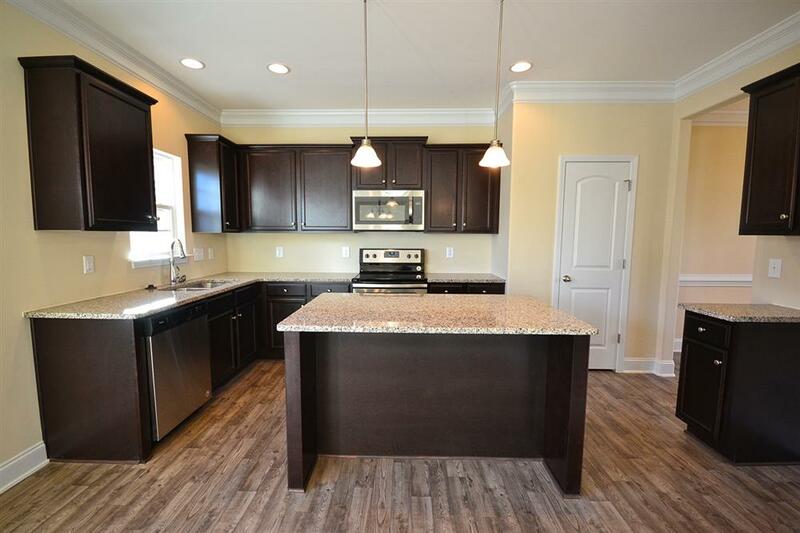 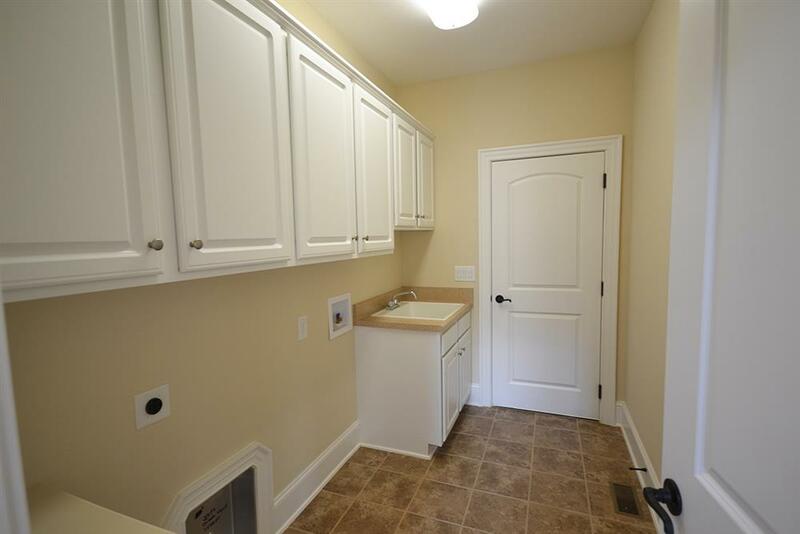 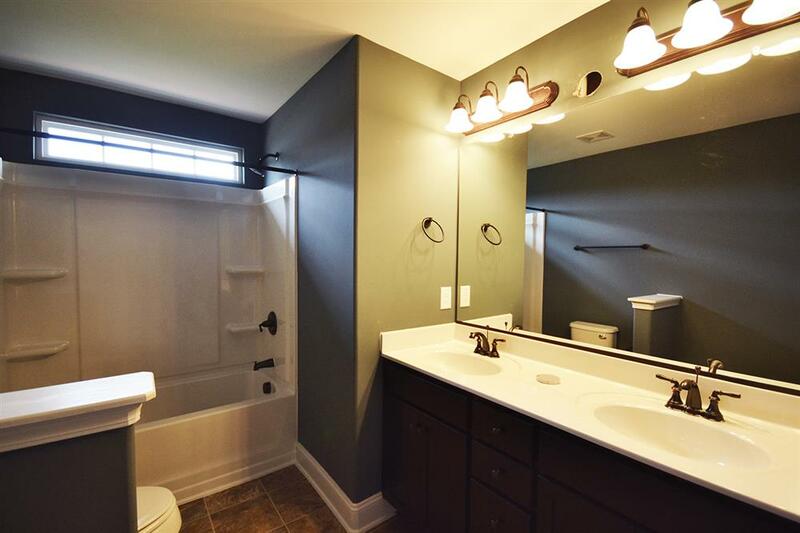 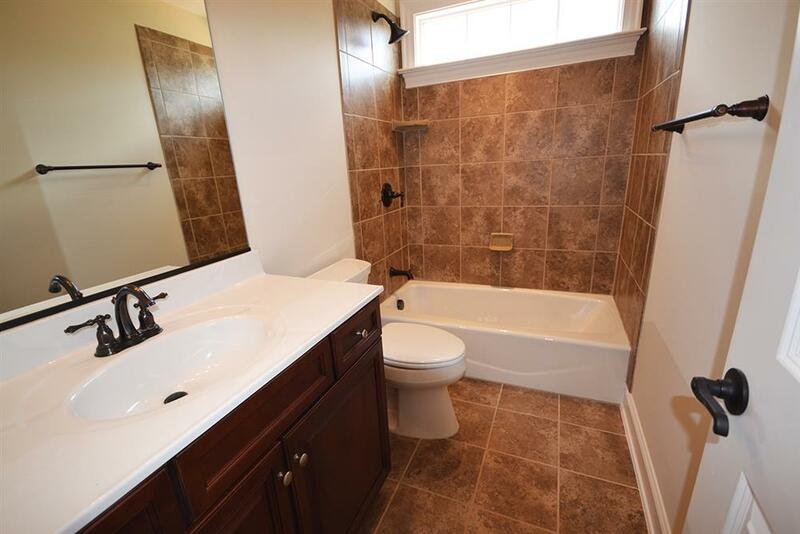 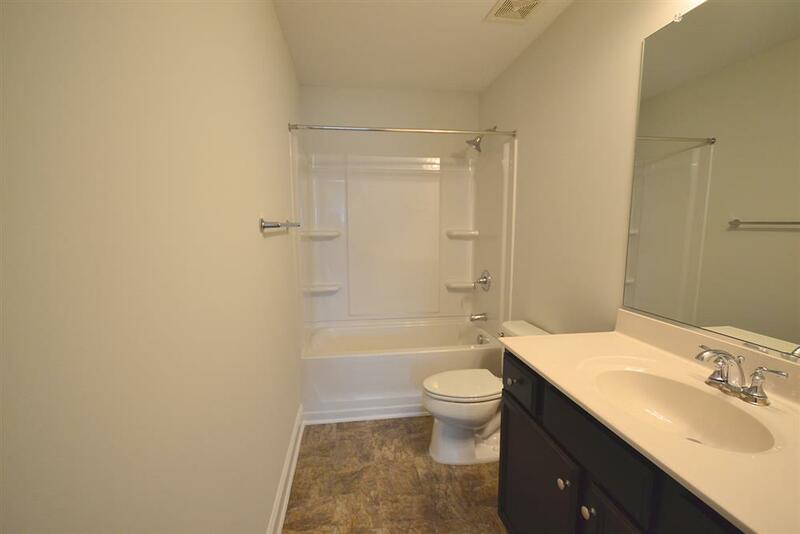 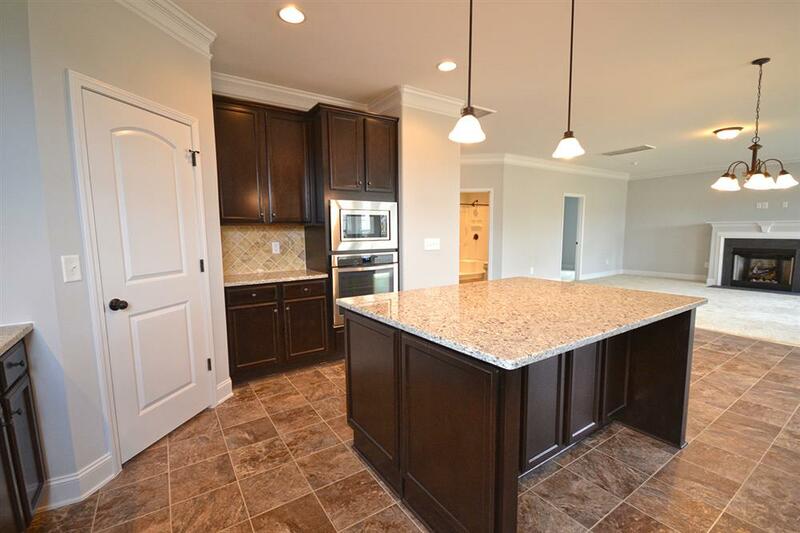 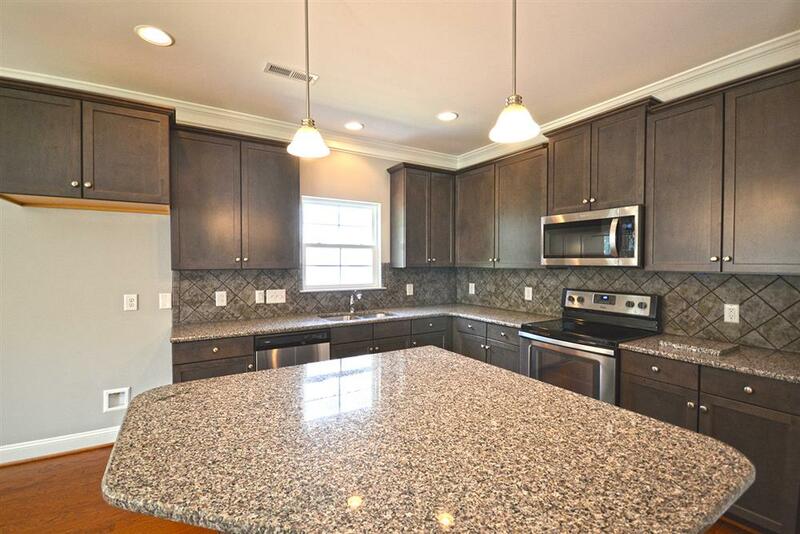 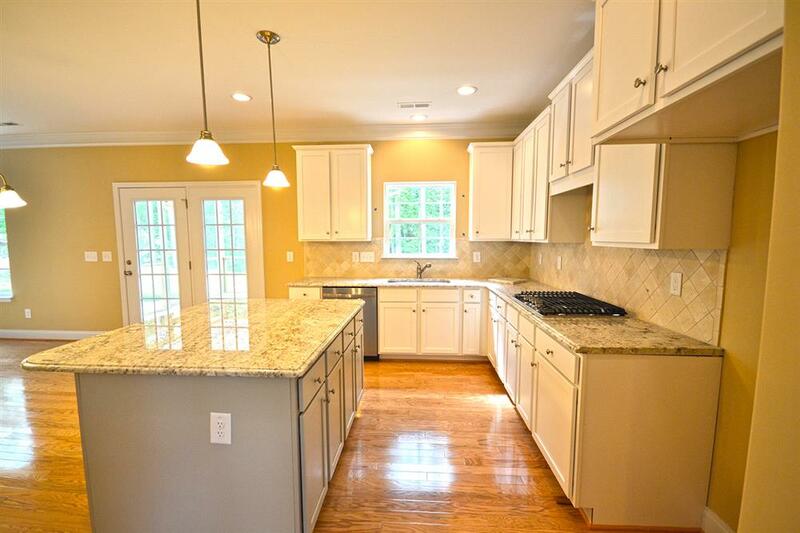 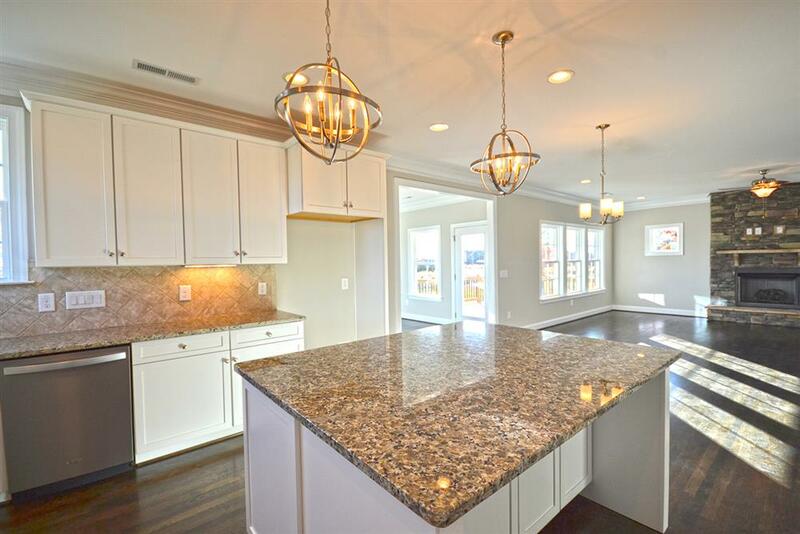 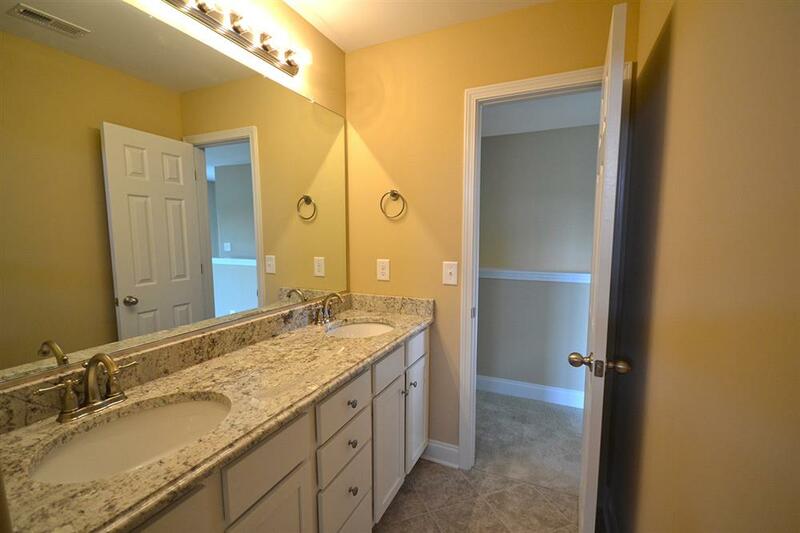 Granite counter tops in the kitchen and all the bathrooms are standard in this community. 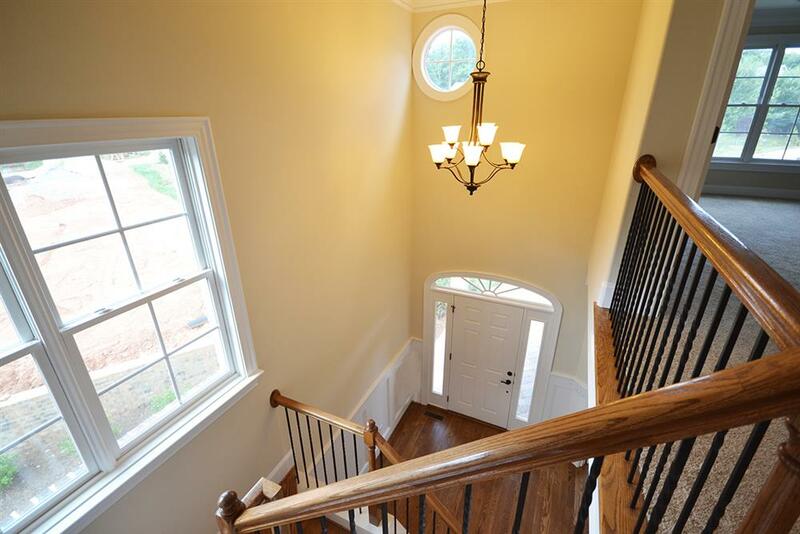 This home boasts an elegant 2-story foyer, adorned by a large hanging chandelier and a curved staircase leading up to the open-air landing. 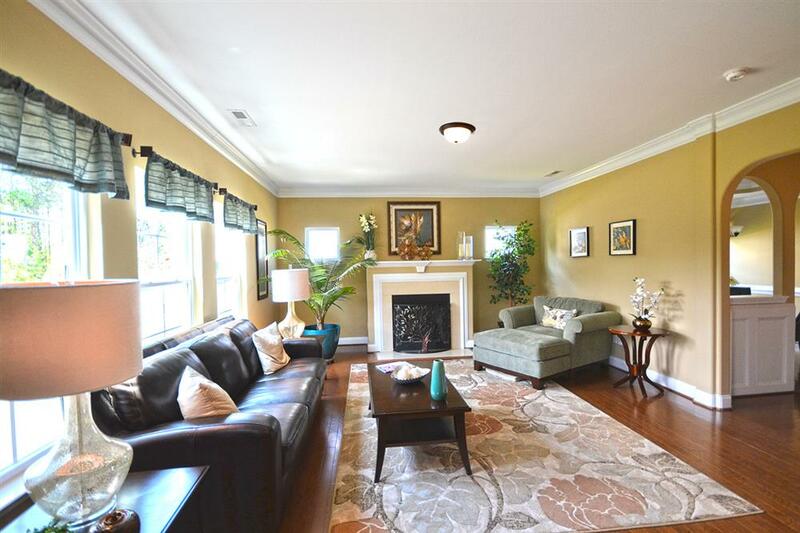 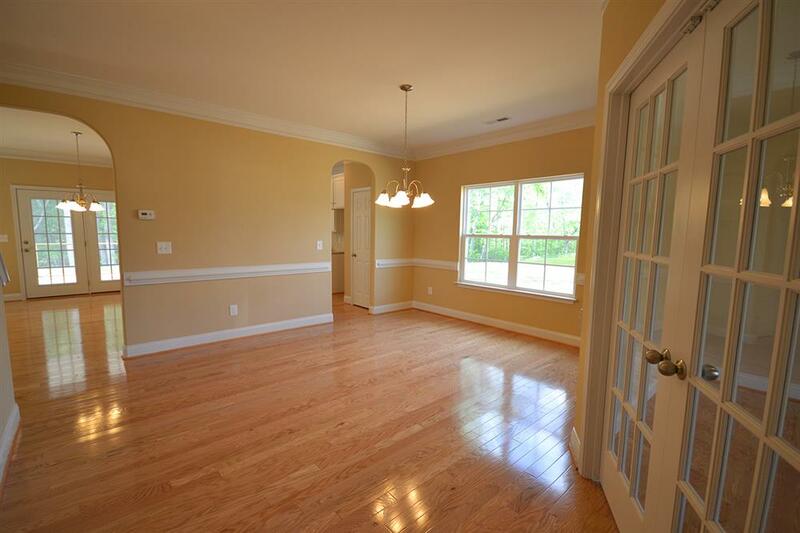 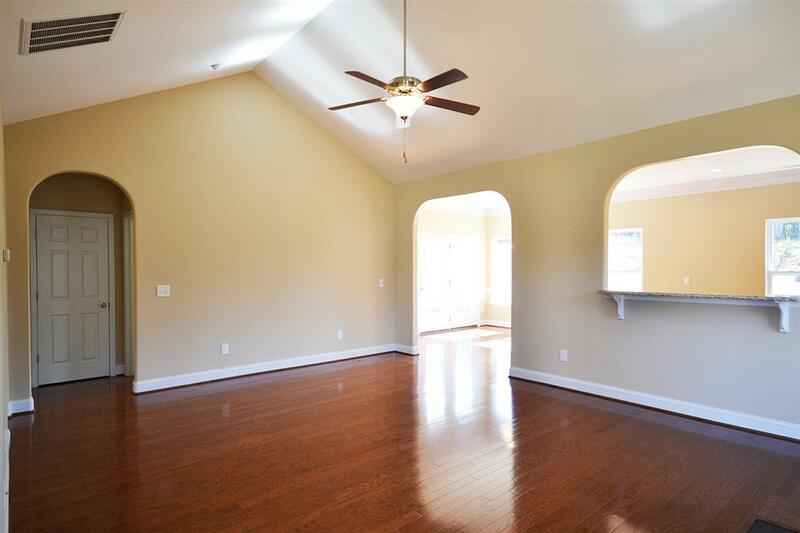 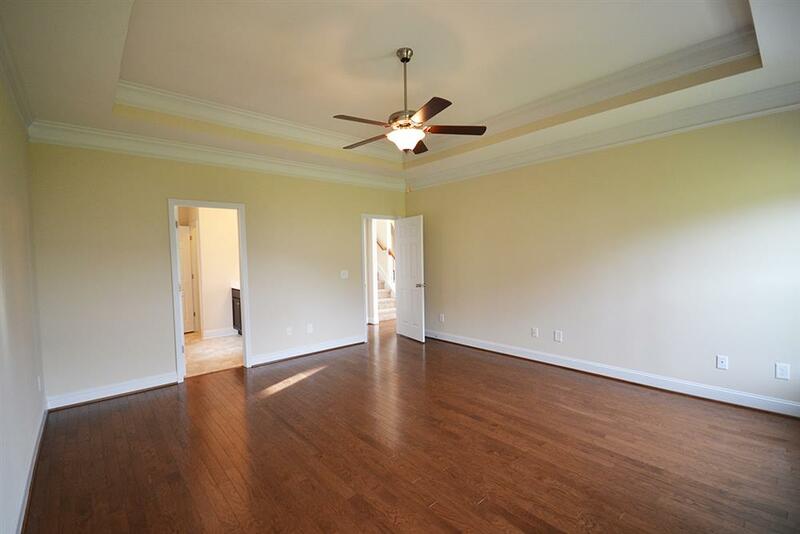 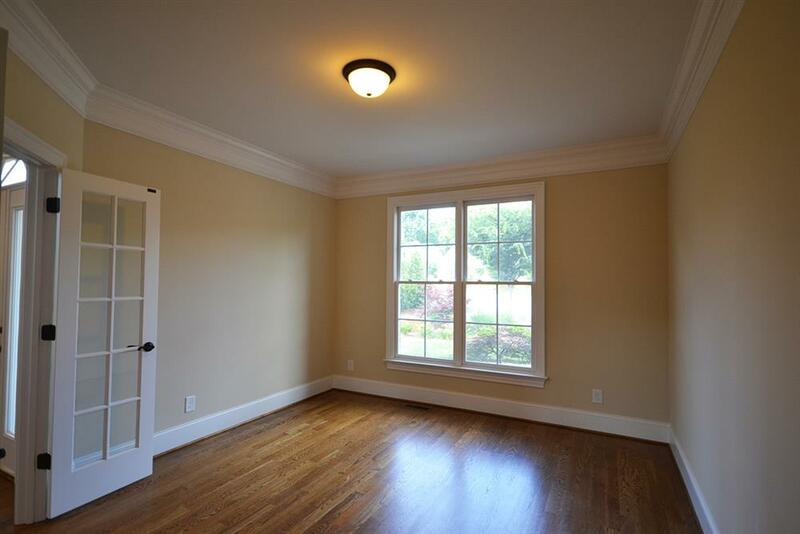 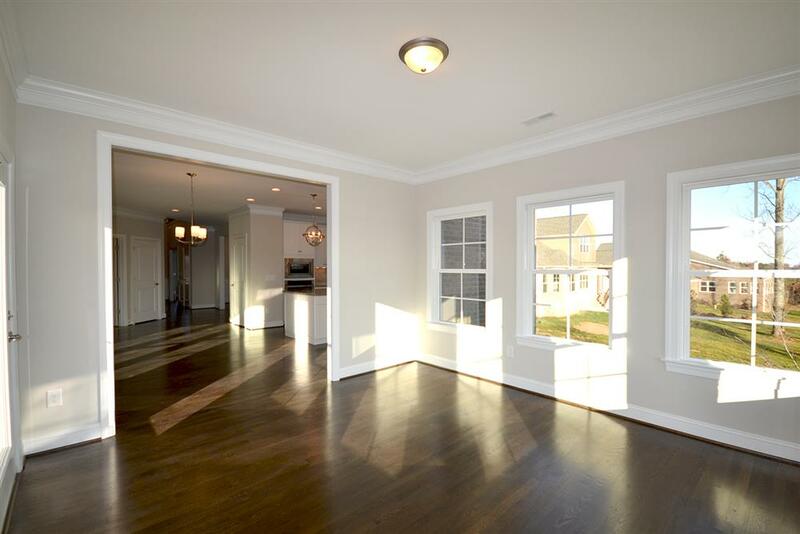 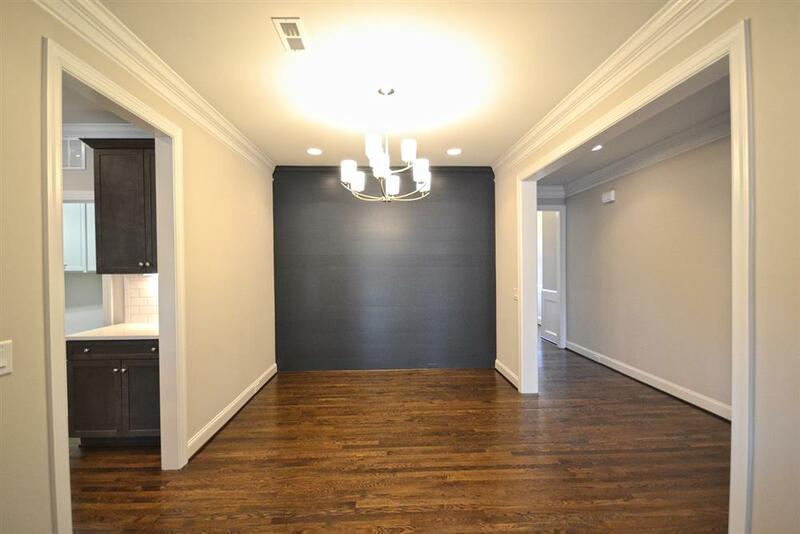 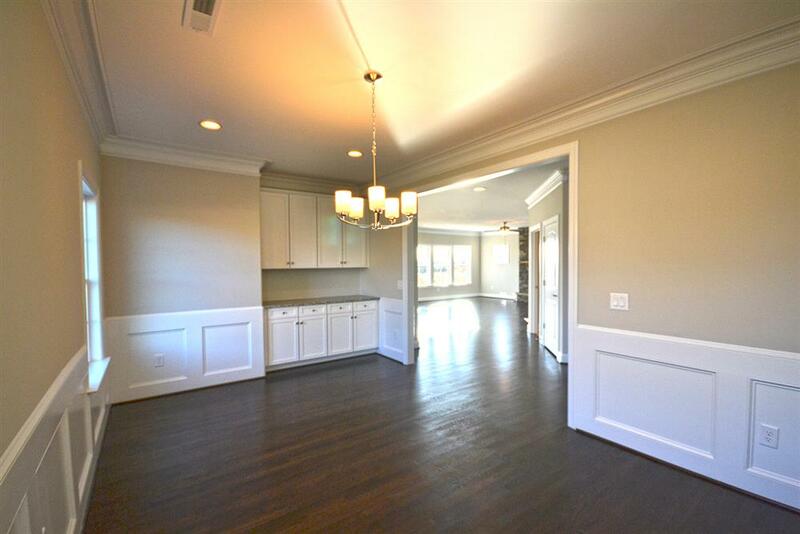 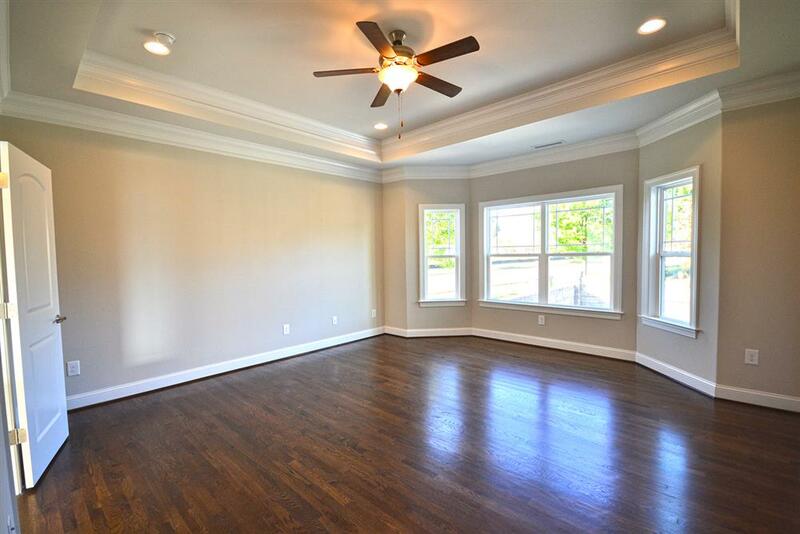 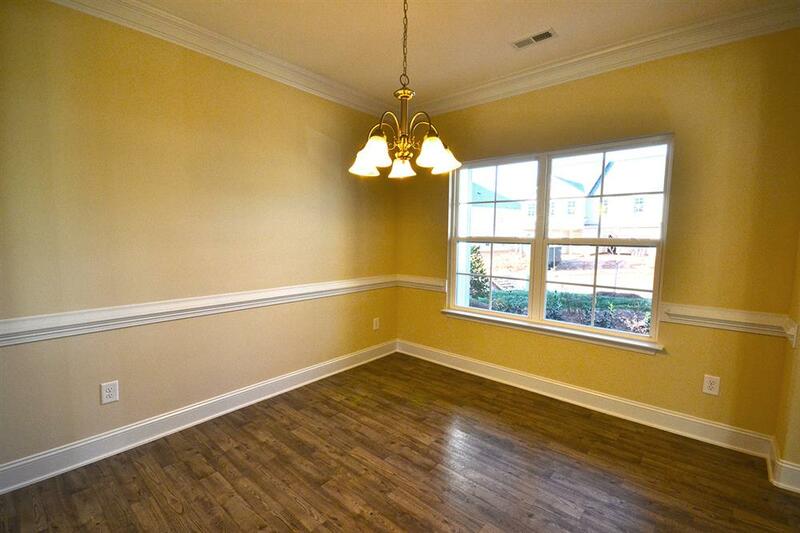 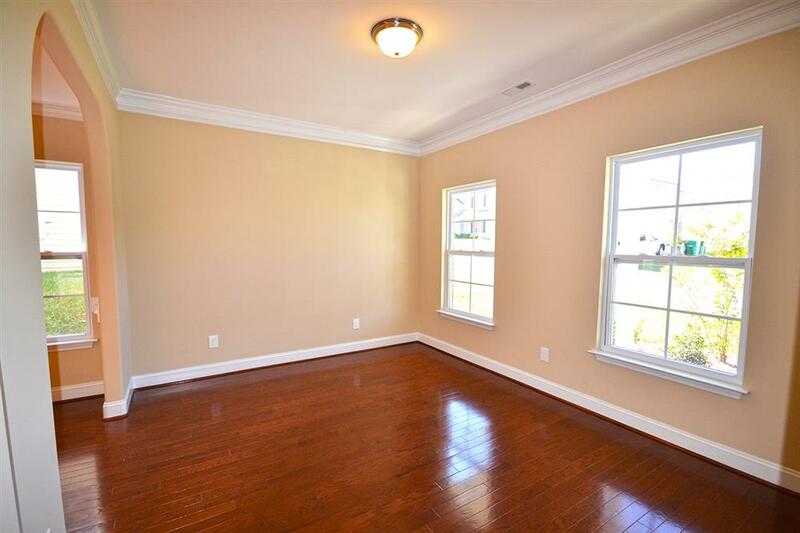 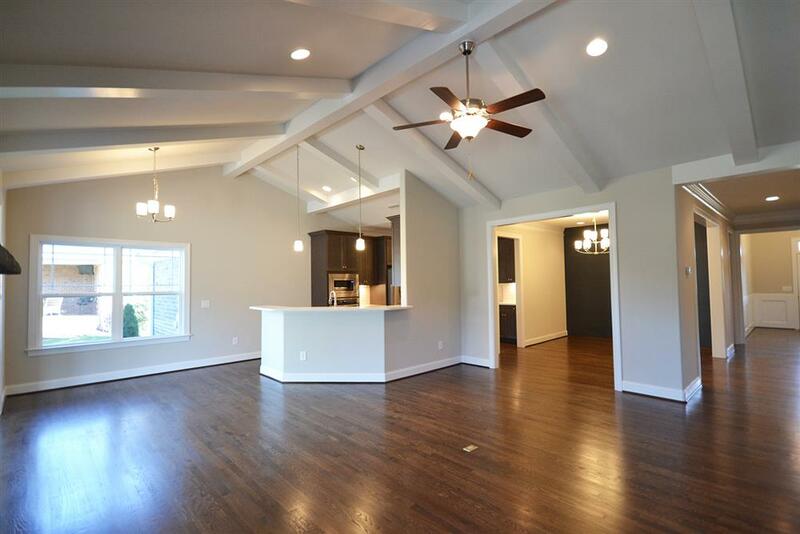 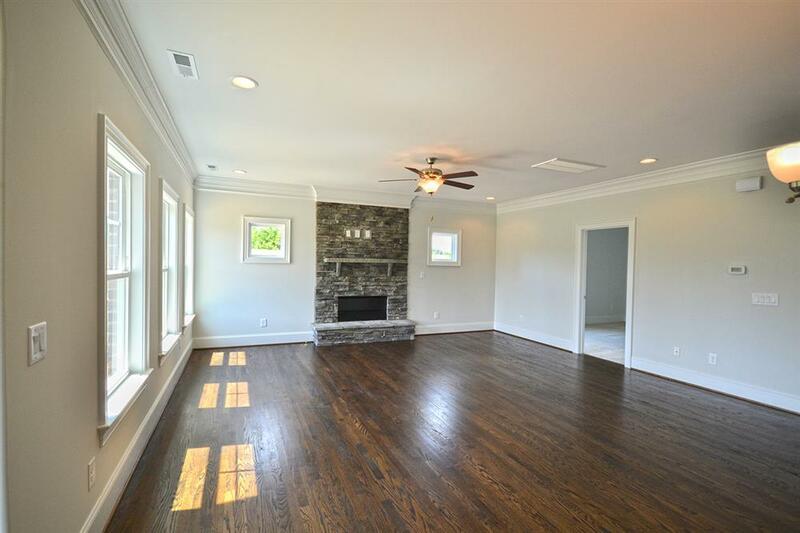 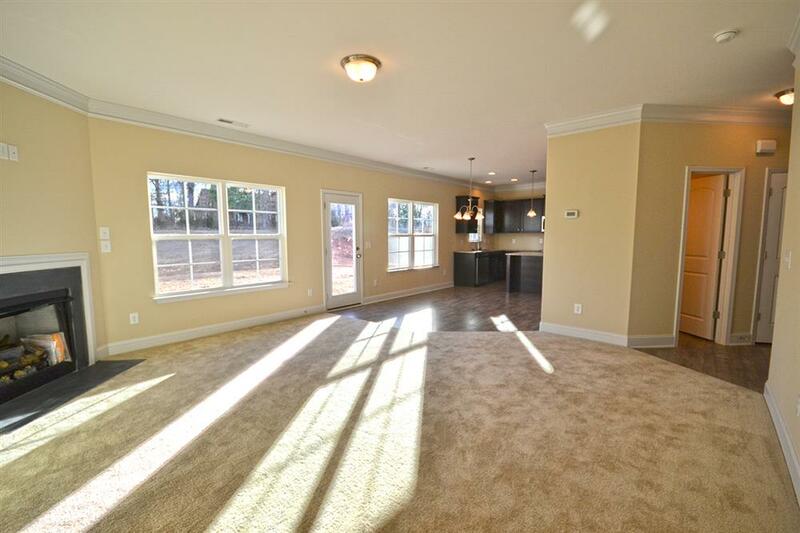 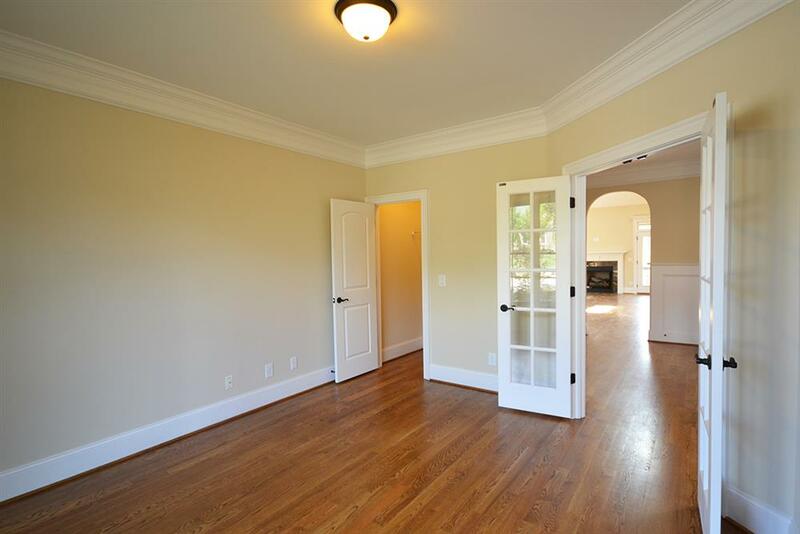 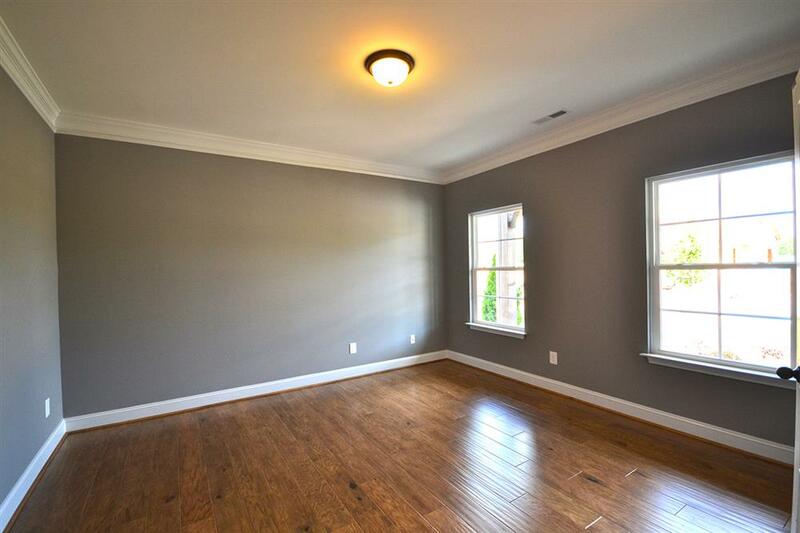 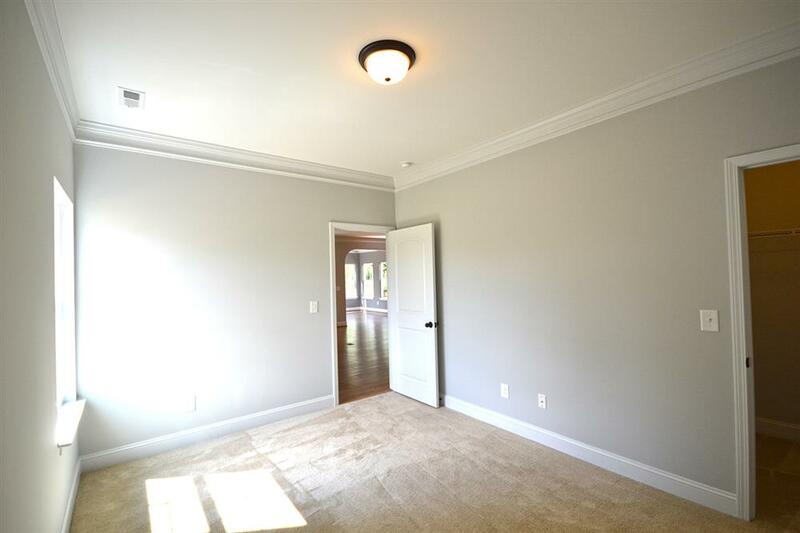 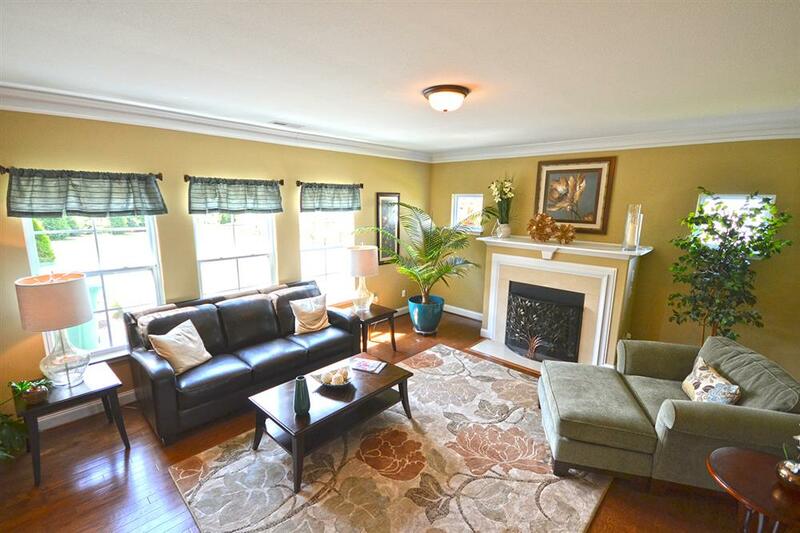 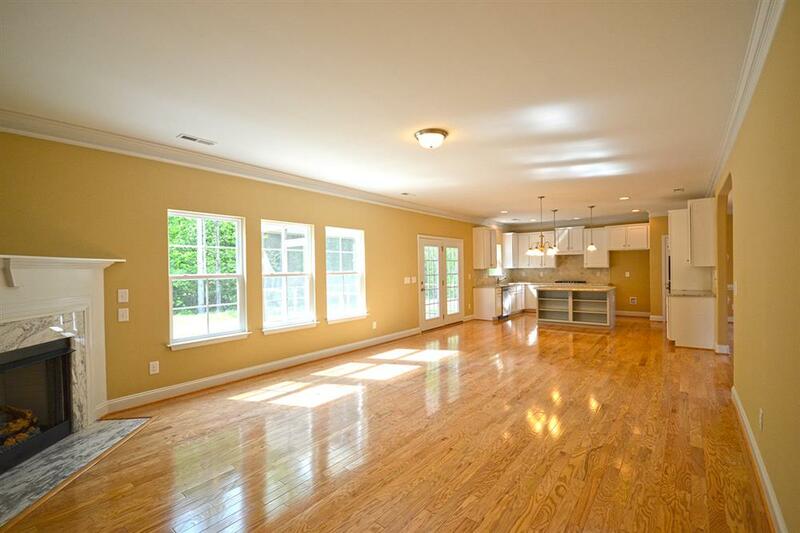 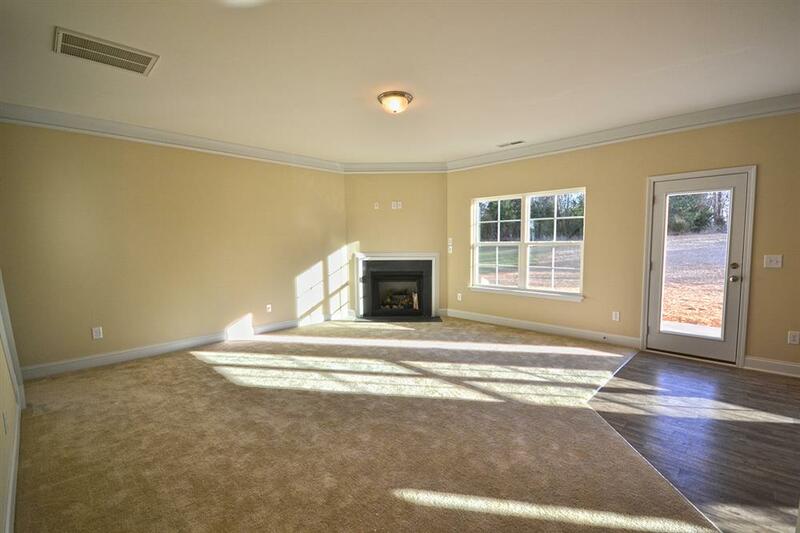 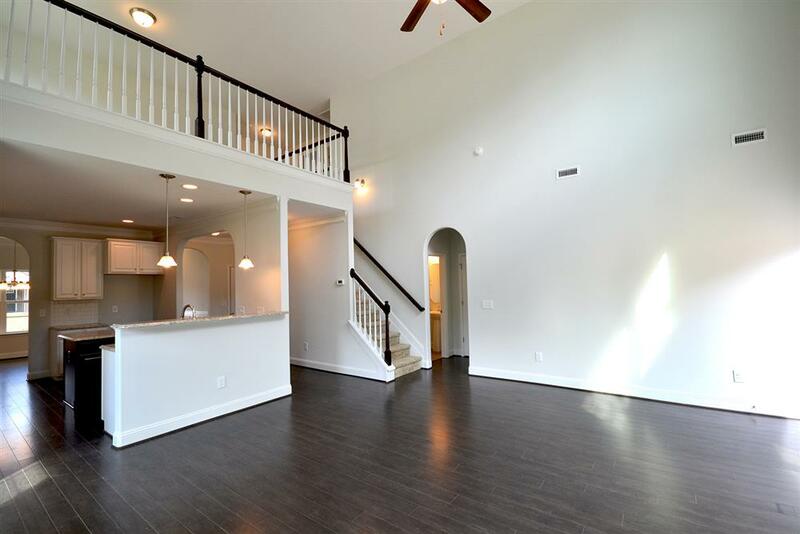 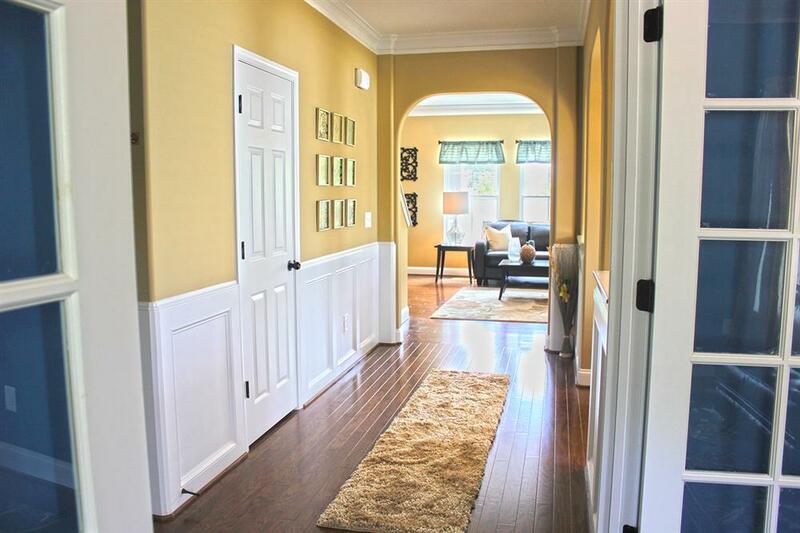 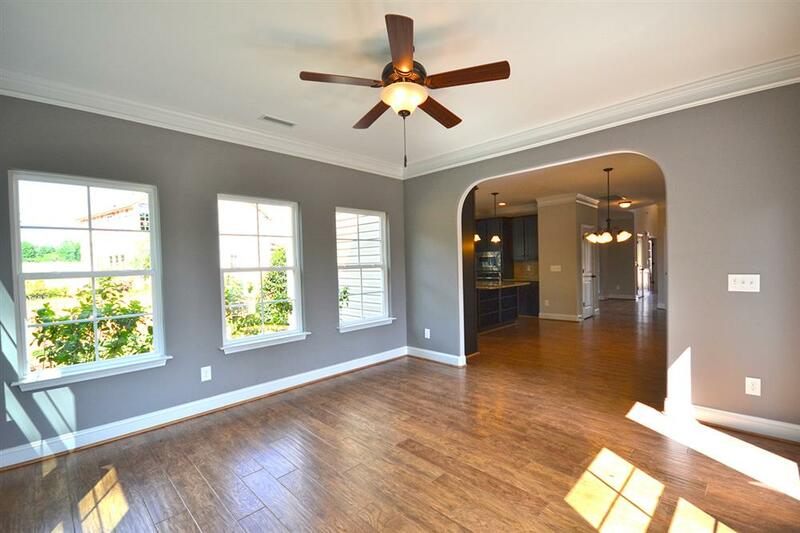 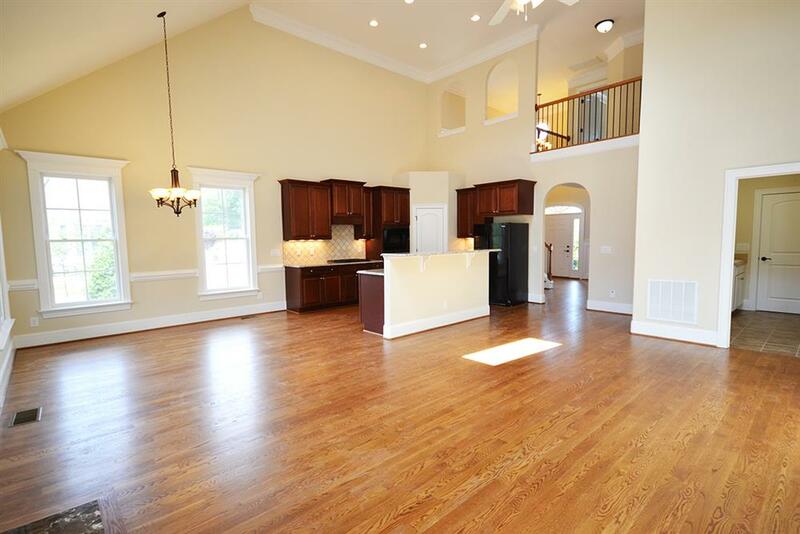 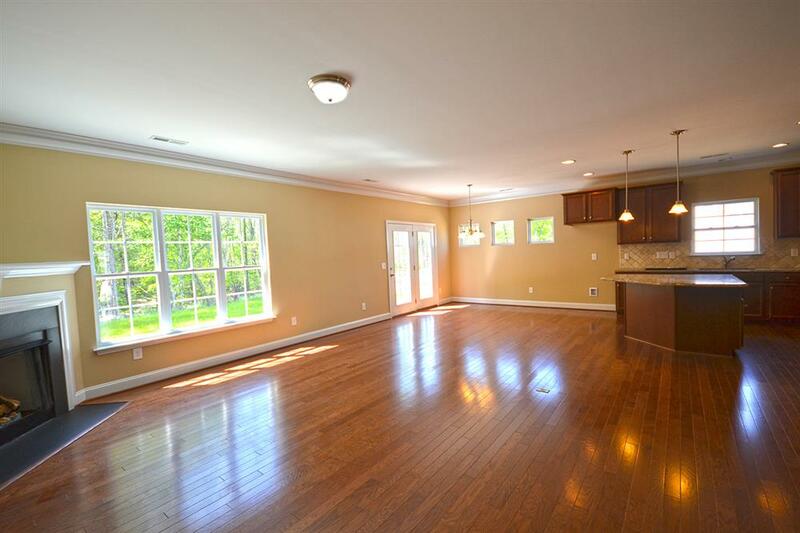 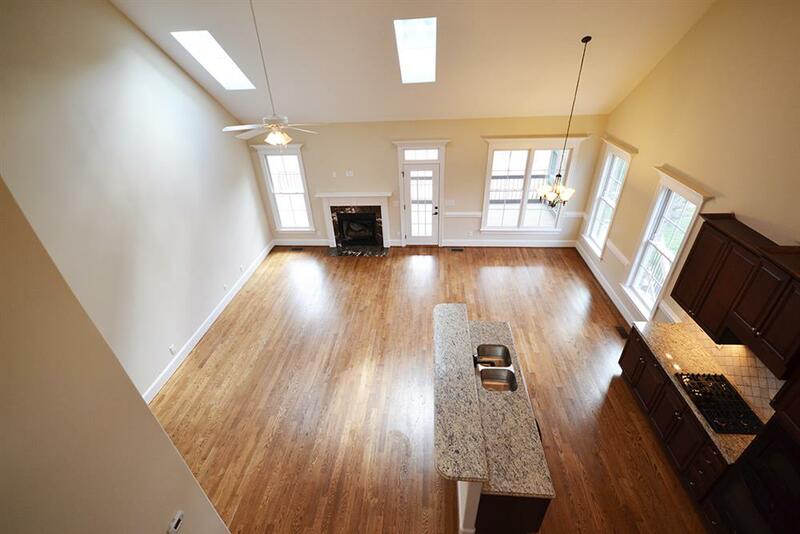 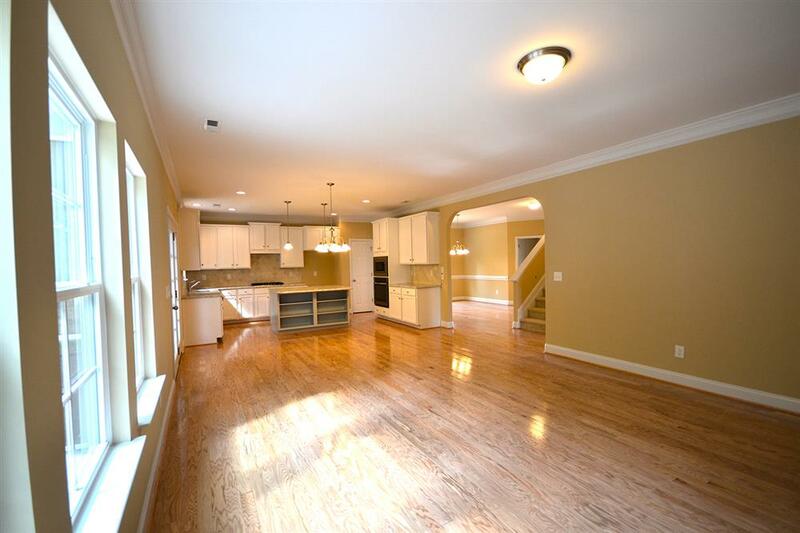 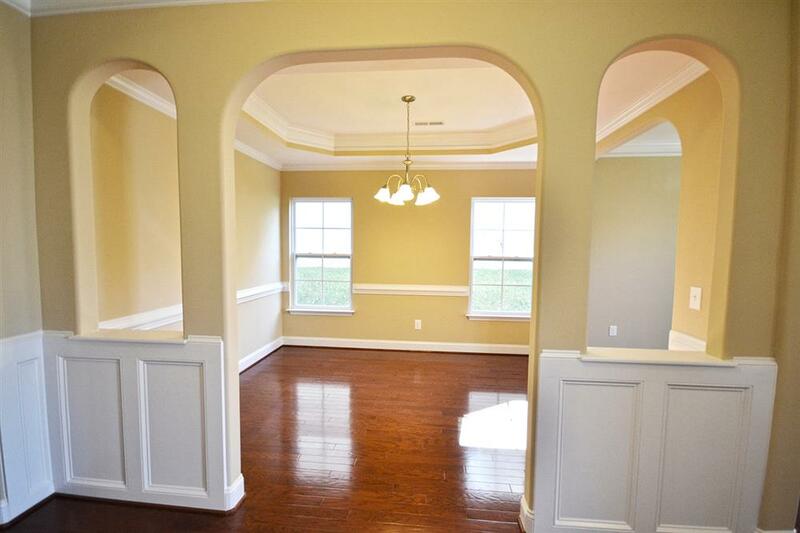 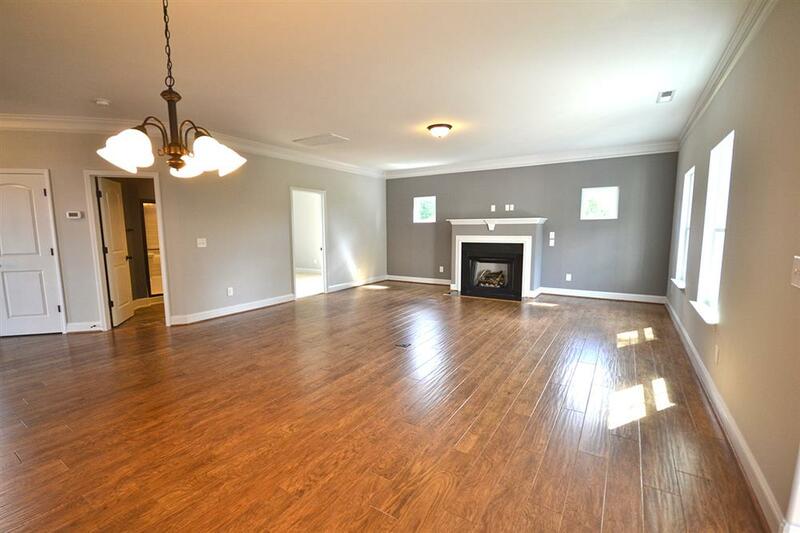 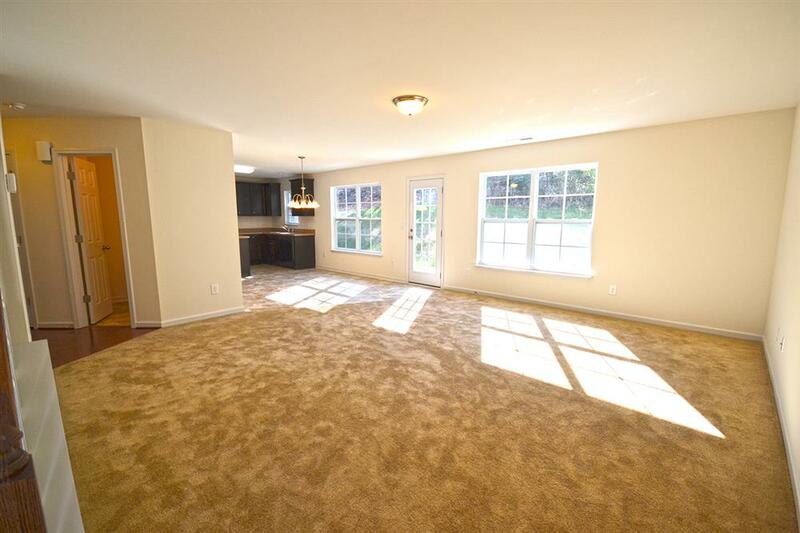 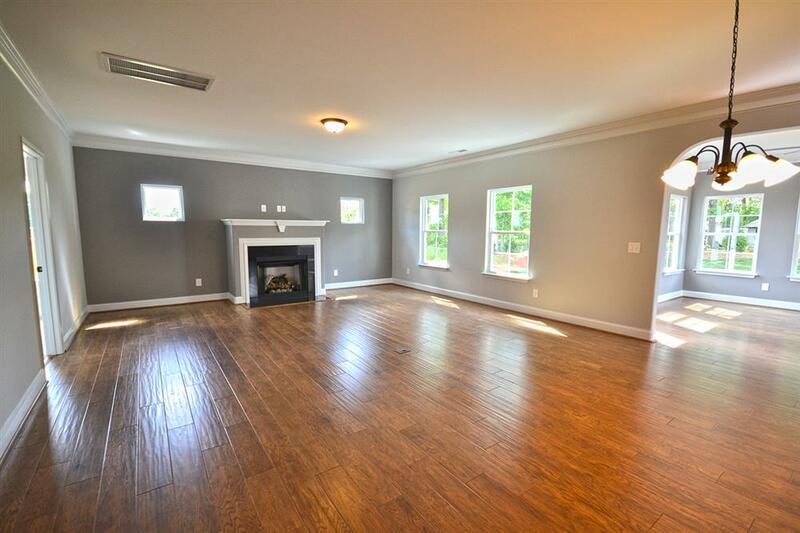 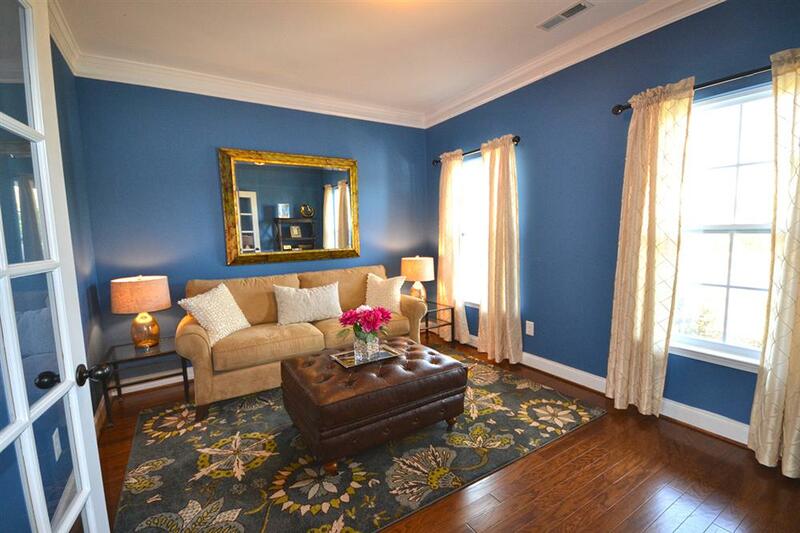 Formal living area or an optional study, are adjacent to the formal dining room. 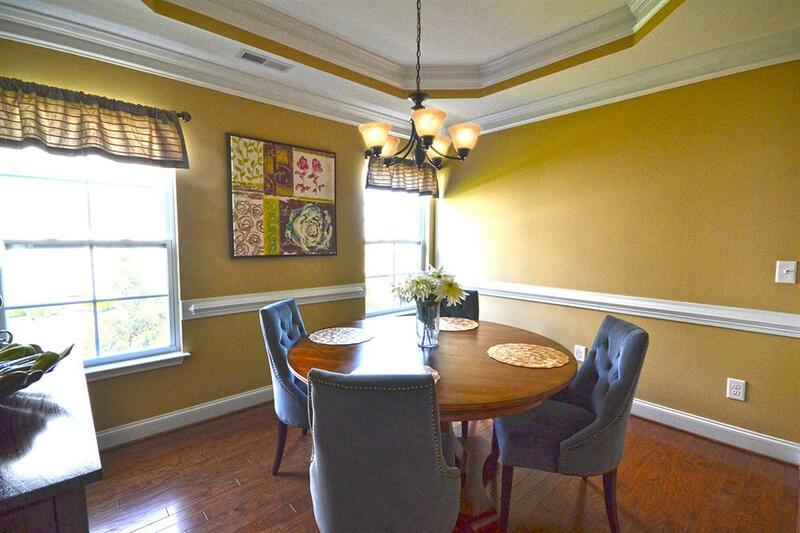 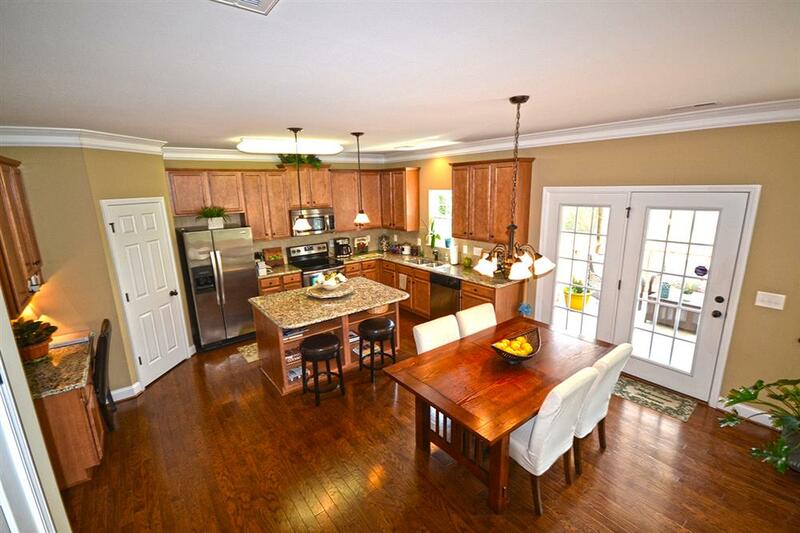 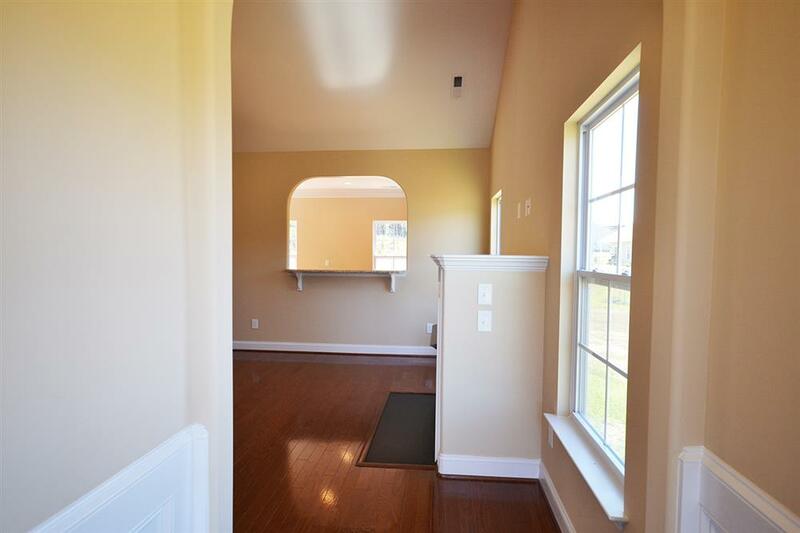 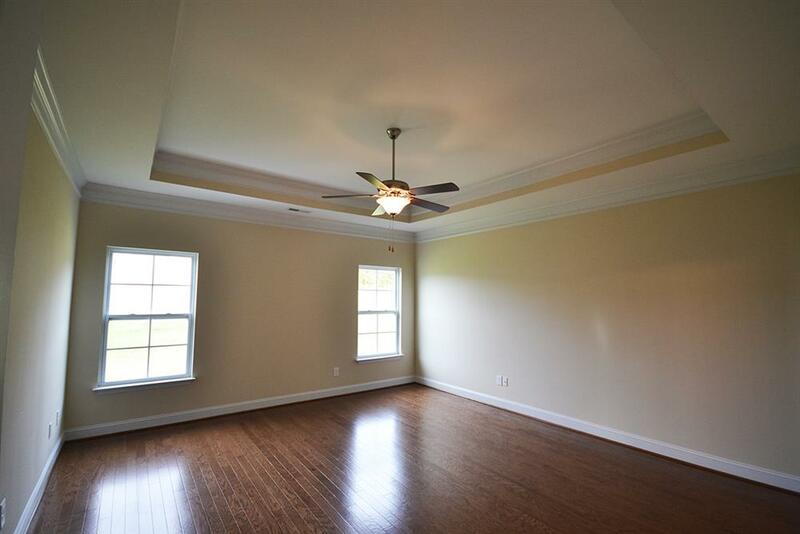 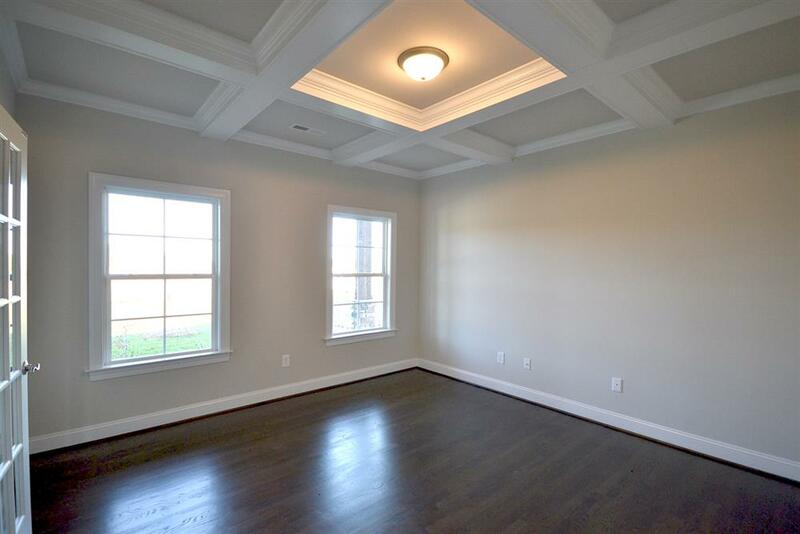 The dining room has a tray ceiling and an option to add a built in buffet. 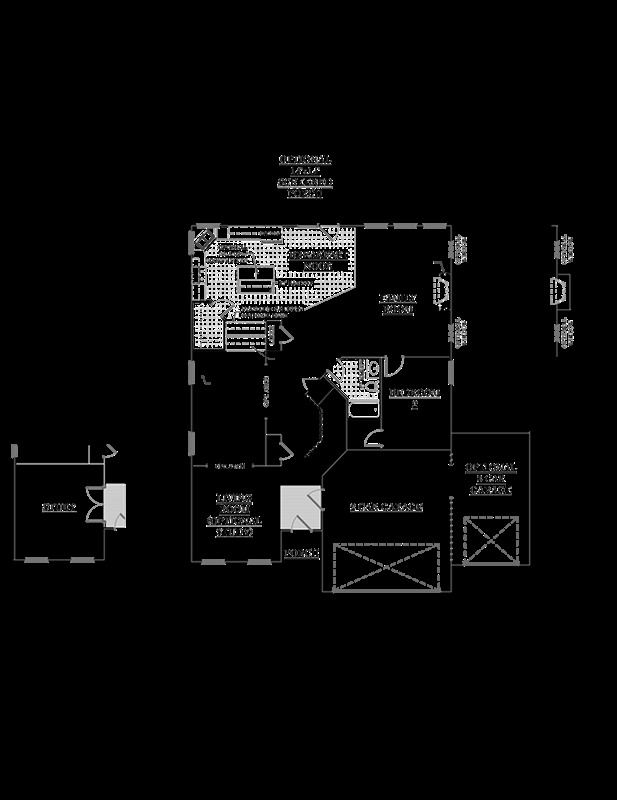 The spectacular kitchen has a very large pantry, tons of counter space and storage, even more when you elect to add the optional island. 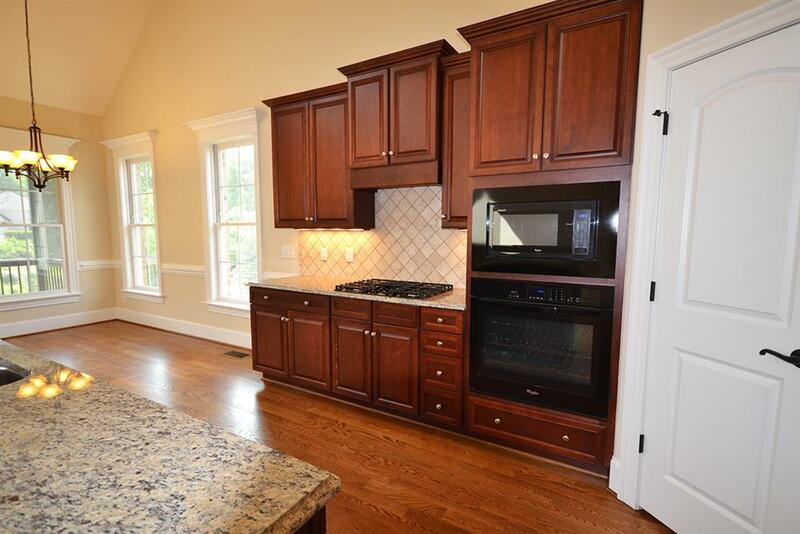 The optional chef’s package includes a gas cook top and a hood, a built in oven with a microwave above. 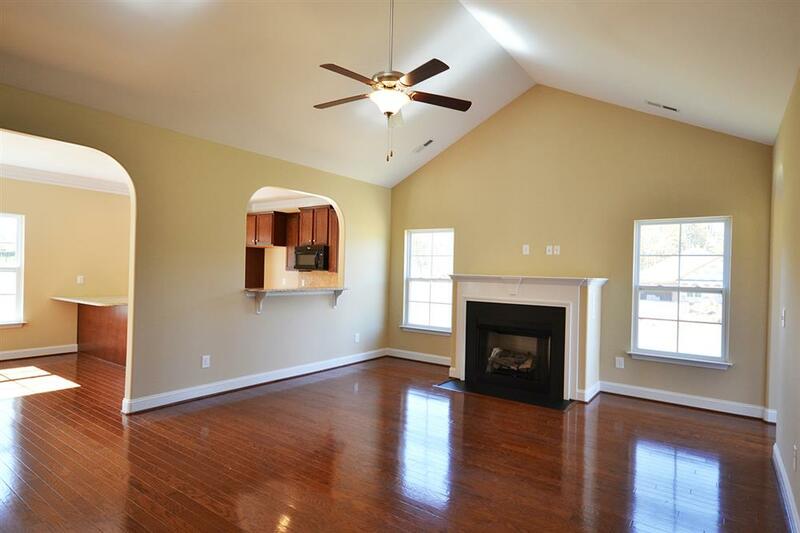 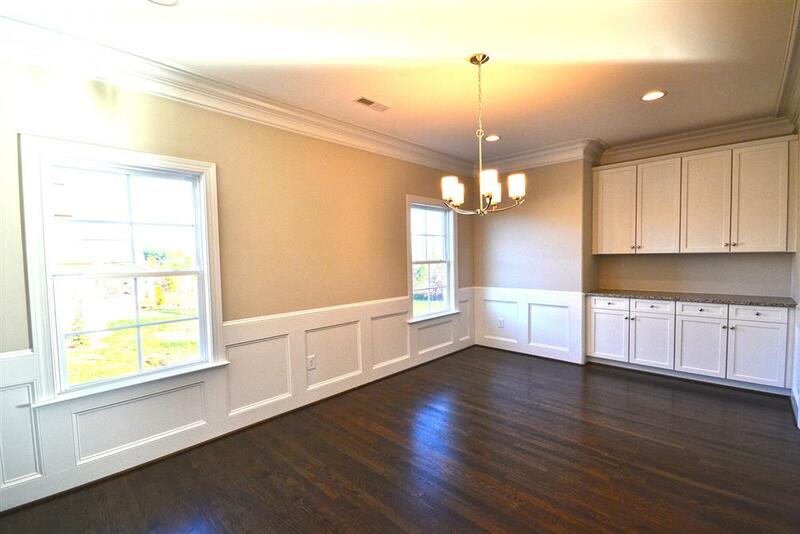 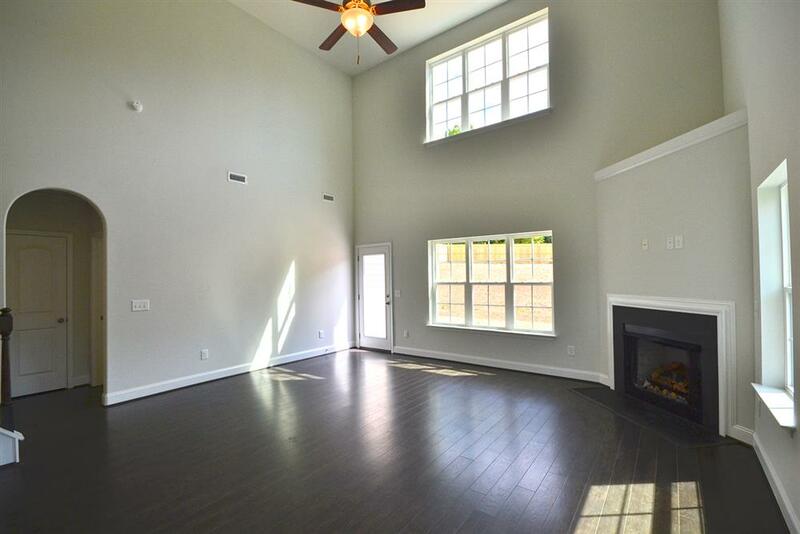 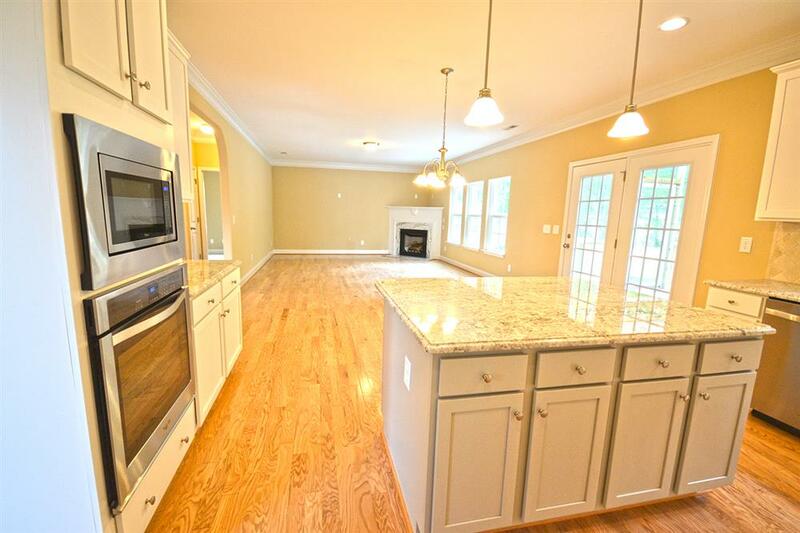 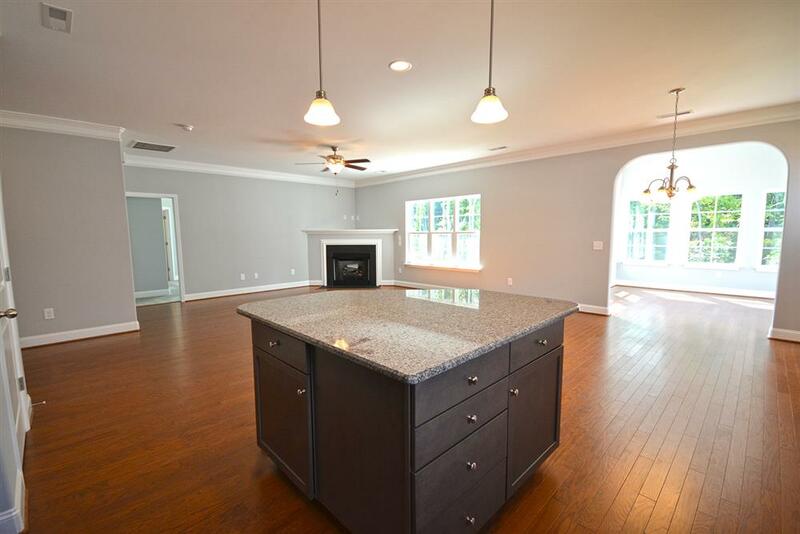 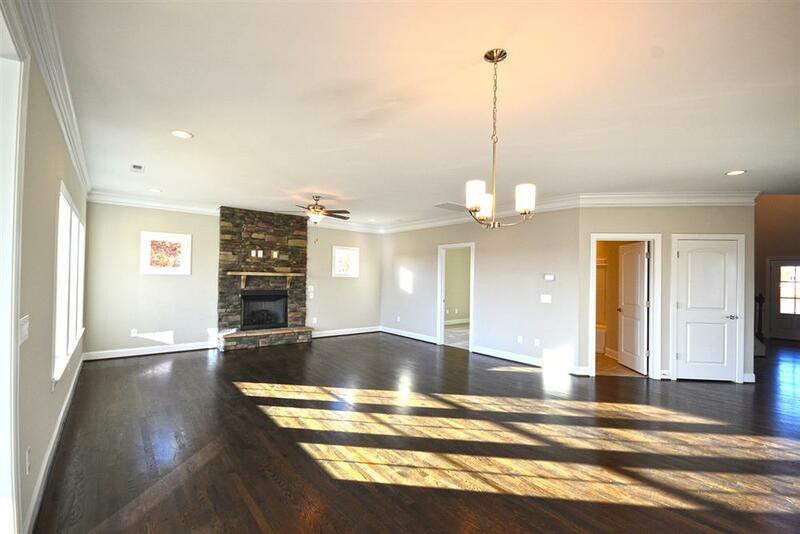 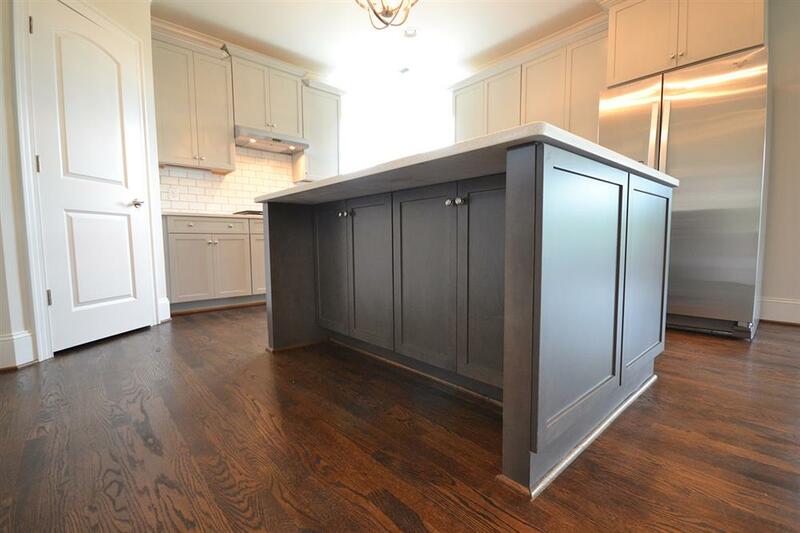 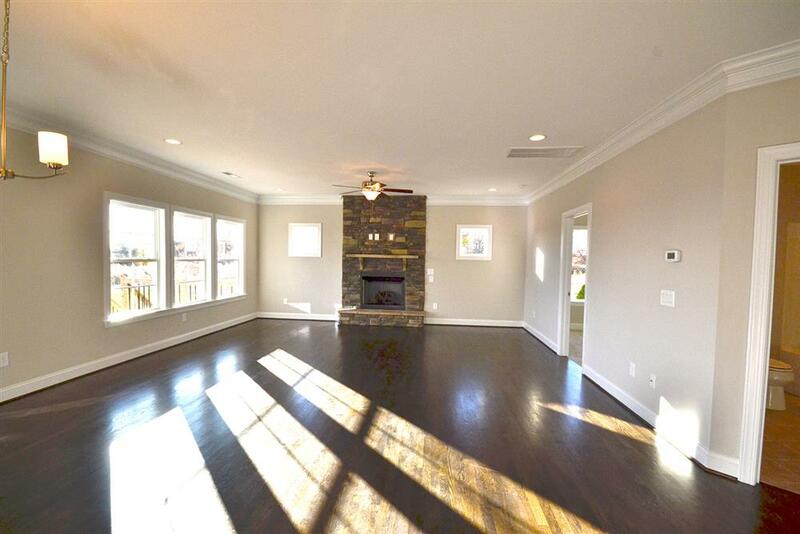 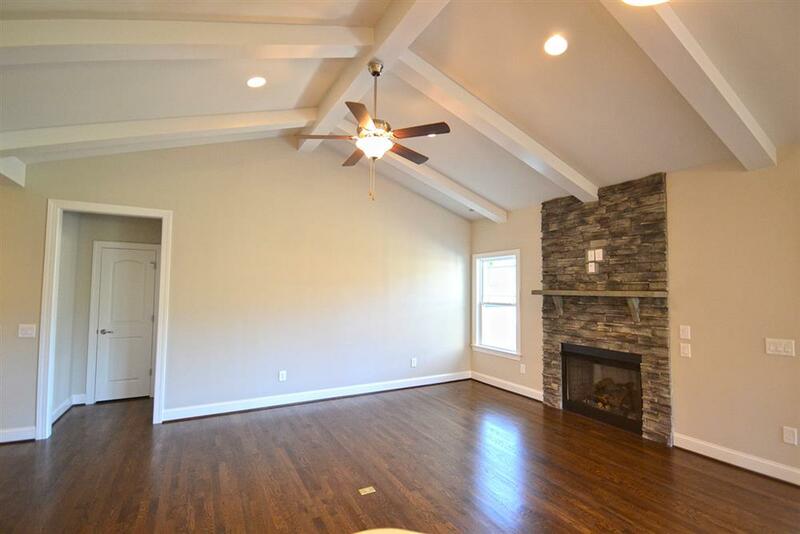 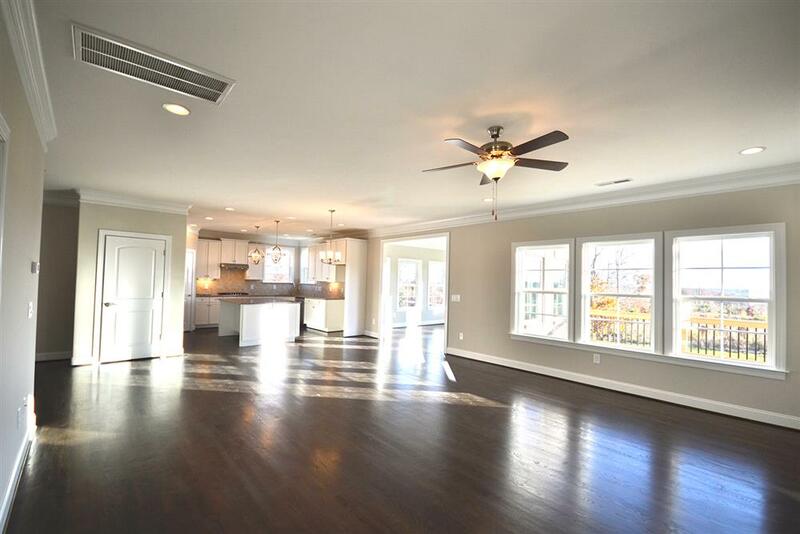 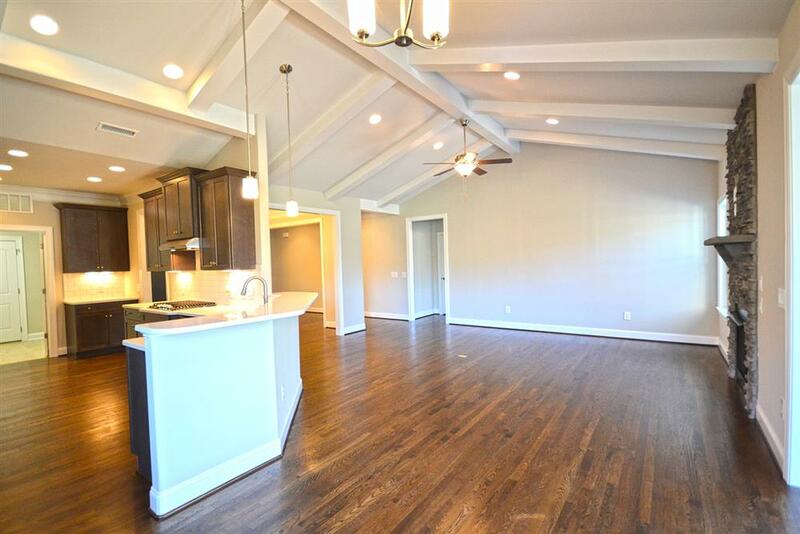 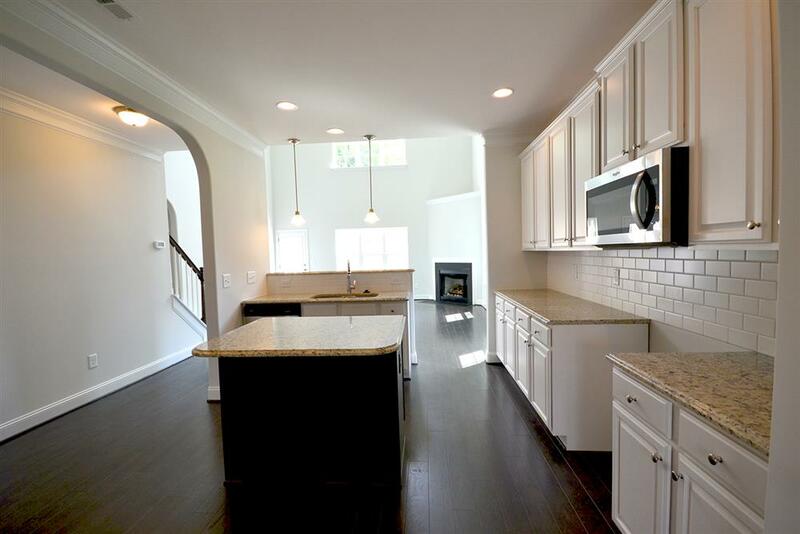 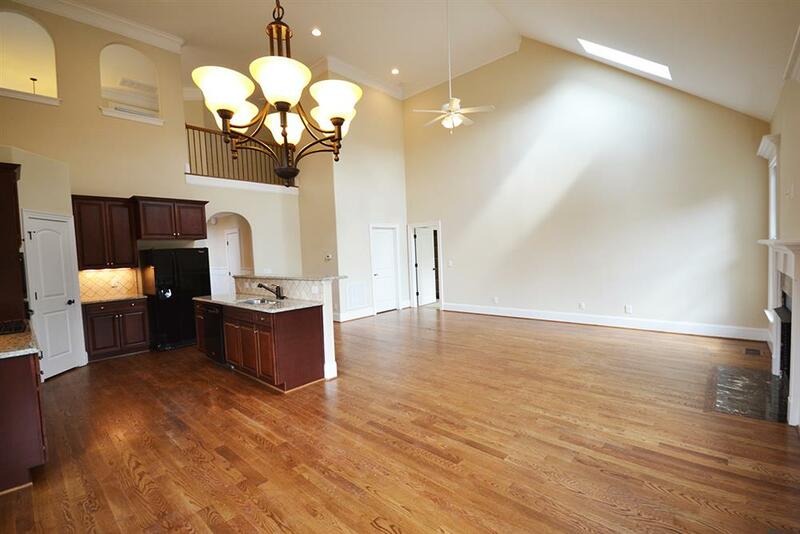 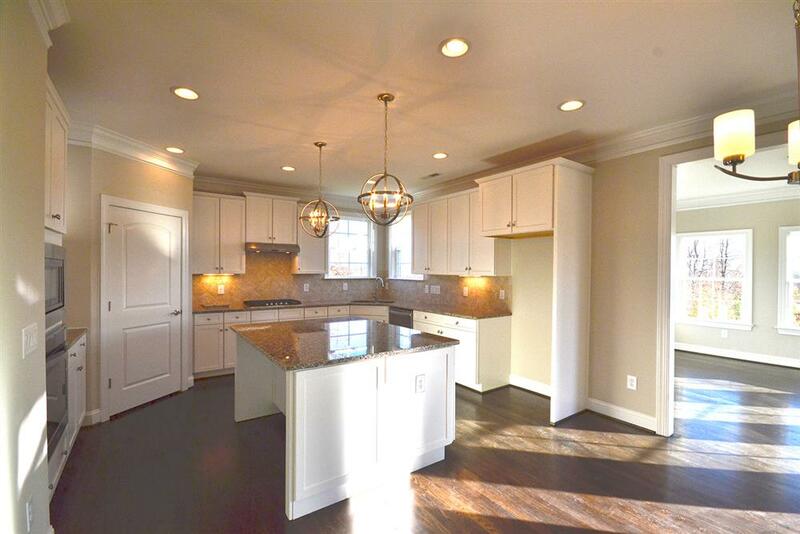 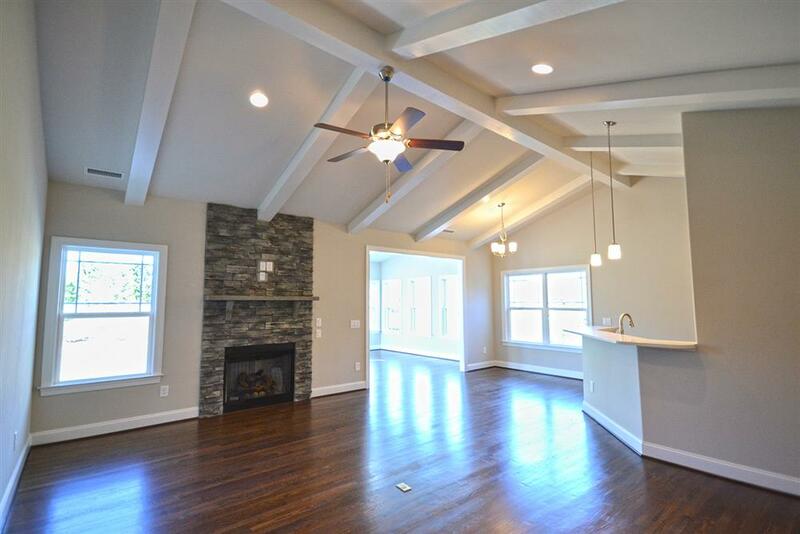 The kitchen opens to the great room, which has an option to add a gas log fireplace. 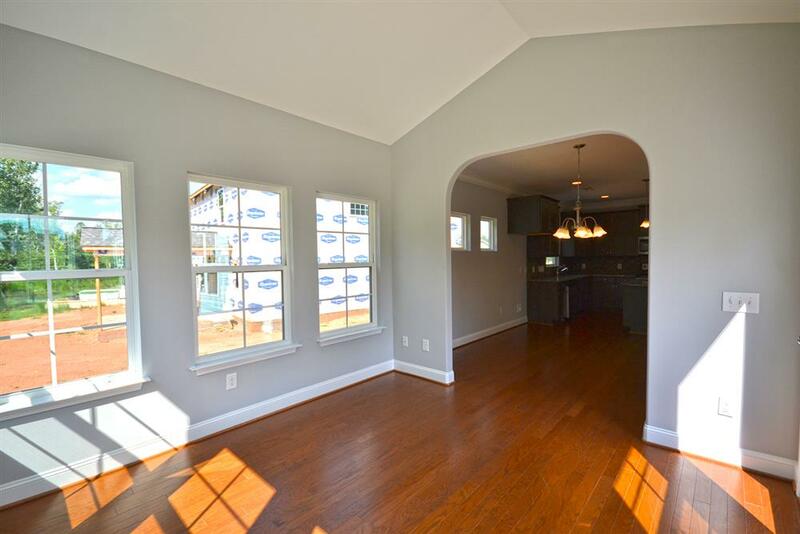 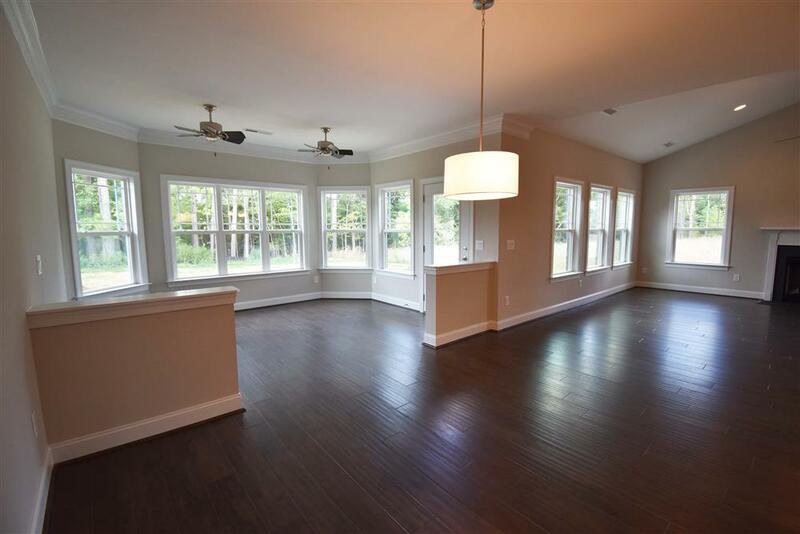 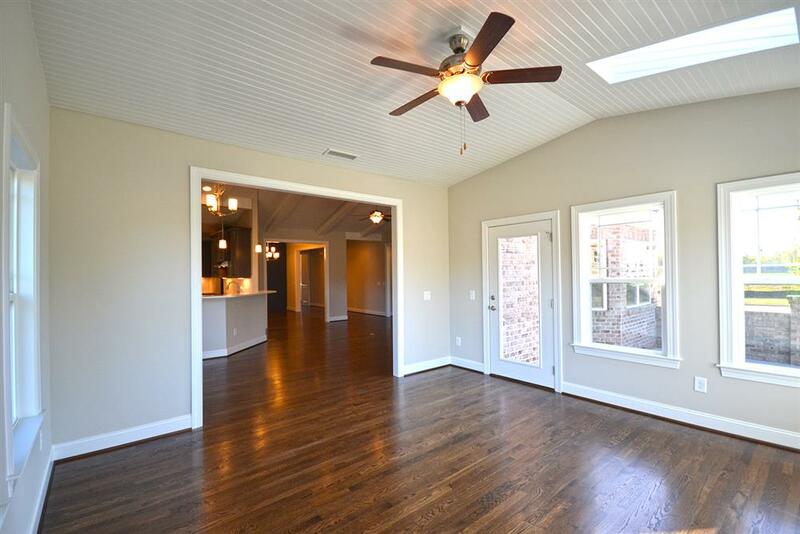 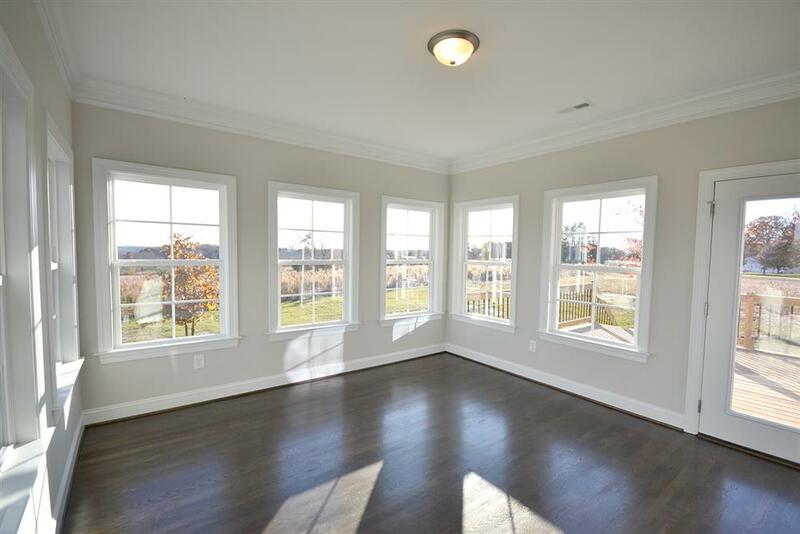 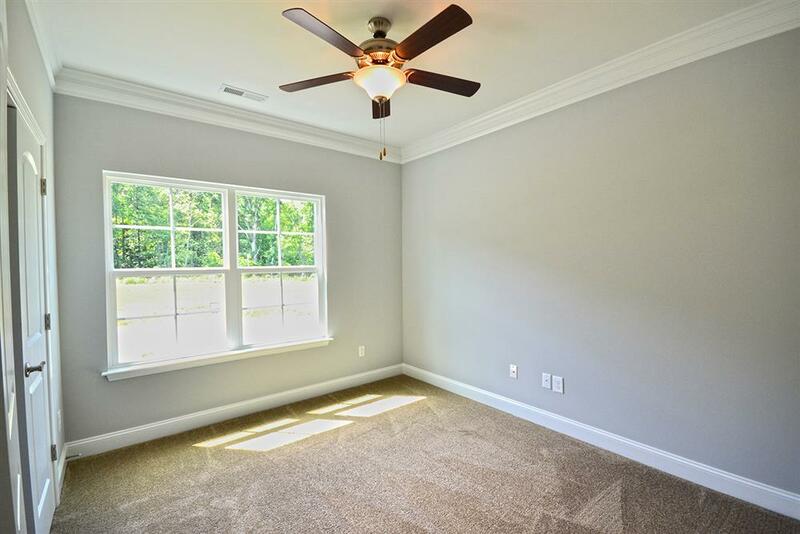 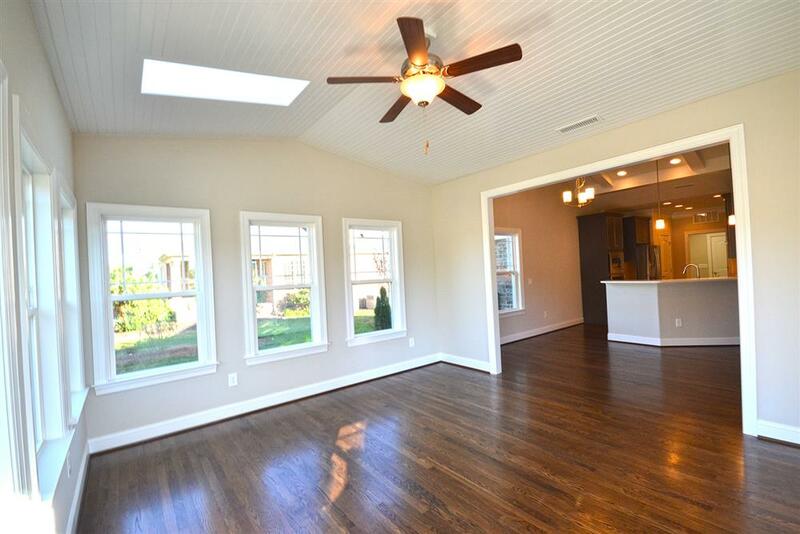 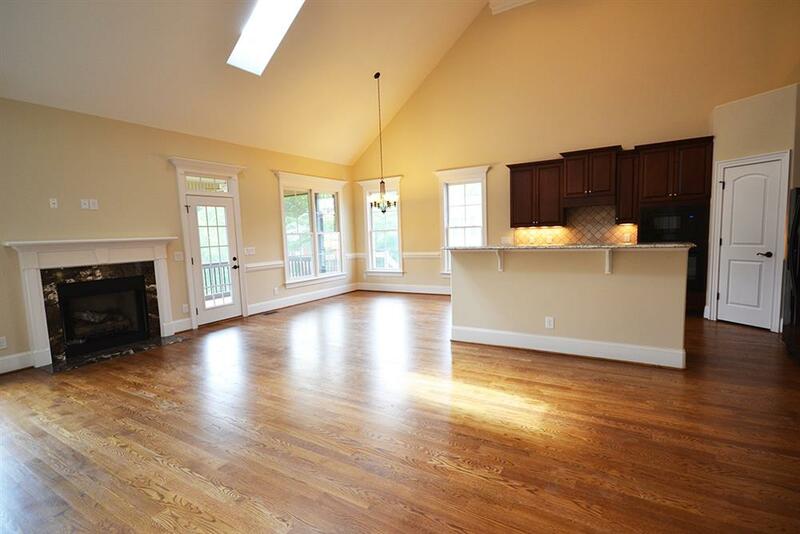 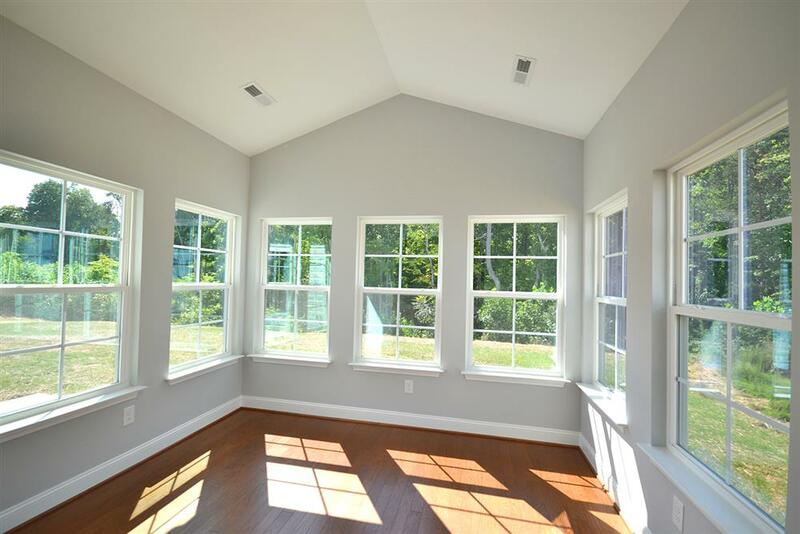 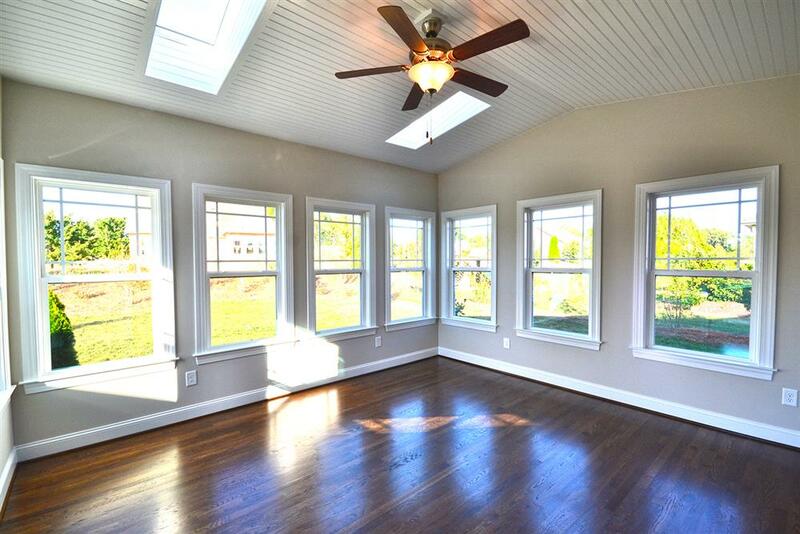 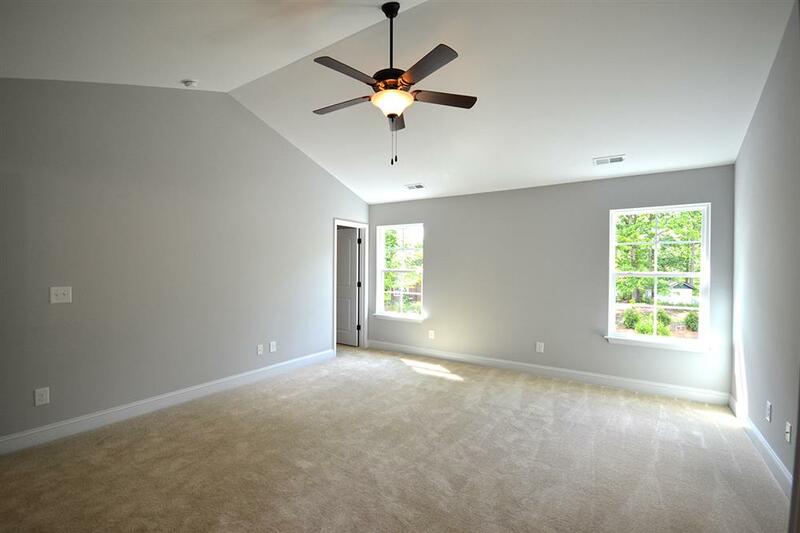 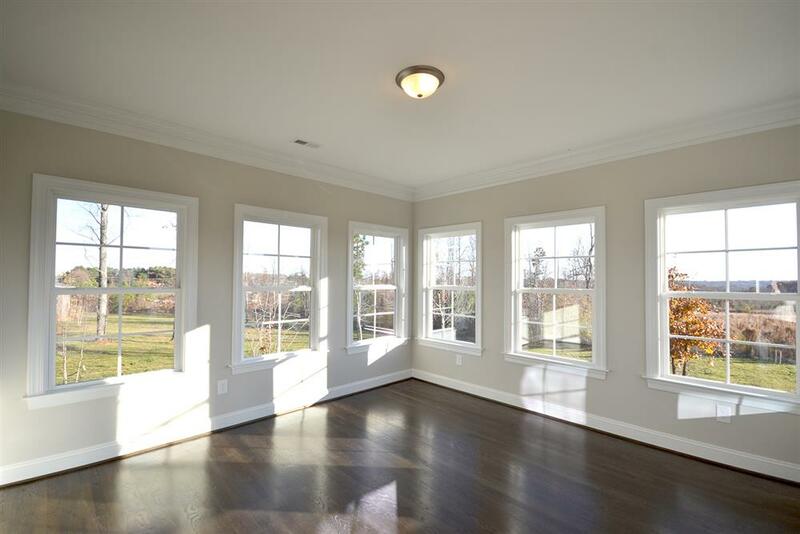 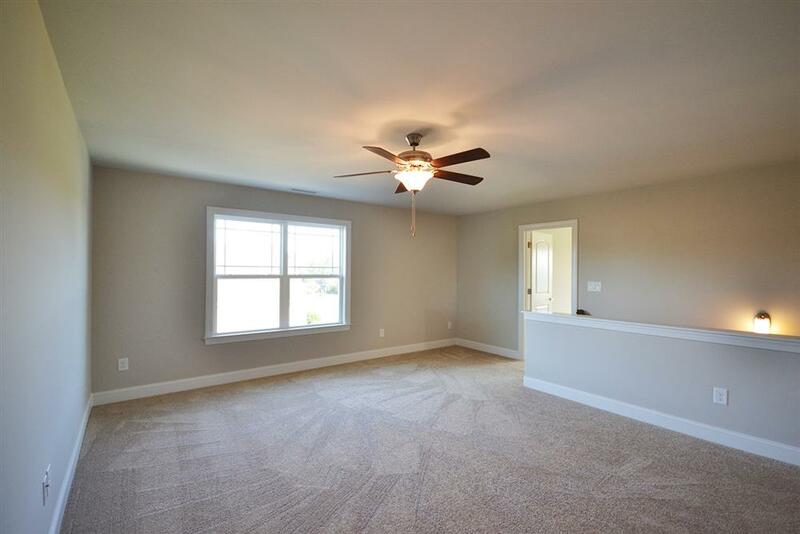 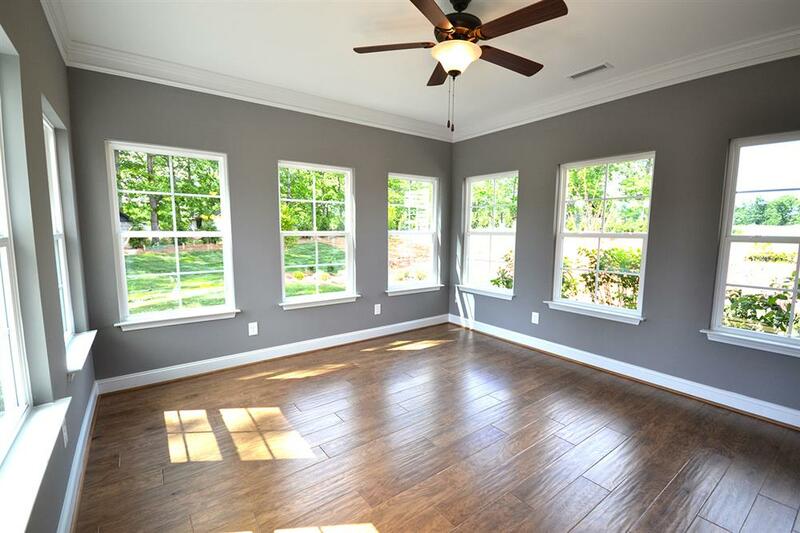 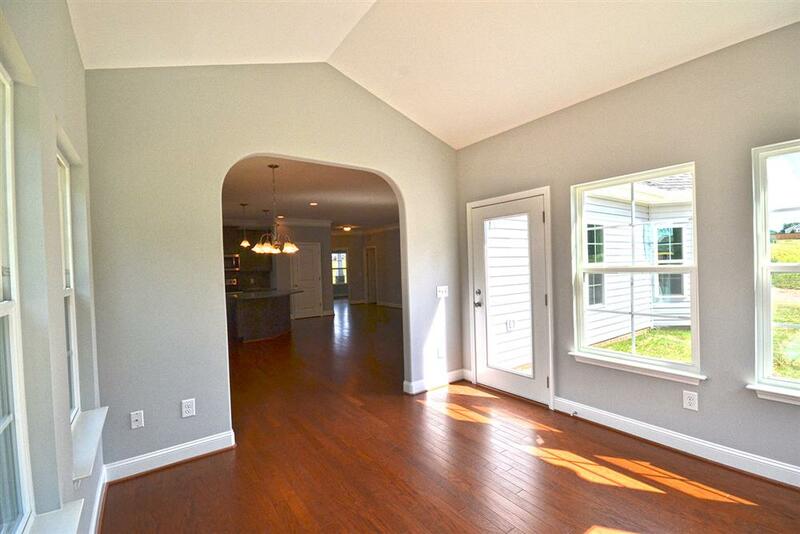 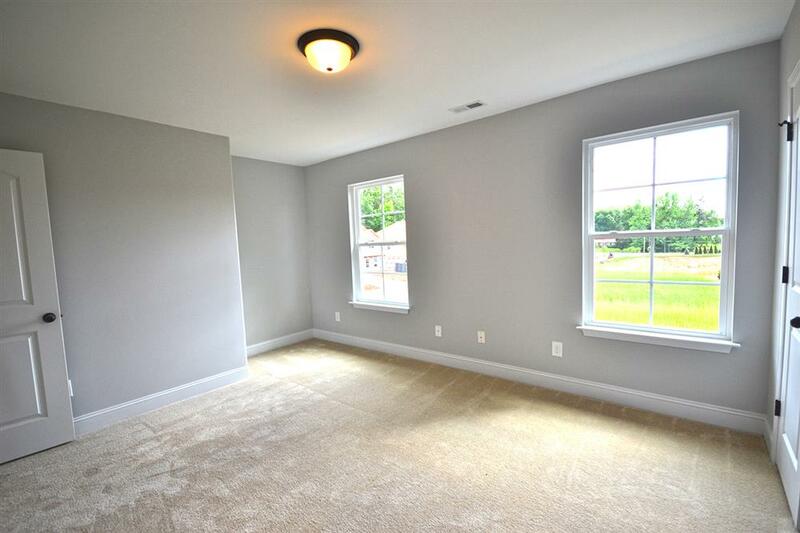 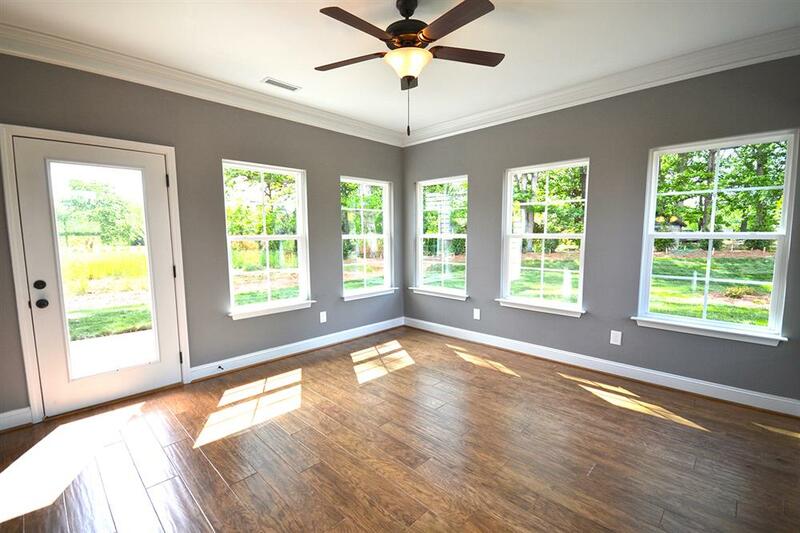 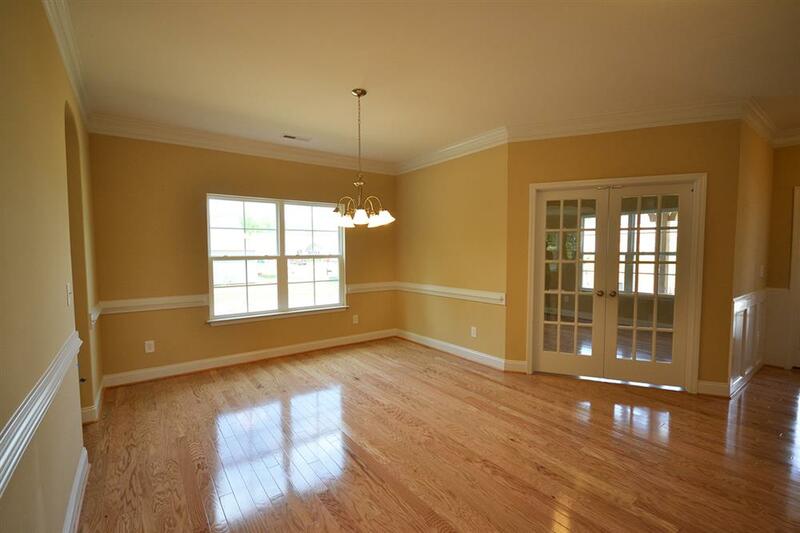 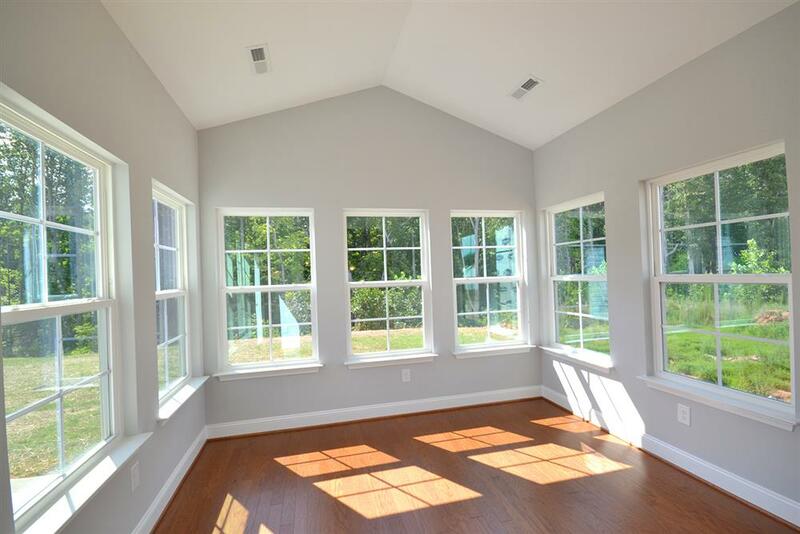 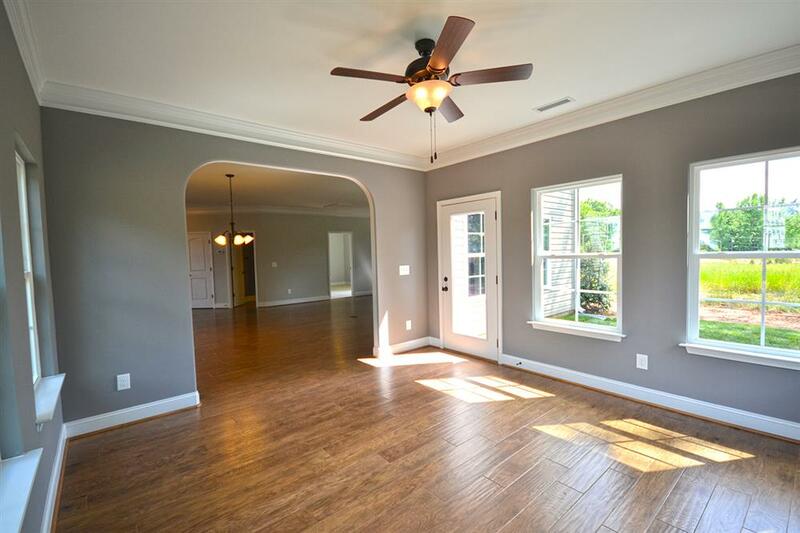 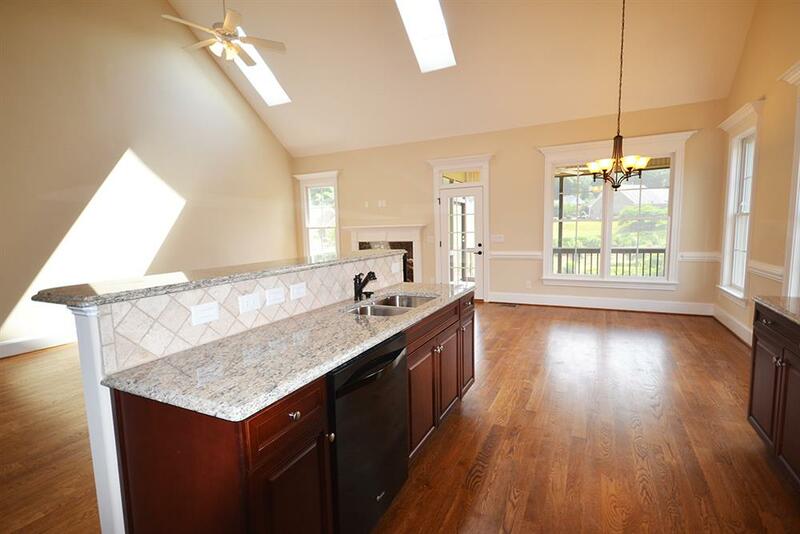 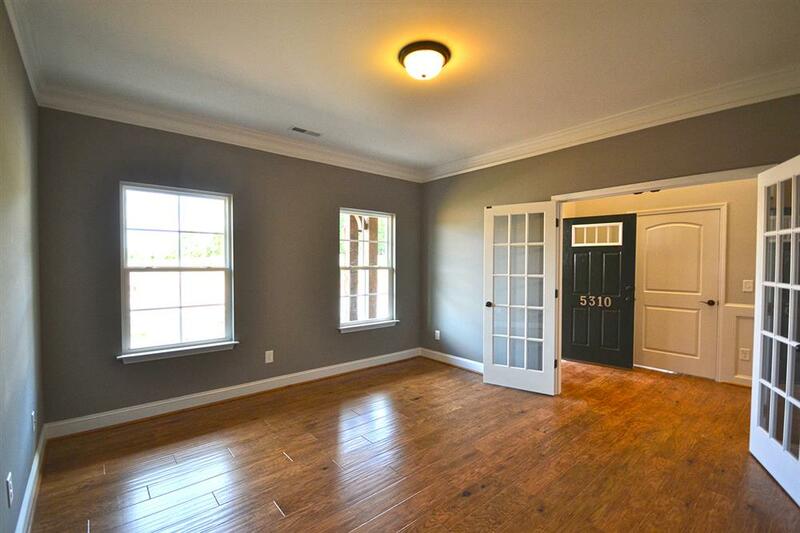 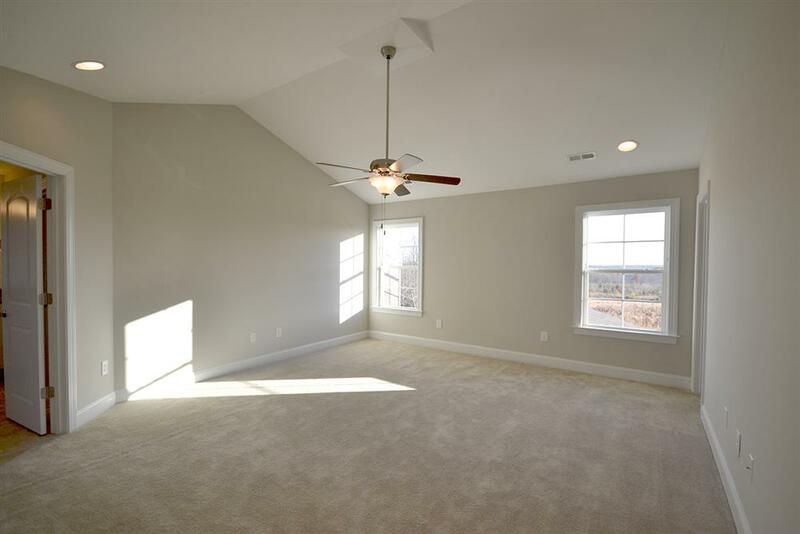 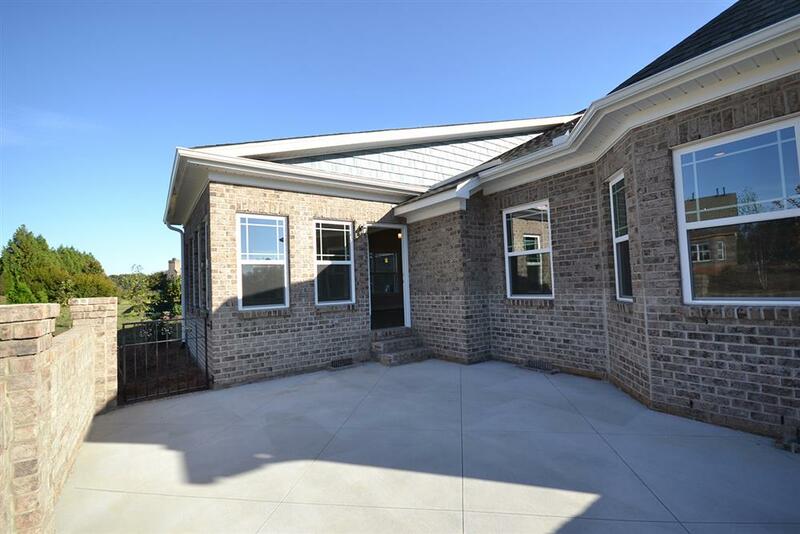 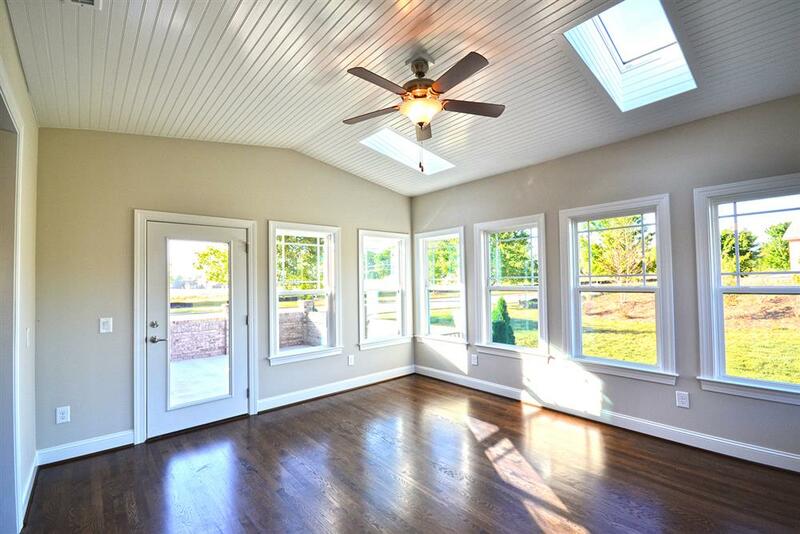 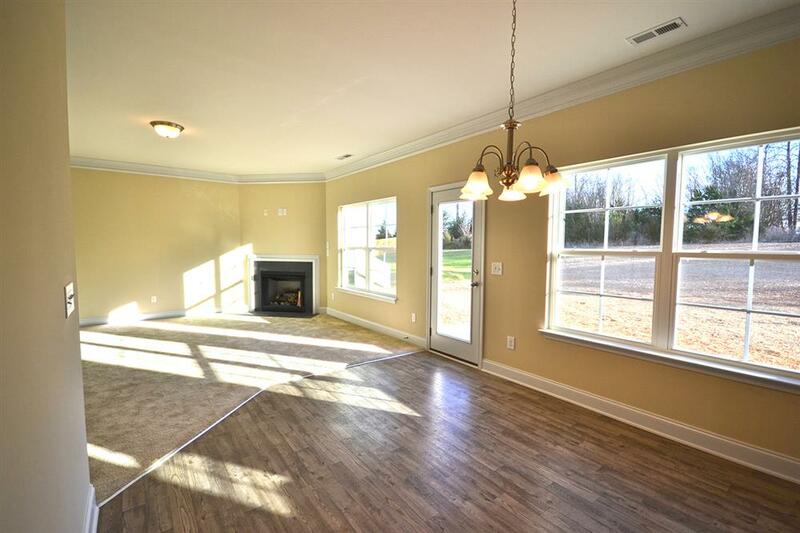 There is a screened in porch or an option to add a sunroom. 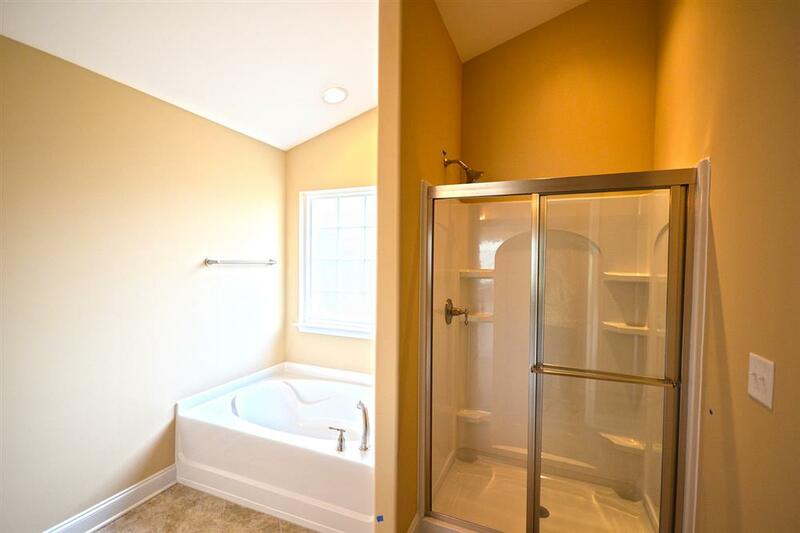 Finishing out the downstairs is a bedroom and a full bathroom. 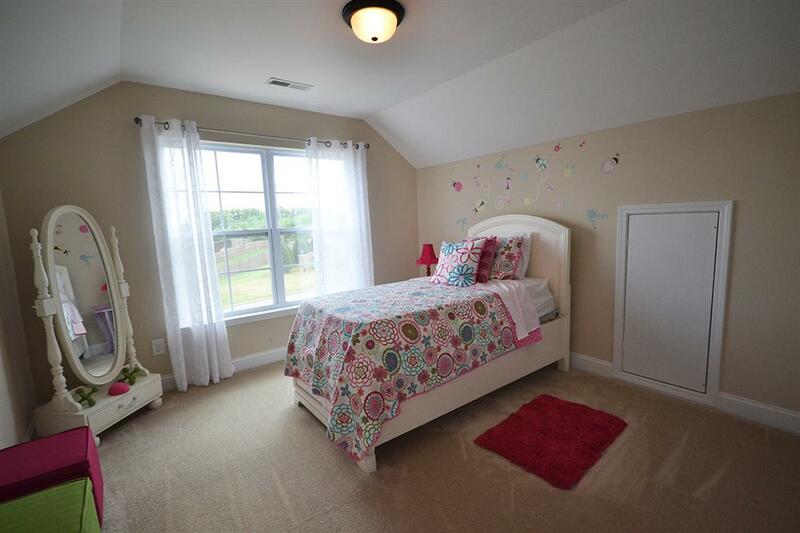 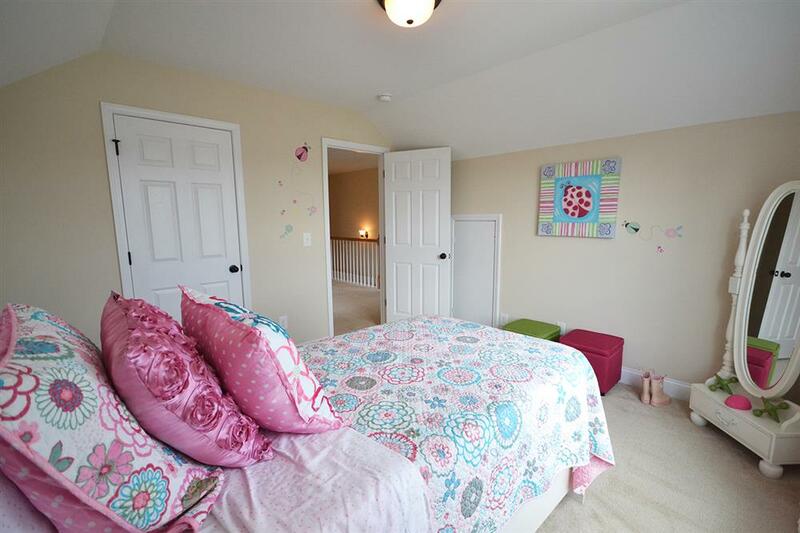 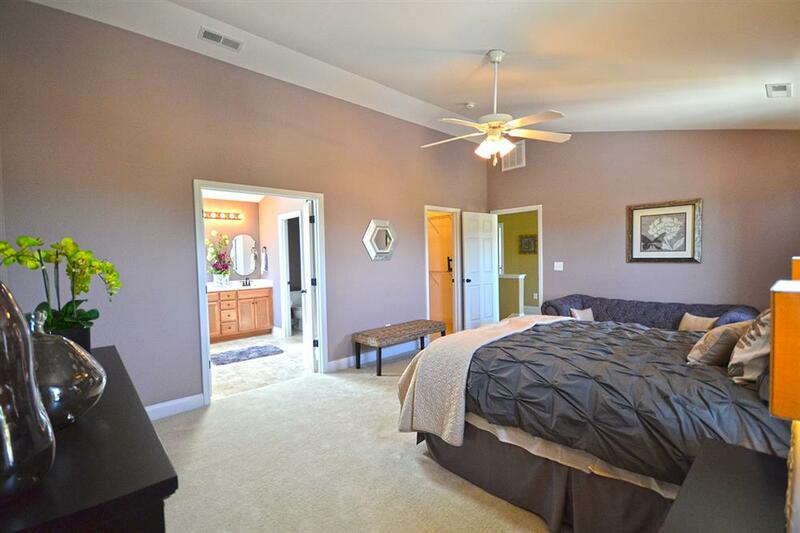 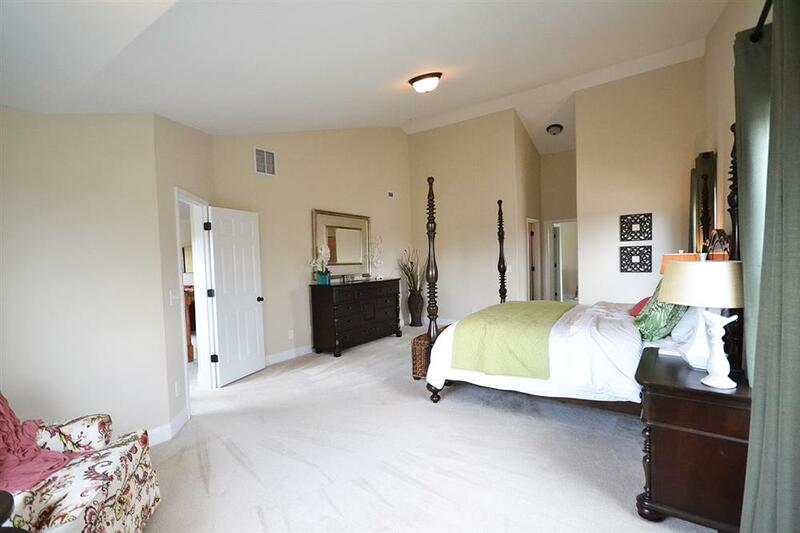 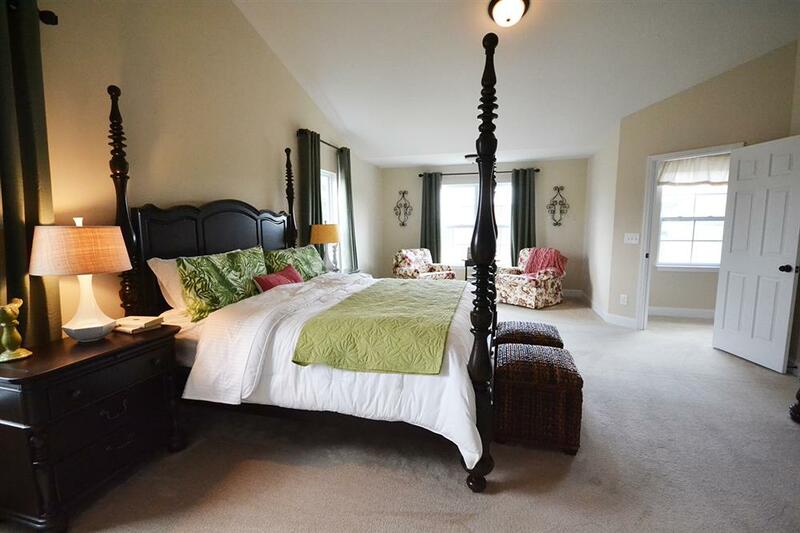 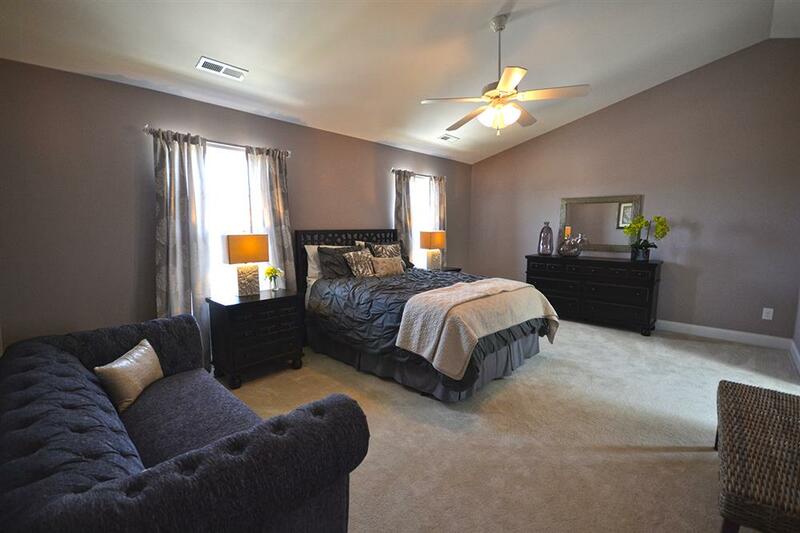 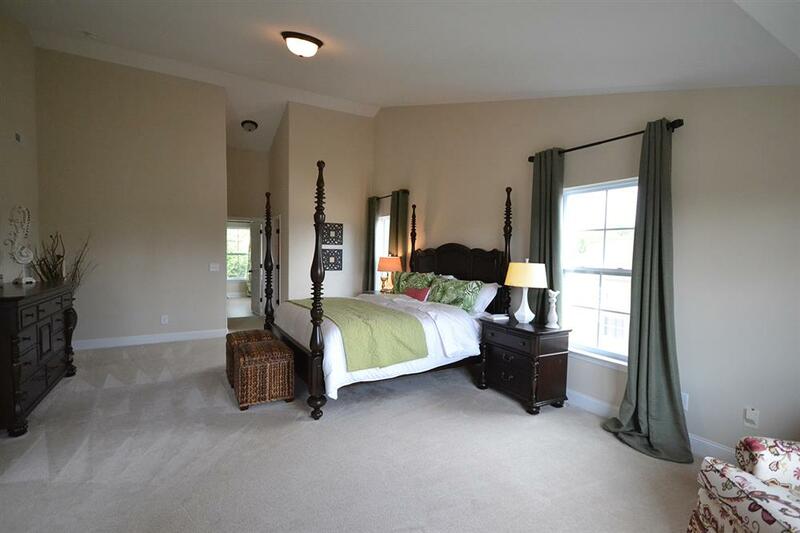 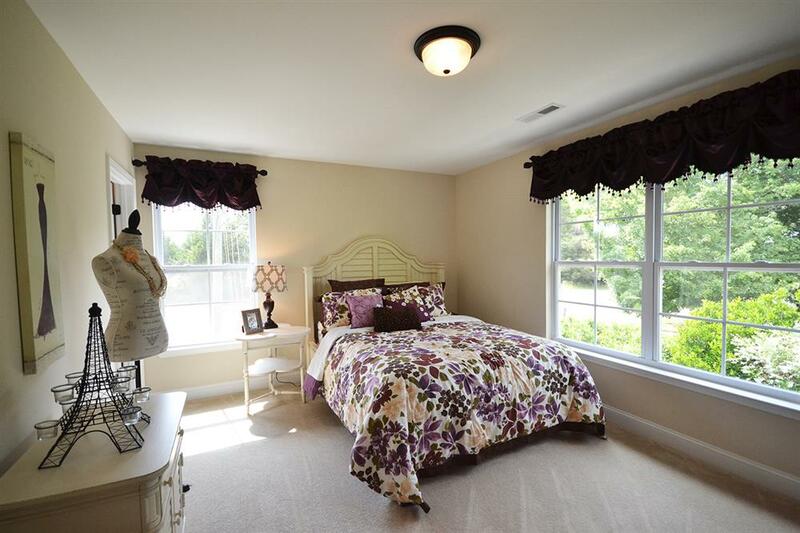 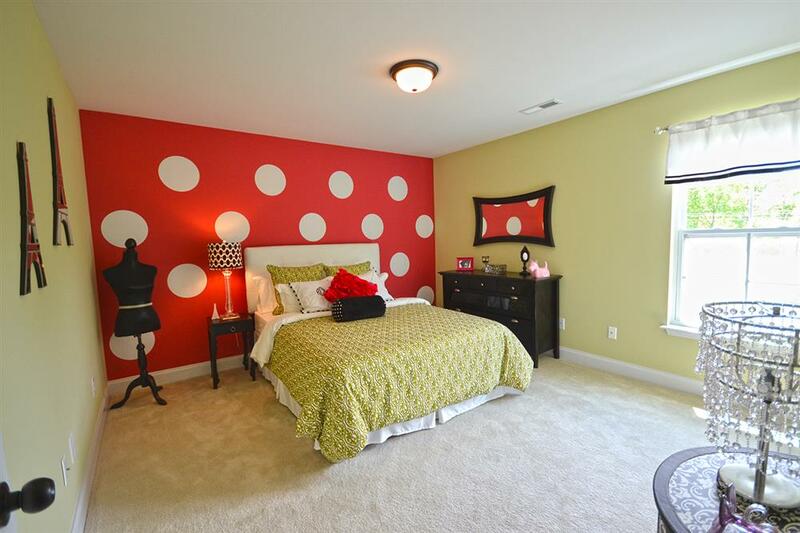 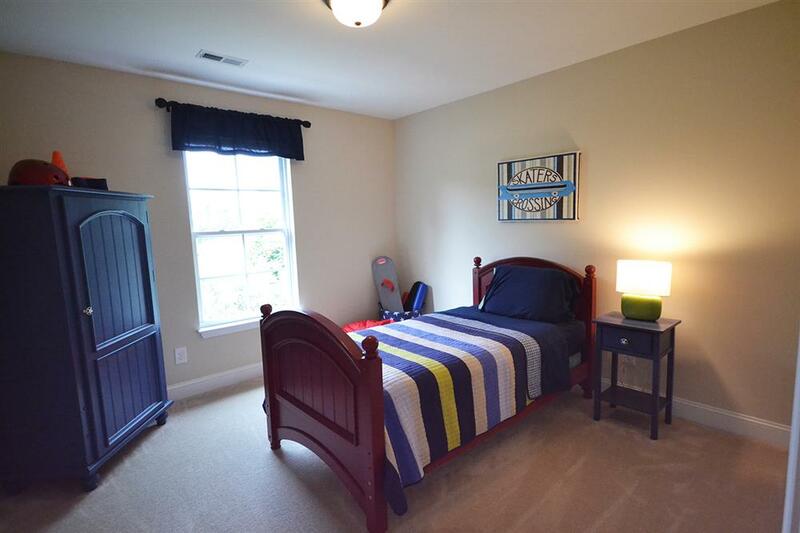 Upstairs there is grand master suite, large enough for a king sized bed and has an option to vault the ceiling. 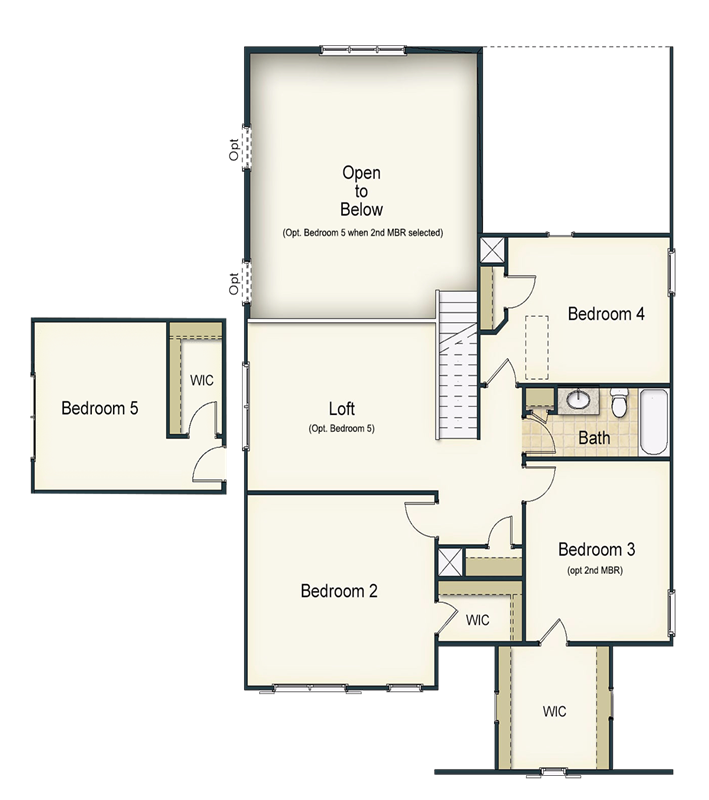 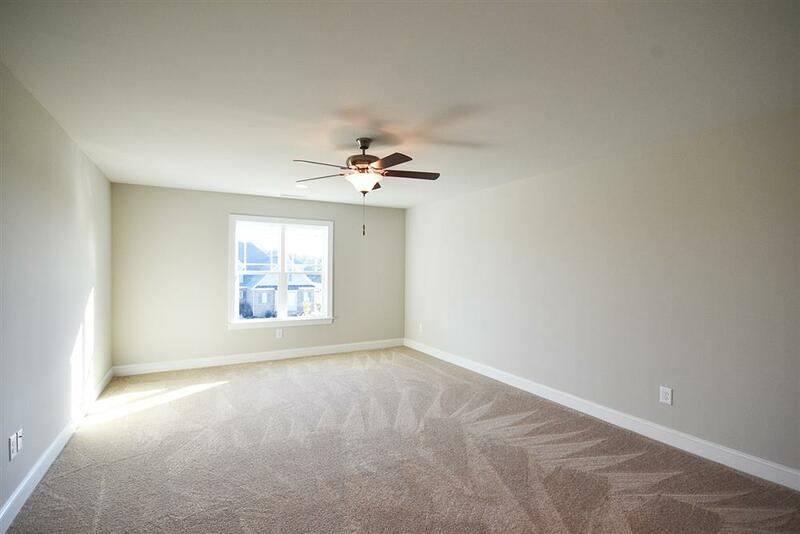 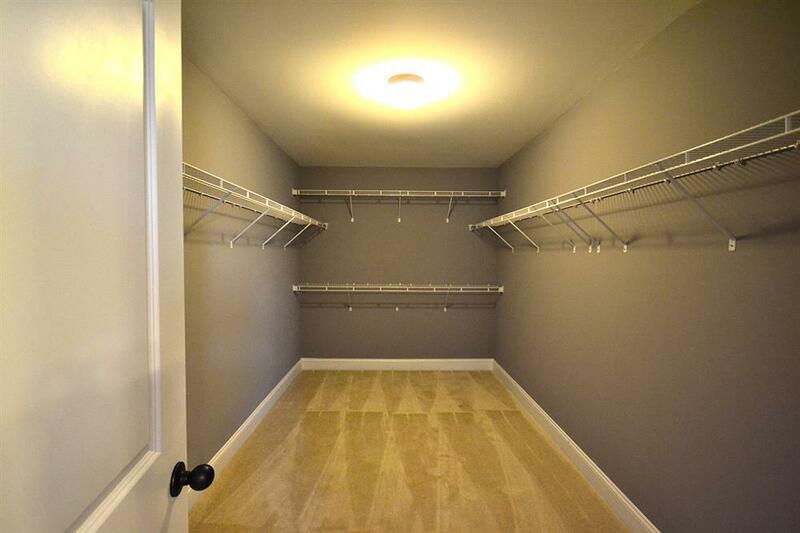 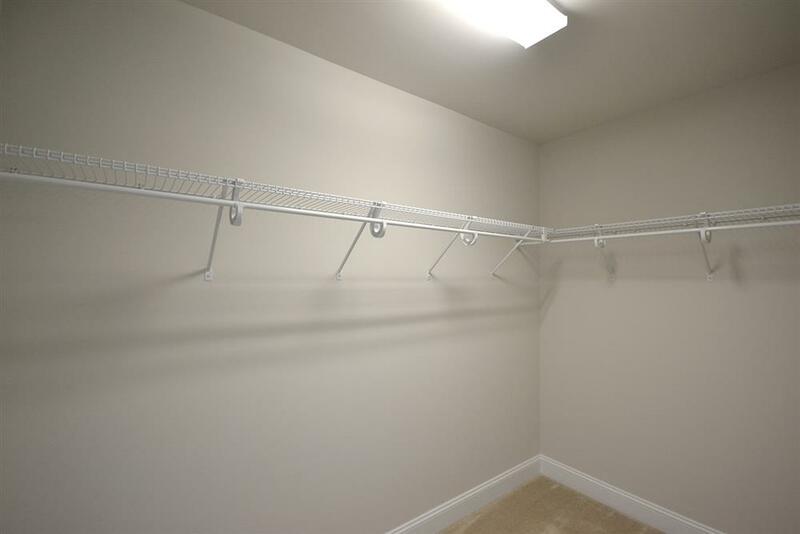 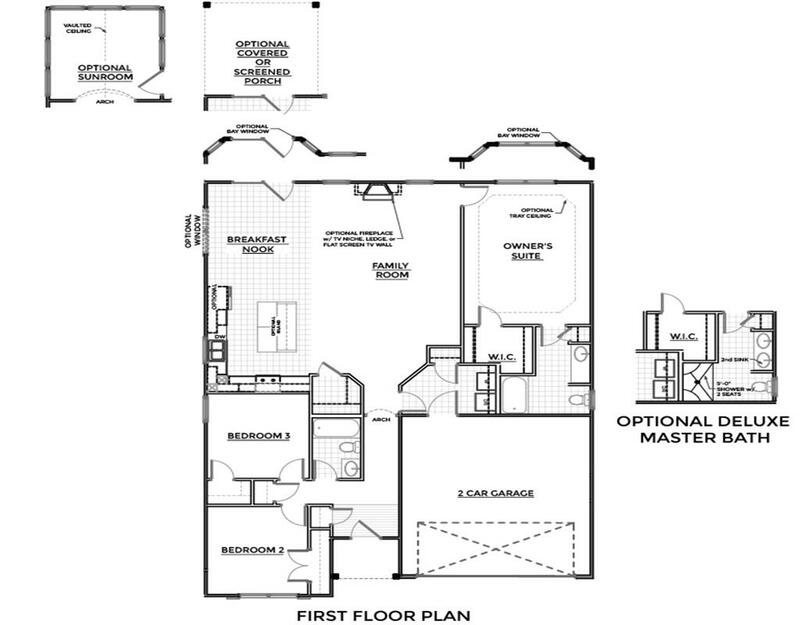 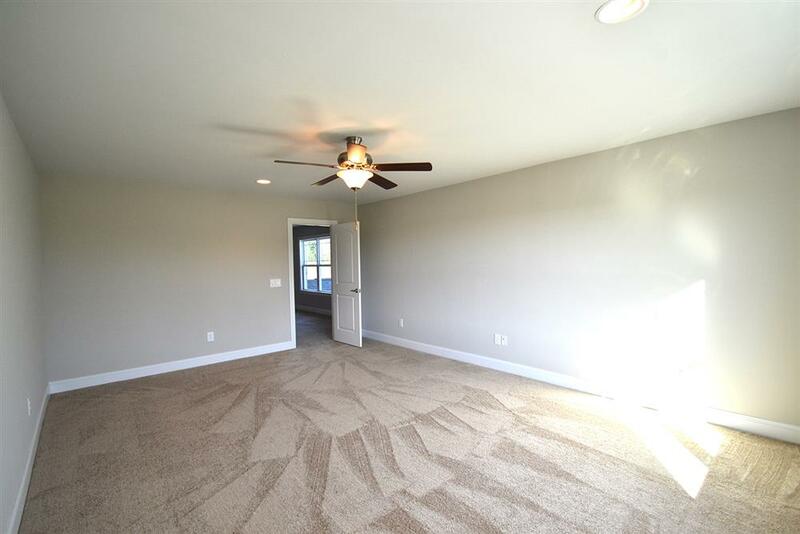 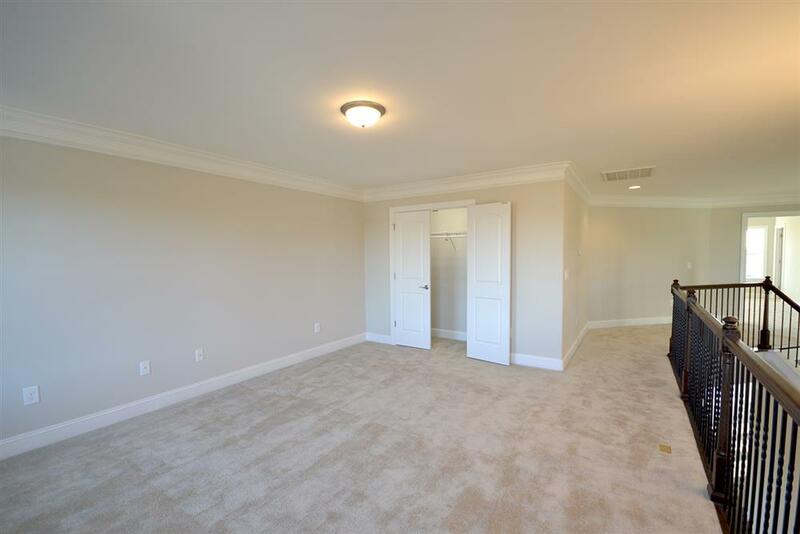 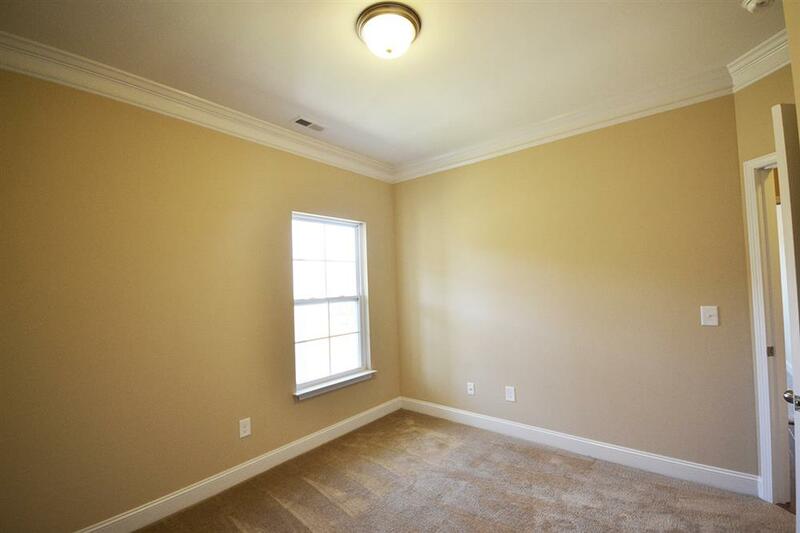 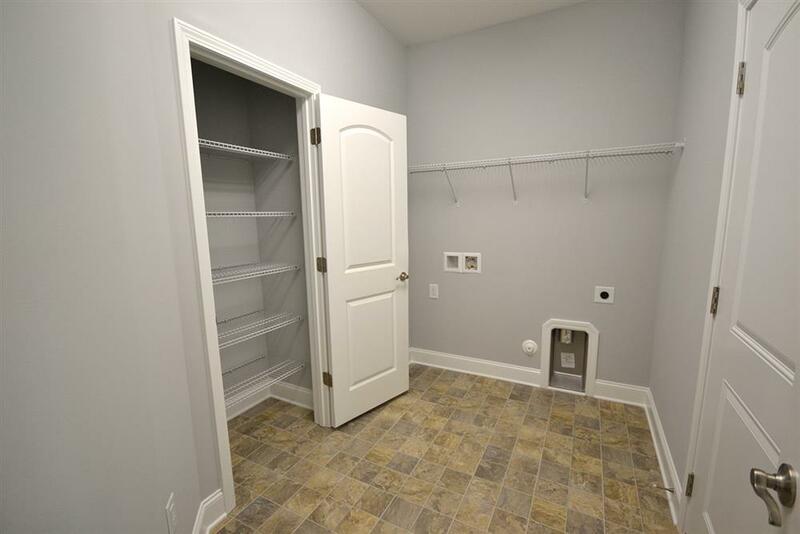 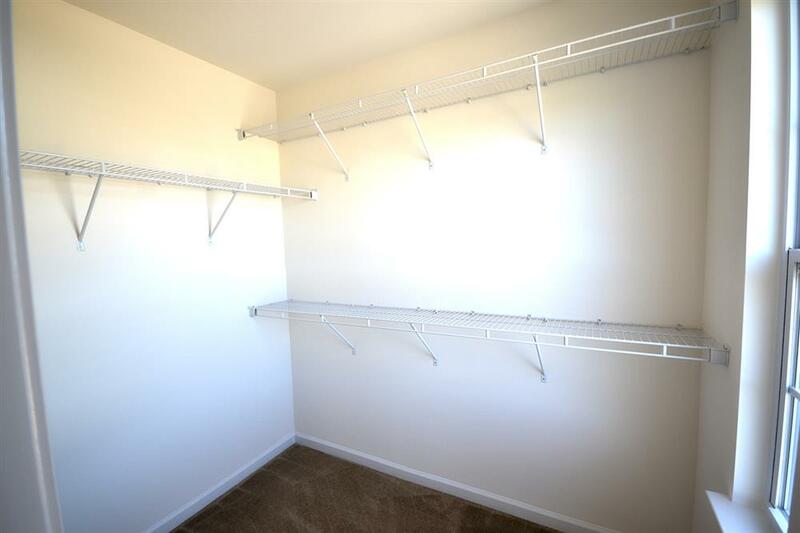 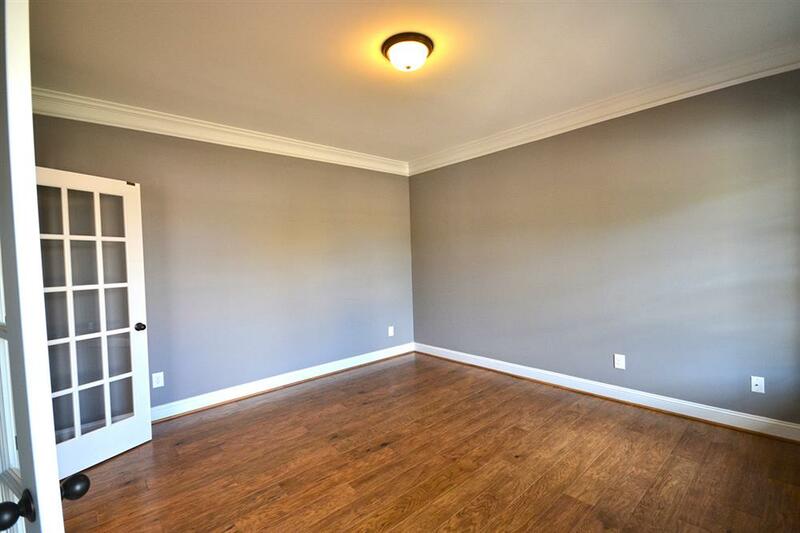 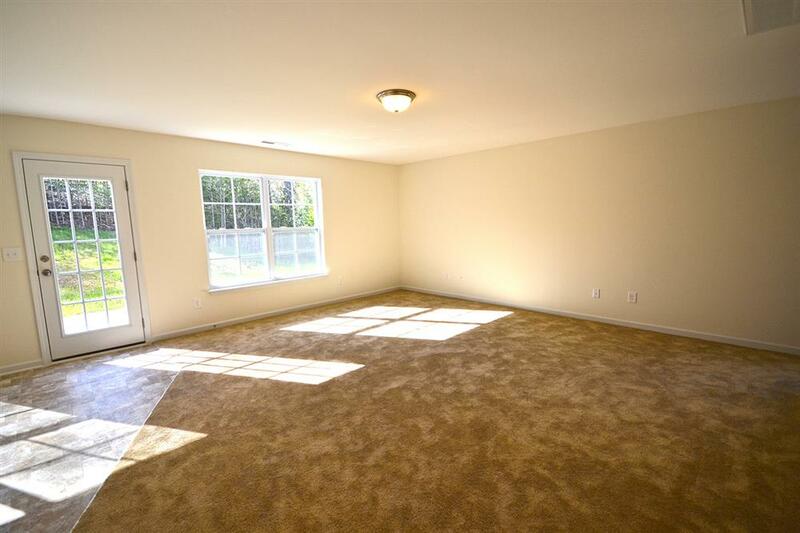 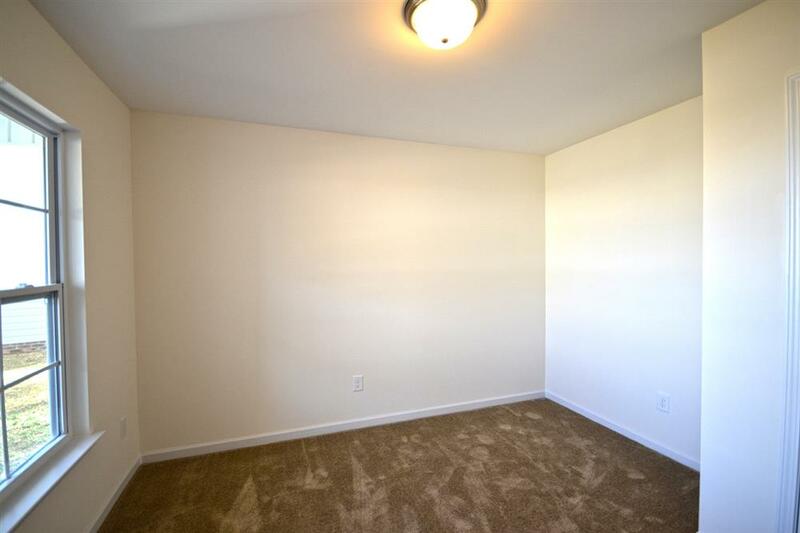 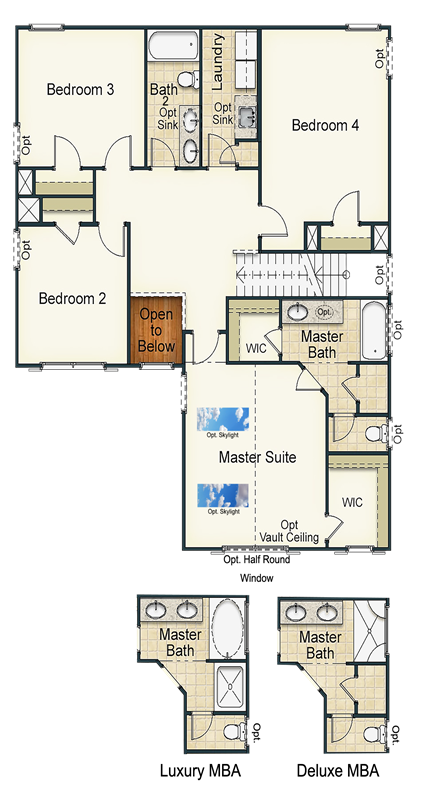 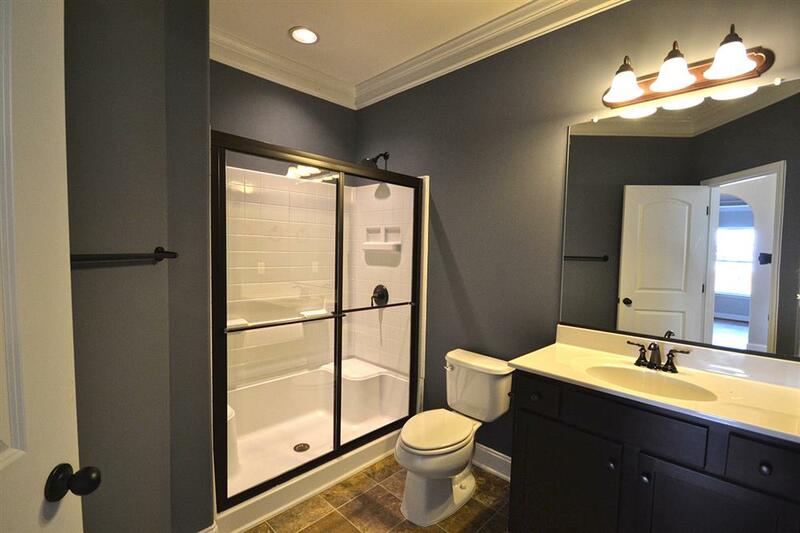 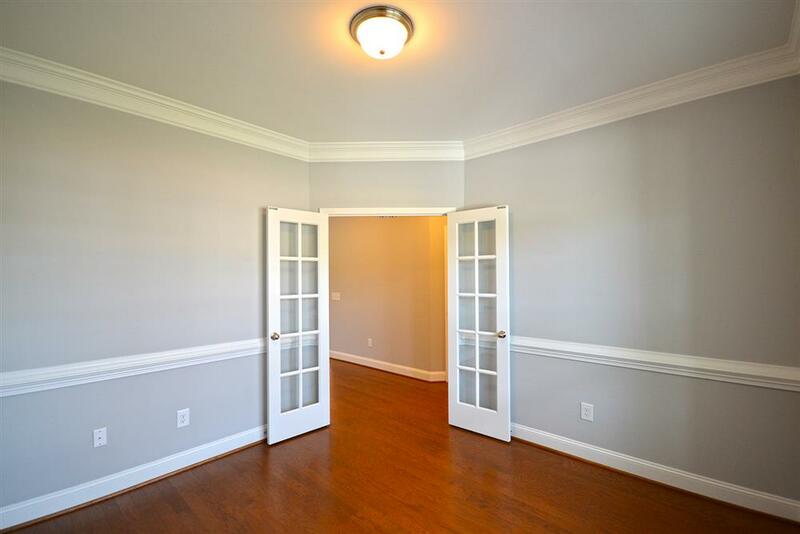 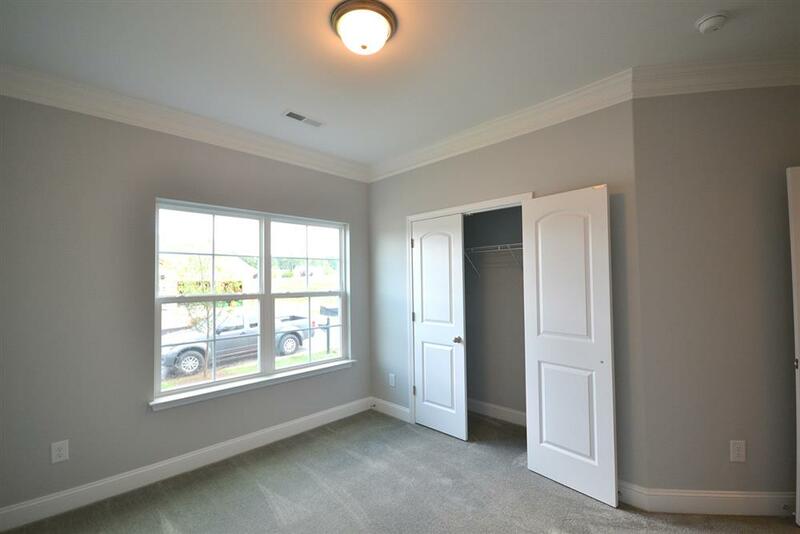 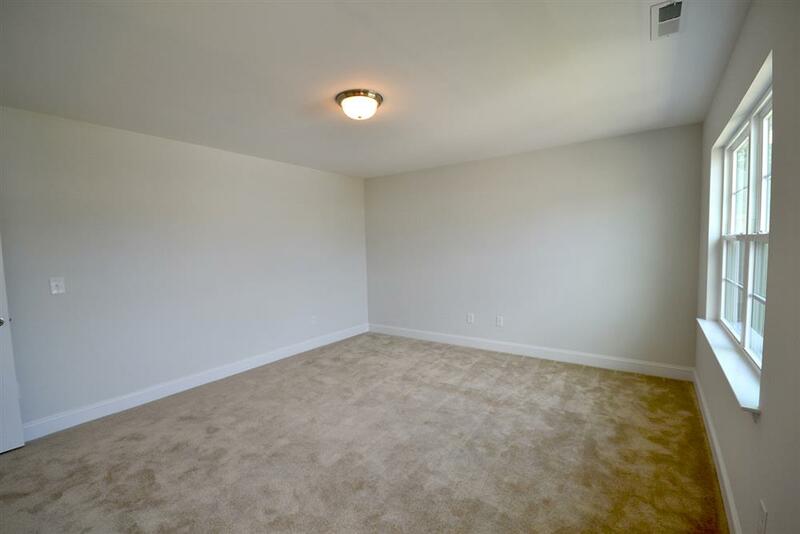 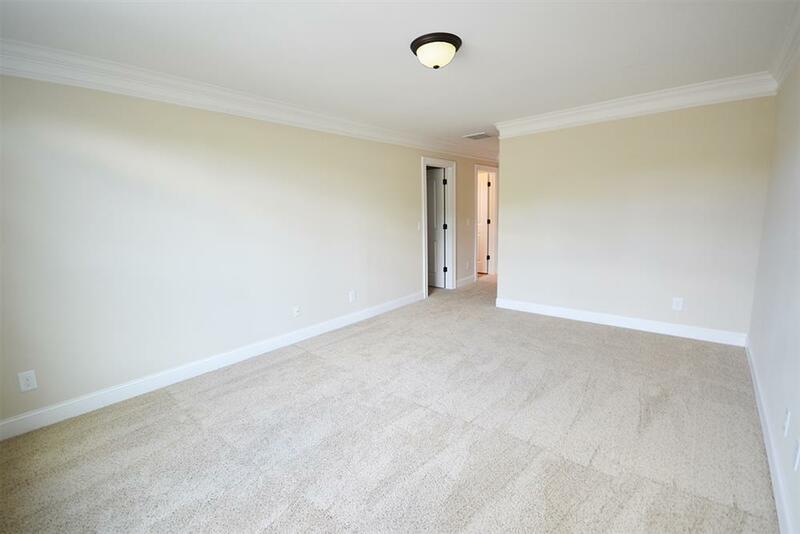 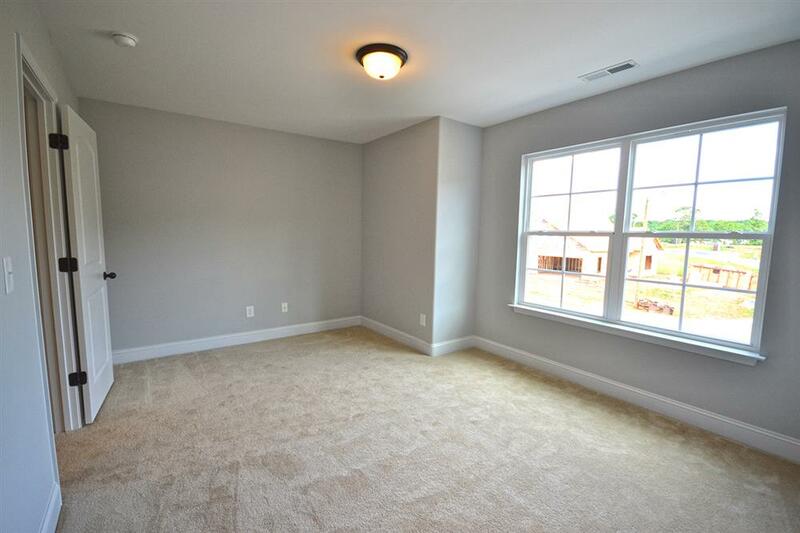 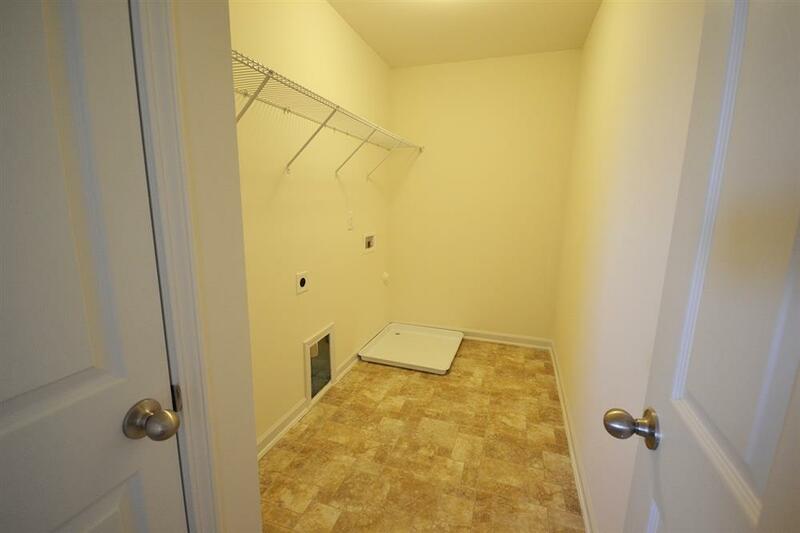 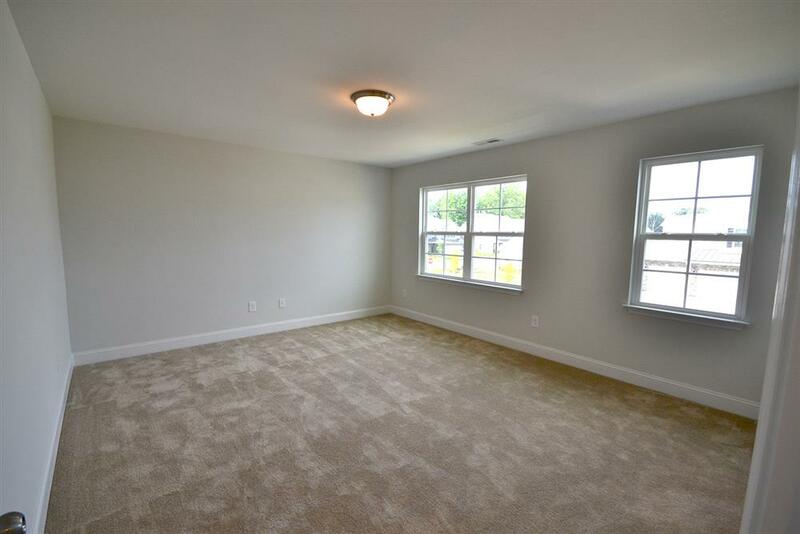 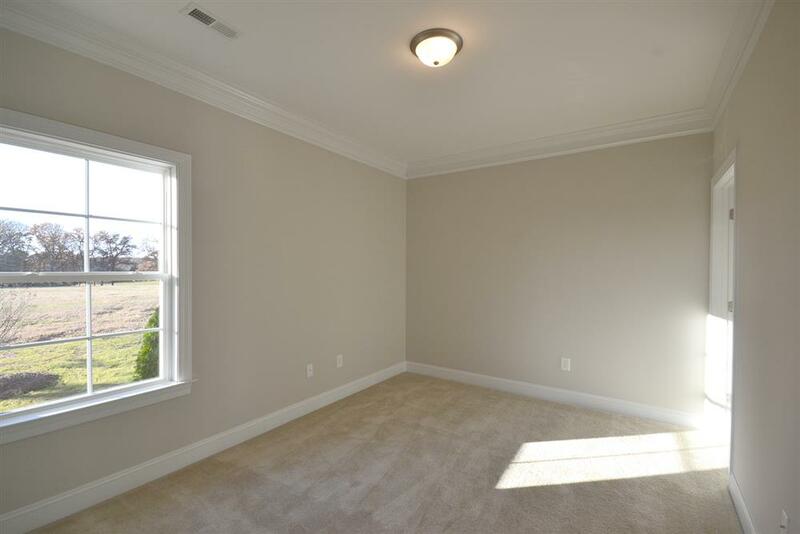 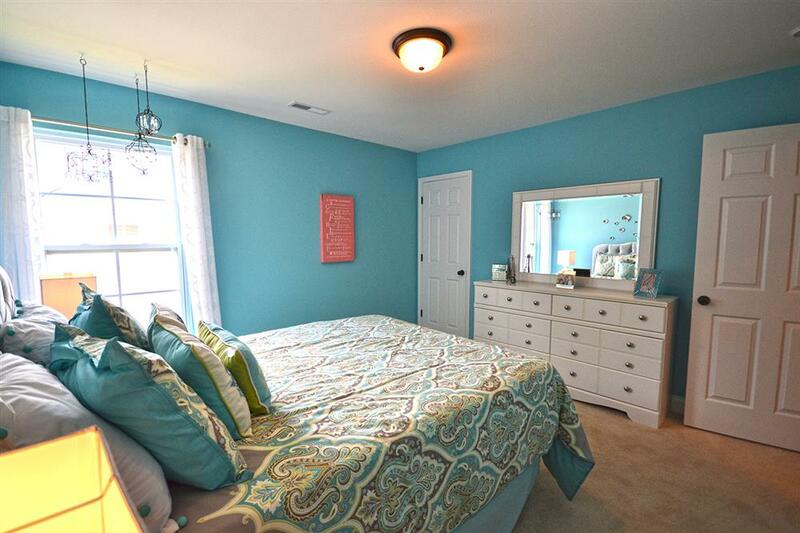 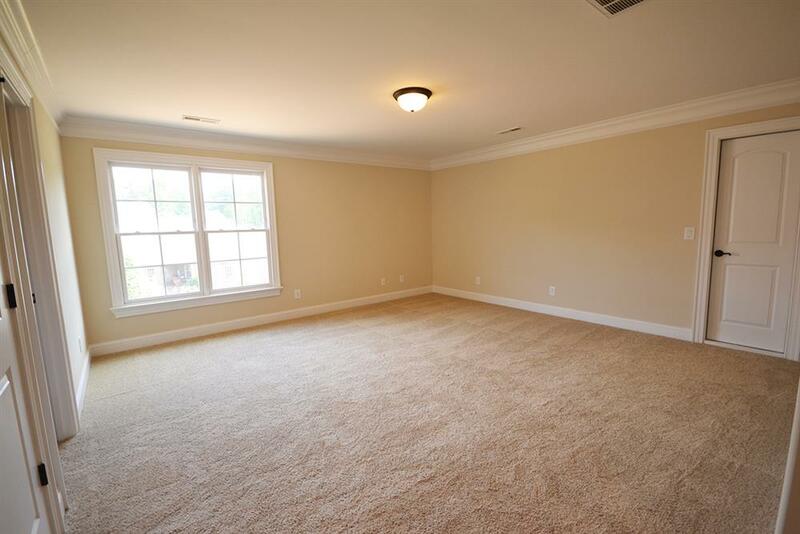 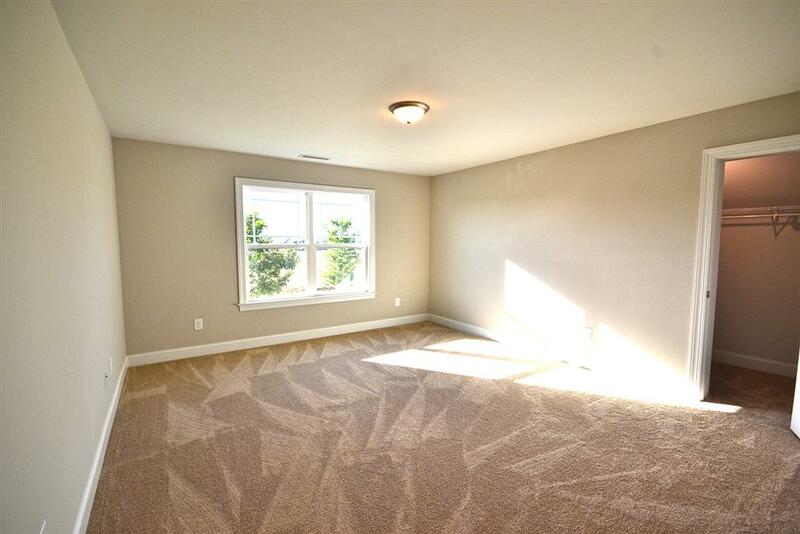 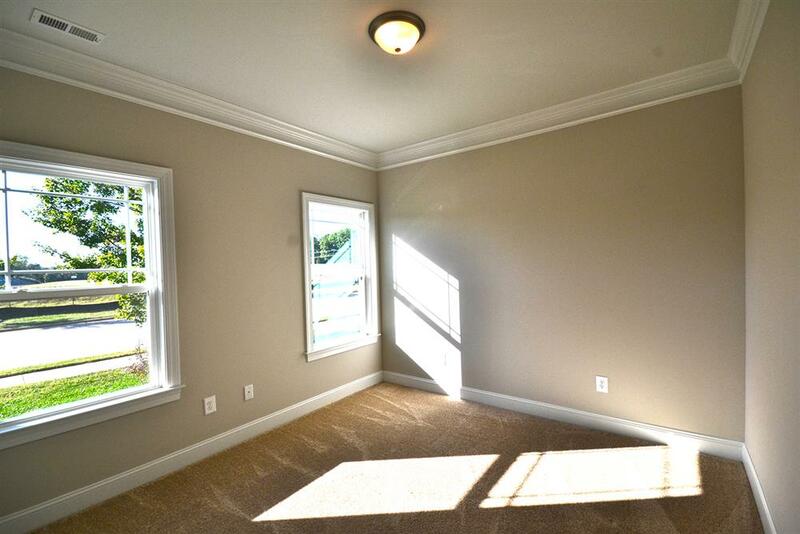 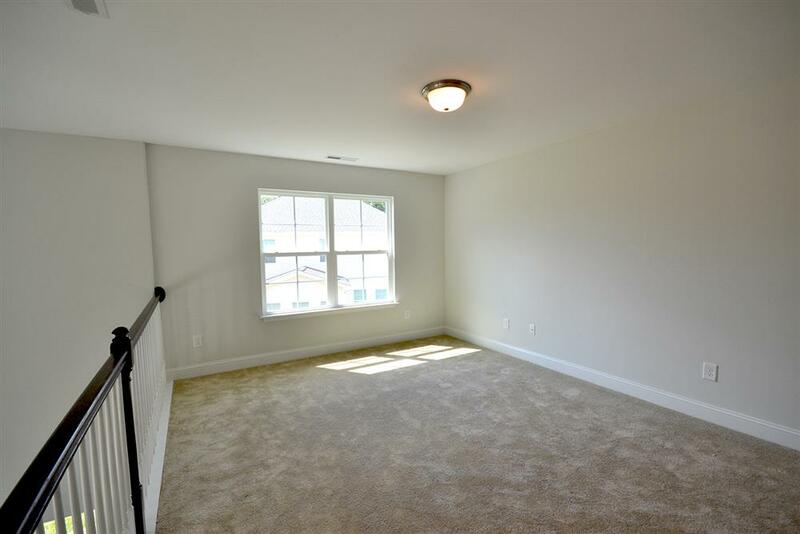 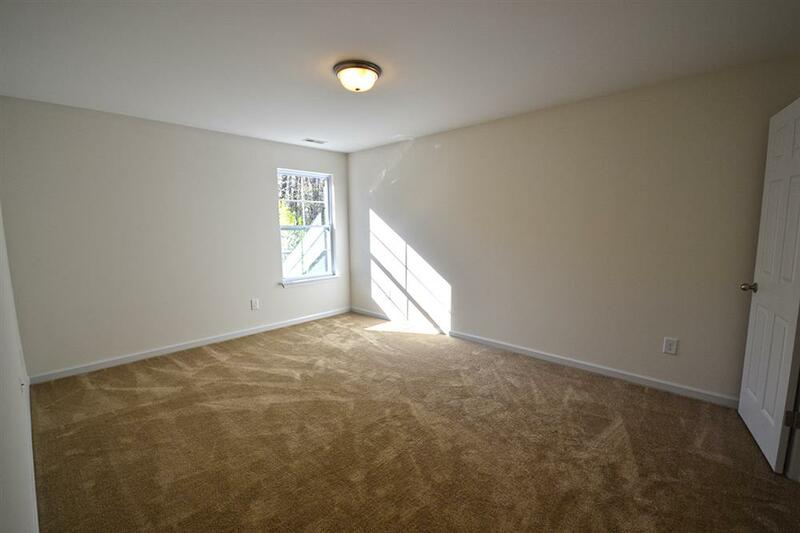 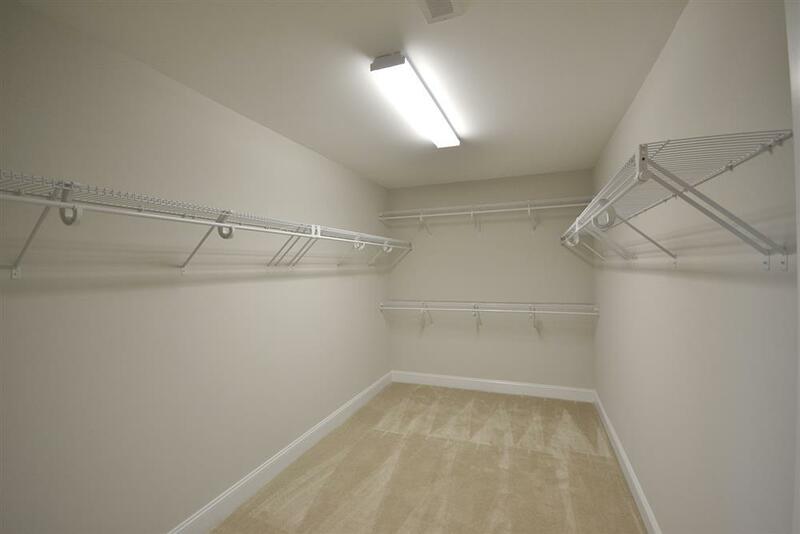 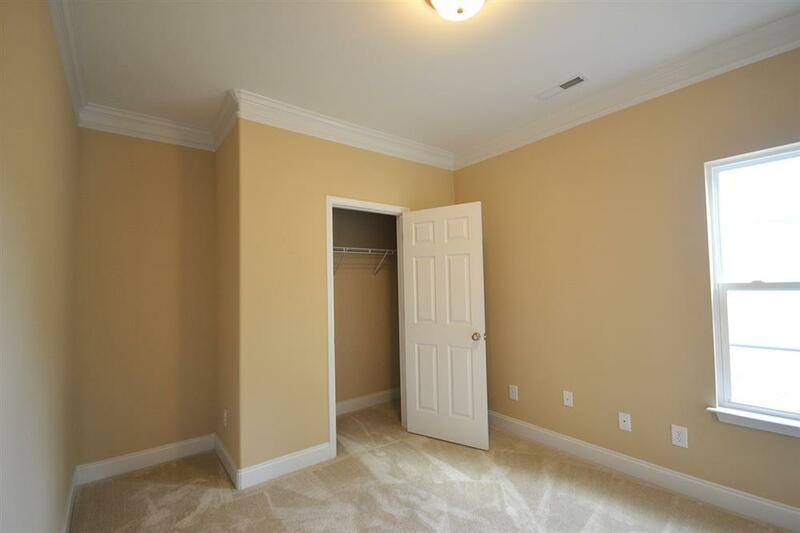 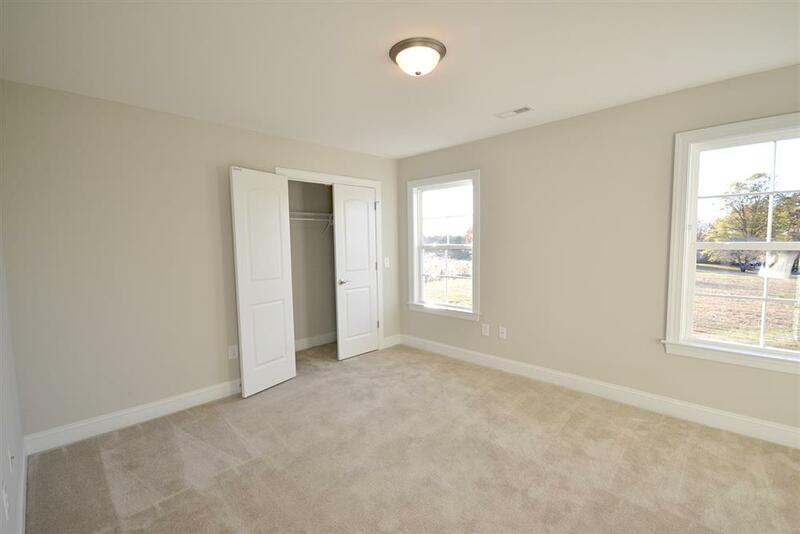 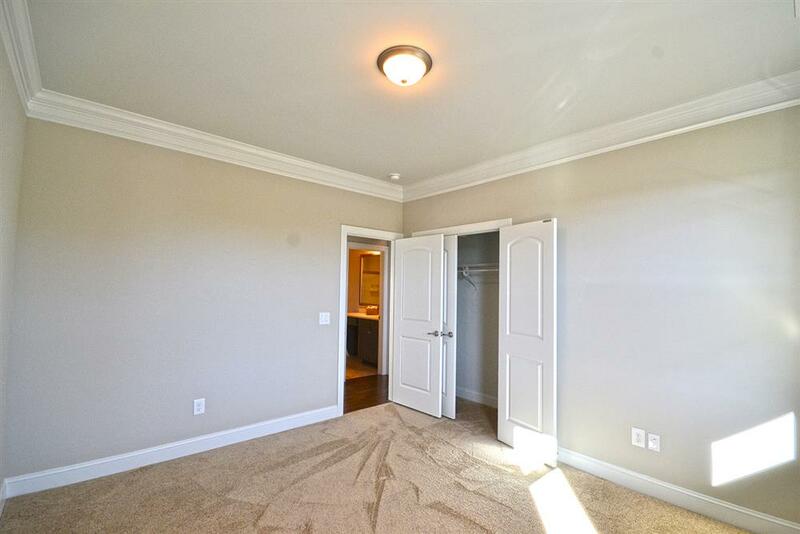 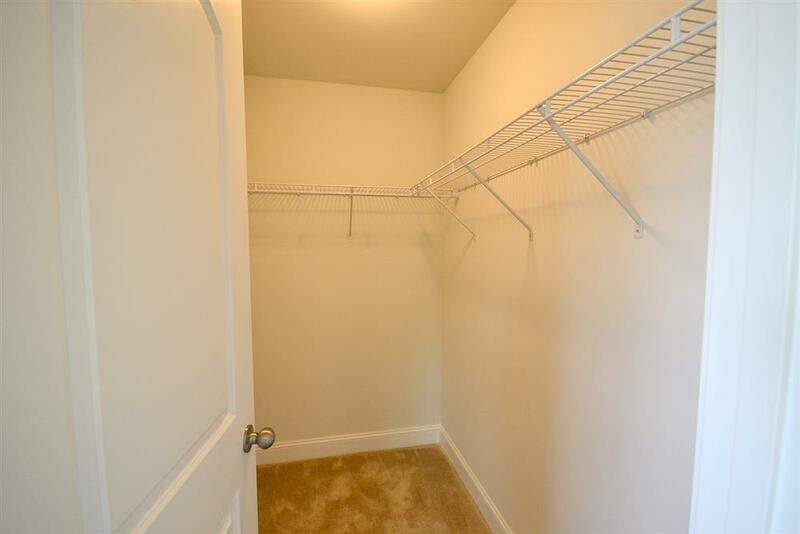 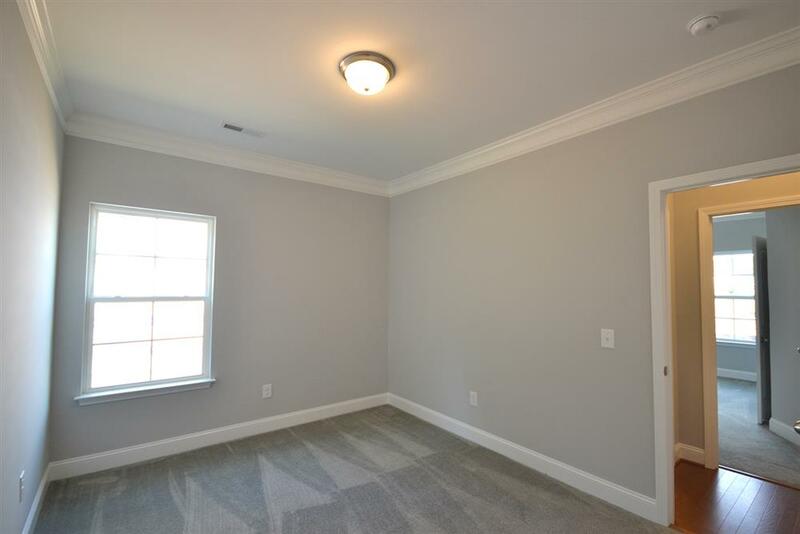 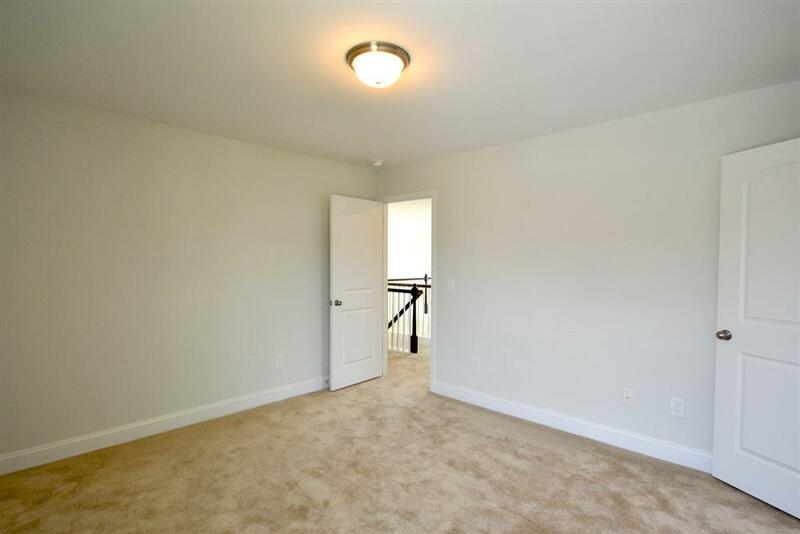 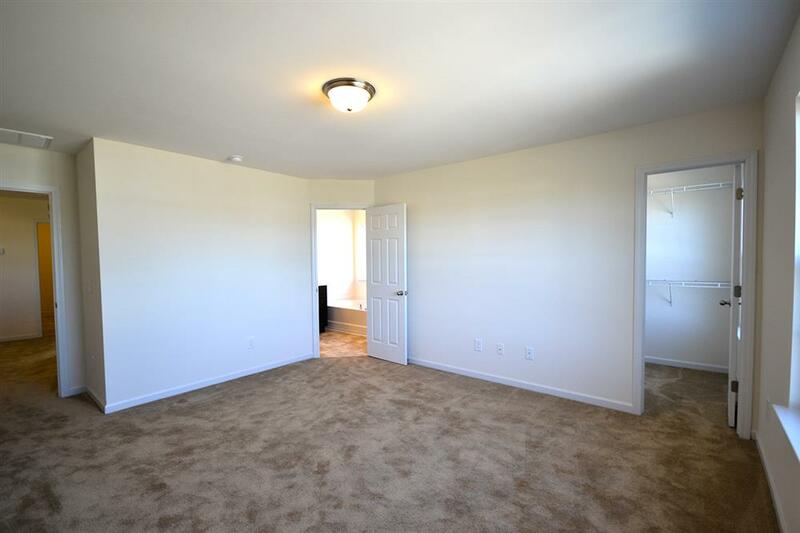 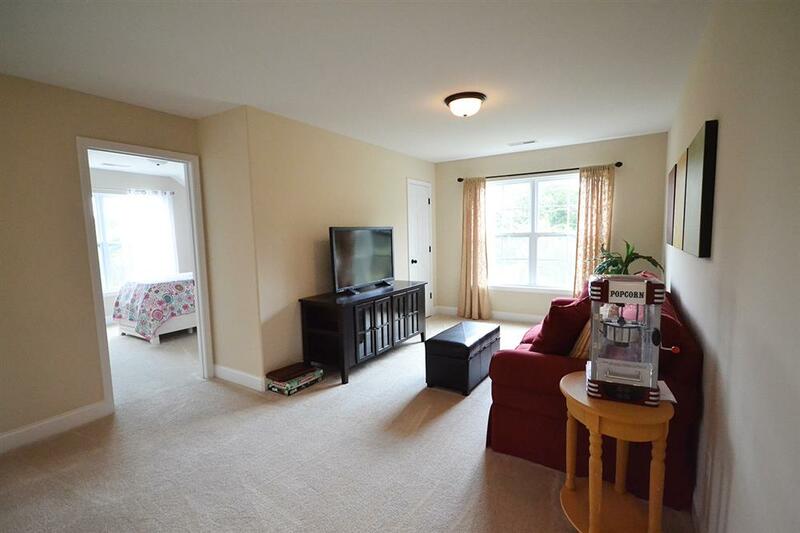 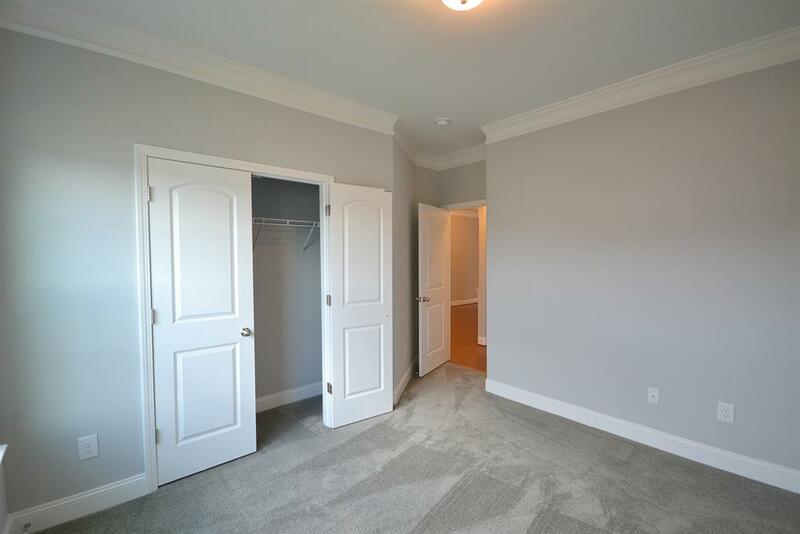 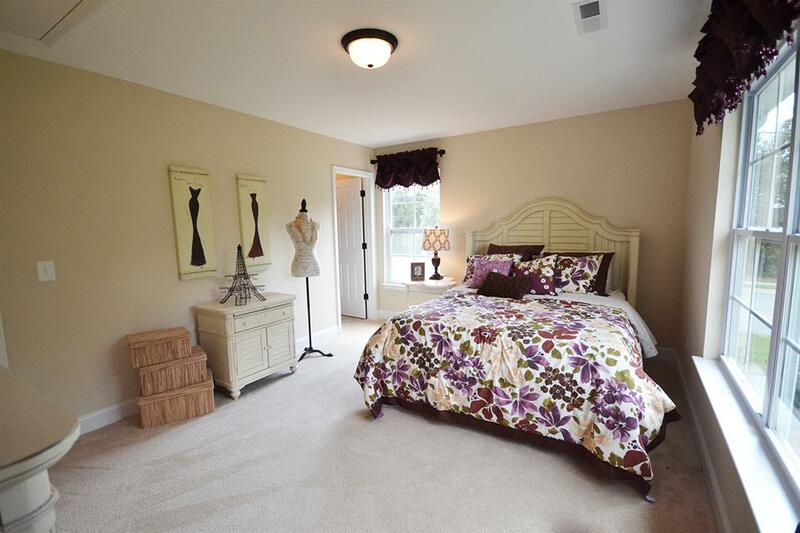 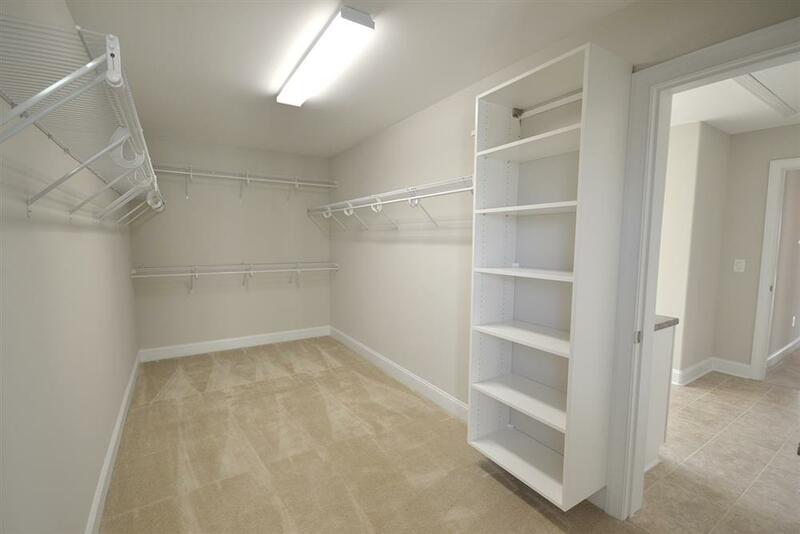 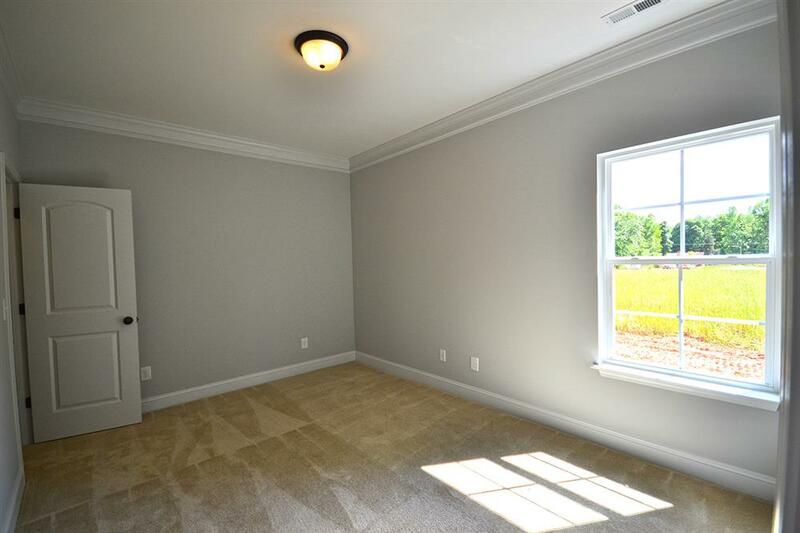 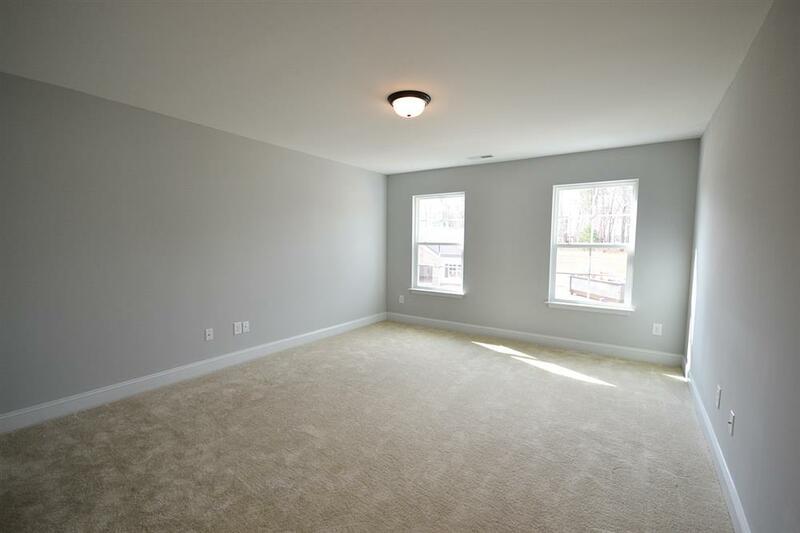 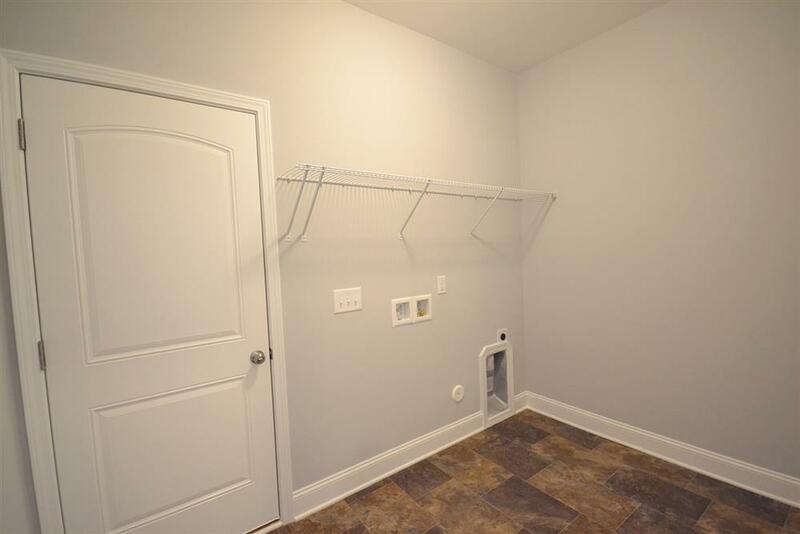 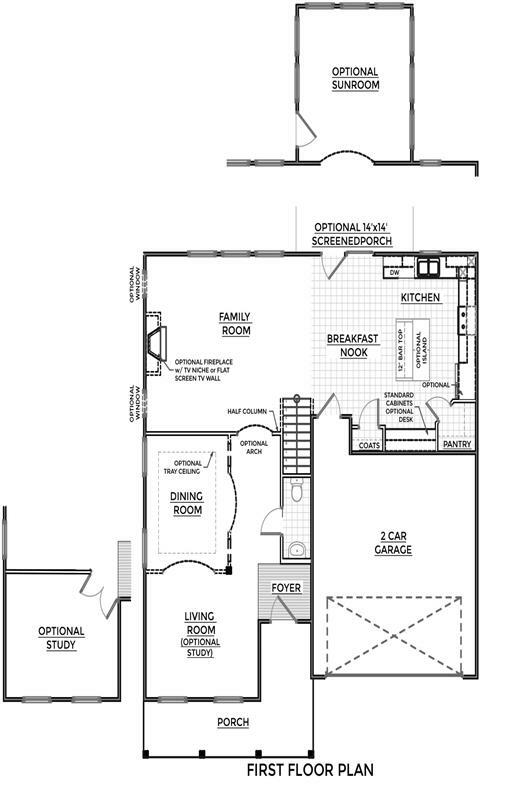 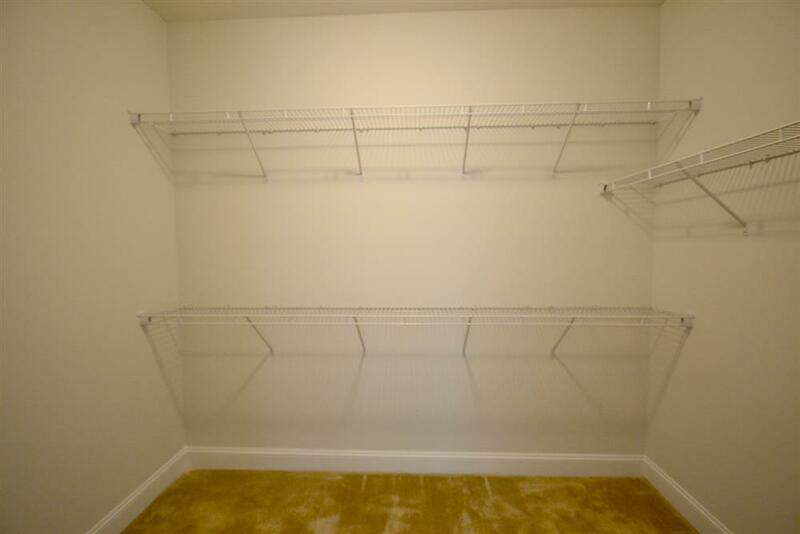 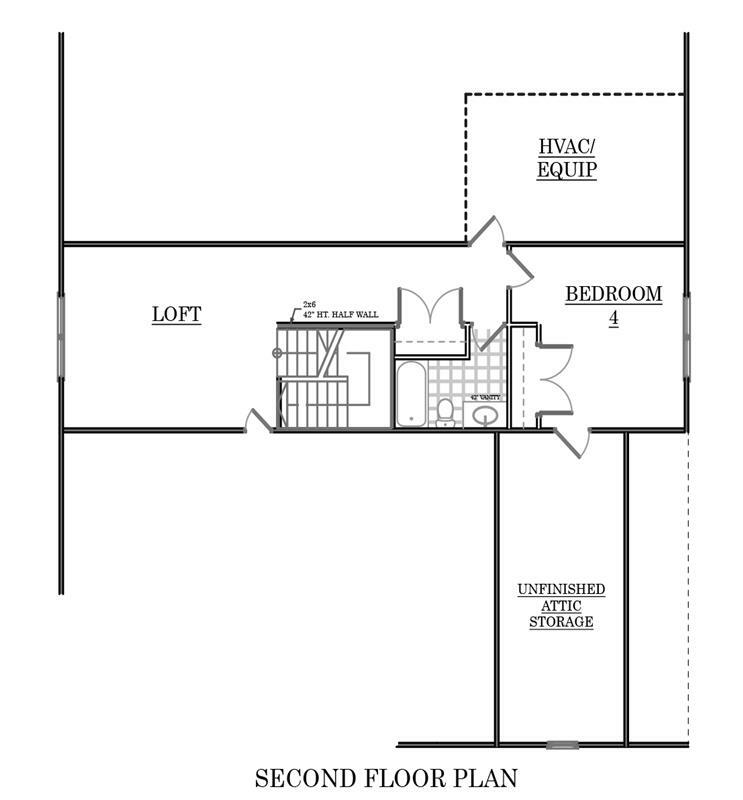 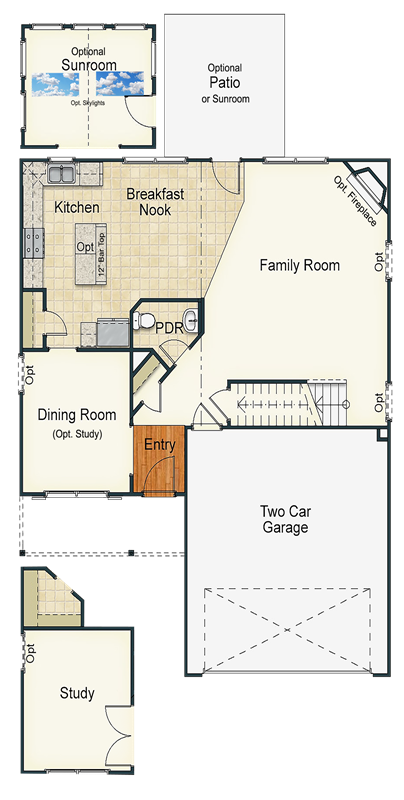 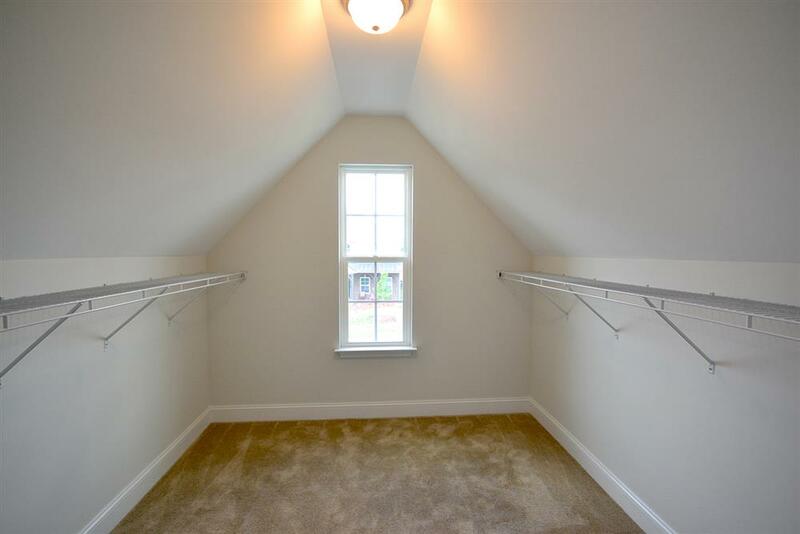 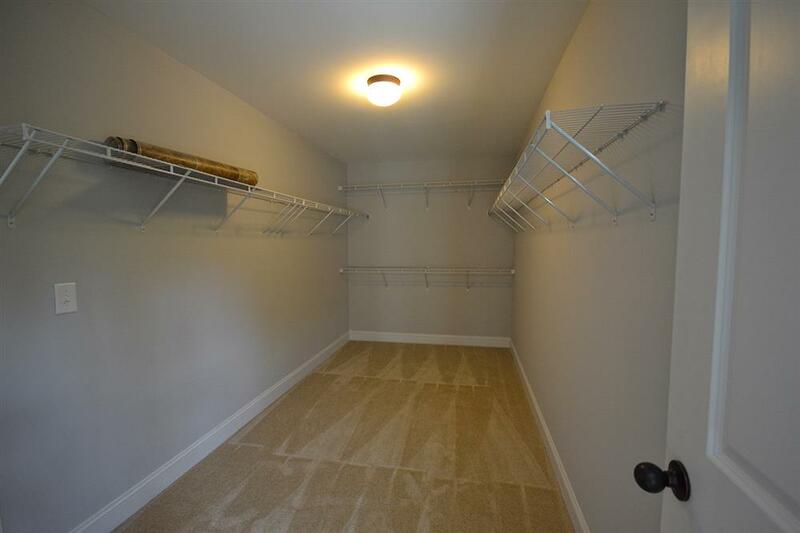 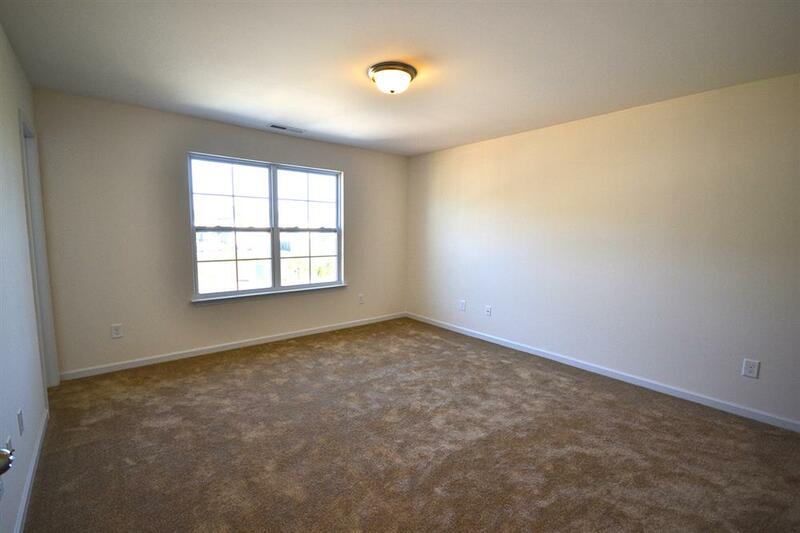 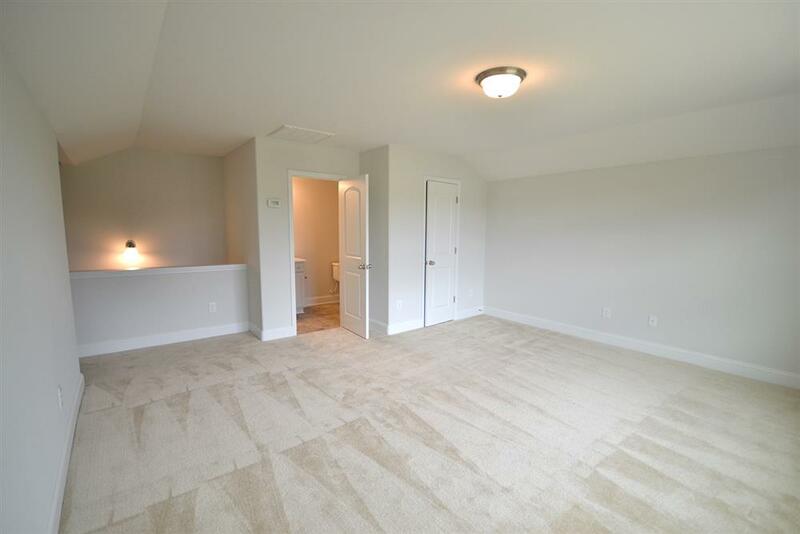 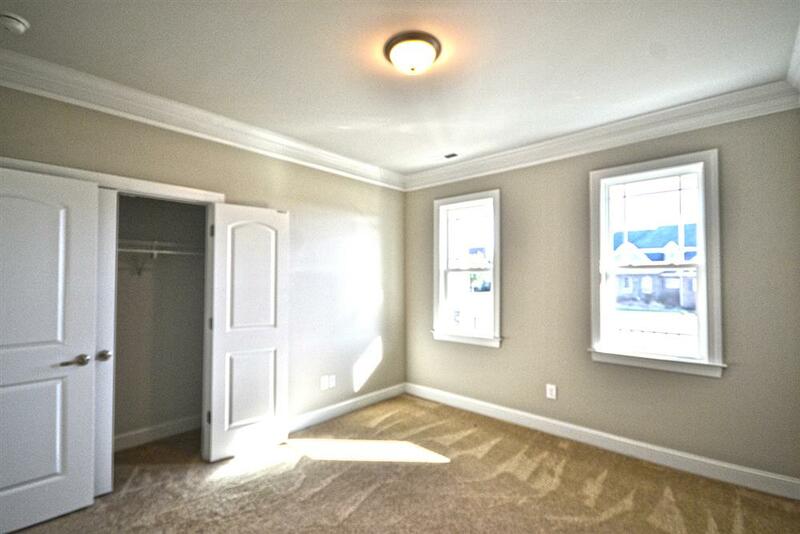 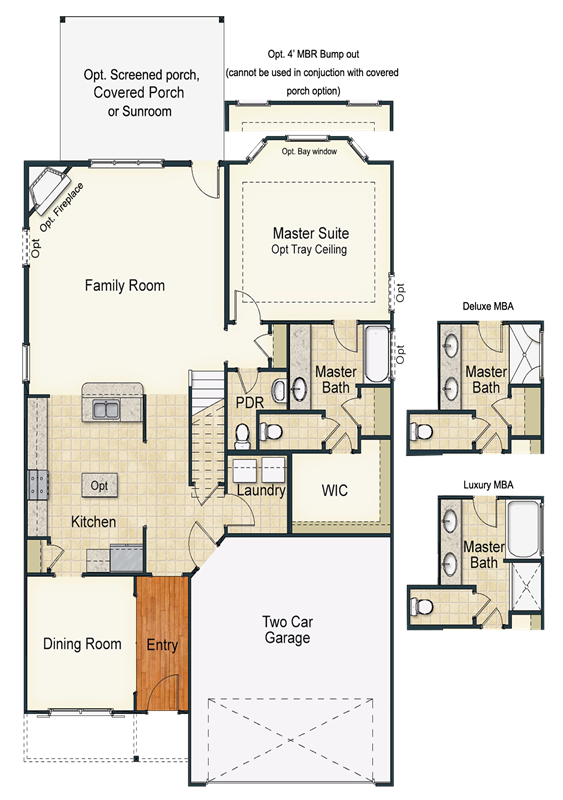 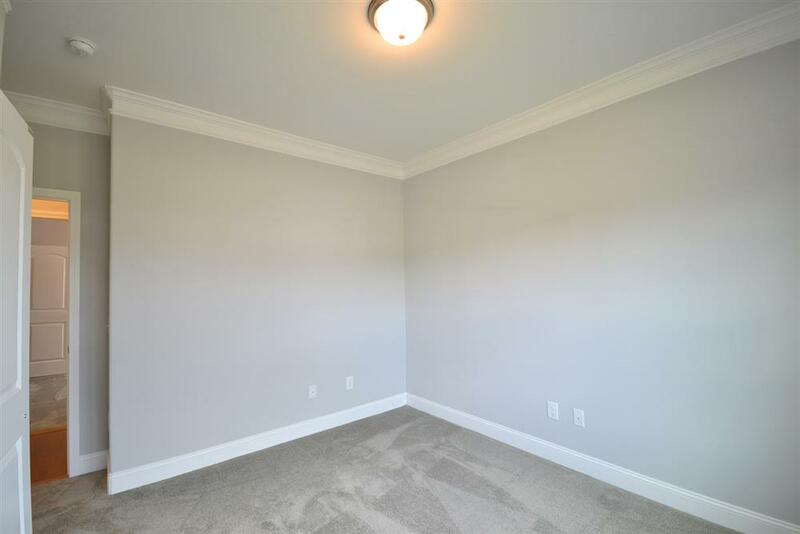 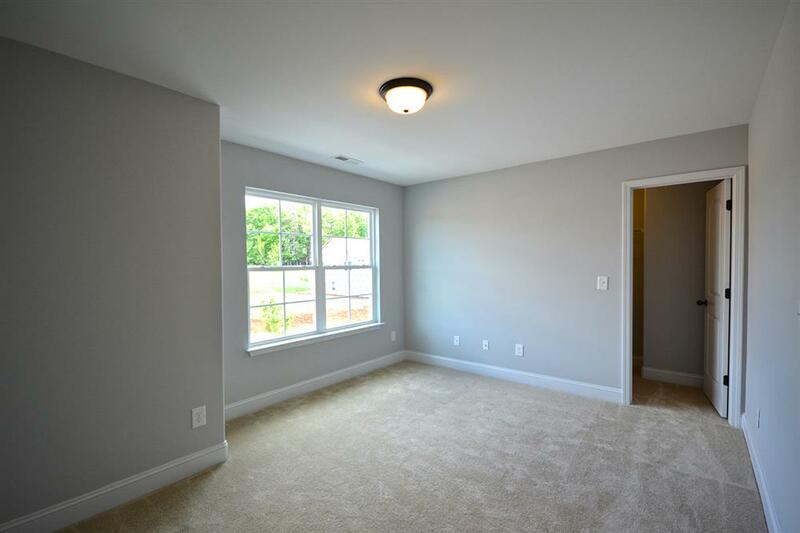 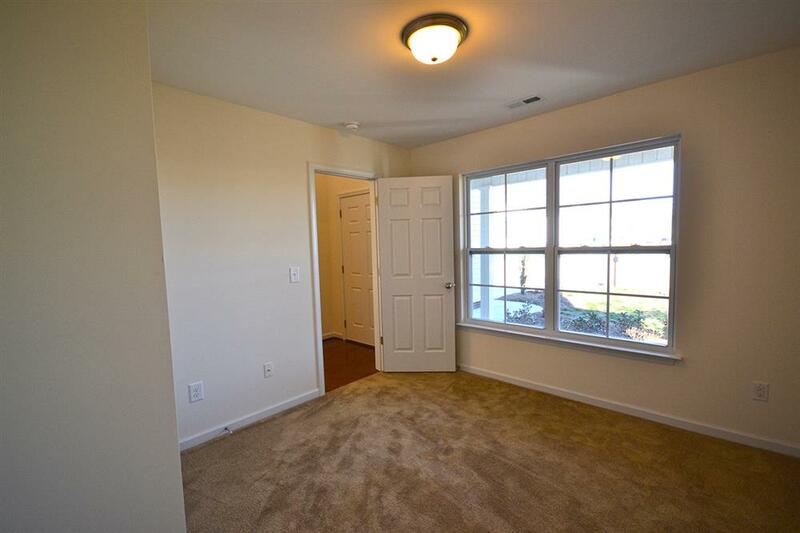 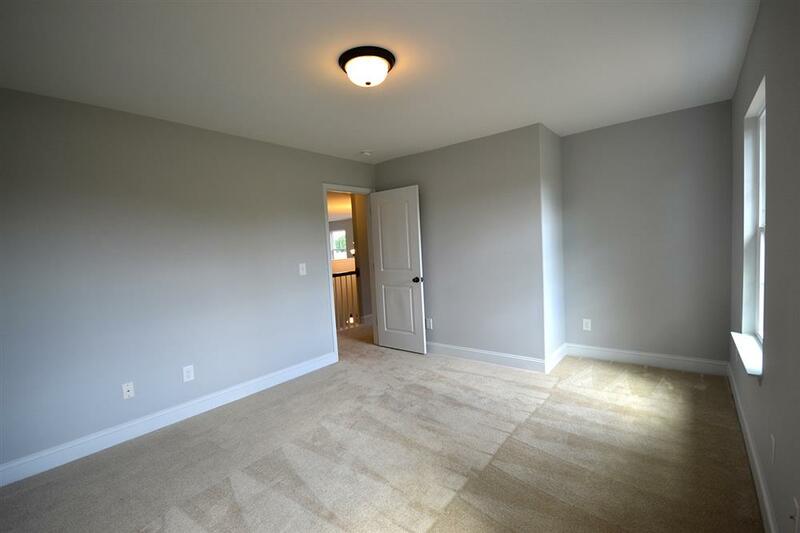 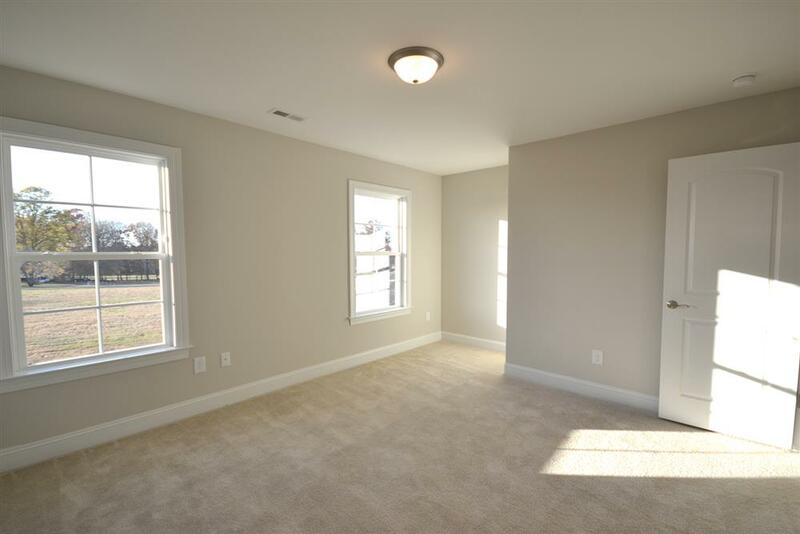 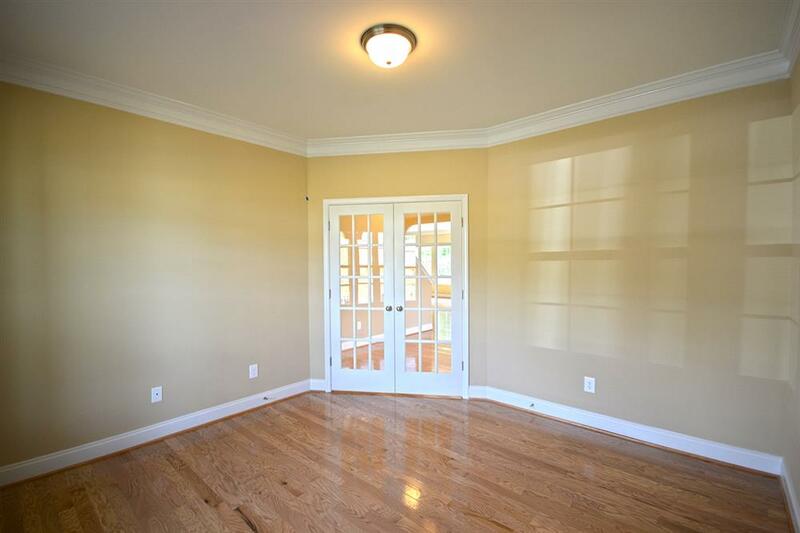 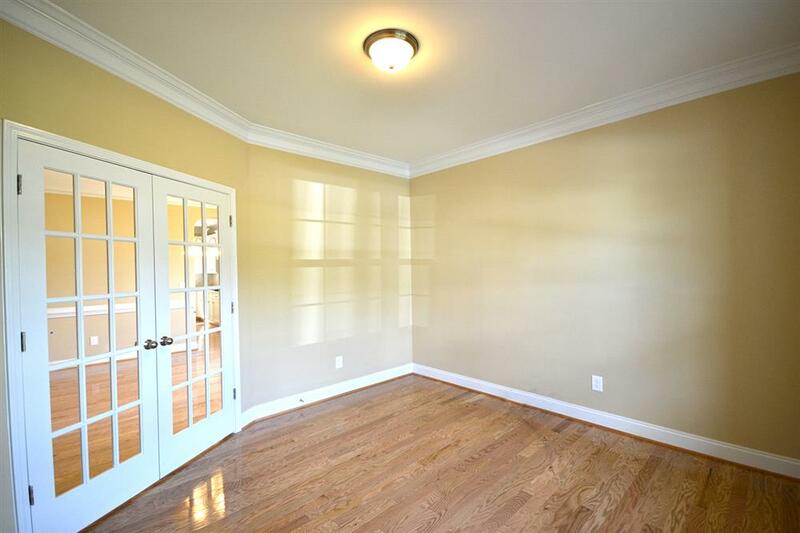 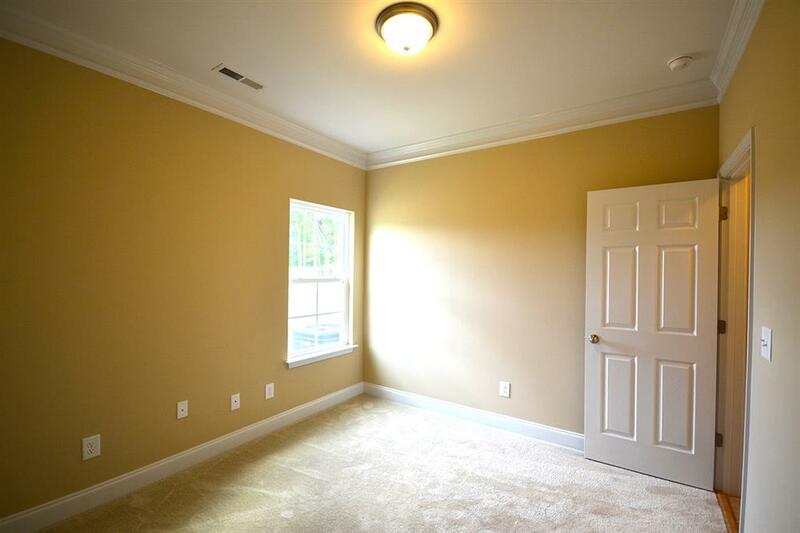 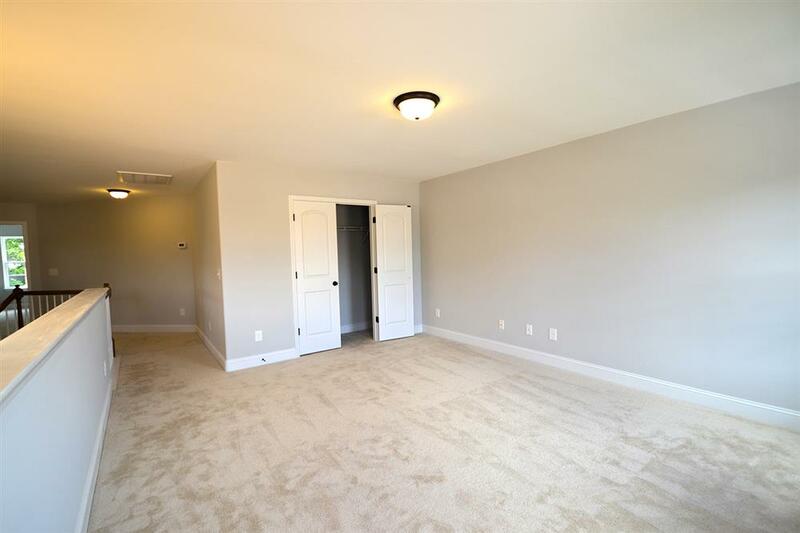 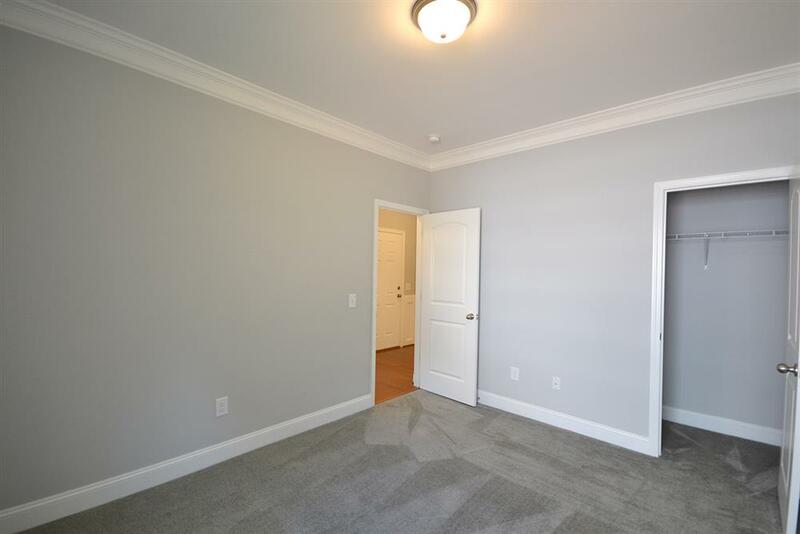 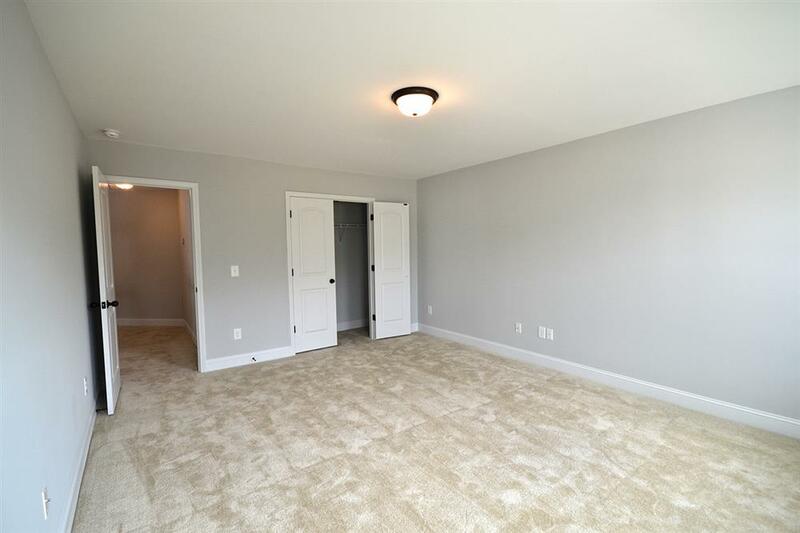 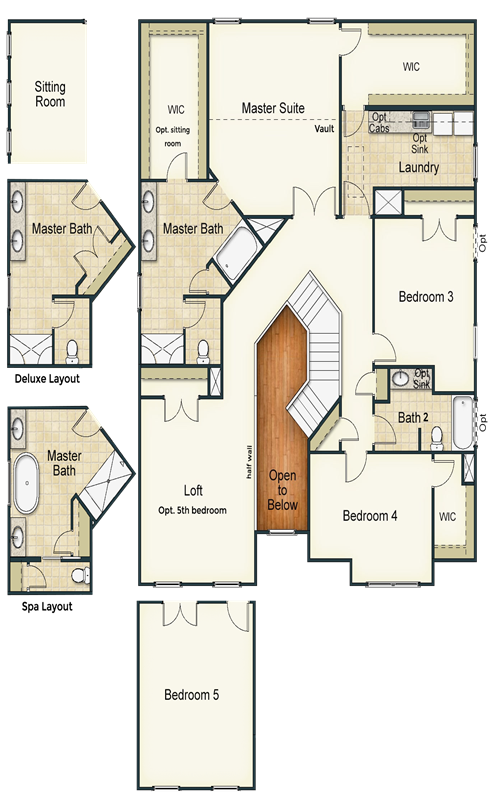 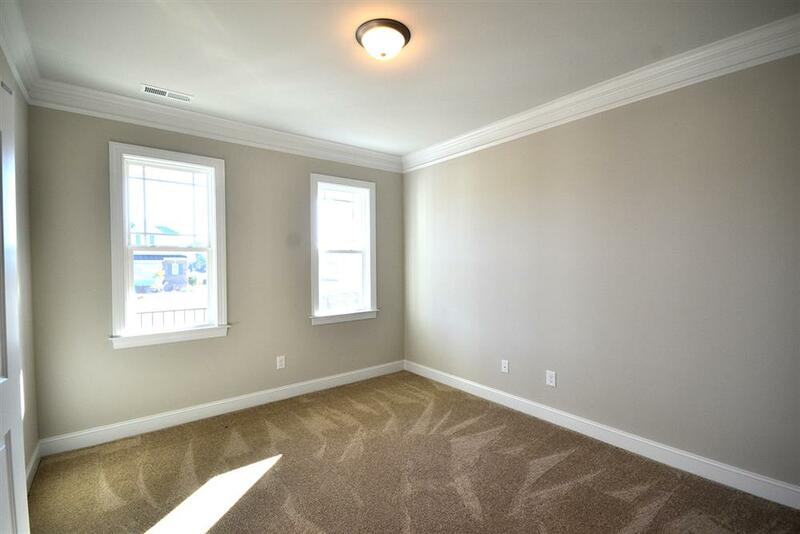 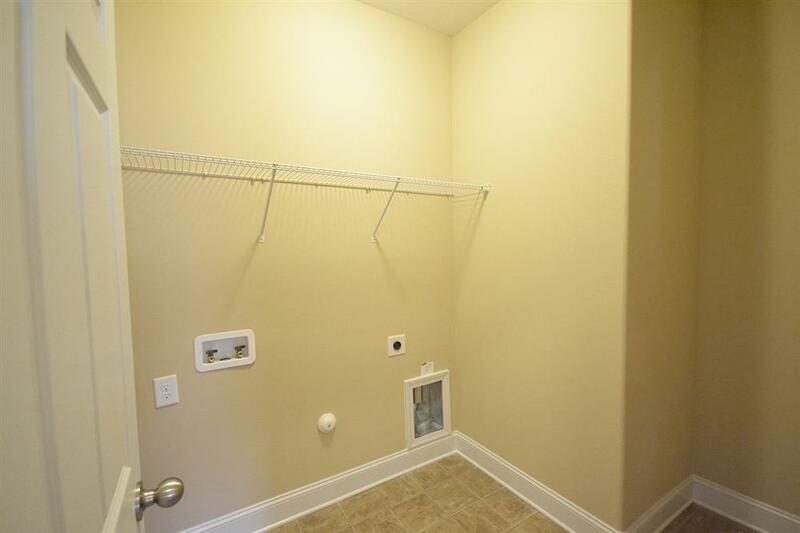 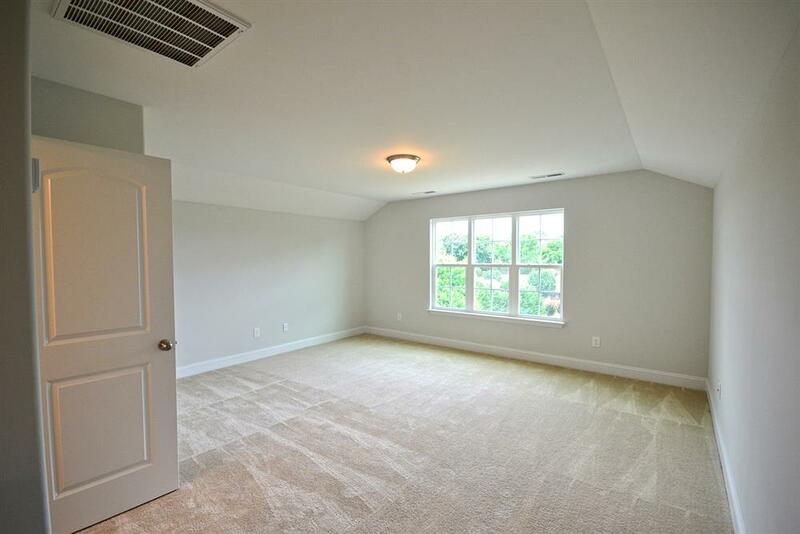 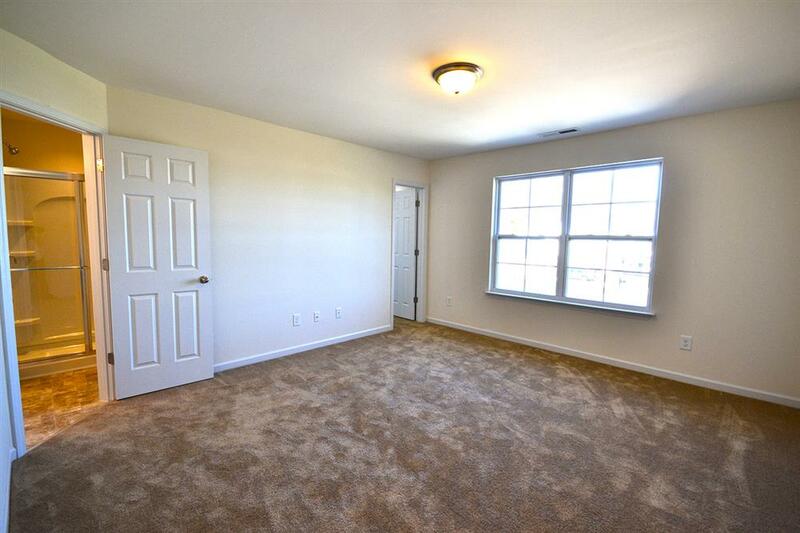 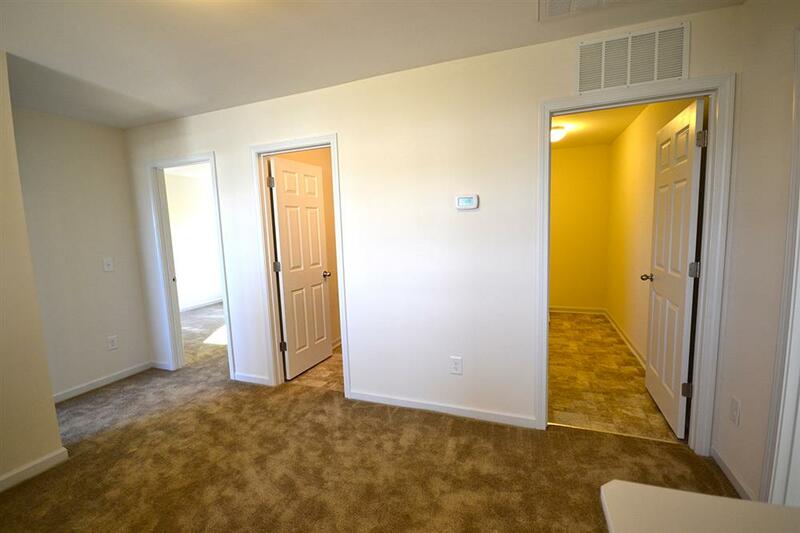 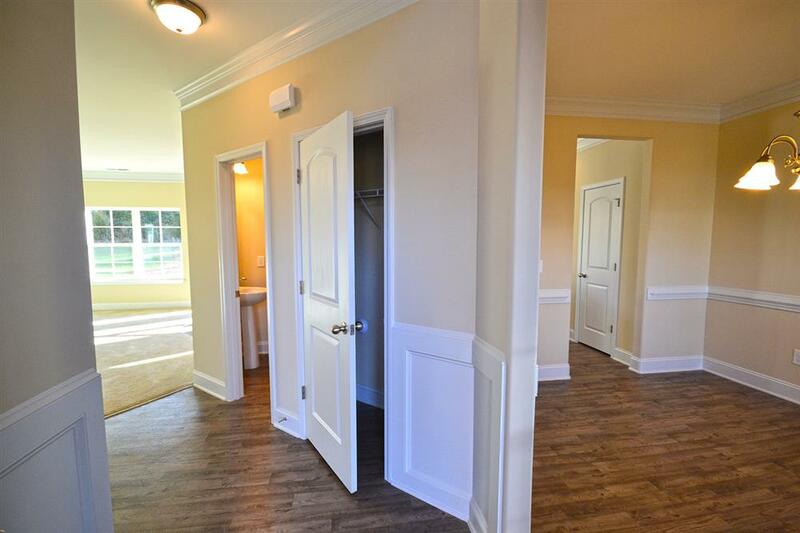 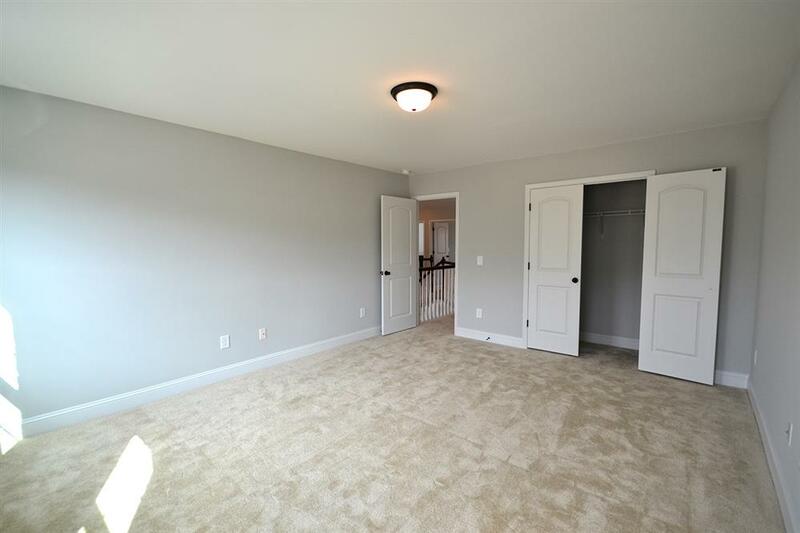 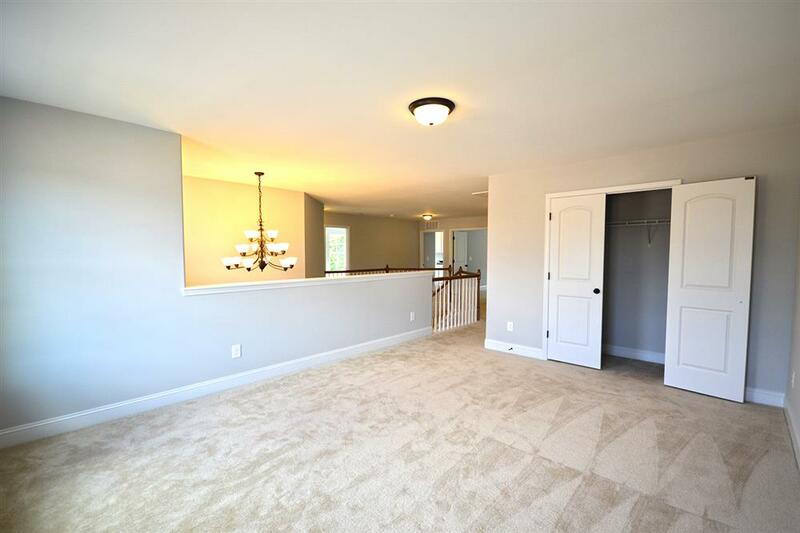 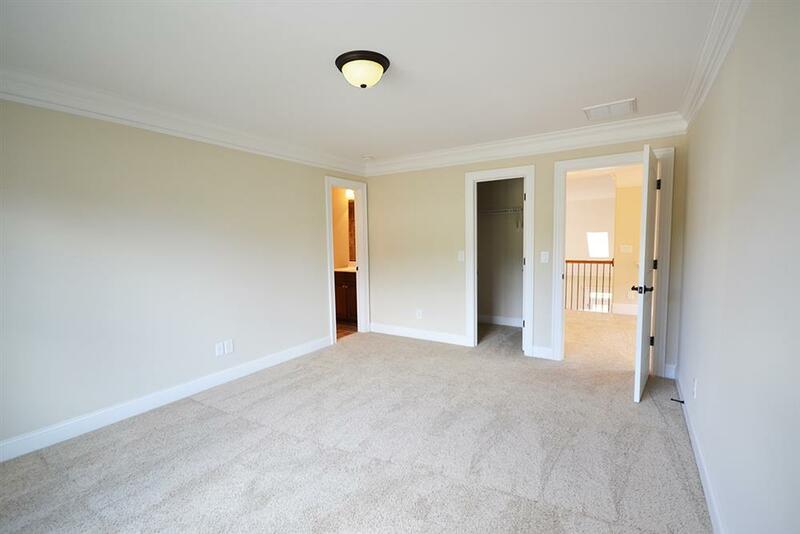 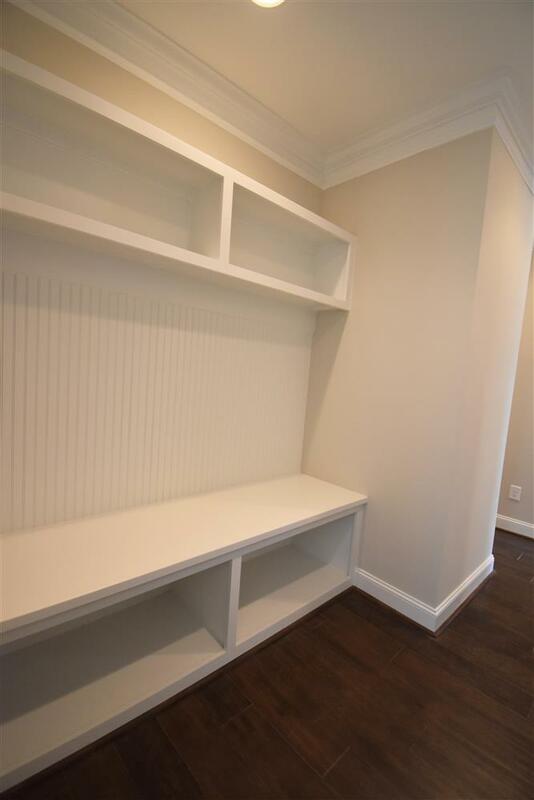 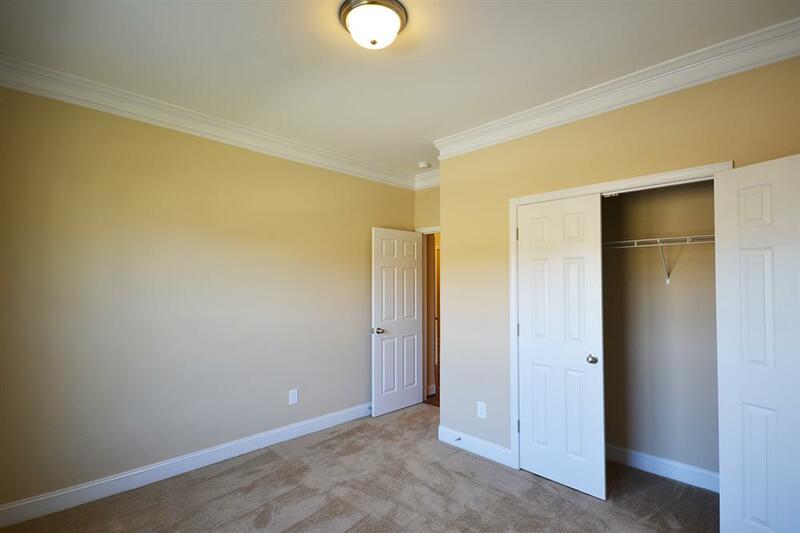 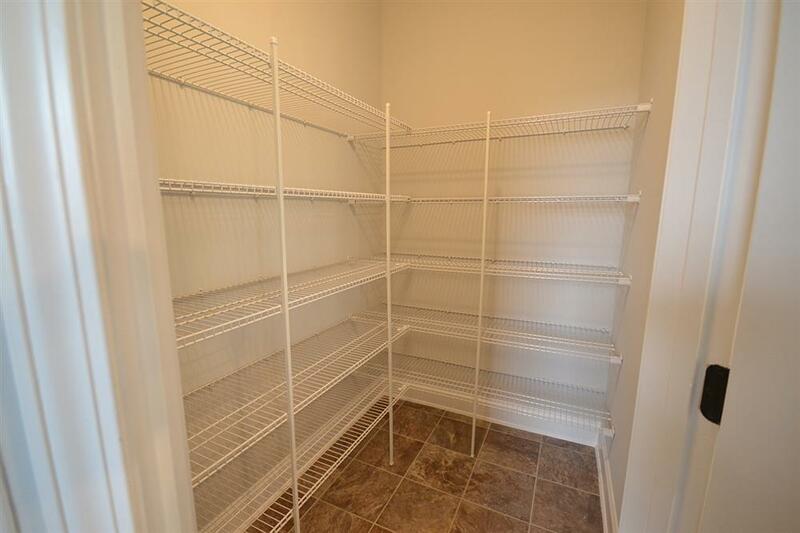 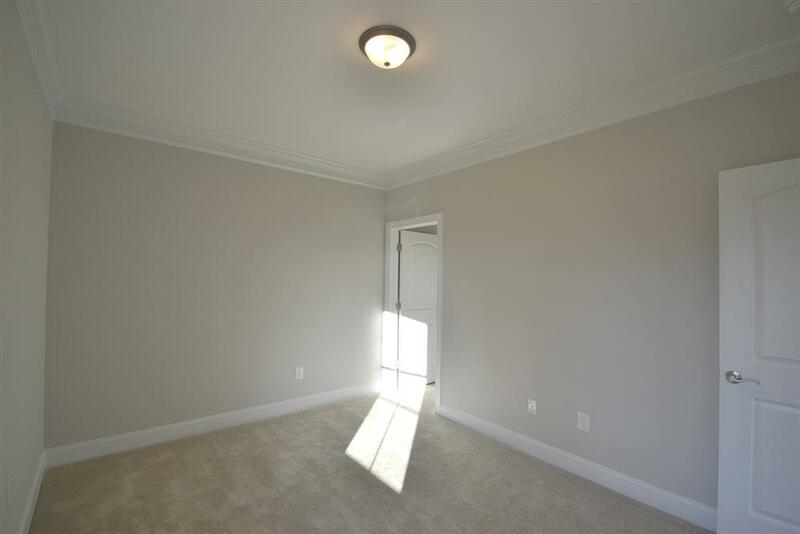 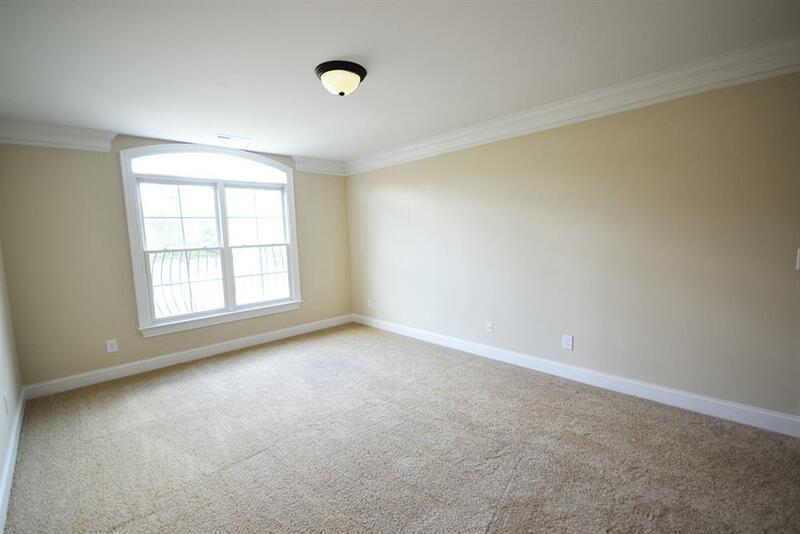 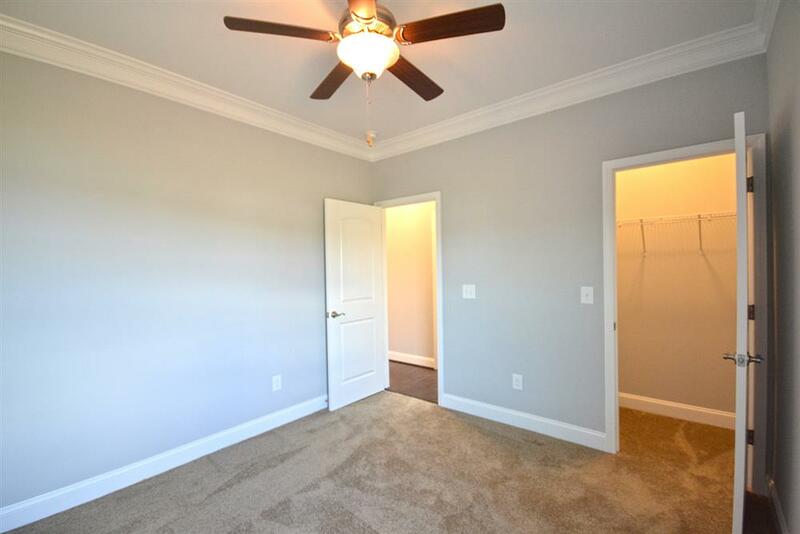 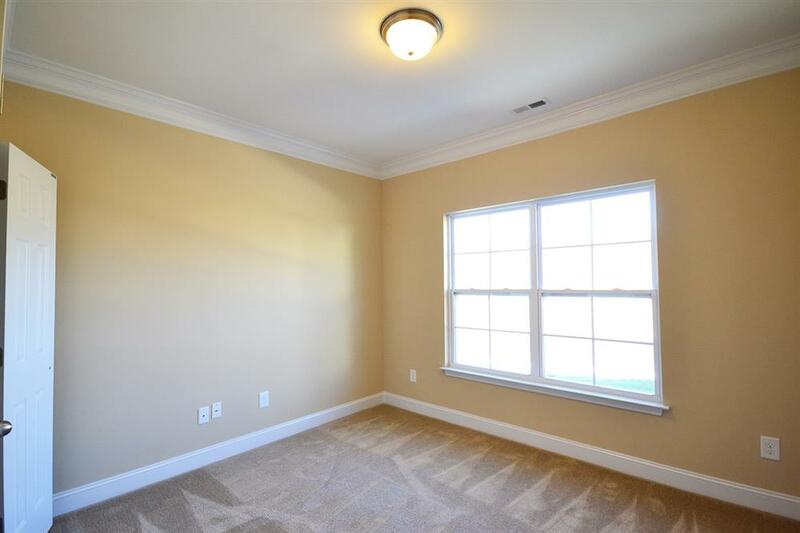 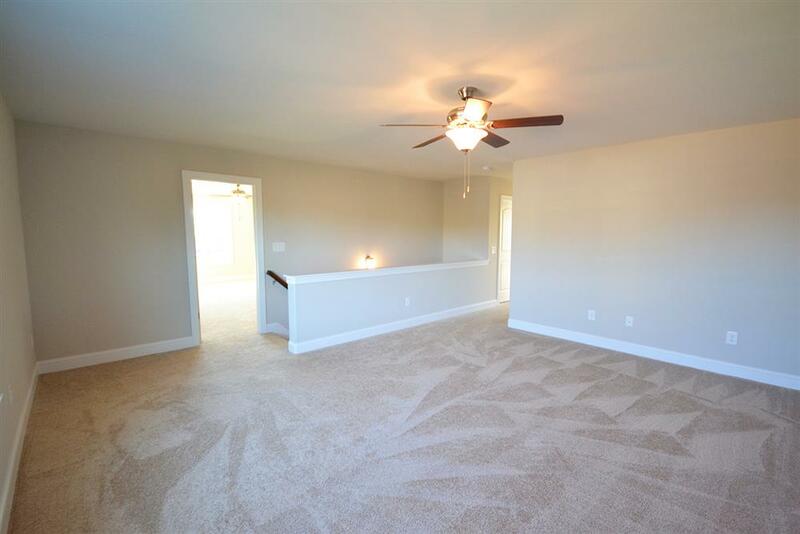 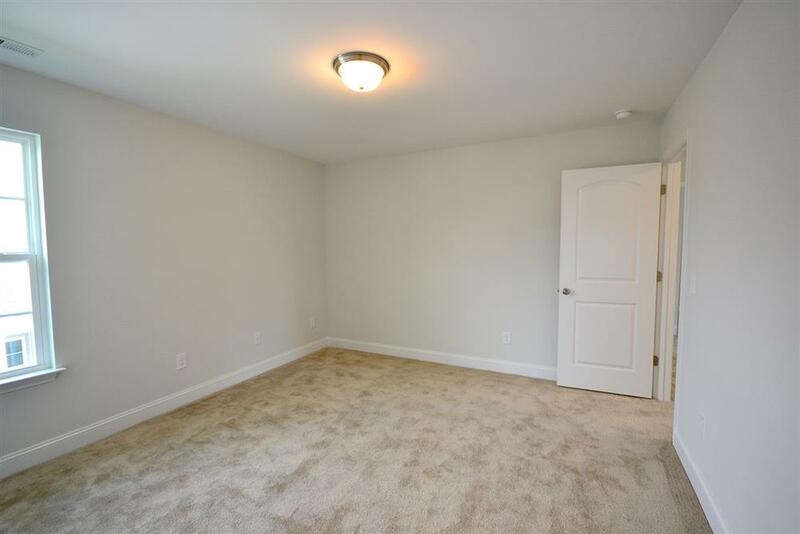 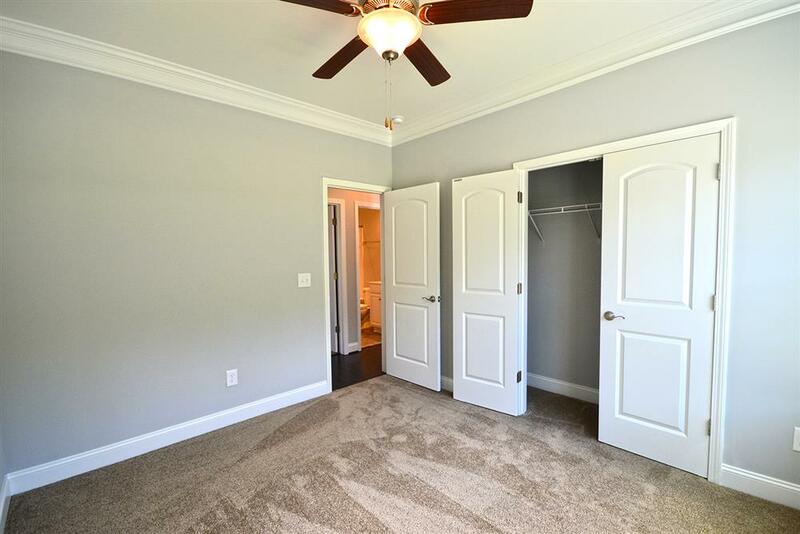 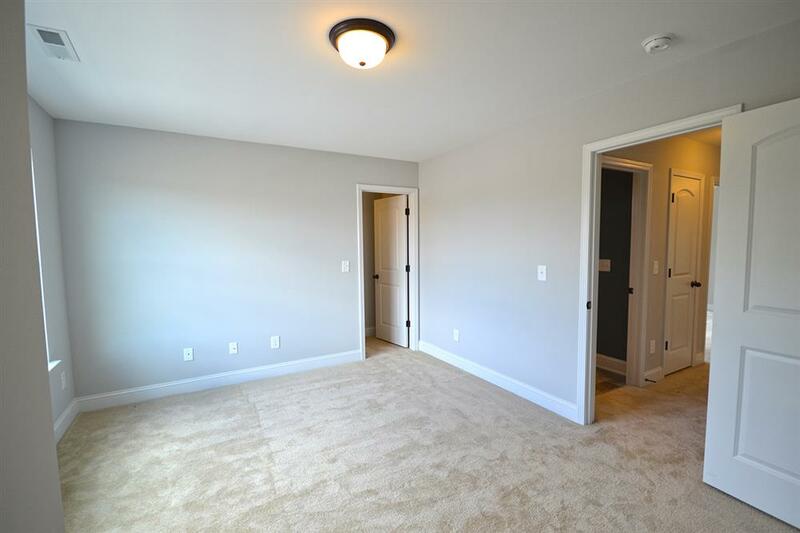 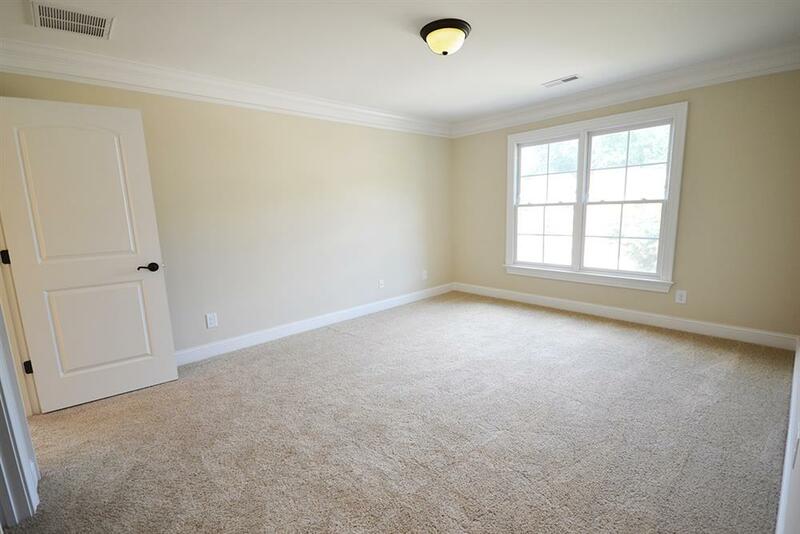 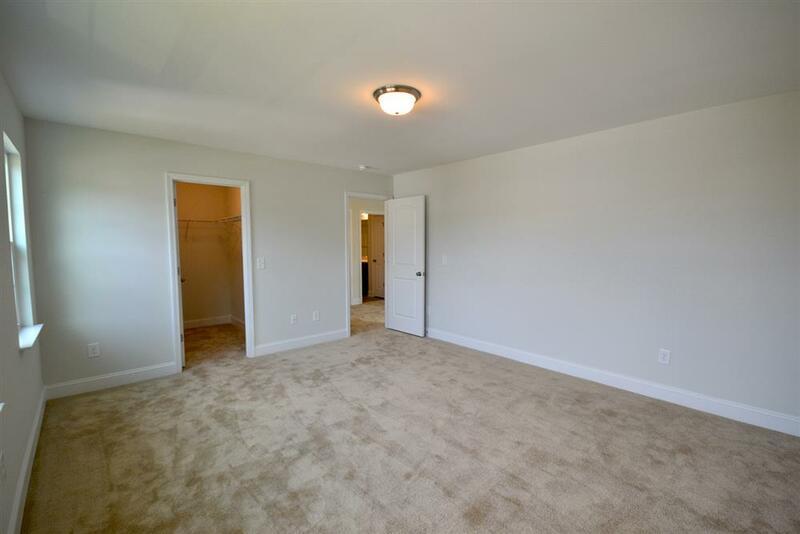 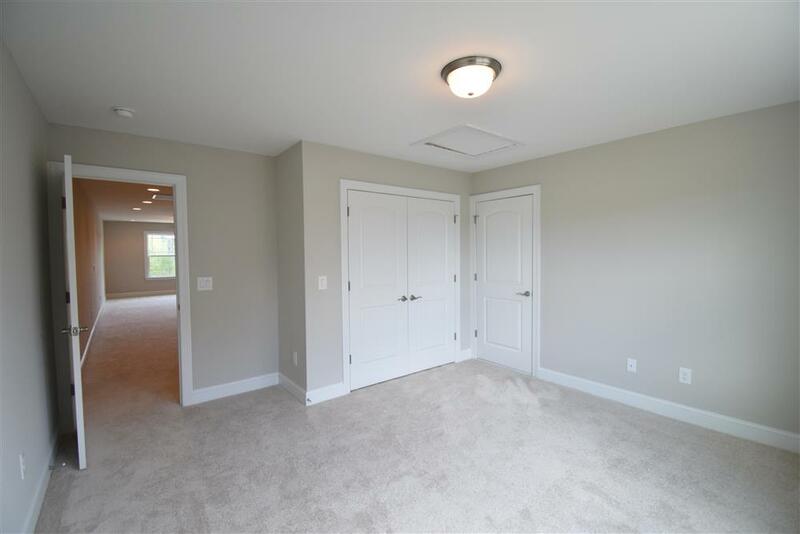 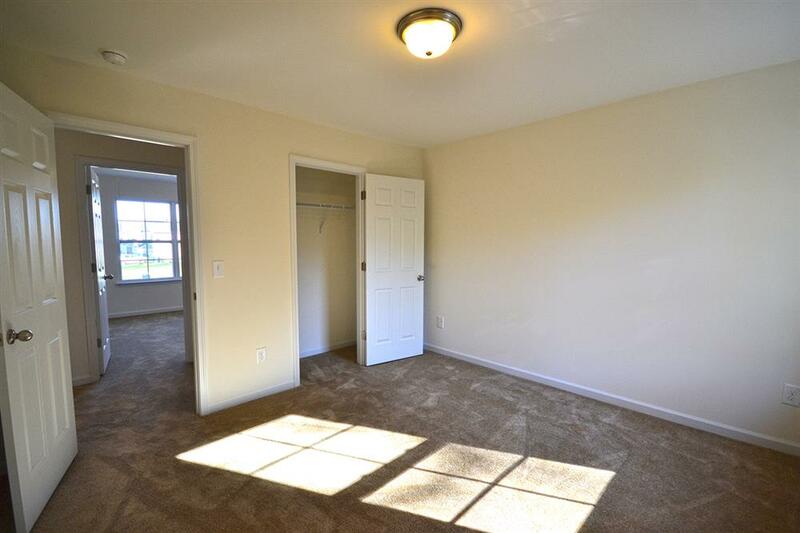 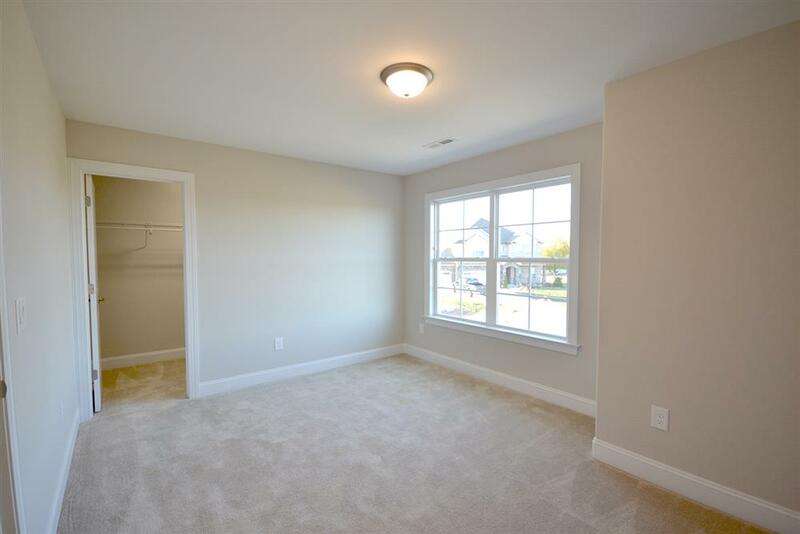 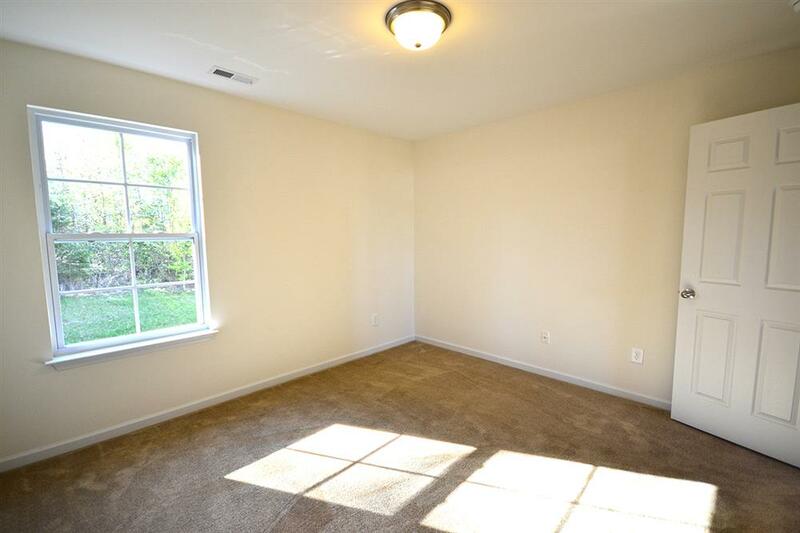 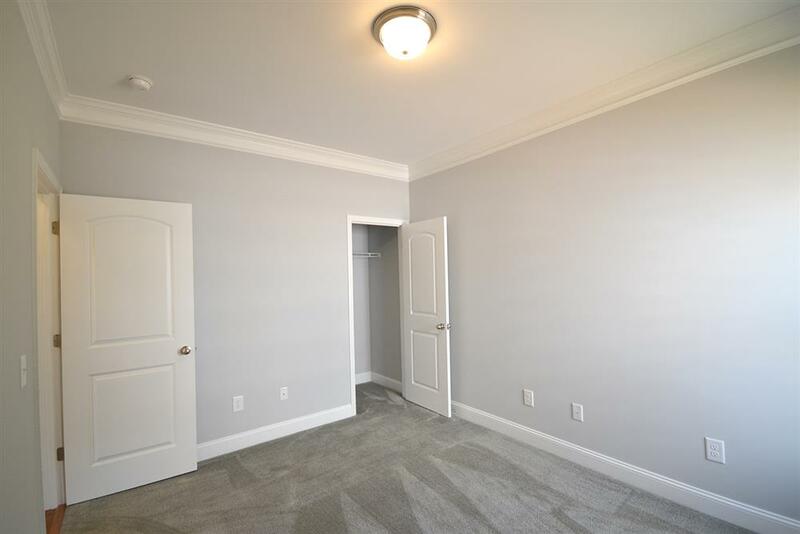 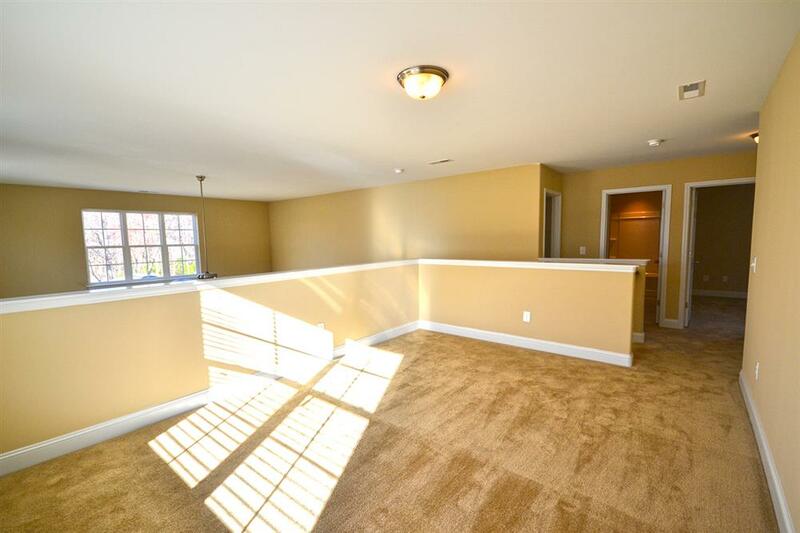 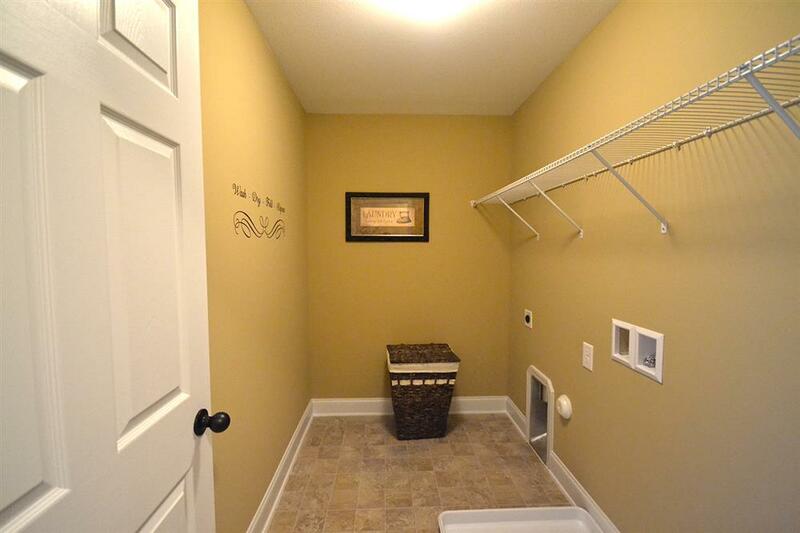 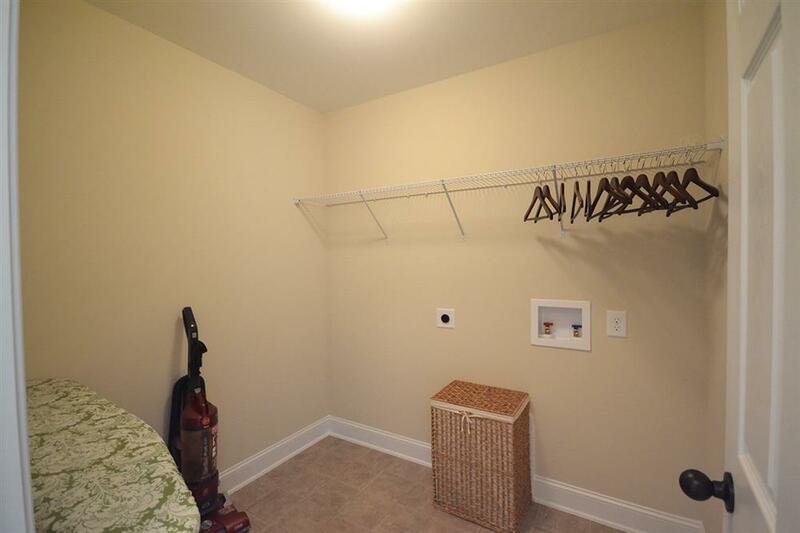 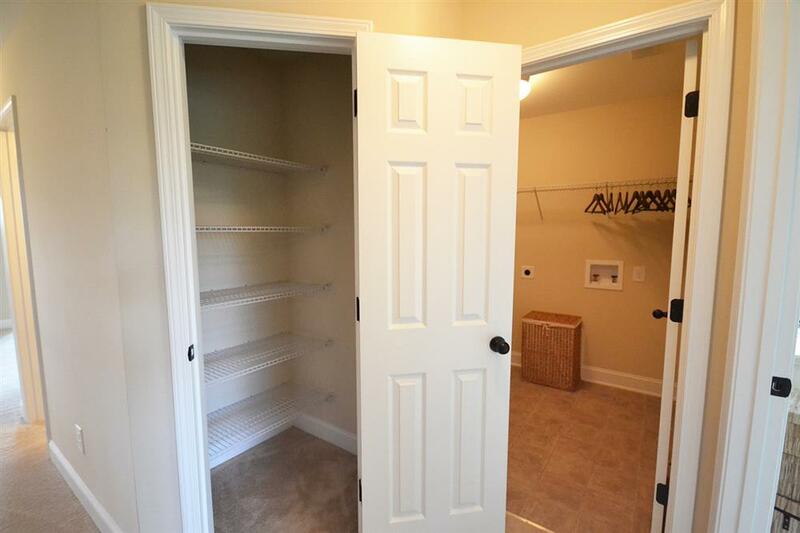 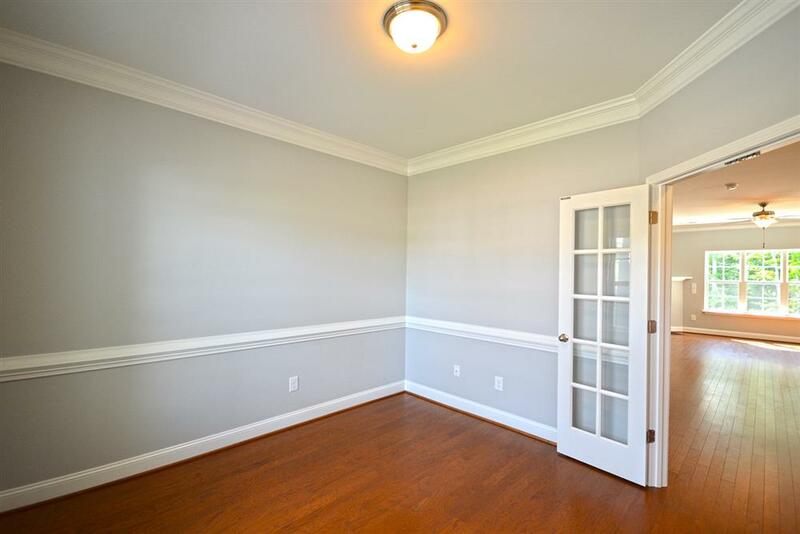 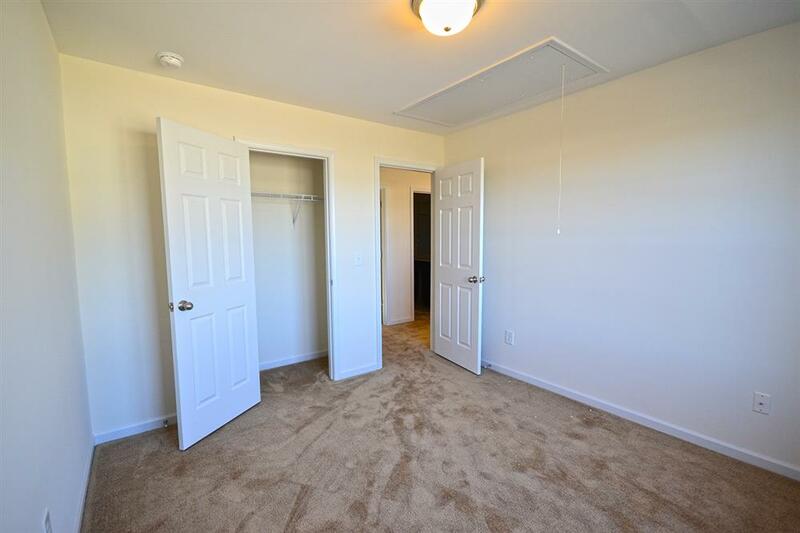 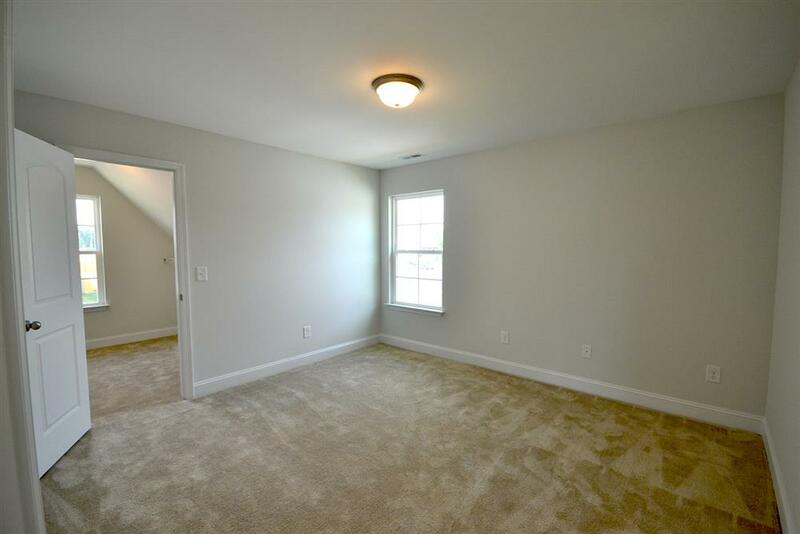 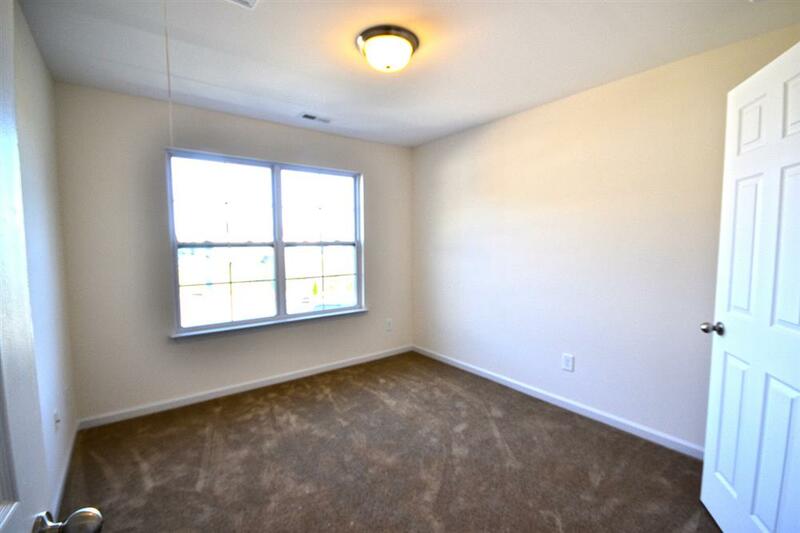 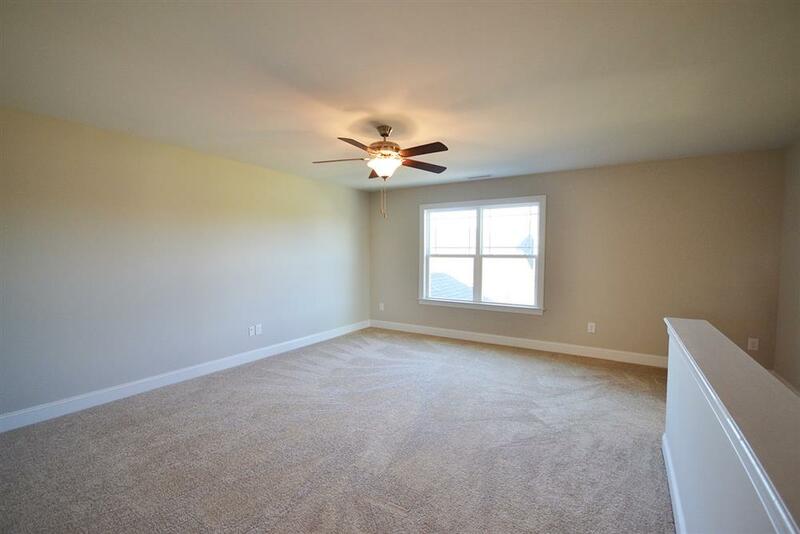 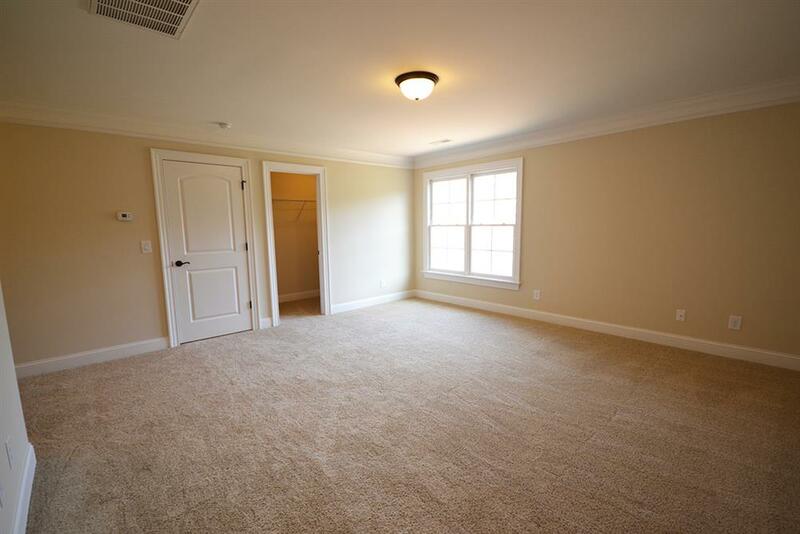 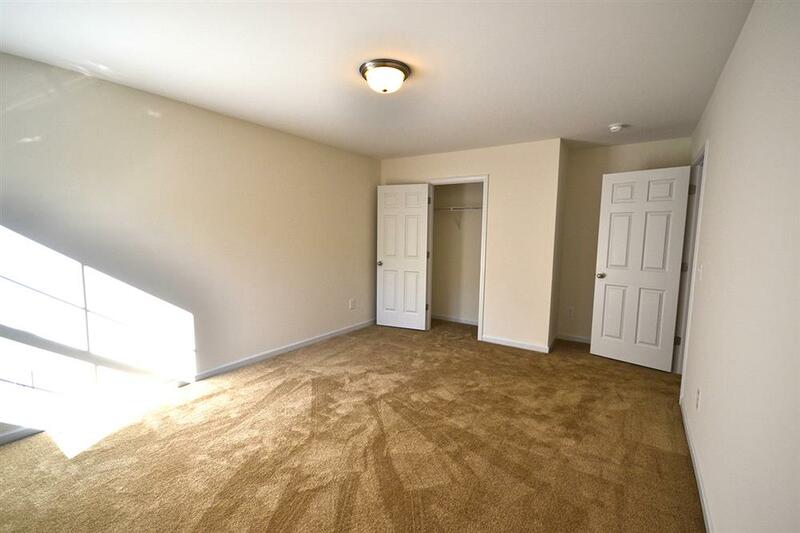 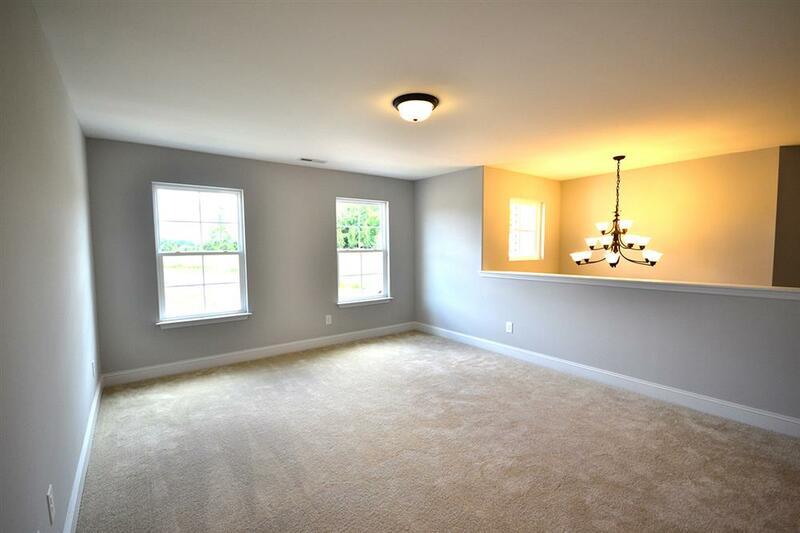 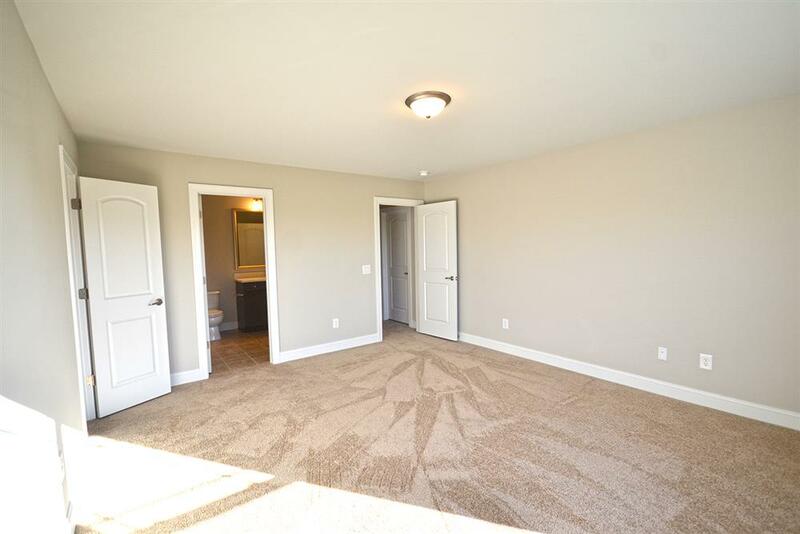 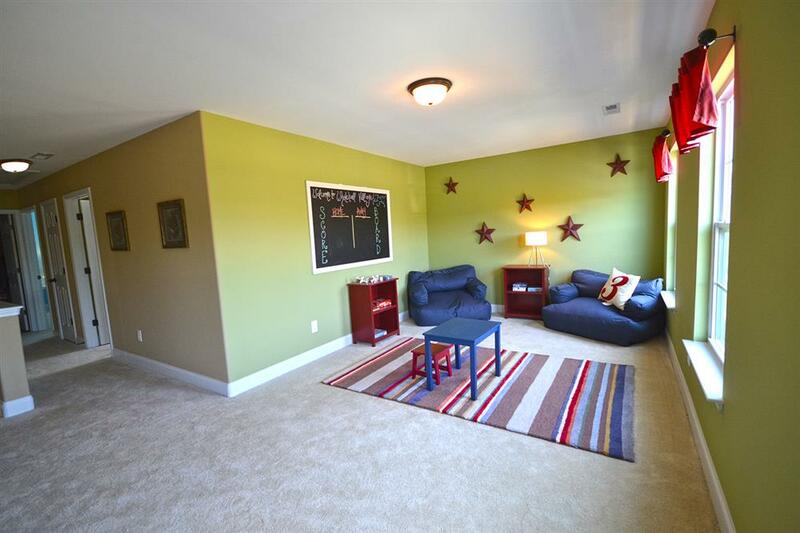 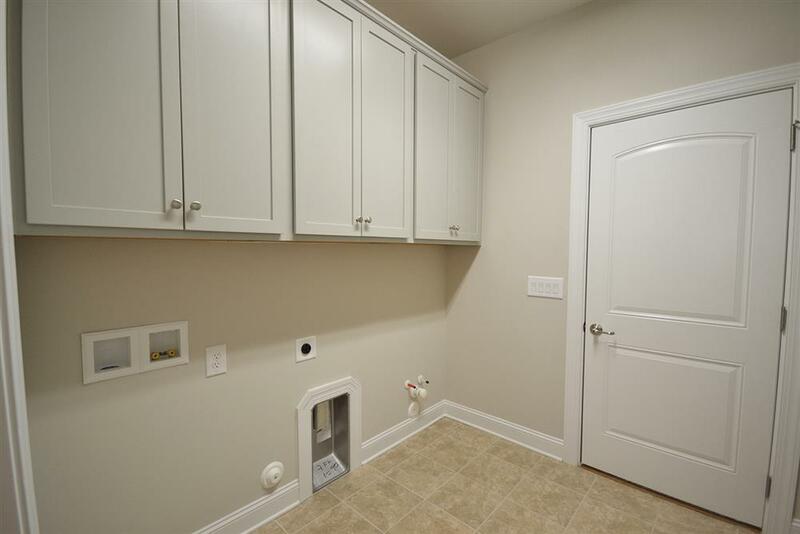 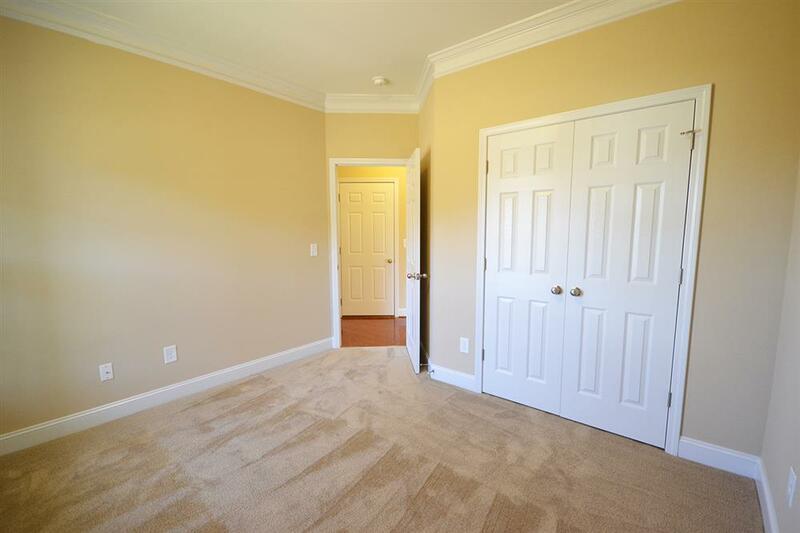 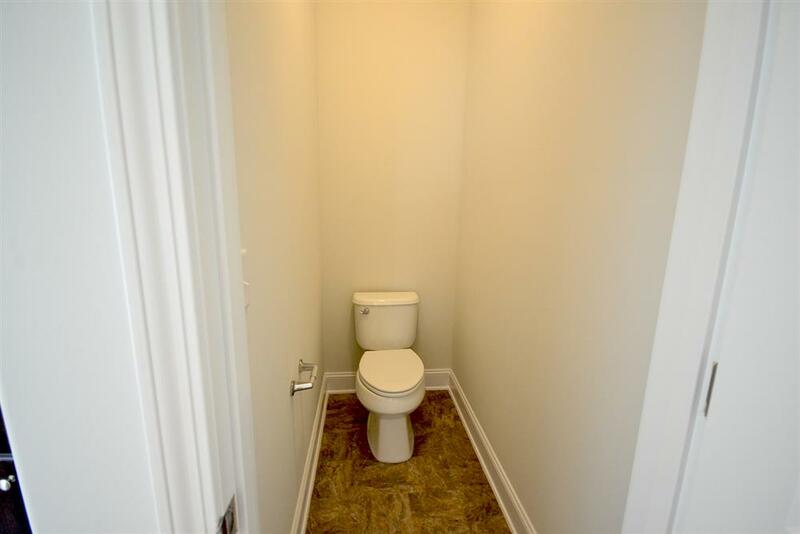 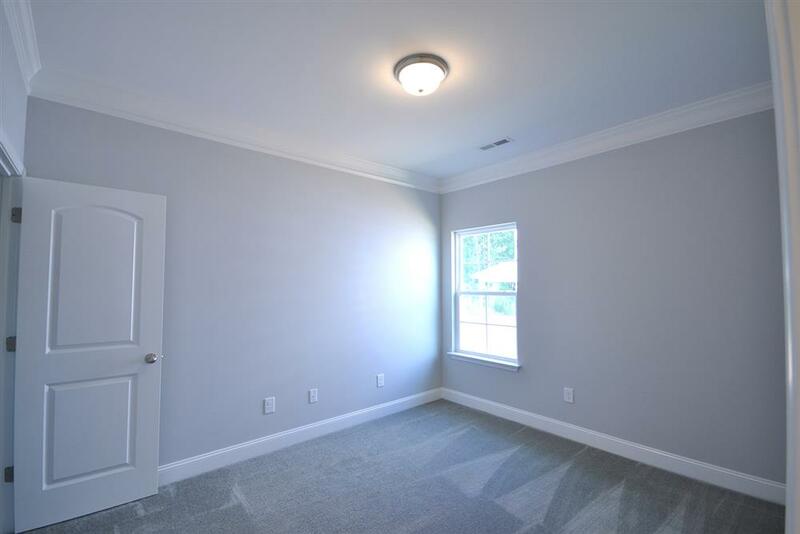 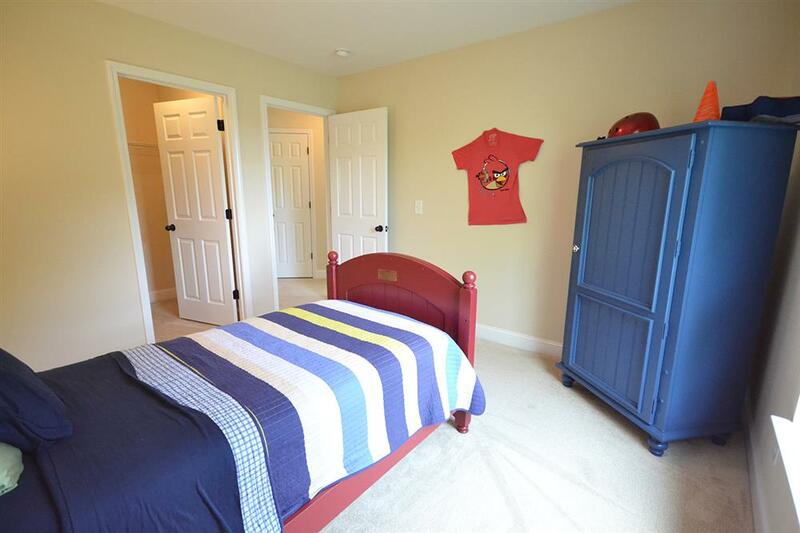 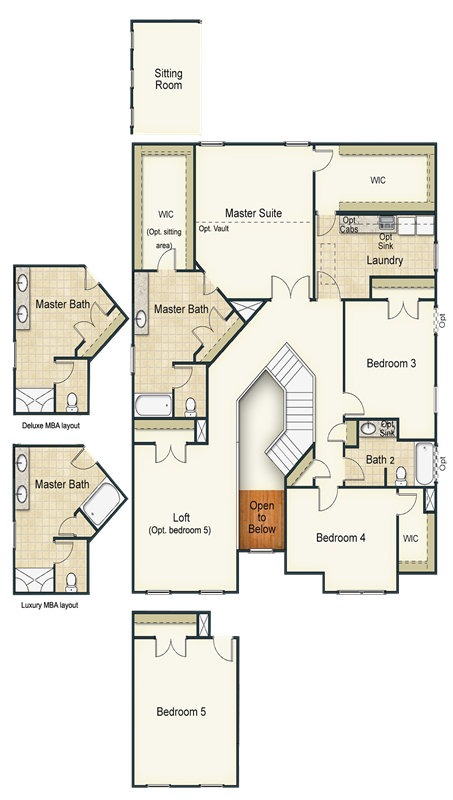 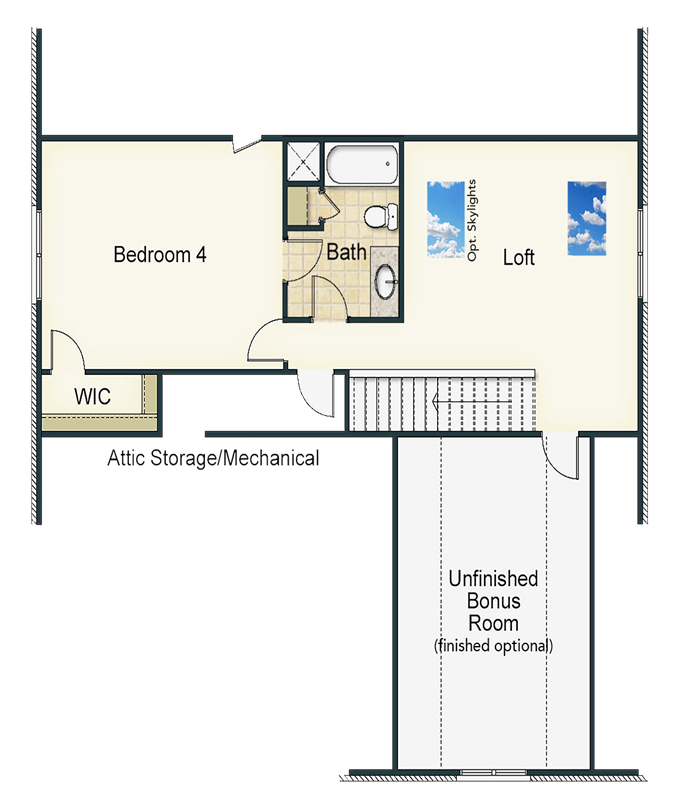 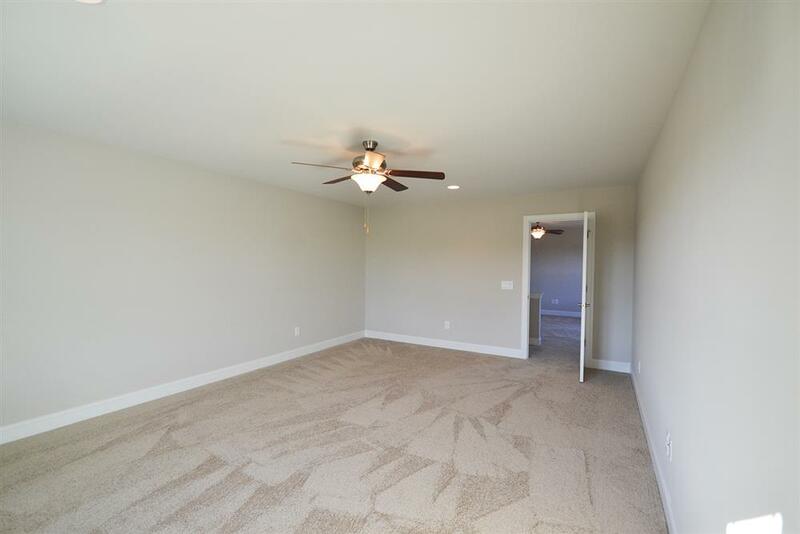 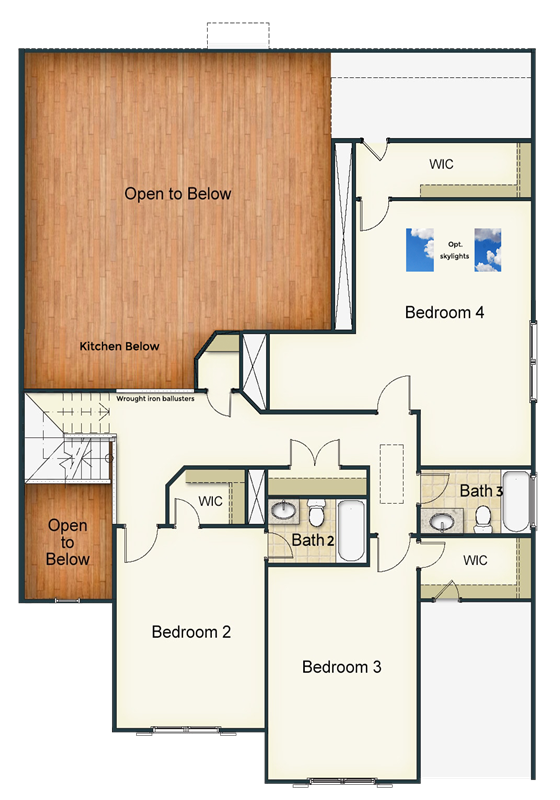 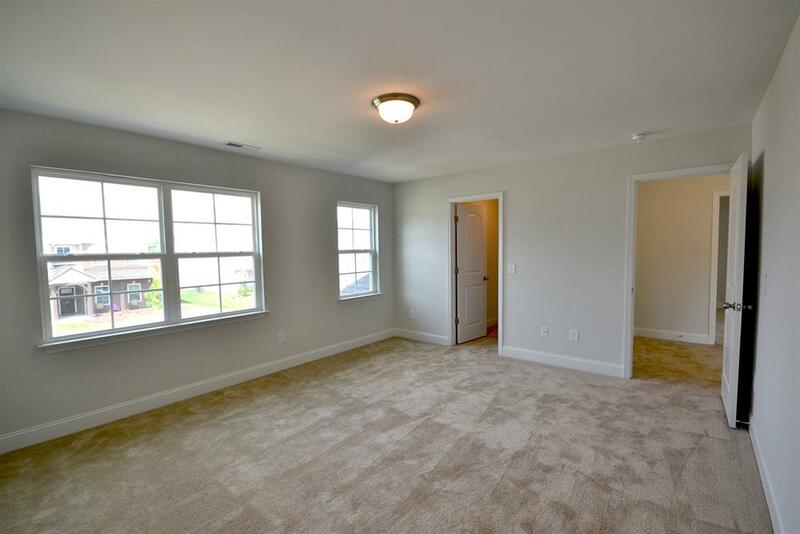 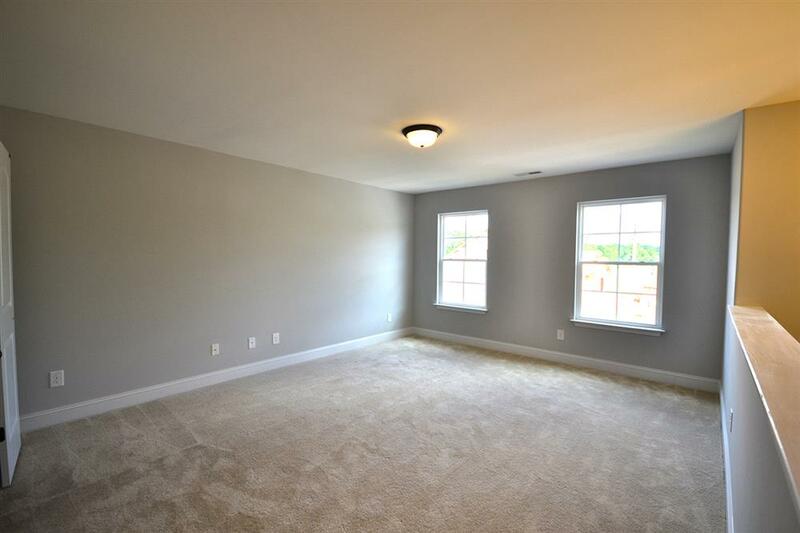 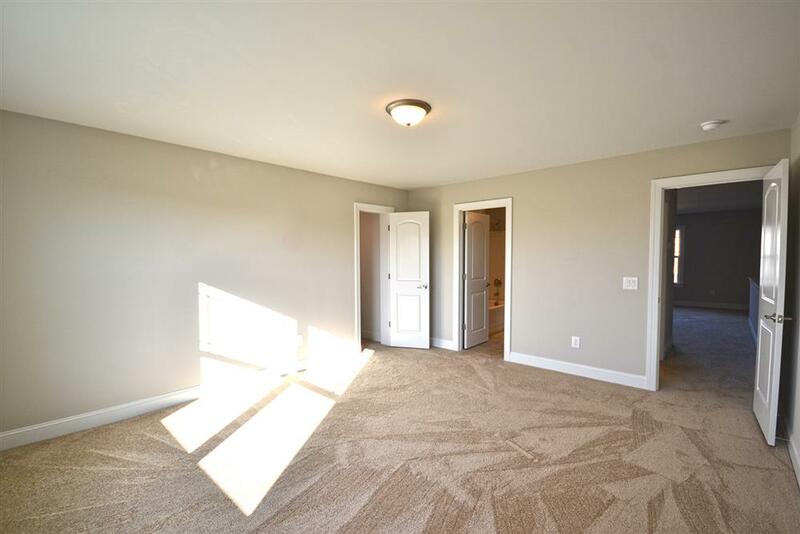 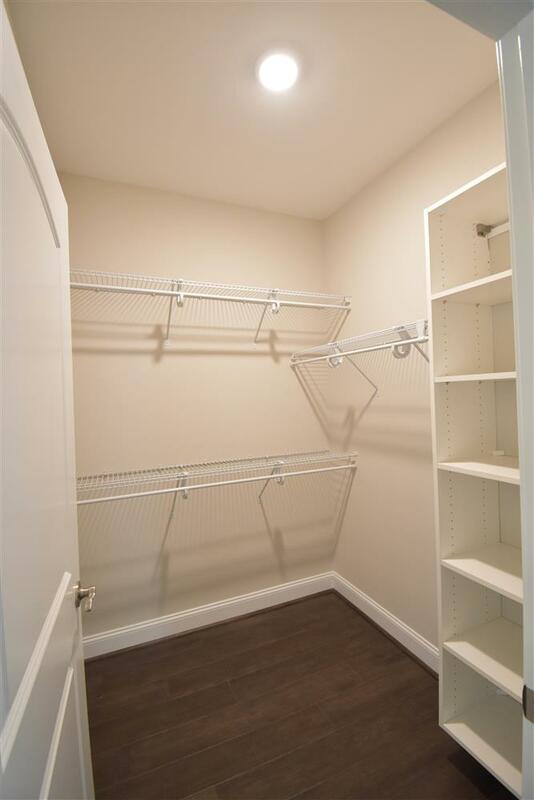 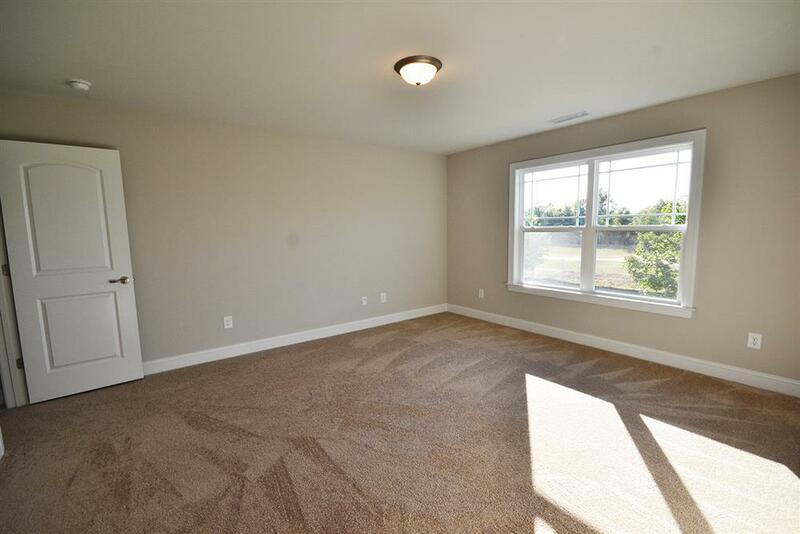 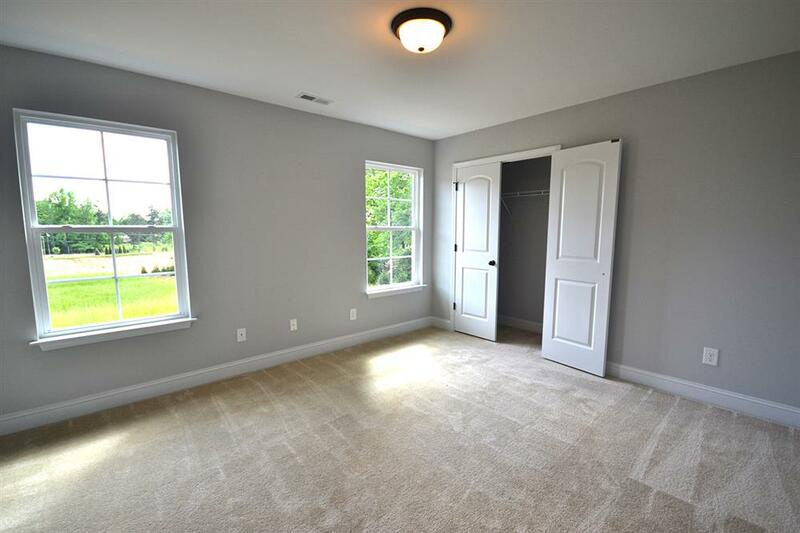 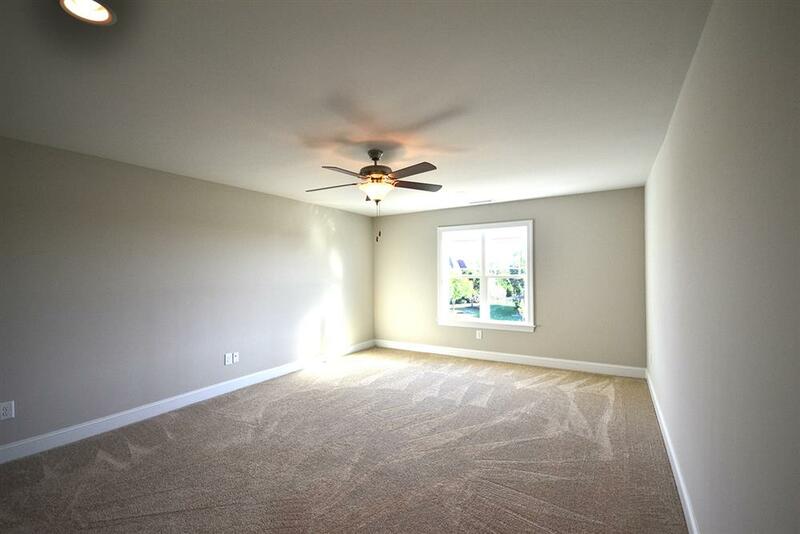 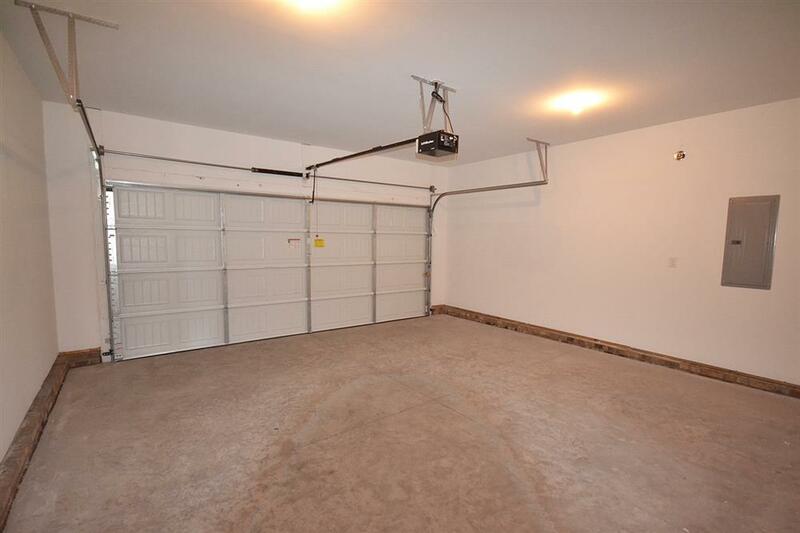 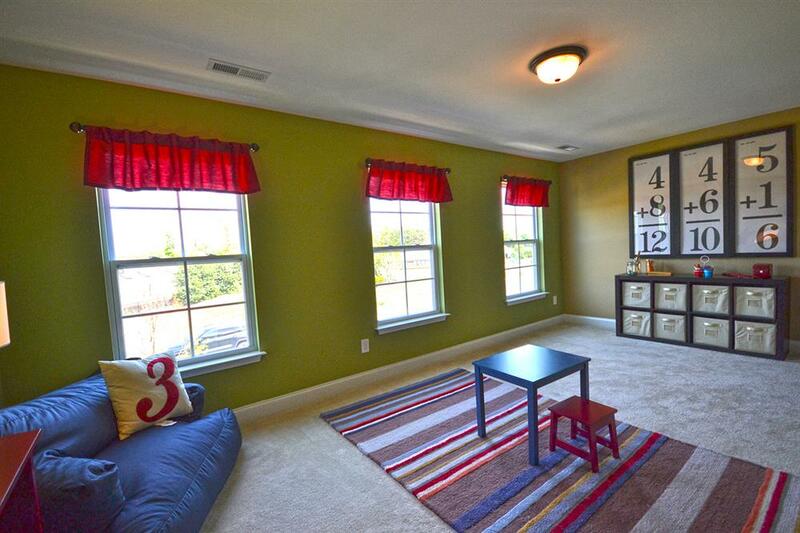 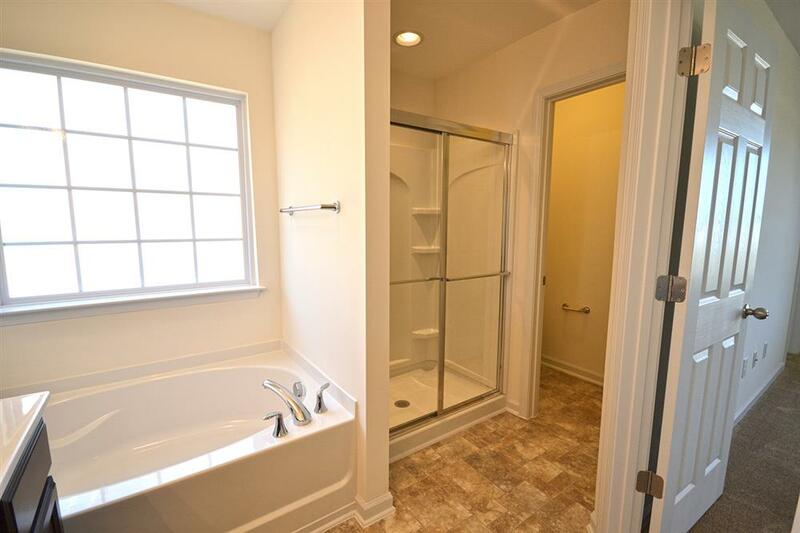 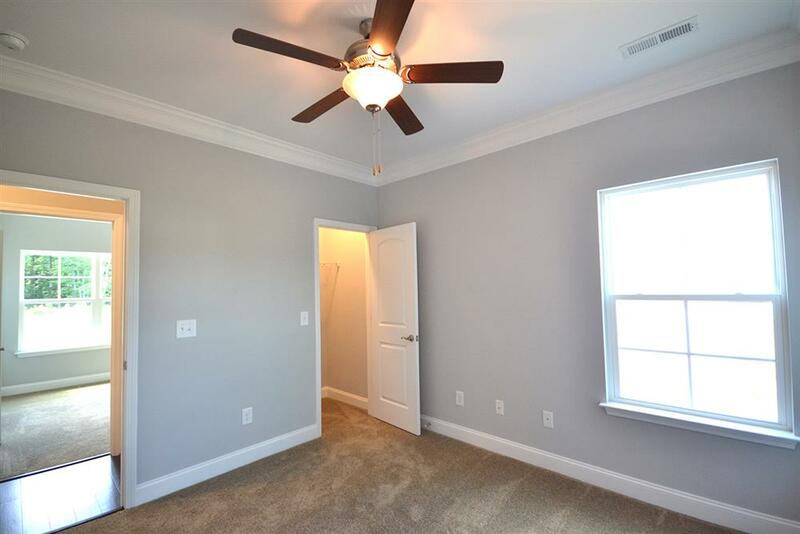 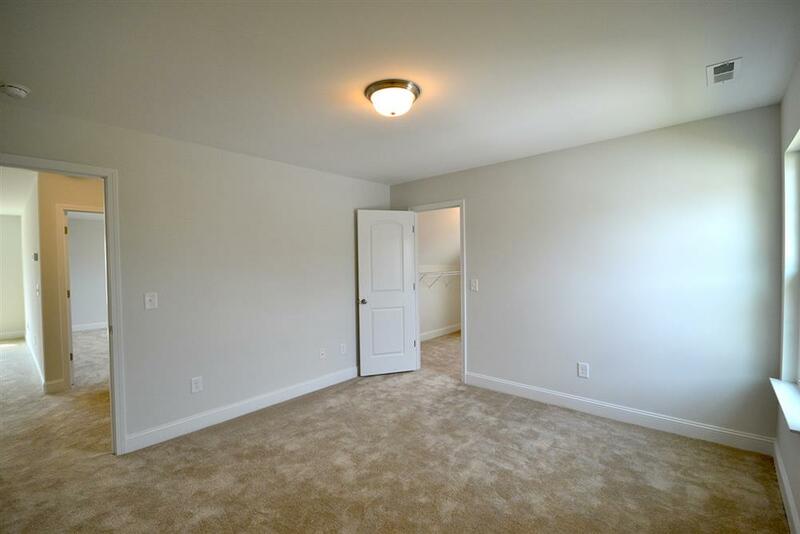 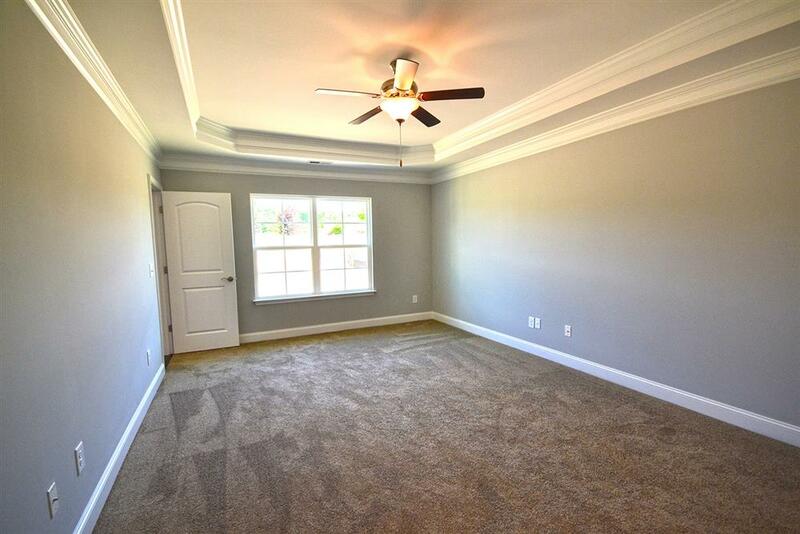 There are 2 very large walk-in closets, one of which can be upgraded to a sitting room. 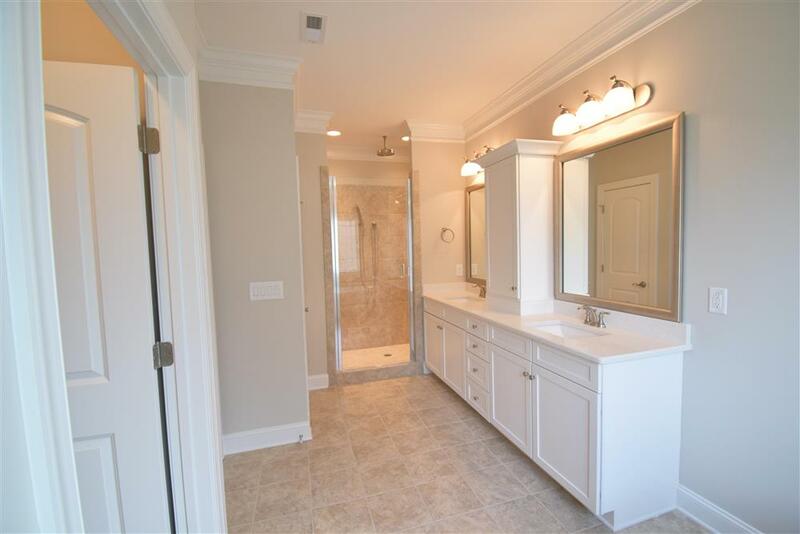 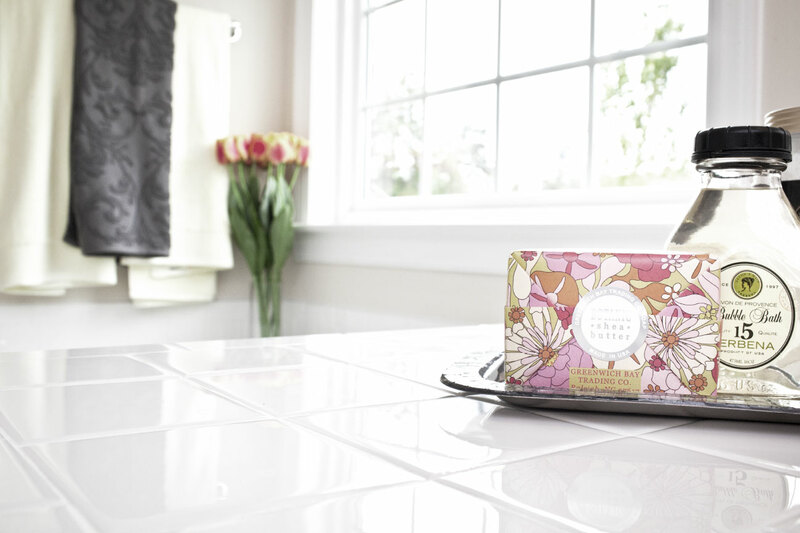 The master bath can be built with a double sink vanity, and either a large walk in shower and oversized linen closet, or a separate shower and tub. 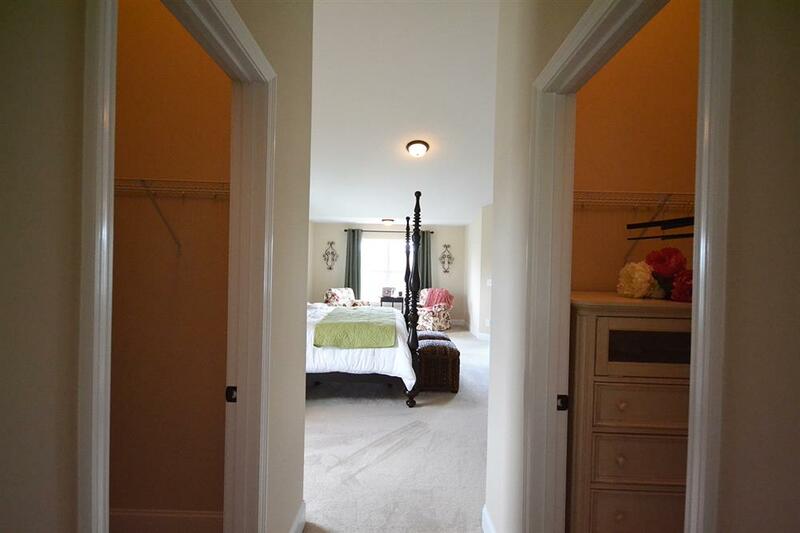 Bedrooms three and four are also located upstairs. 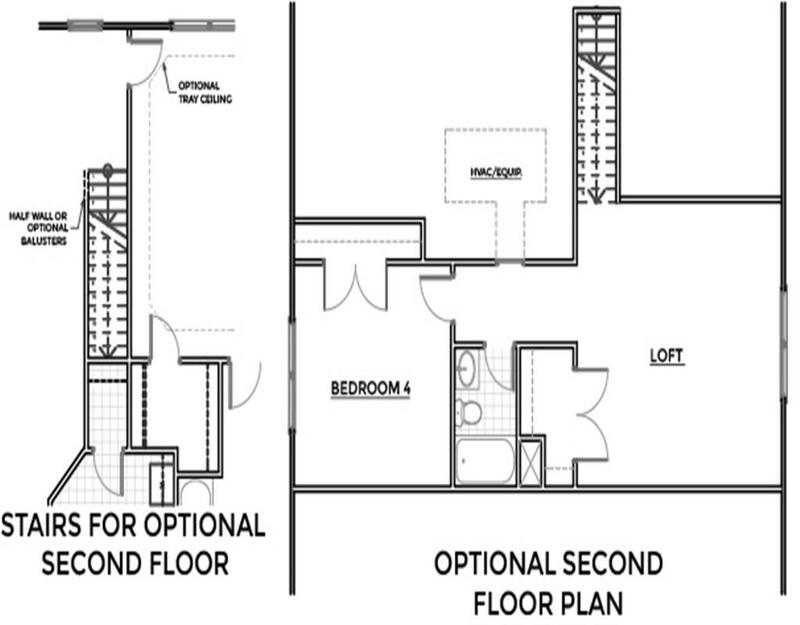 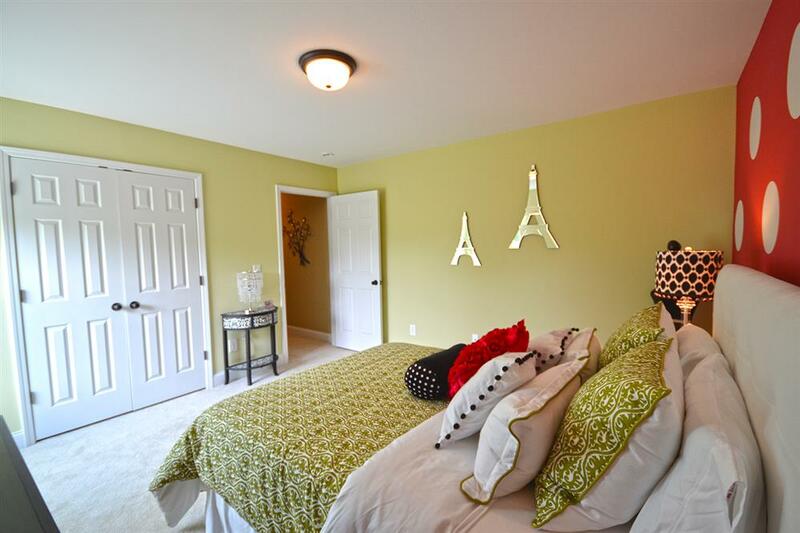 Joining them is a loft, which can be upgraded to the 5th bedroom, third full bathroom and the laundry room. 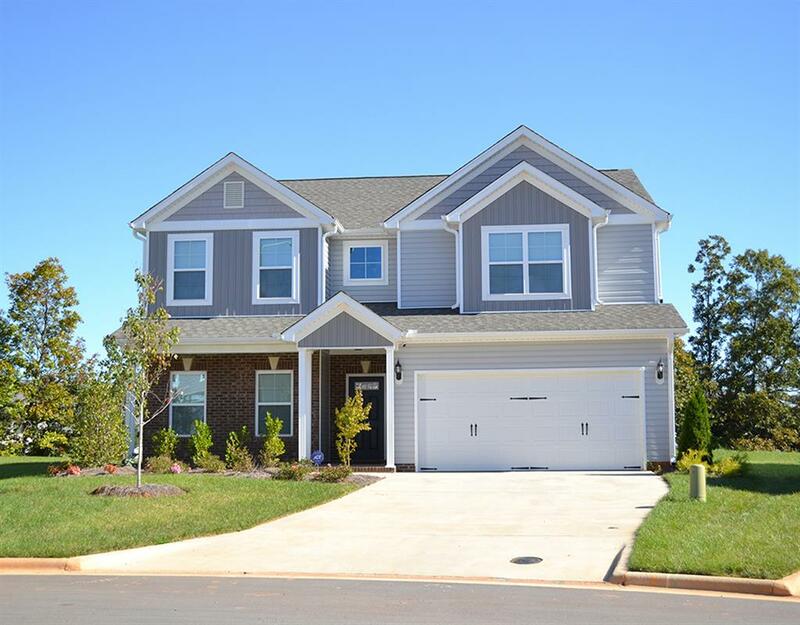 Stephanie Hodges: Originally from West Virginia, moved to Charlotte in 1988 and on to the Triad in 2016. 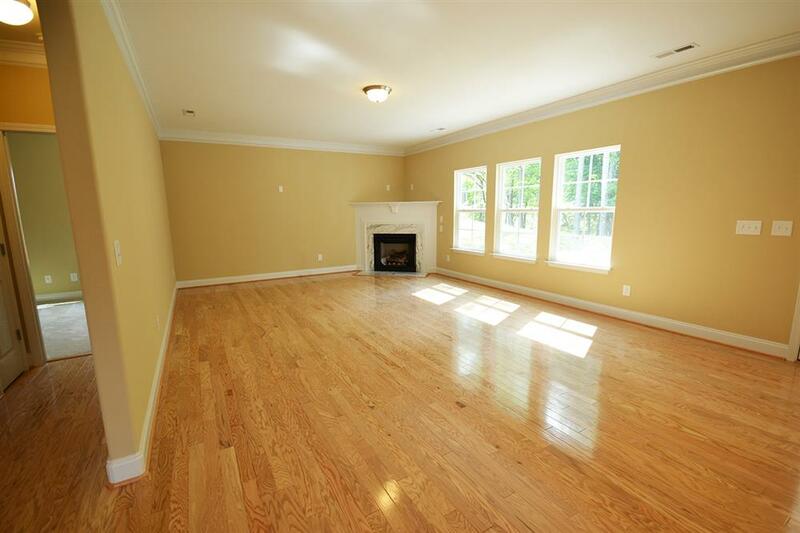 I have been in real estate since the early 90’s and have been a licensed broker since 2003. 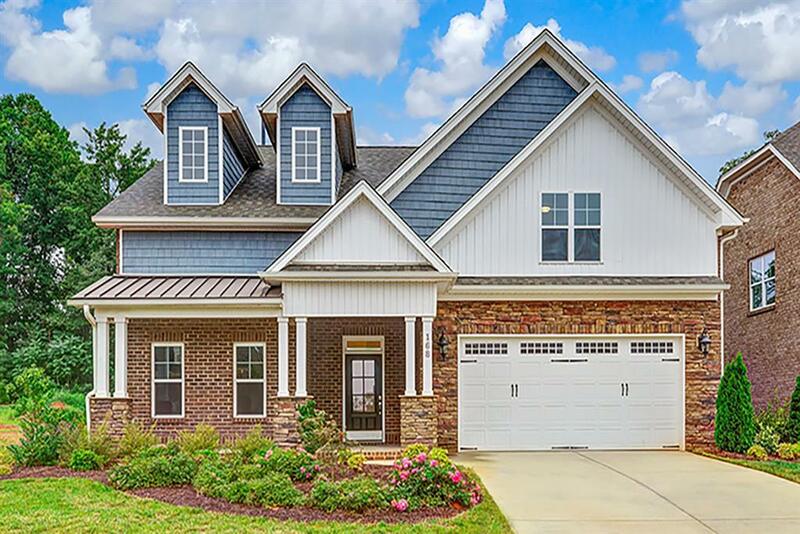 I absolutely love real estate, the homes, the décor, the vendors, and all of my clients, whom many have become friends in the process. 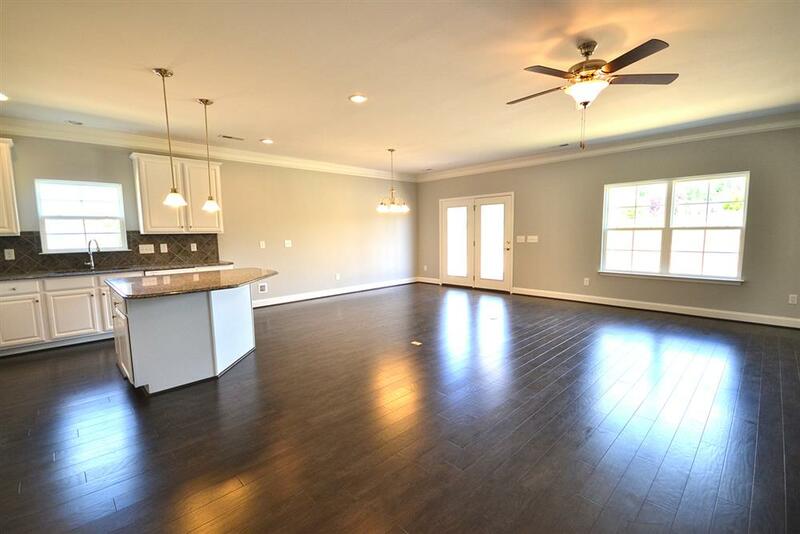 I find it so satisfying to see the new home building process, to watch a dream become a reality… from an empty lot to a beautiful home! 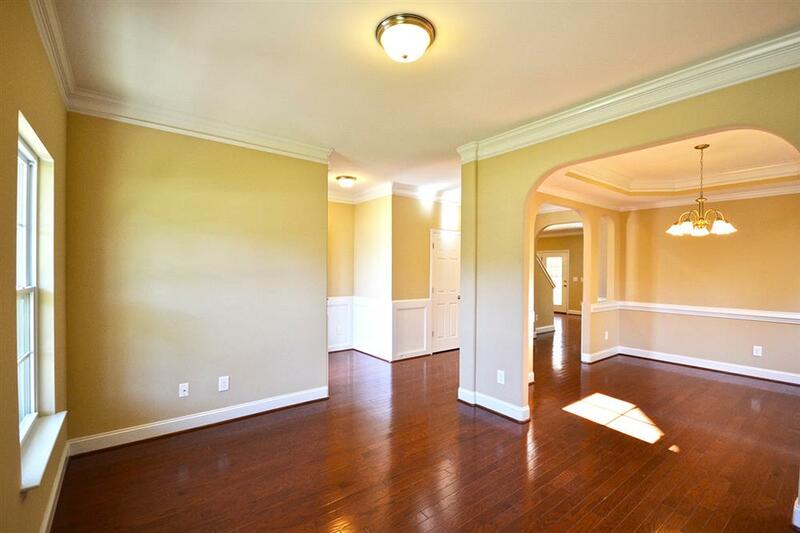 I believe in hard work, dedication and excellent customer service. 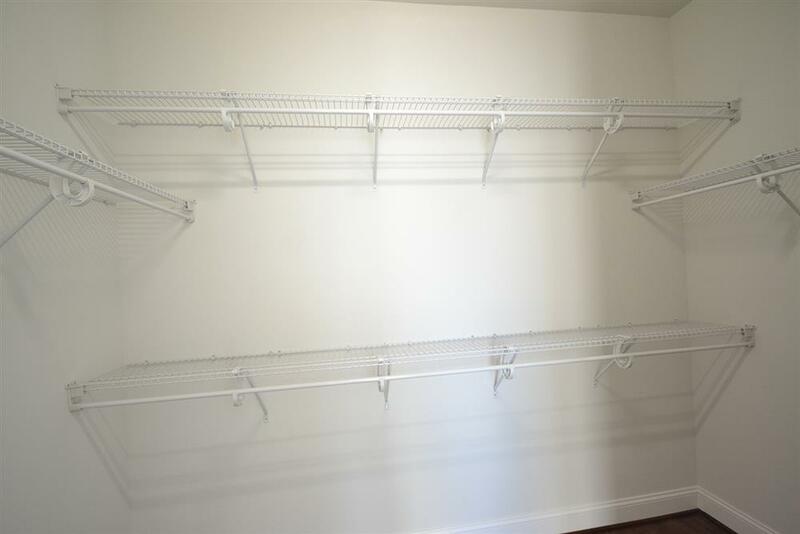 If I don’t know something, I will use all my resources to find out for you. 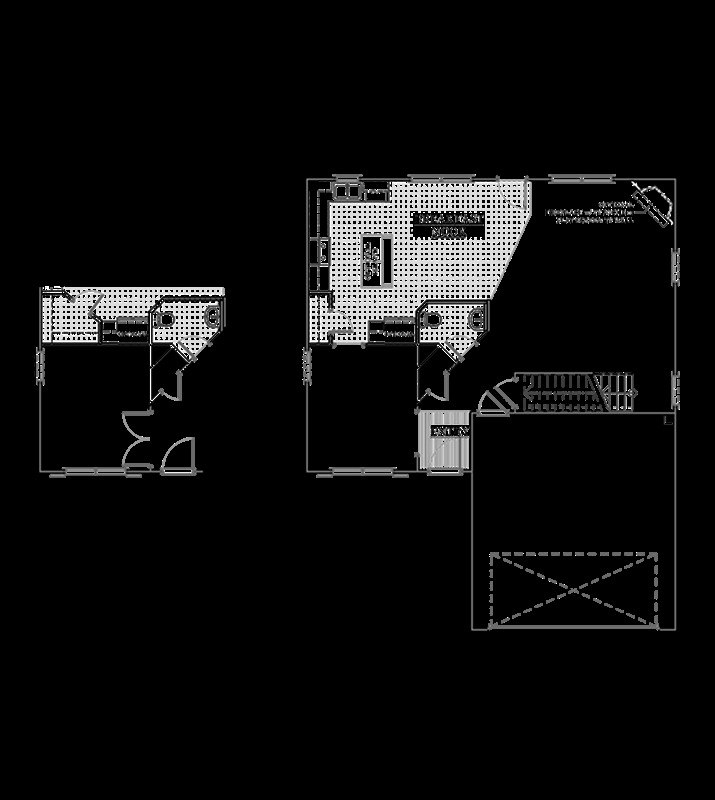 And I believe in having fun in the process! 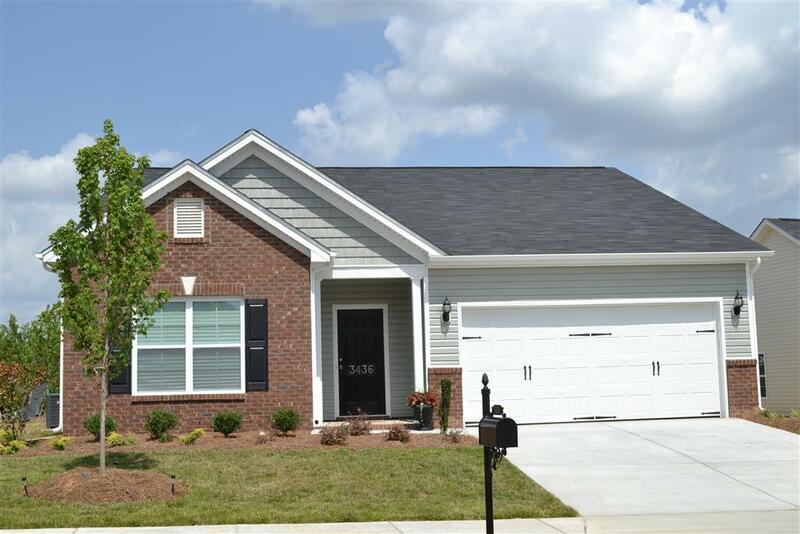 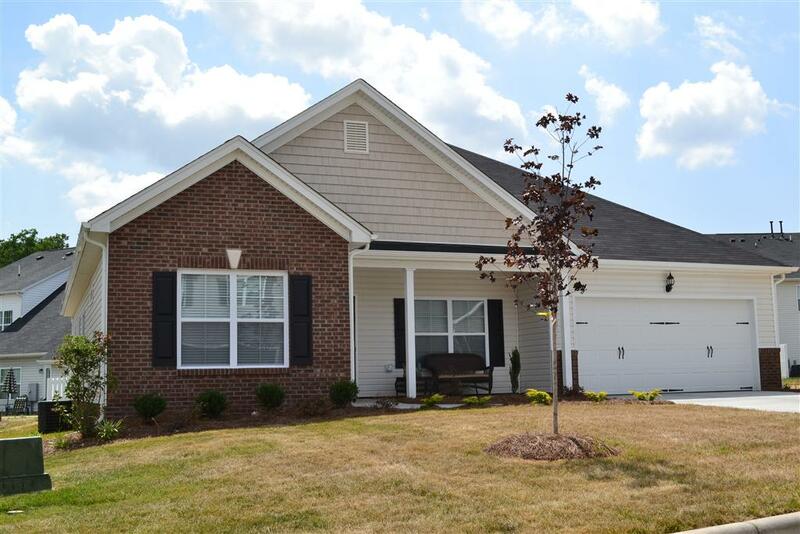 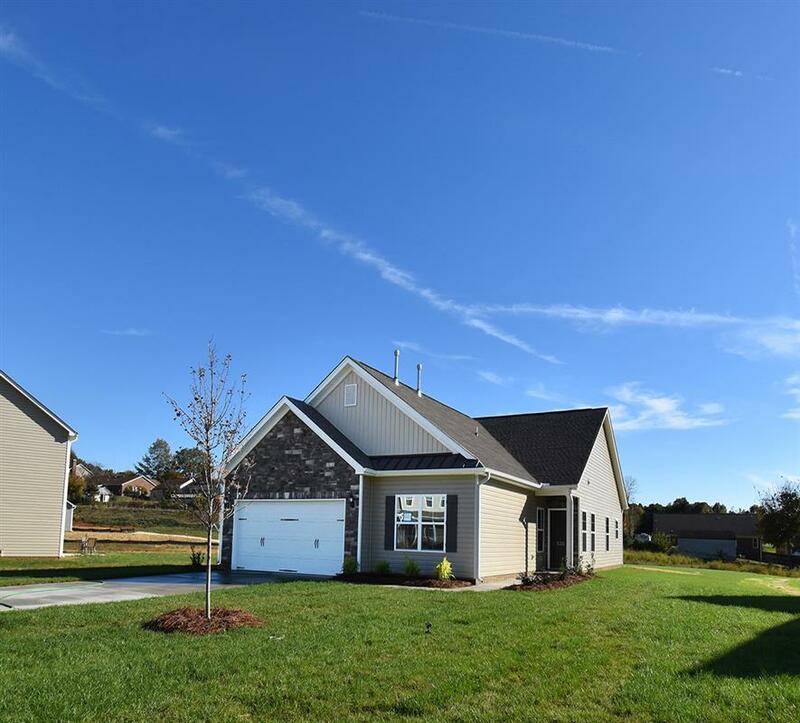 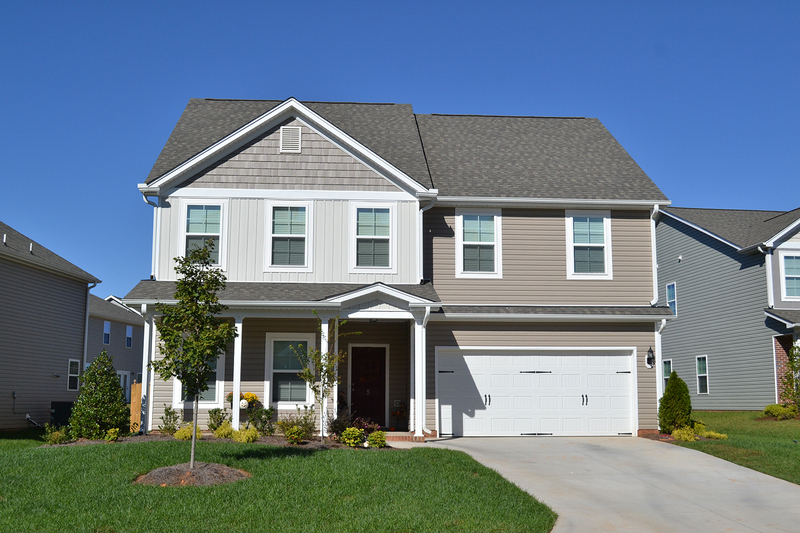 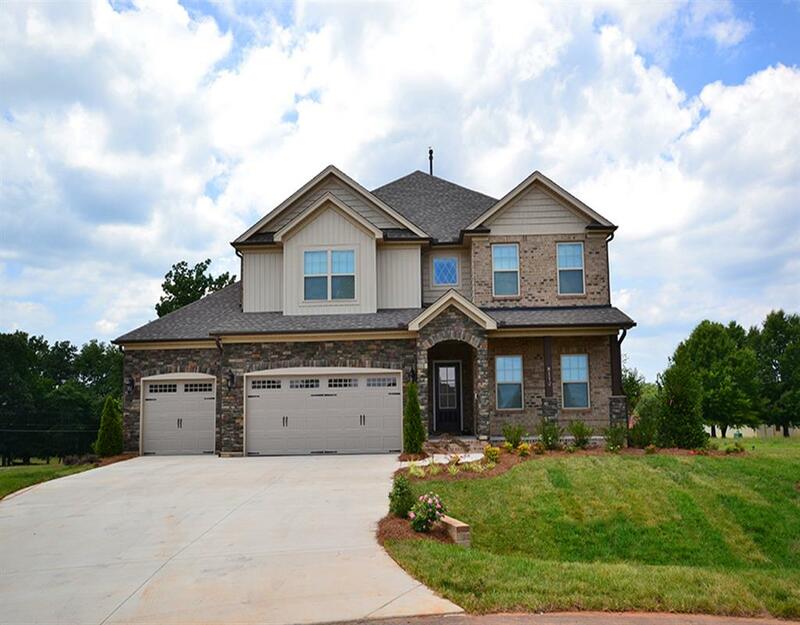 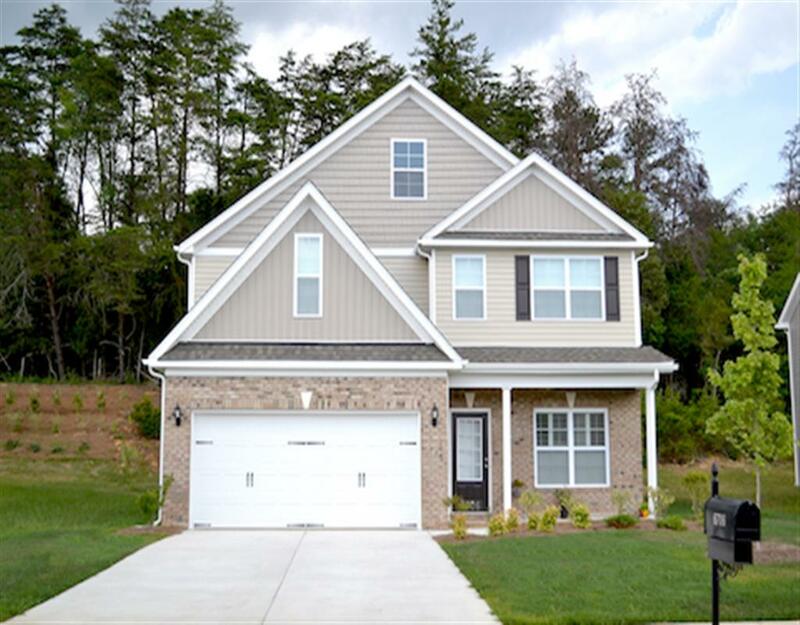 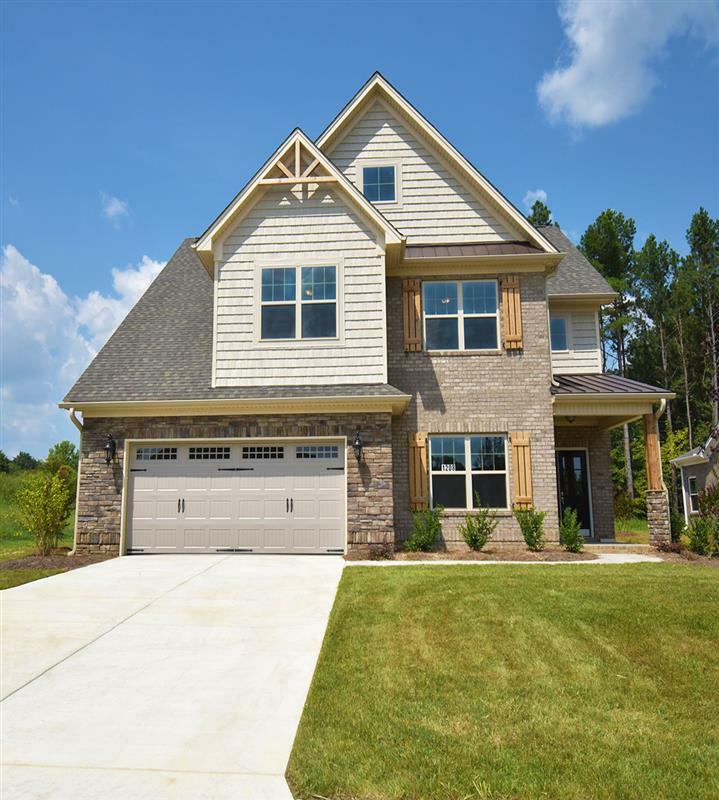 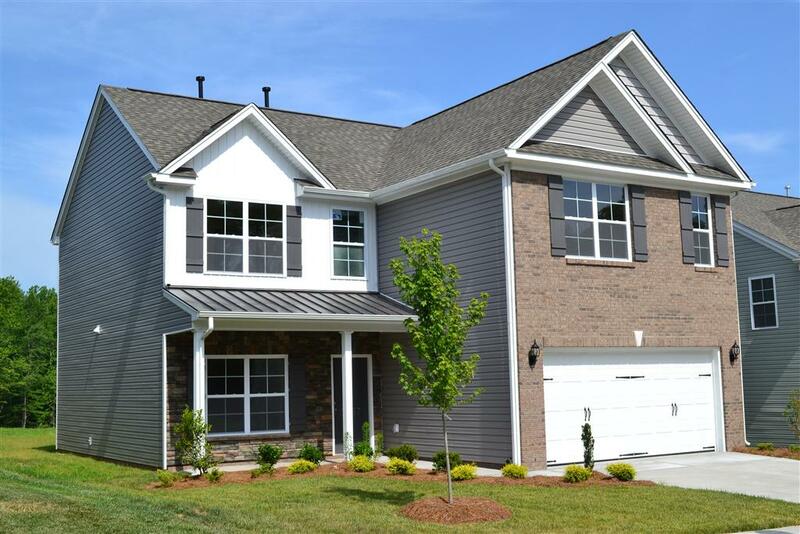 I’m so excited to be with Keystone Homes in the Triad. 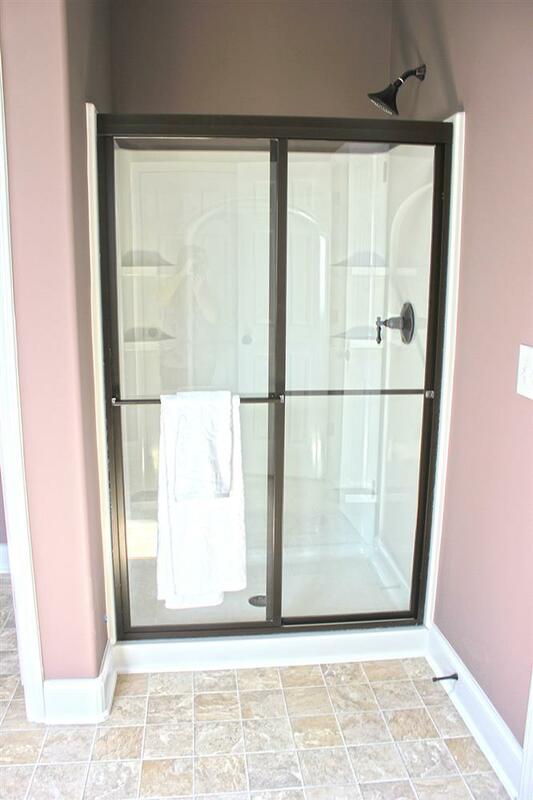 They build a quality product at a great price that I feel proud to represent. 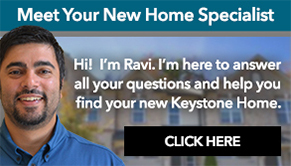 I look forward to working with you to help make your dreams come true too!